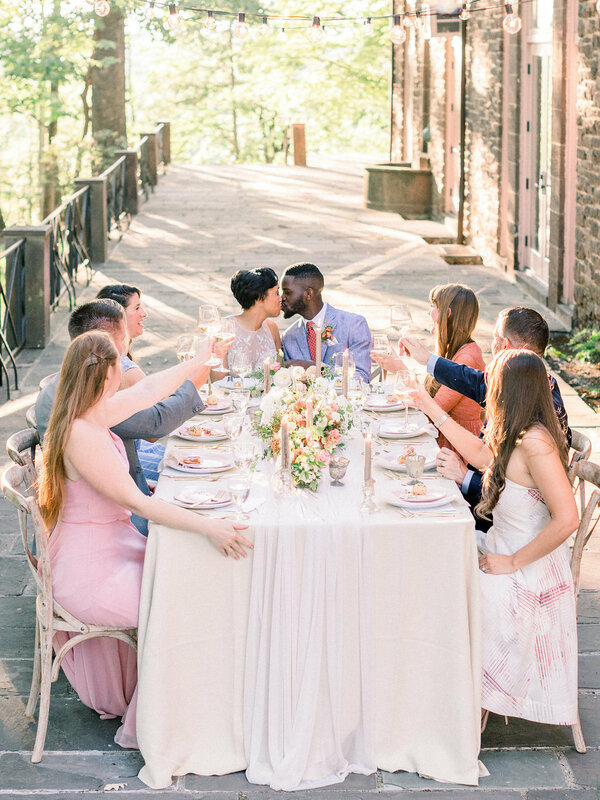 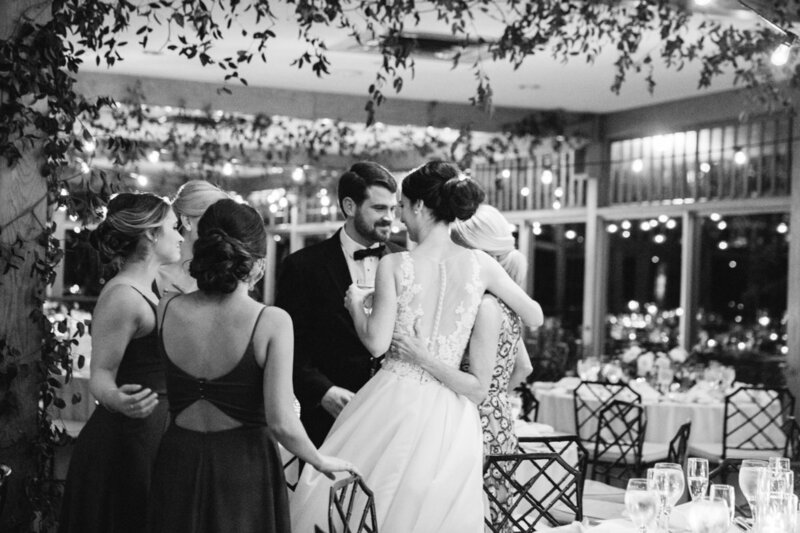 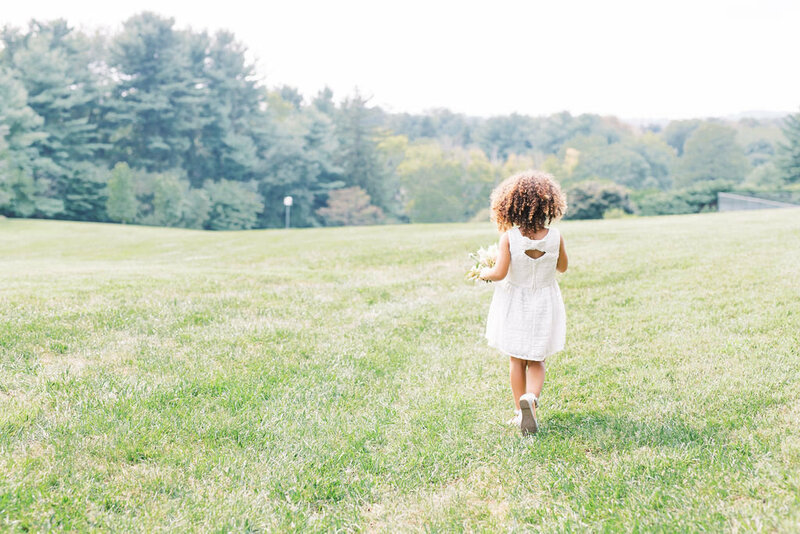 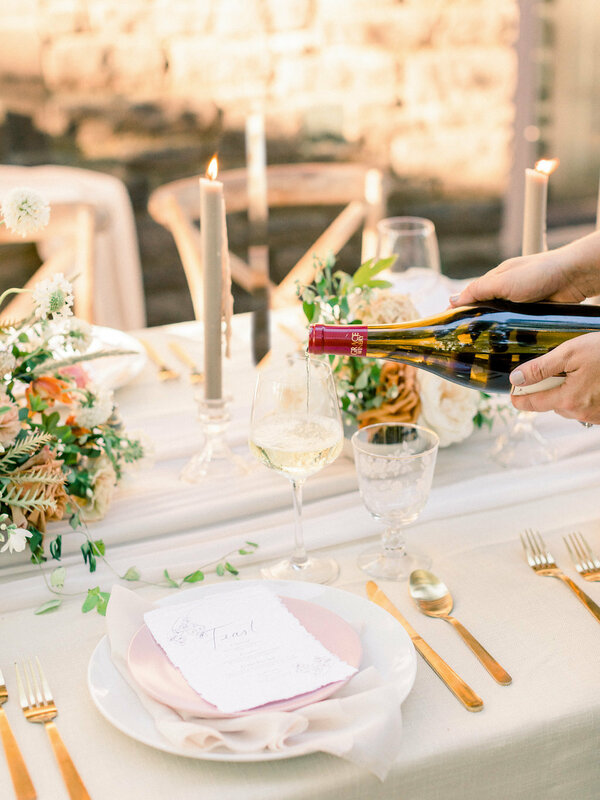 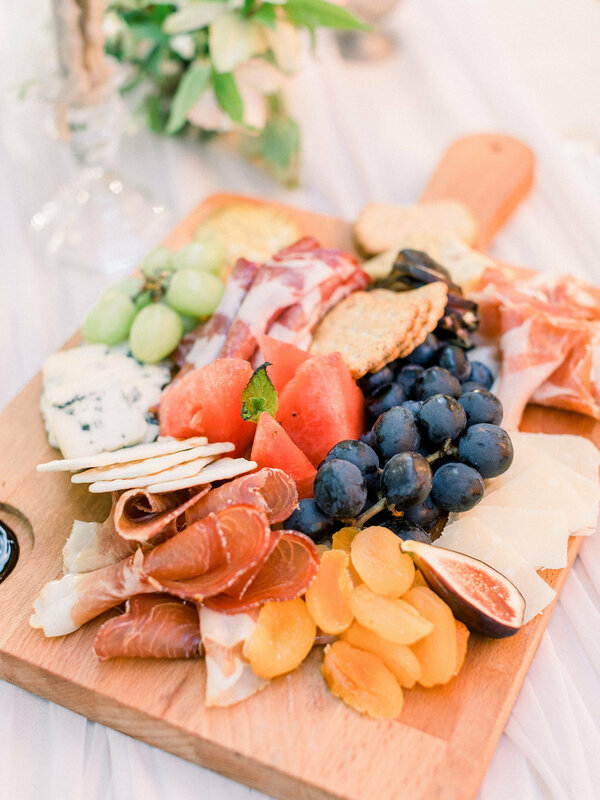 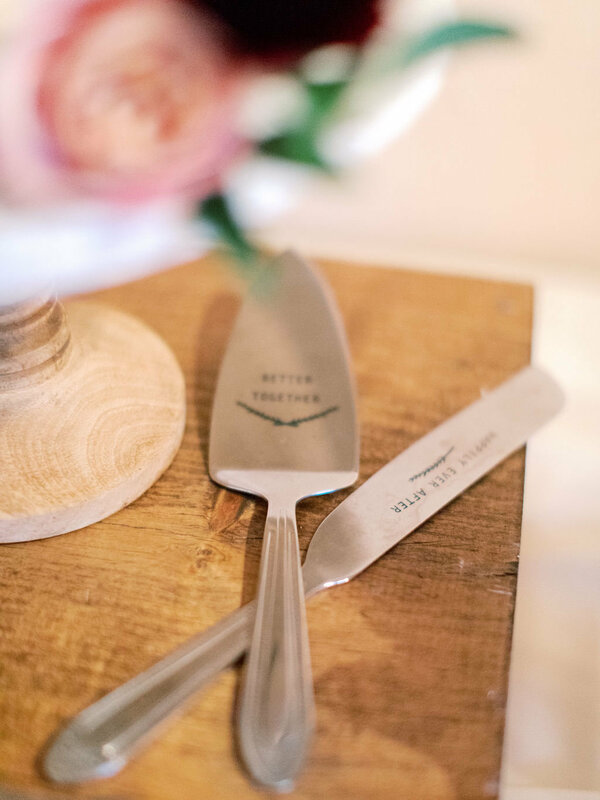 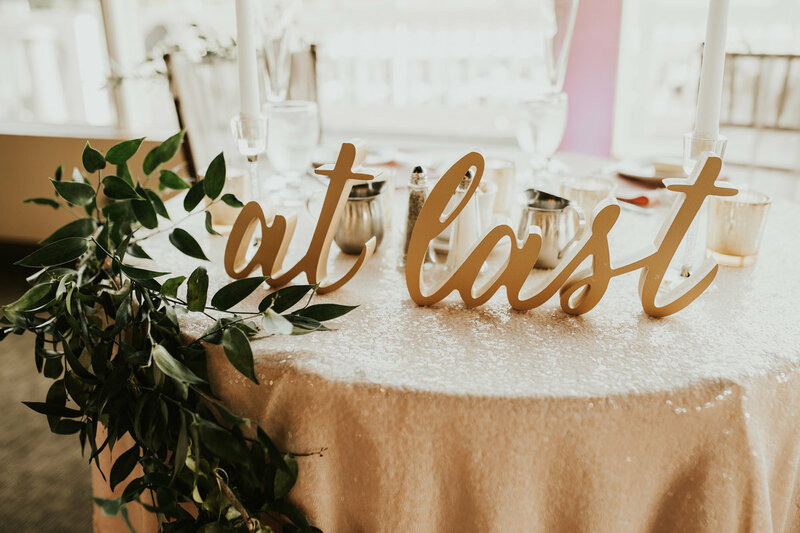 At A Styled Fete we believe the best memories are created when the people you love the most gather together. 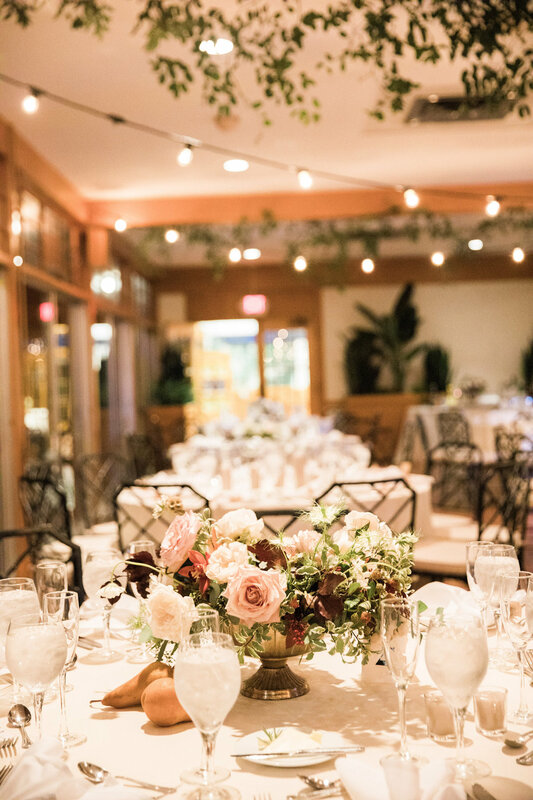 We simplify the floral and wedding design process by creating a cohesive, multi-sensory celebration that is as beautiful as it is meaningful. 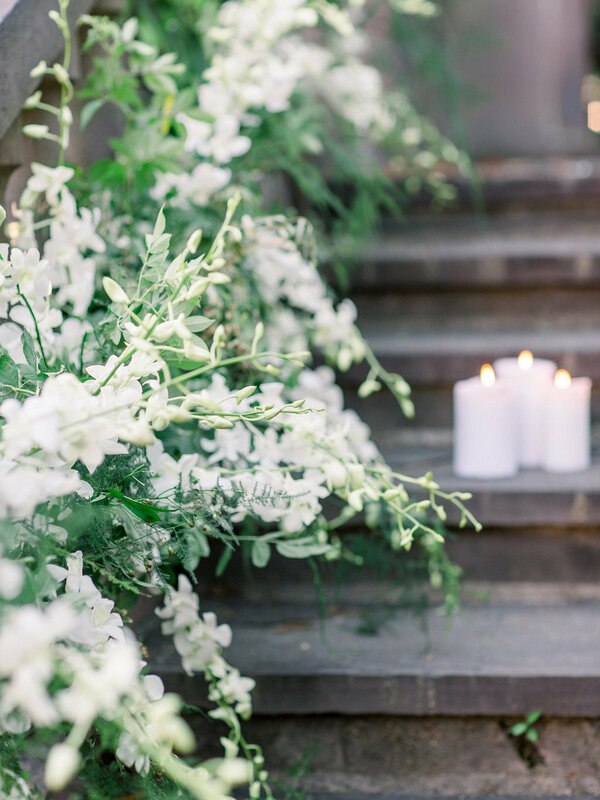 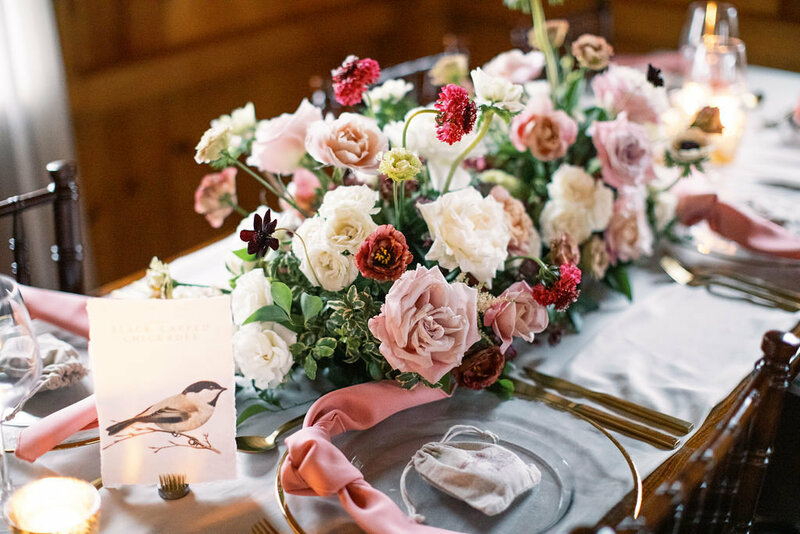 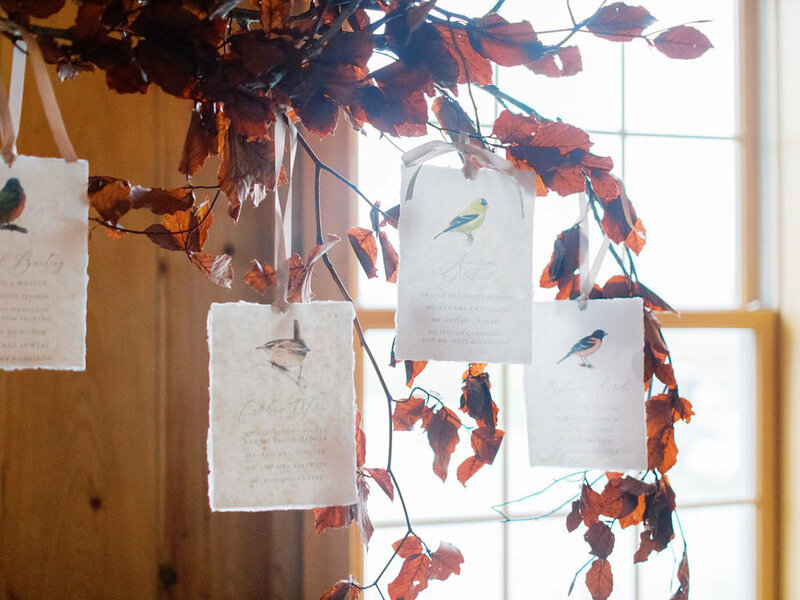 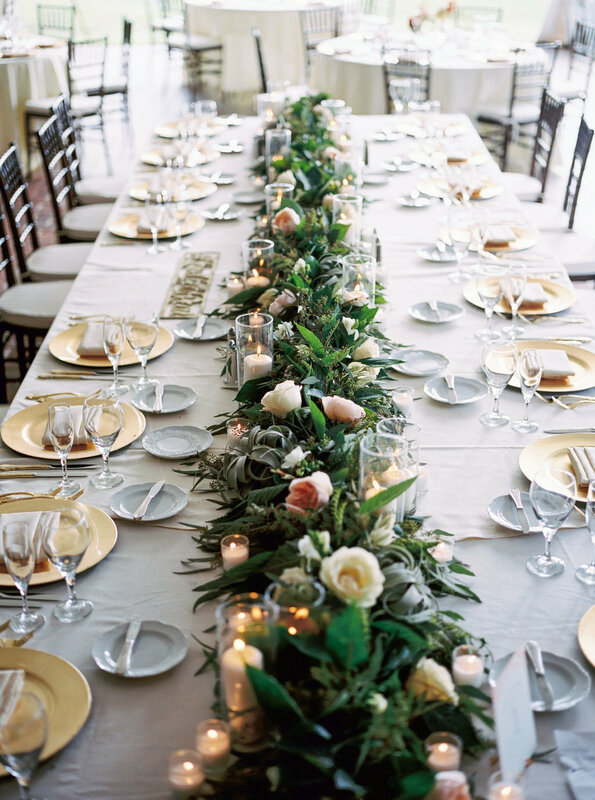 Our Floral Design approach is nature inspired, romantic and never overdone. 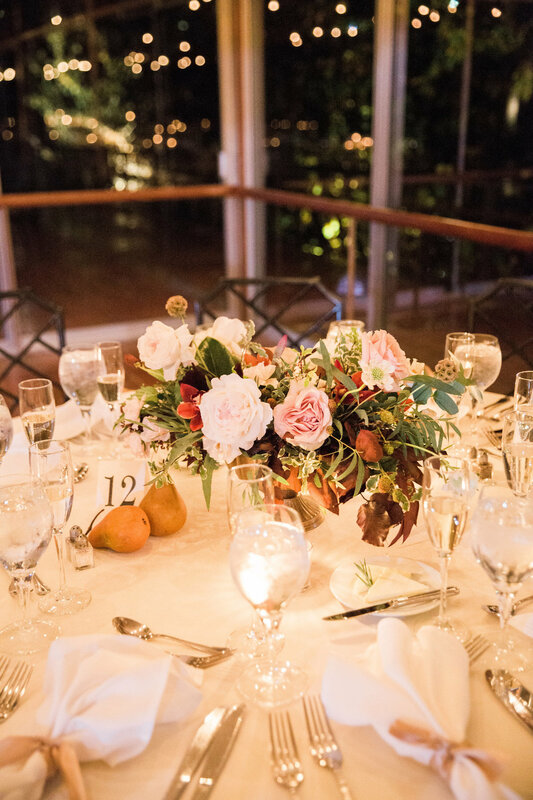 We love to work with seasonal ingredients, natural foliage and captivating color palettes that highlight the innate beauty of each bloom. 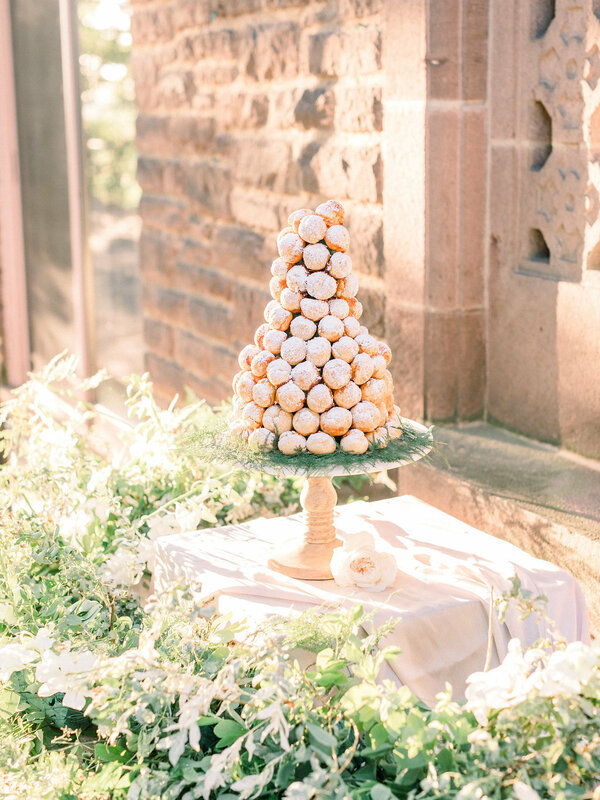 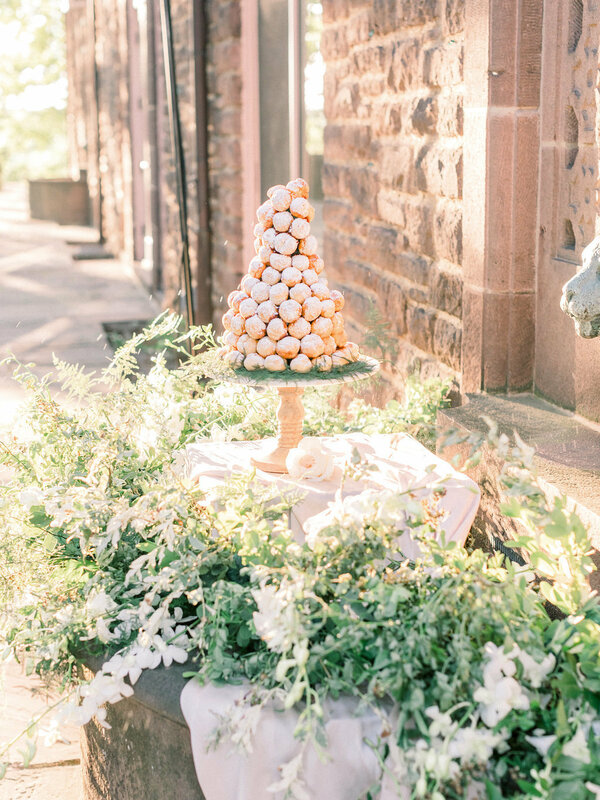 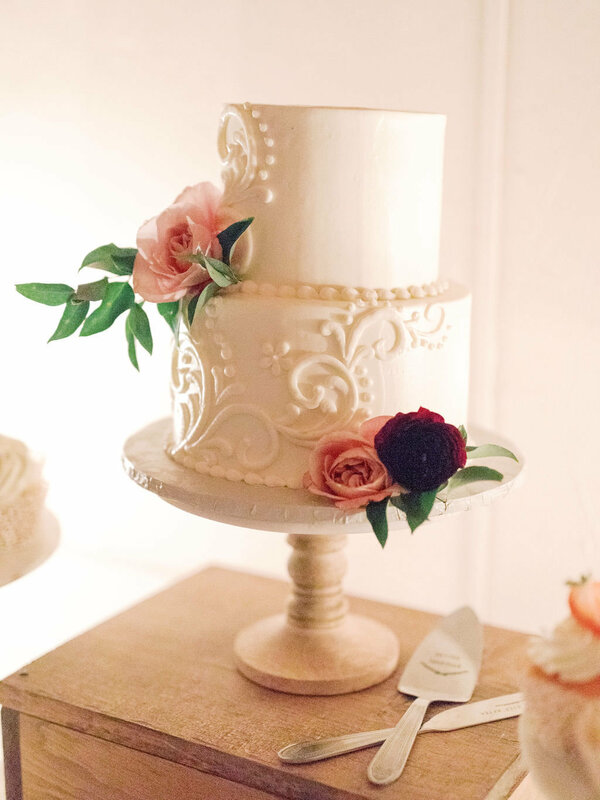 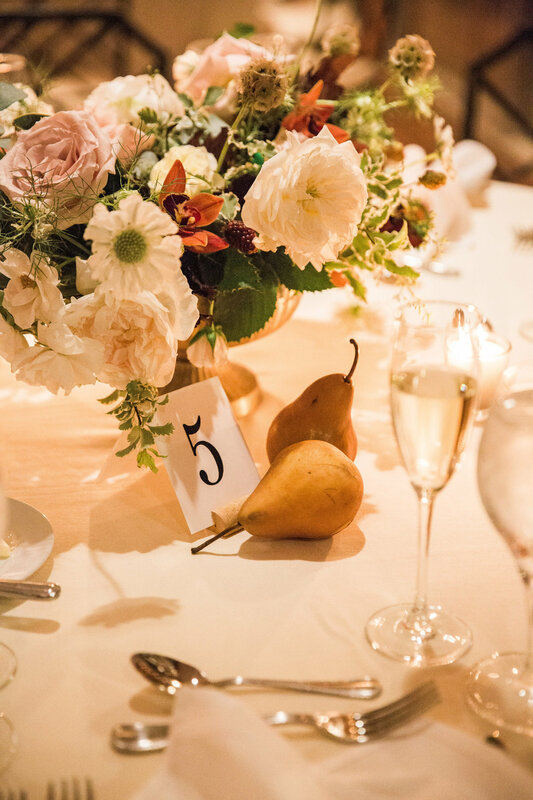 We take on both, complete wedding day florals and a la carte orders for smaller scale celebrations. 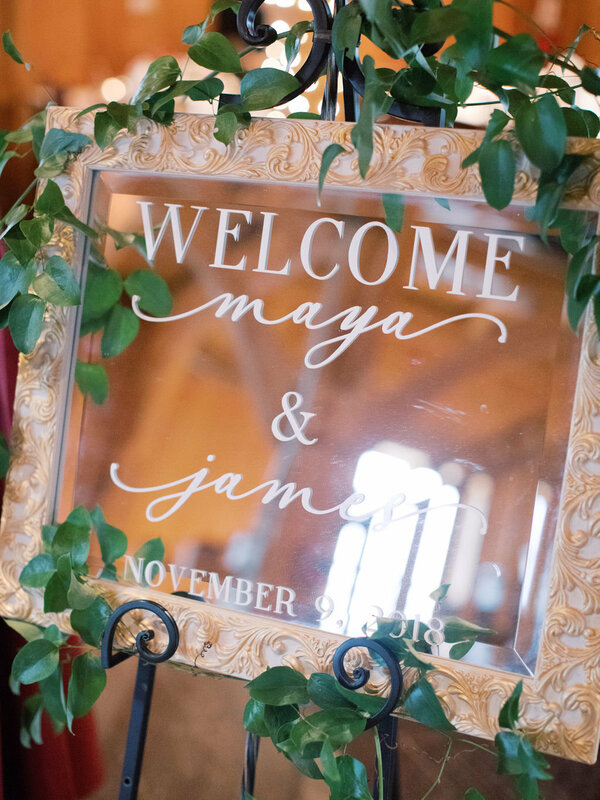 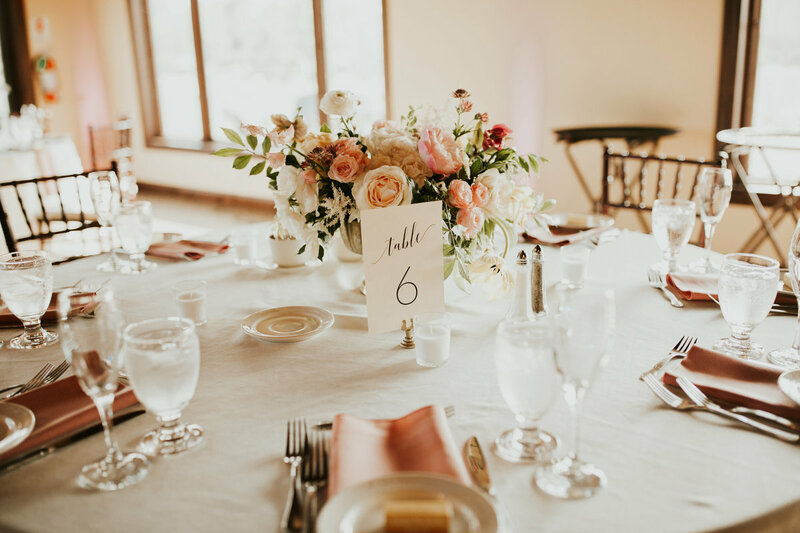 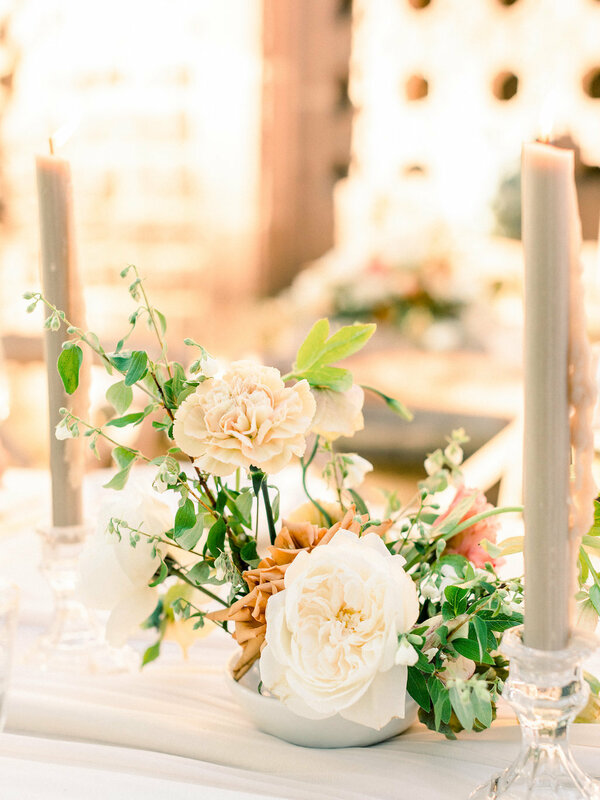 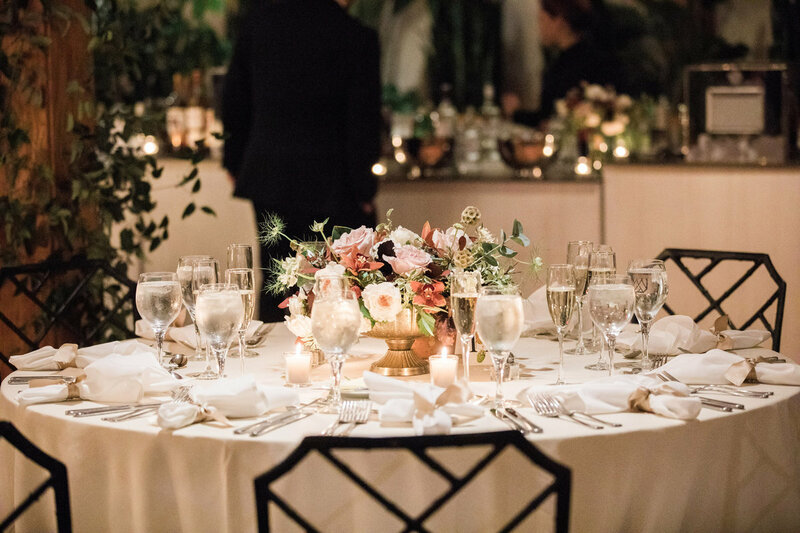 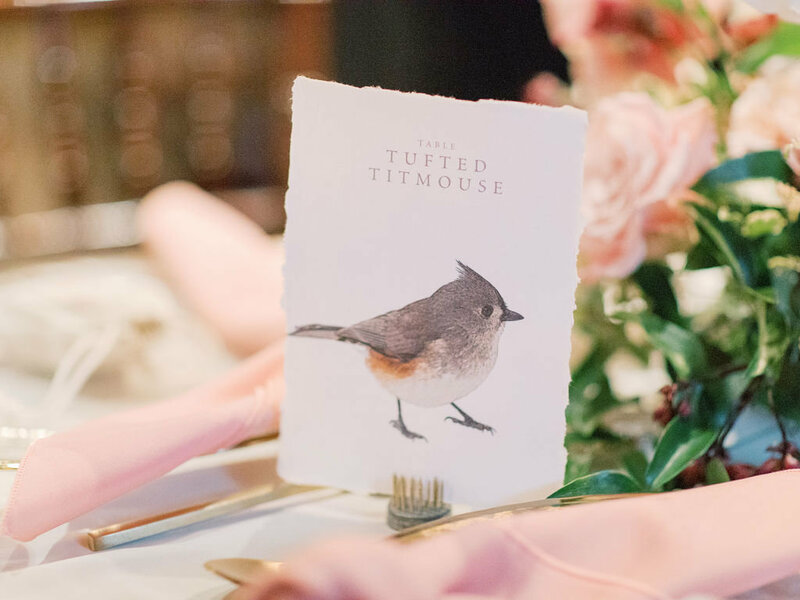 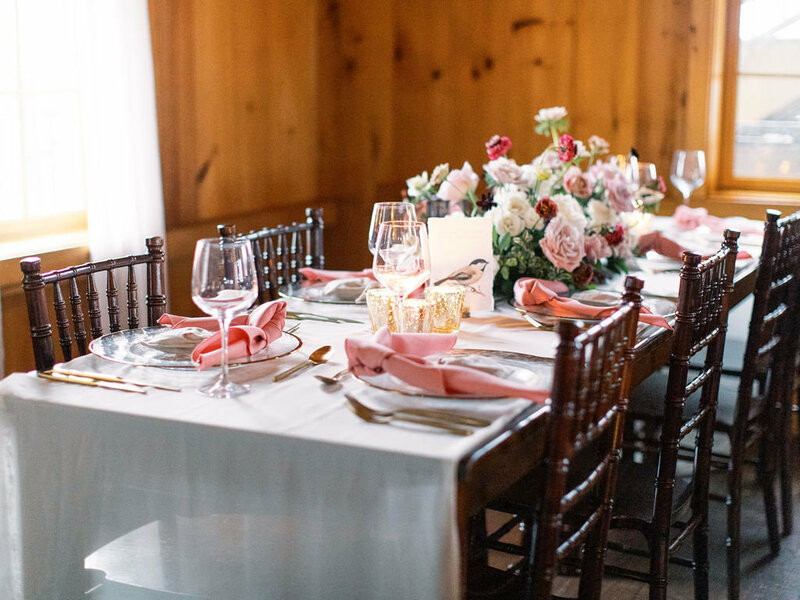 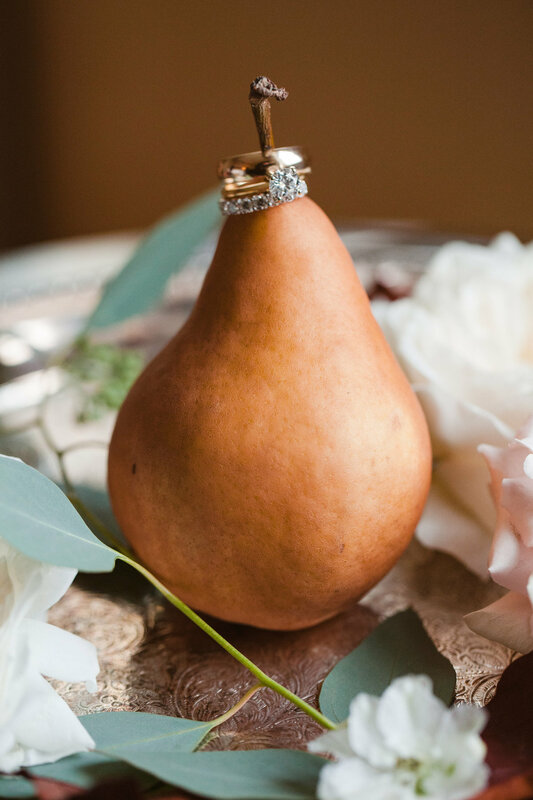 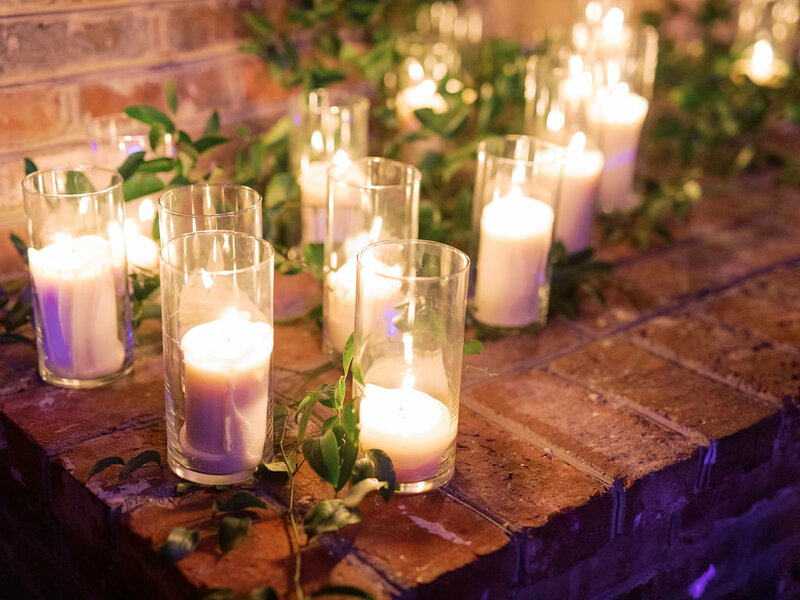 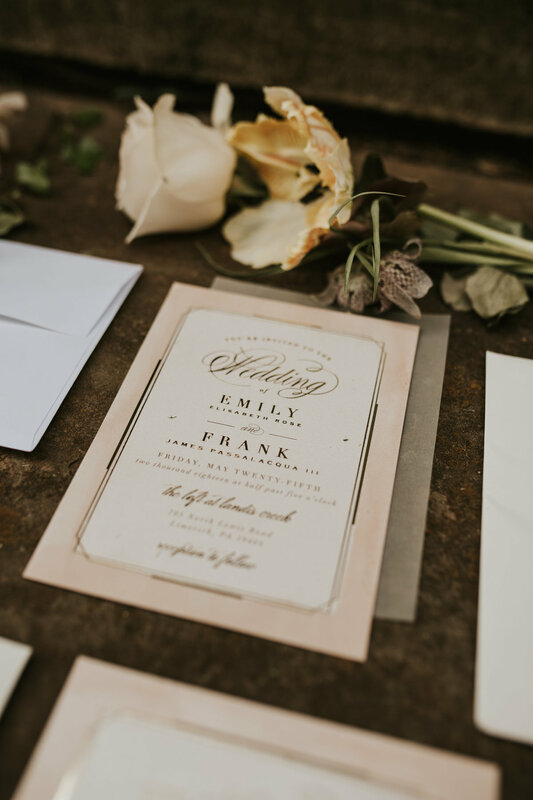 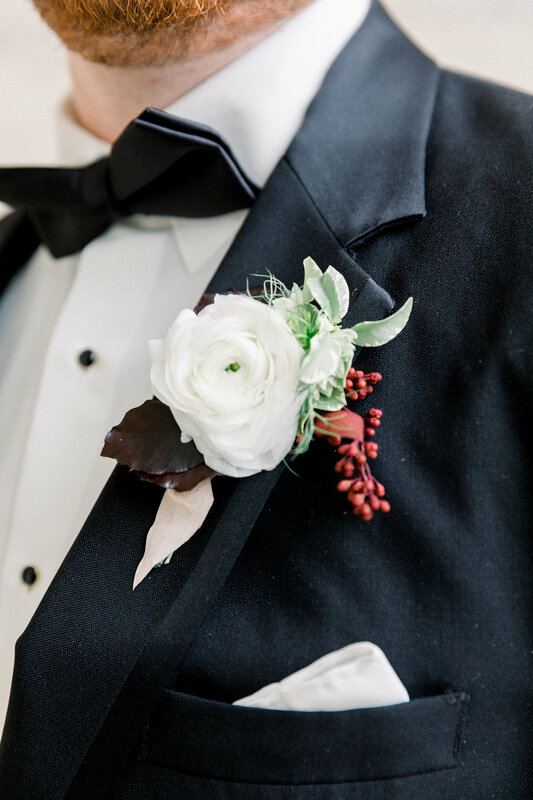 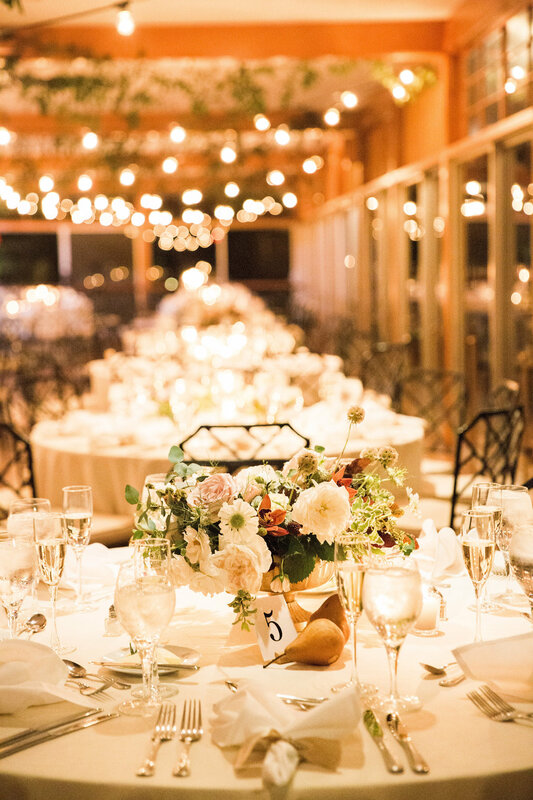 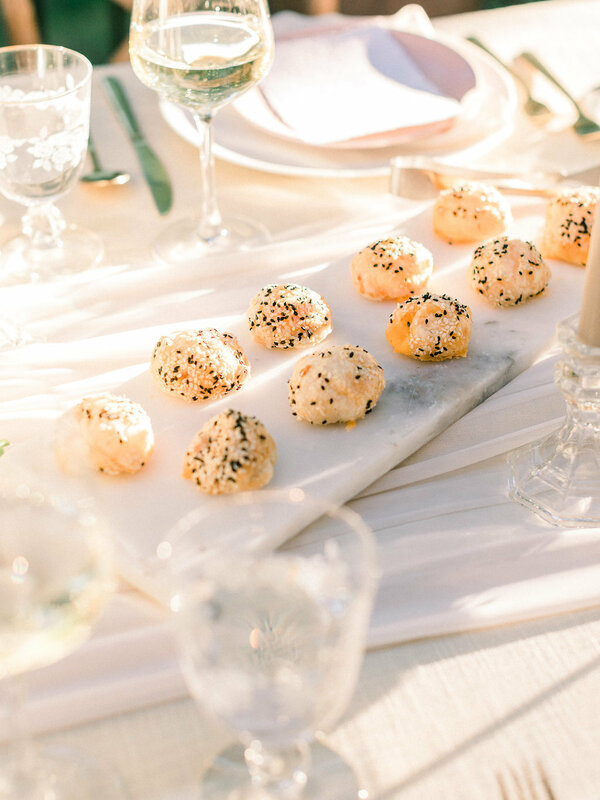 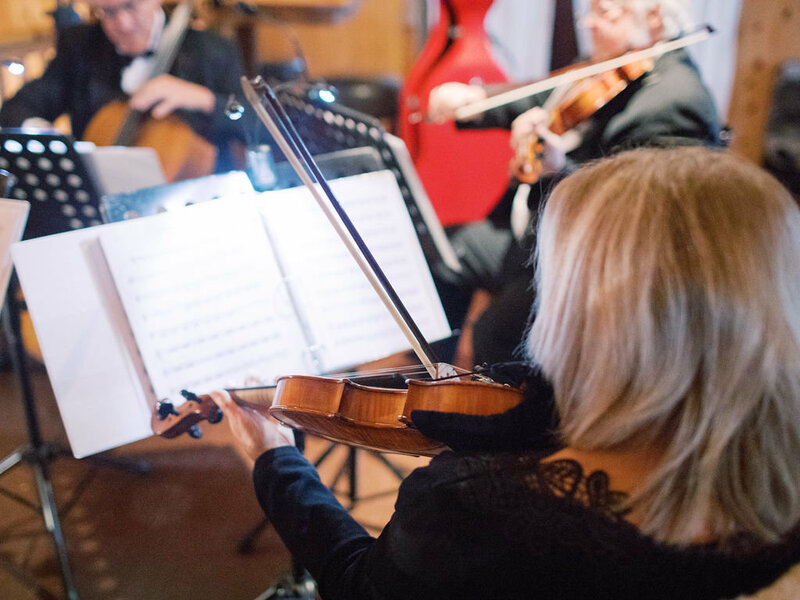 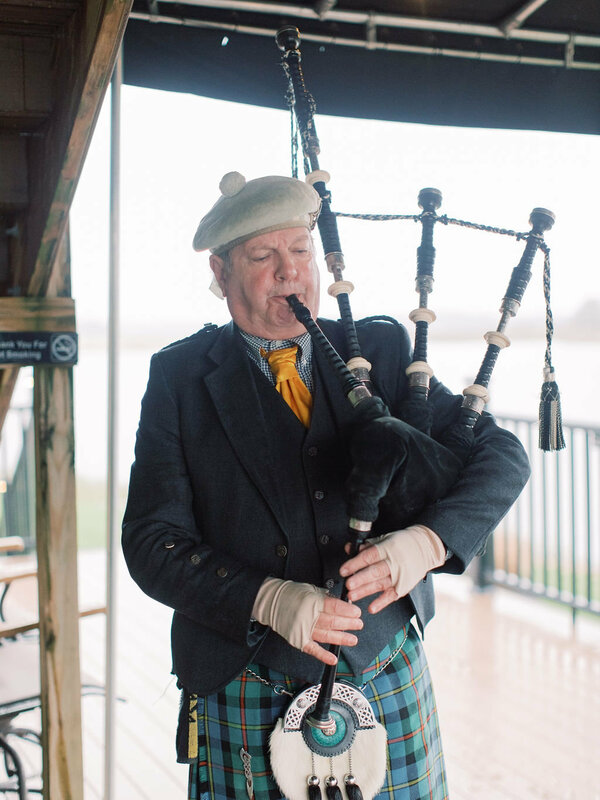 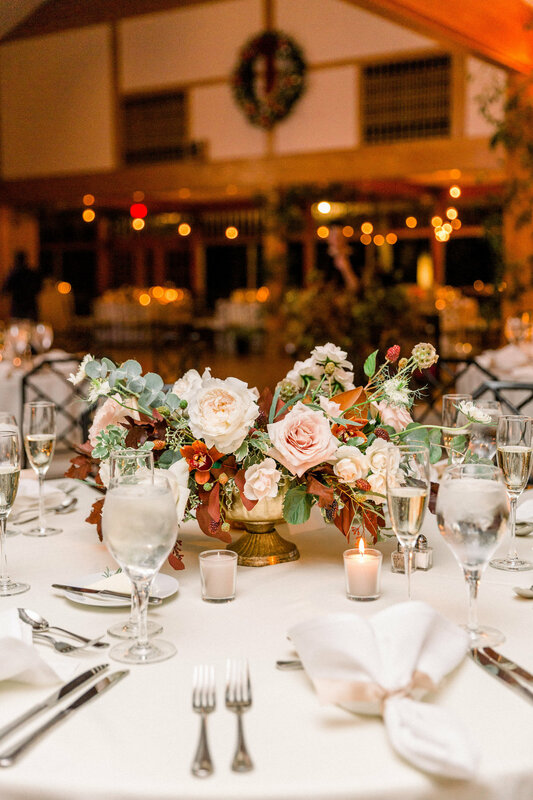 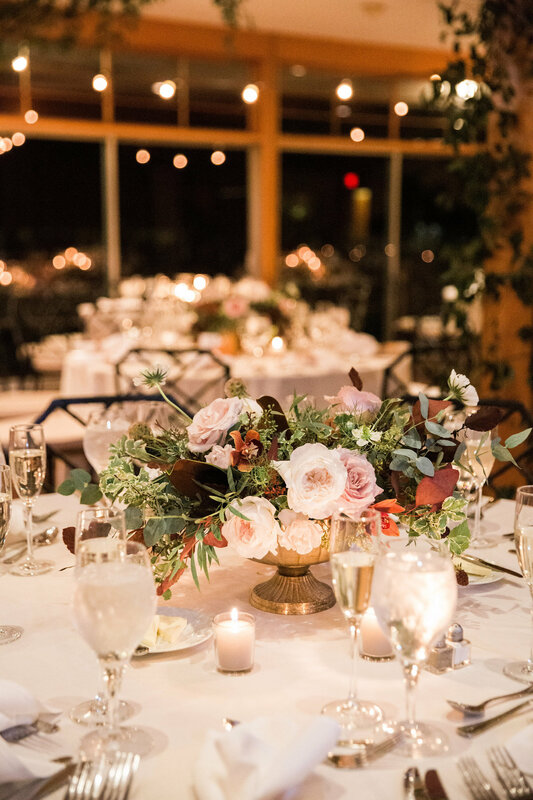 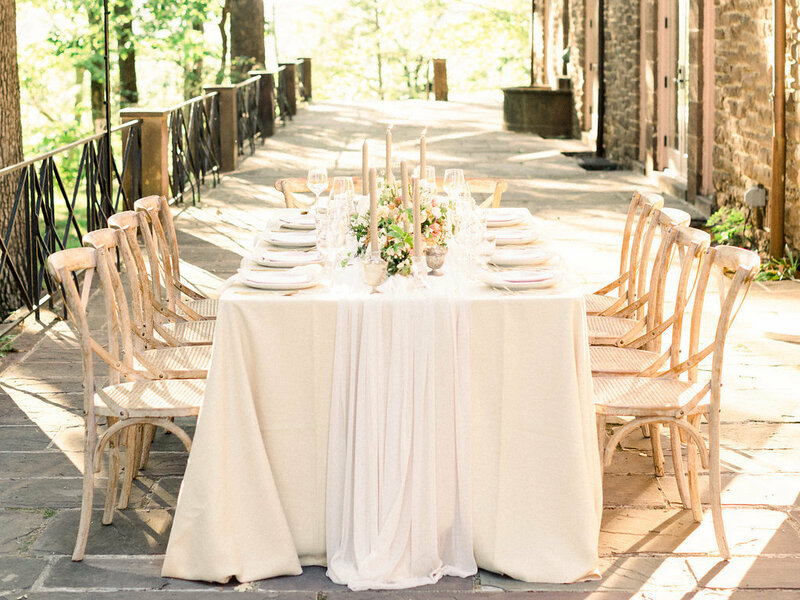 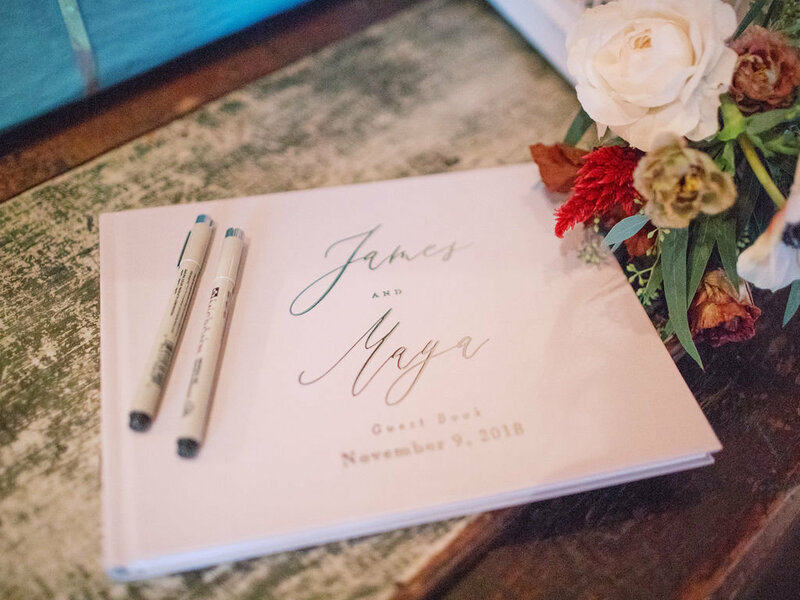 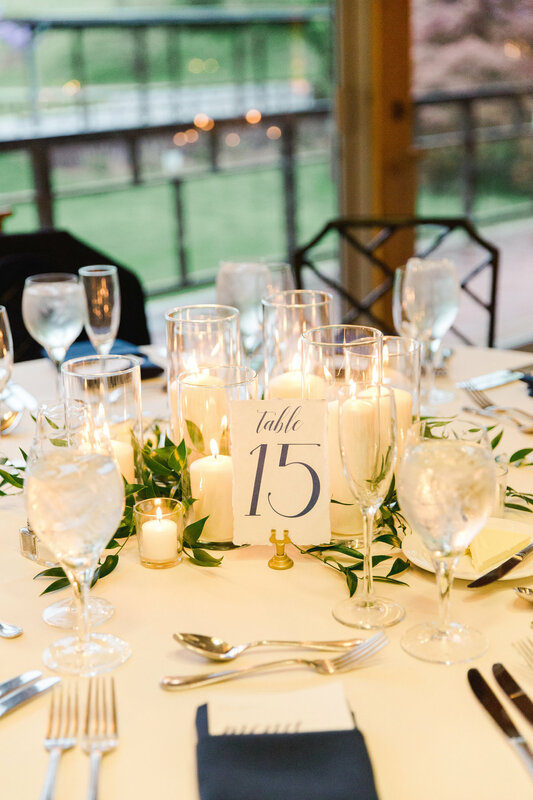 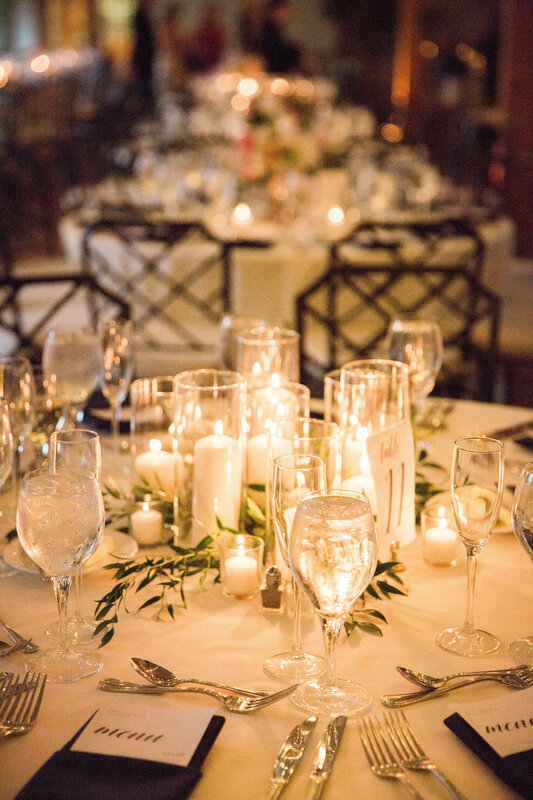 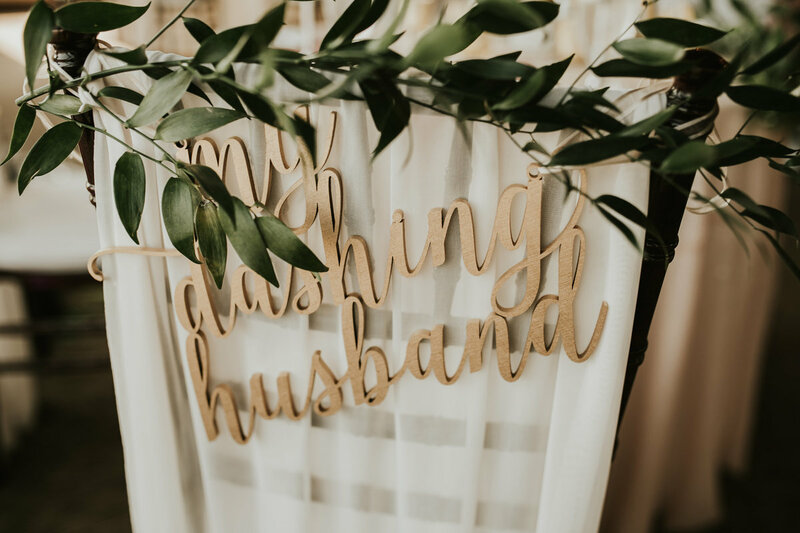 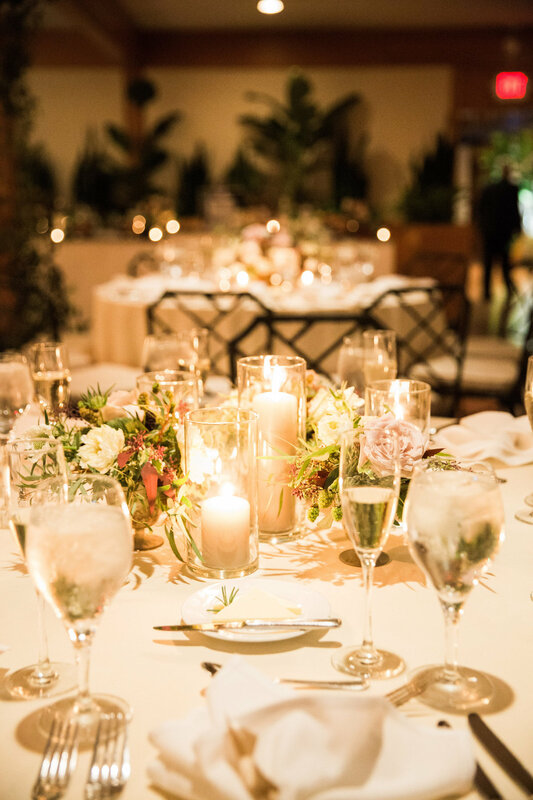 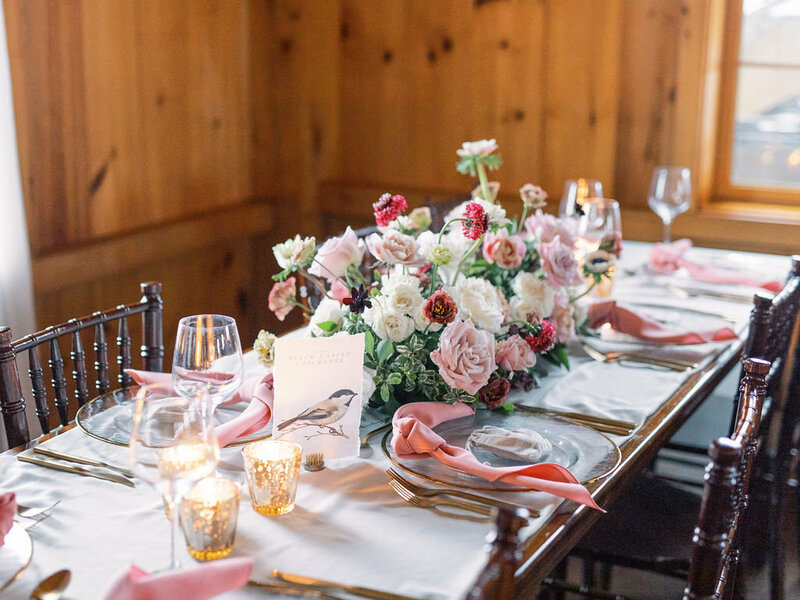 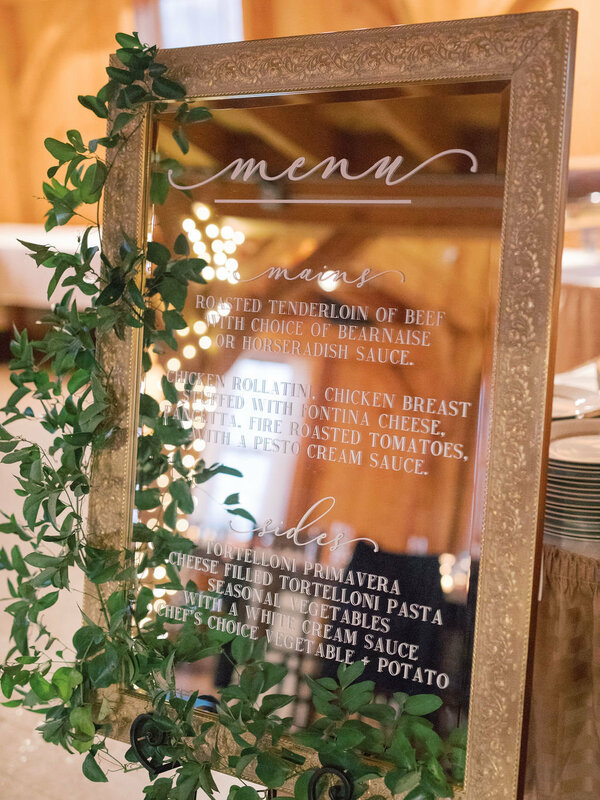 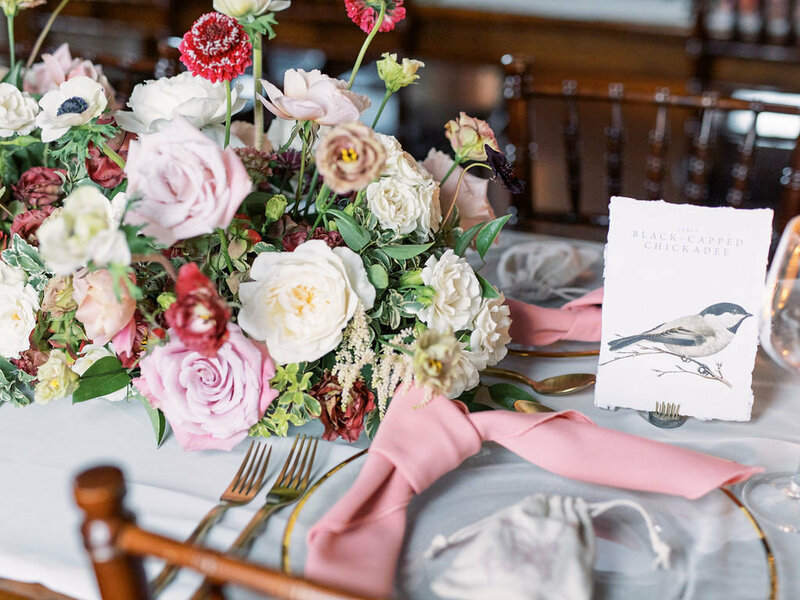 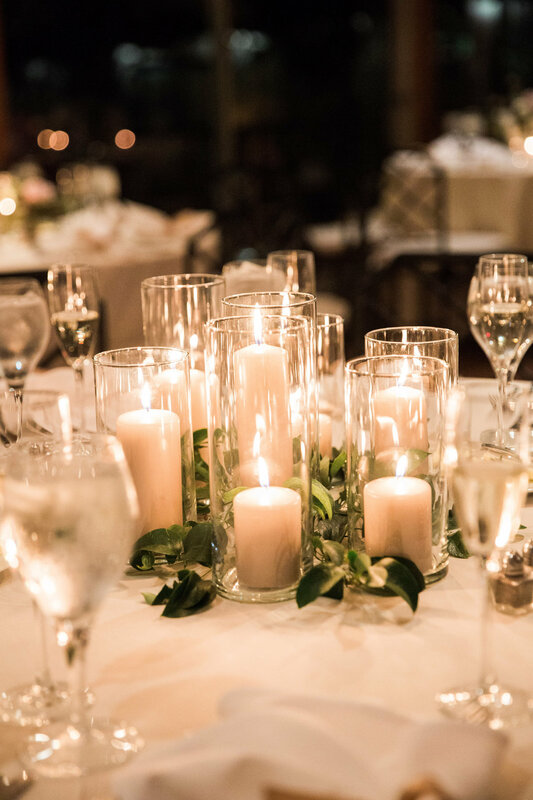 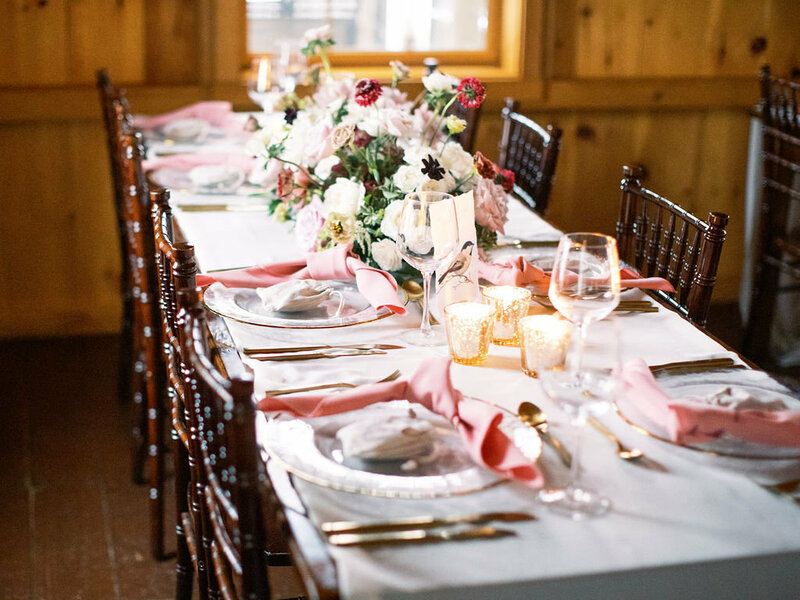 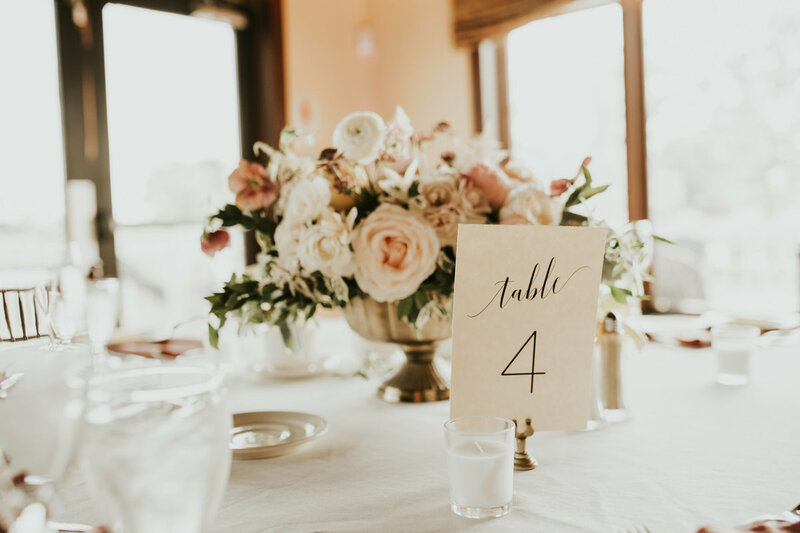 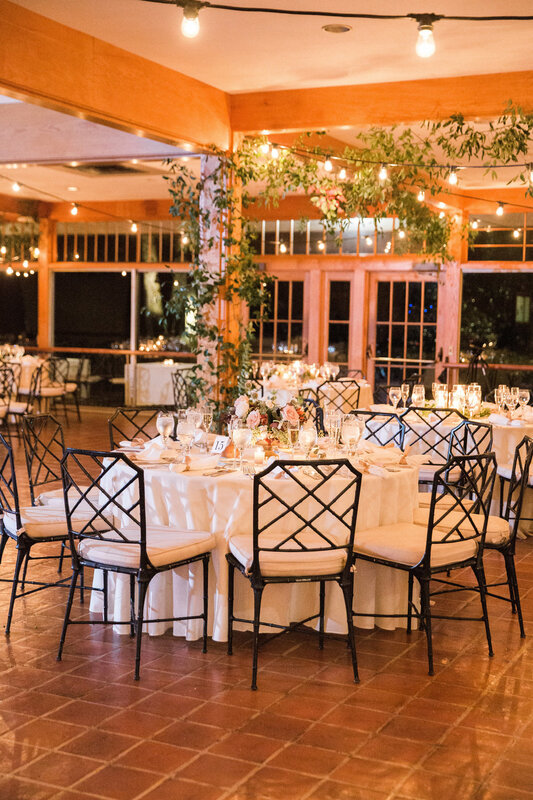 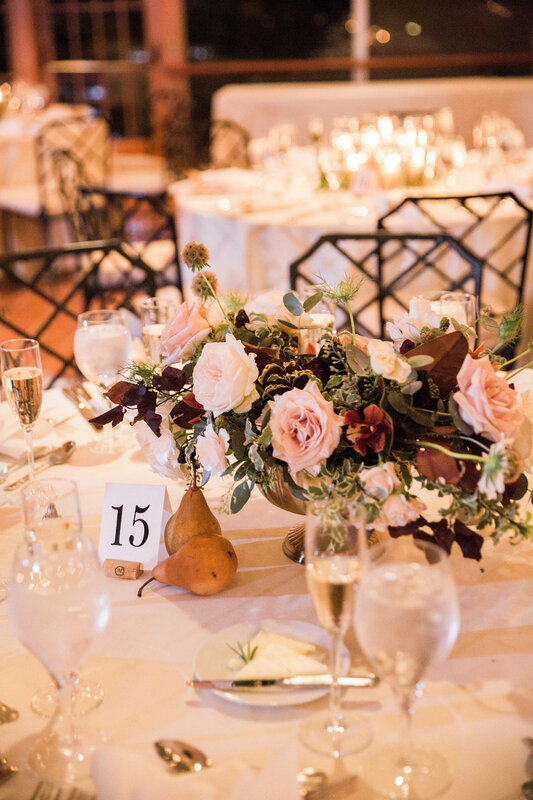 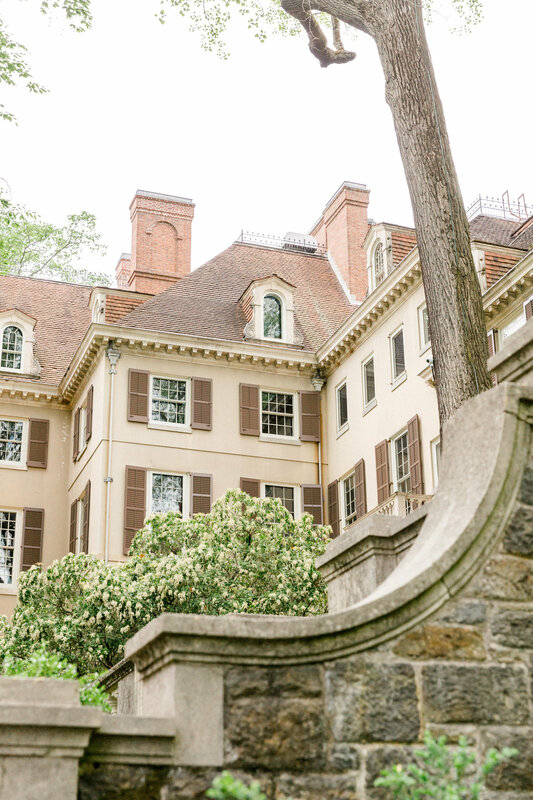 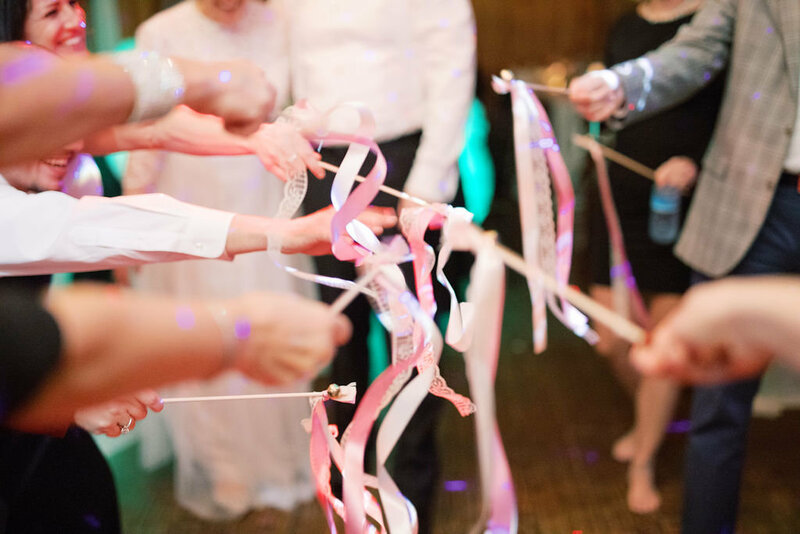 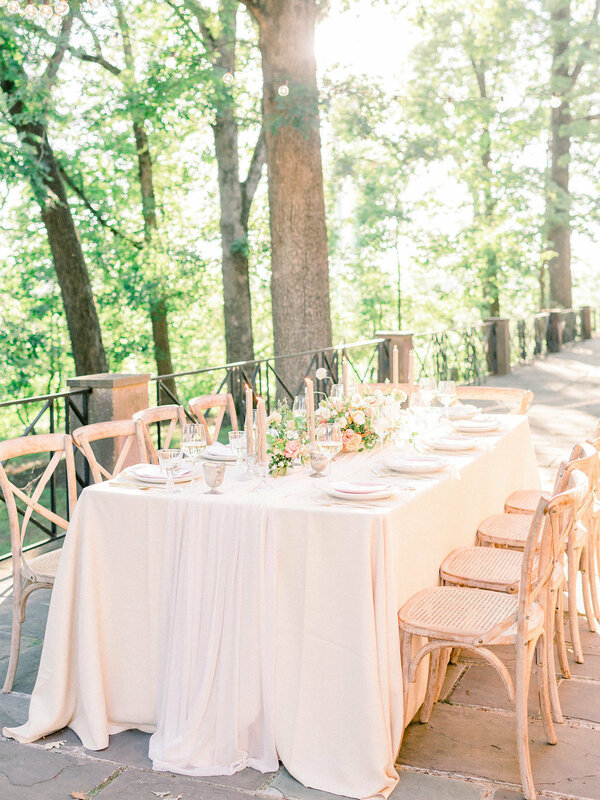 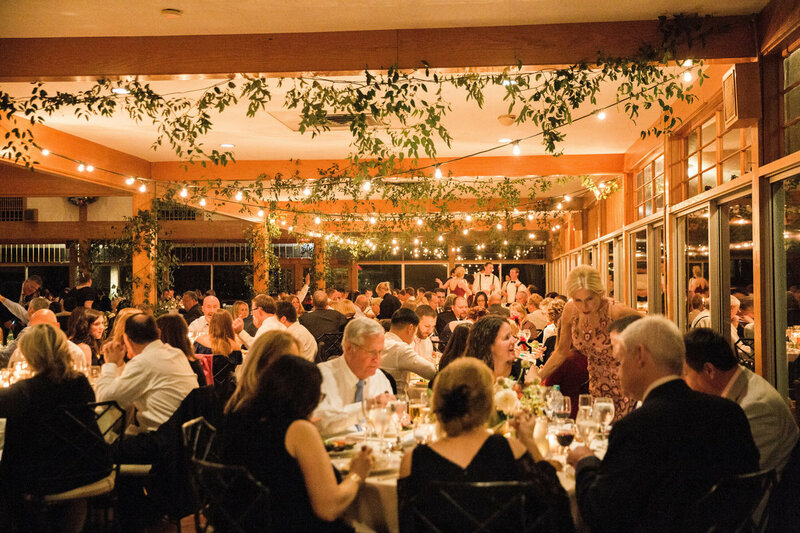 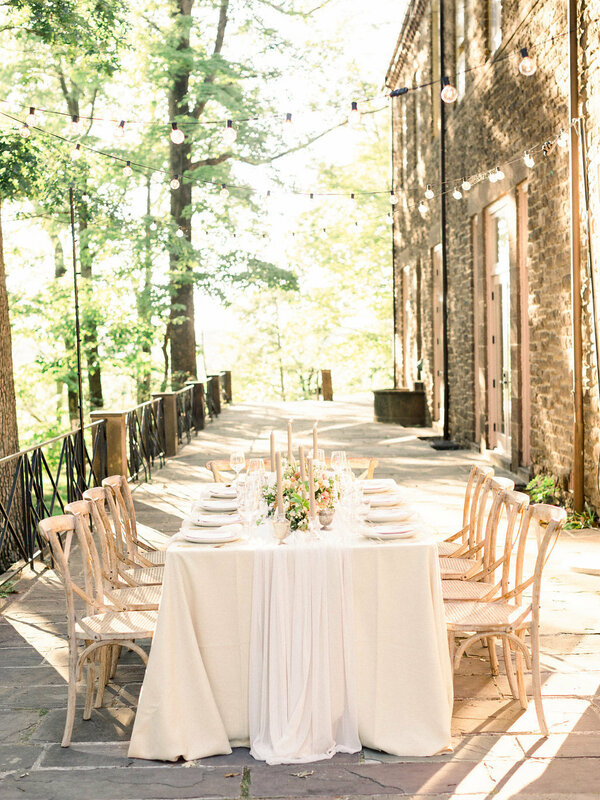 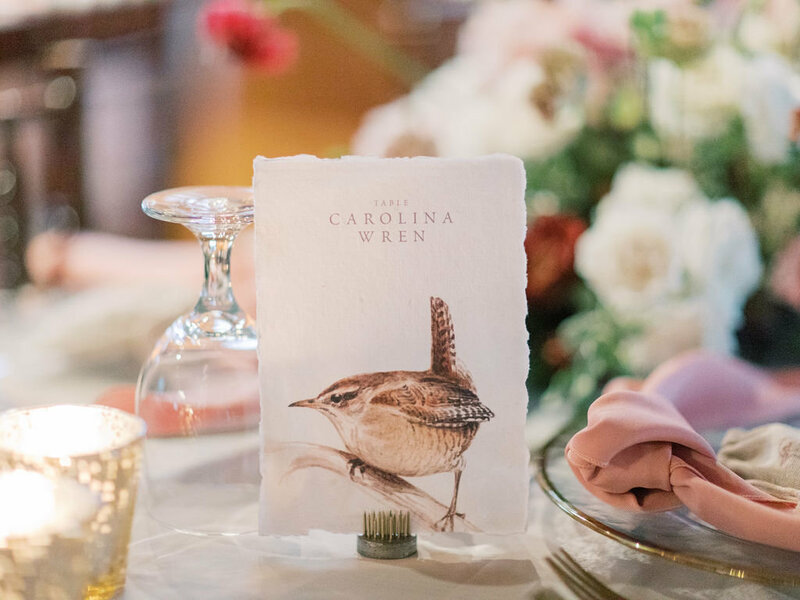 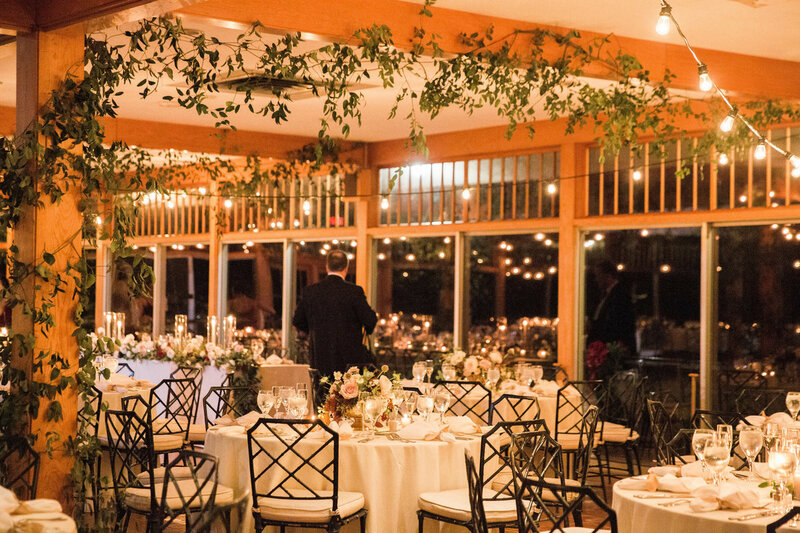 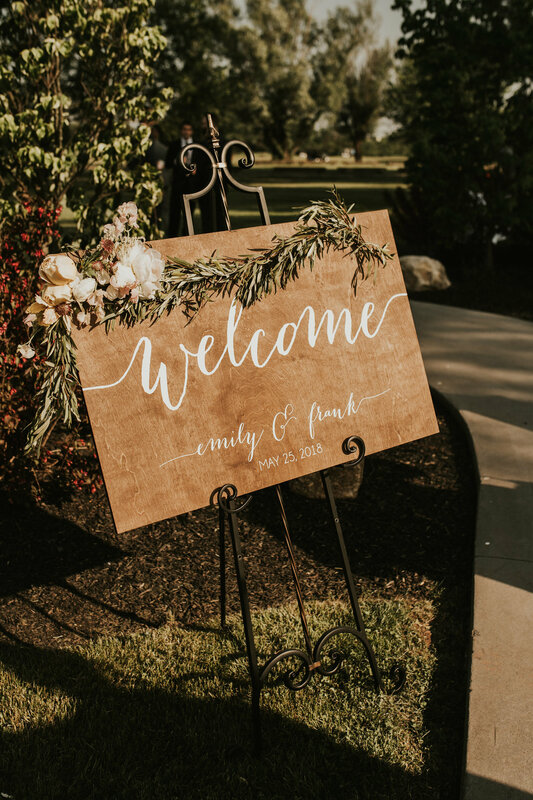 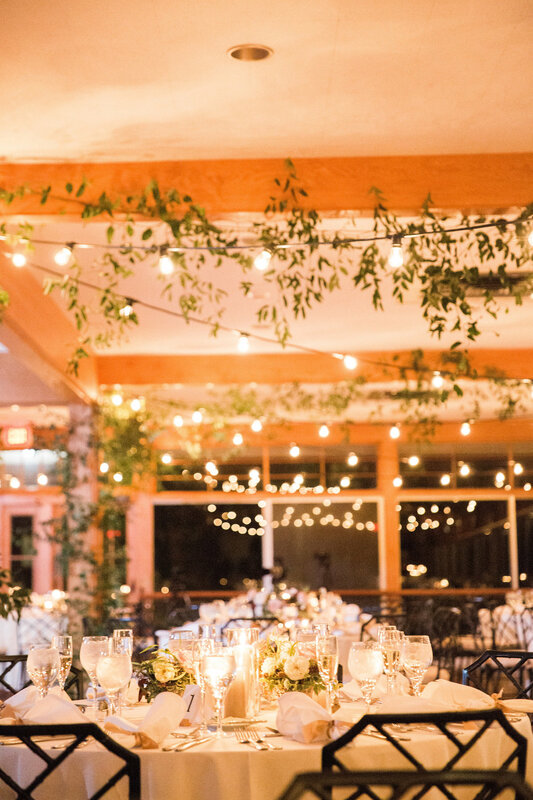 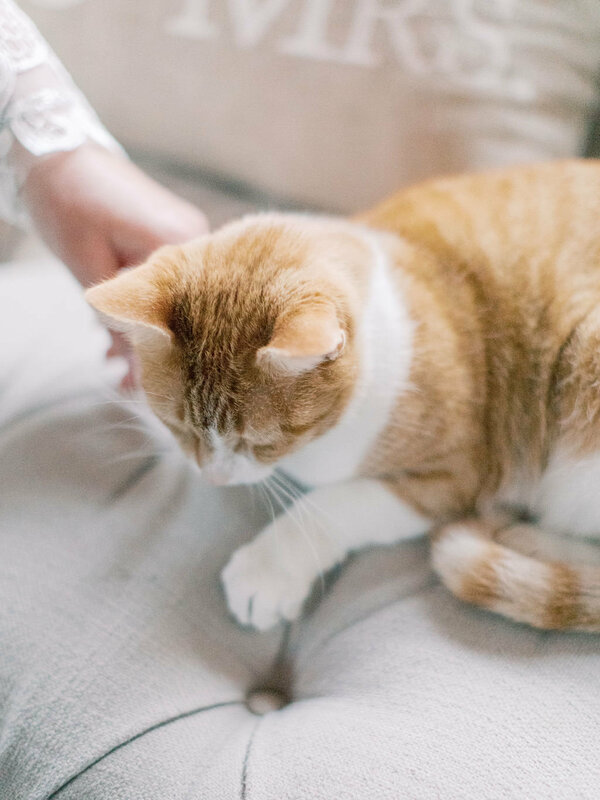 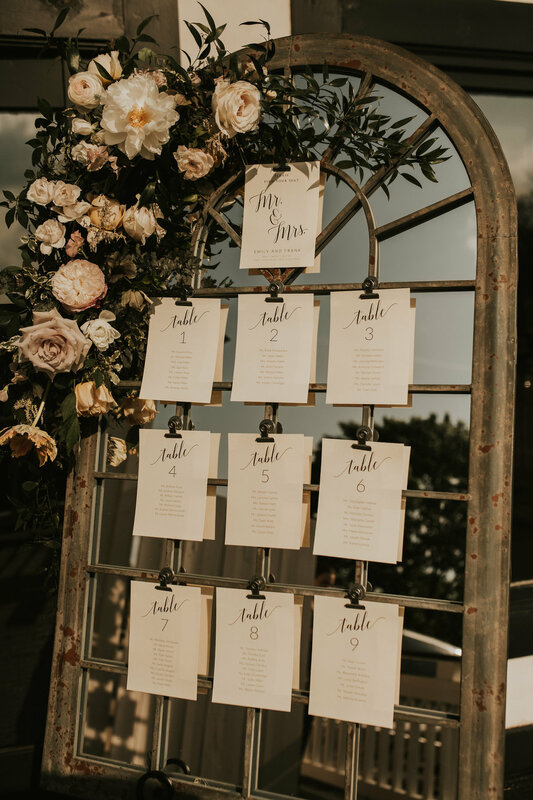 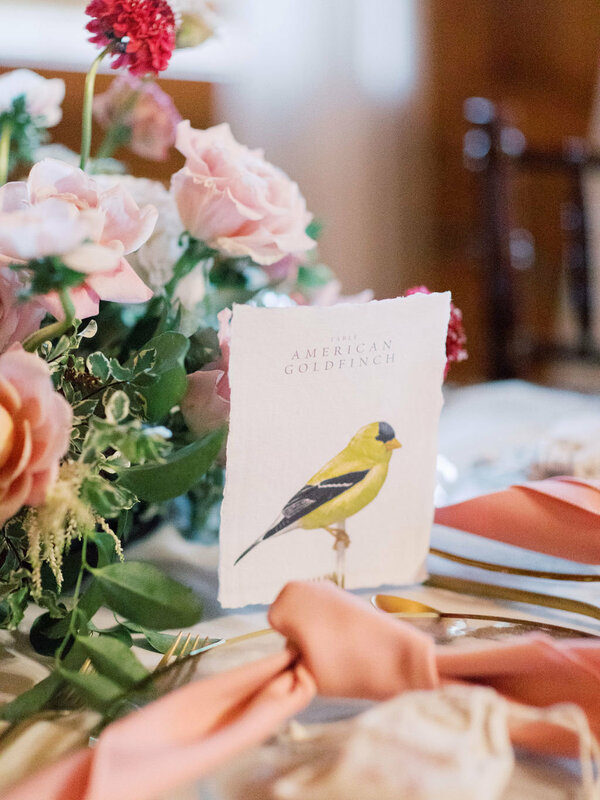 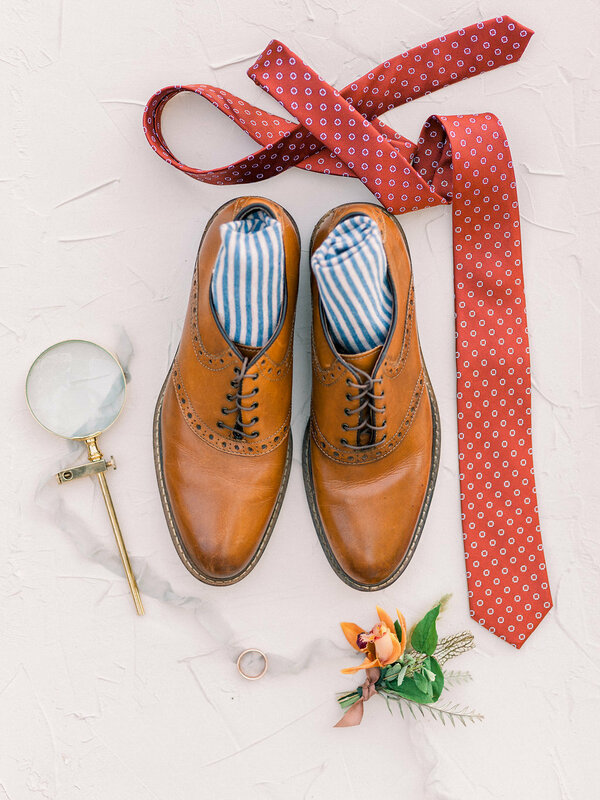 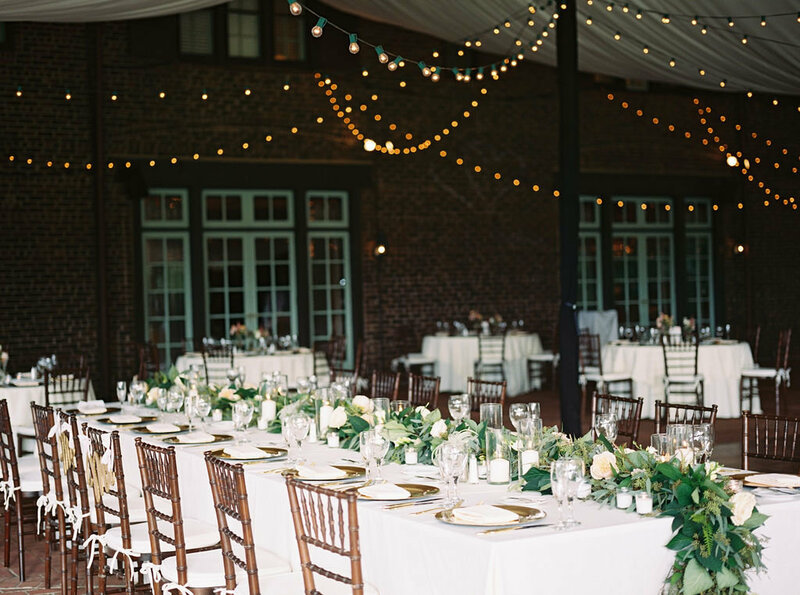 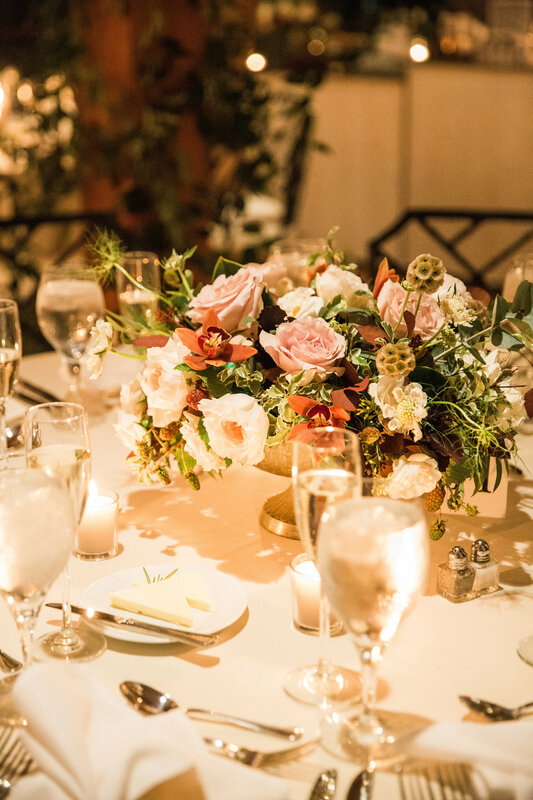 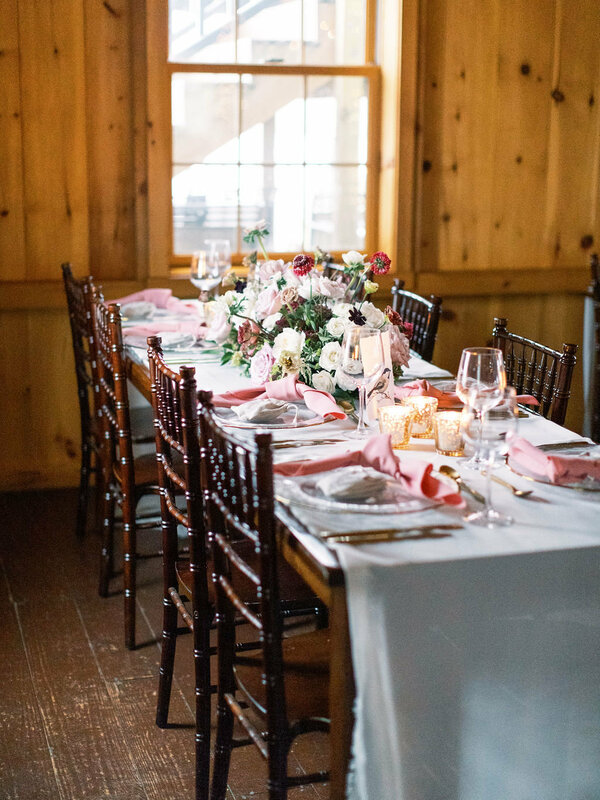 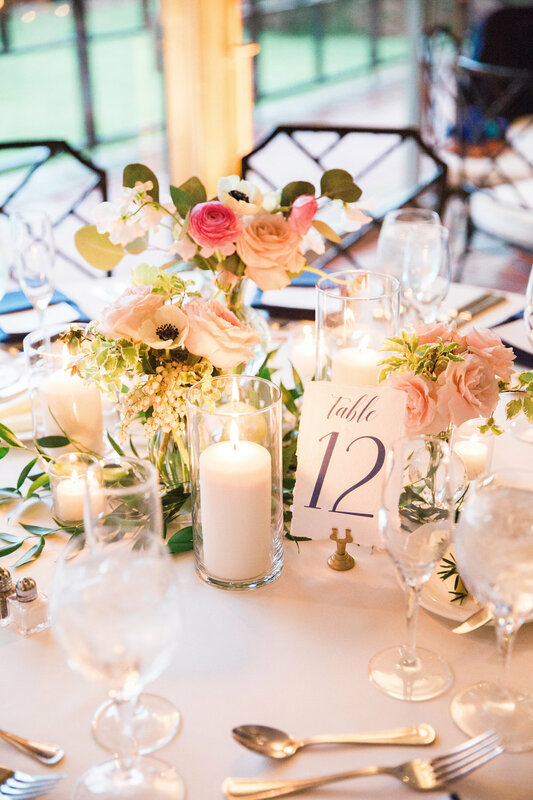 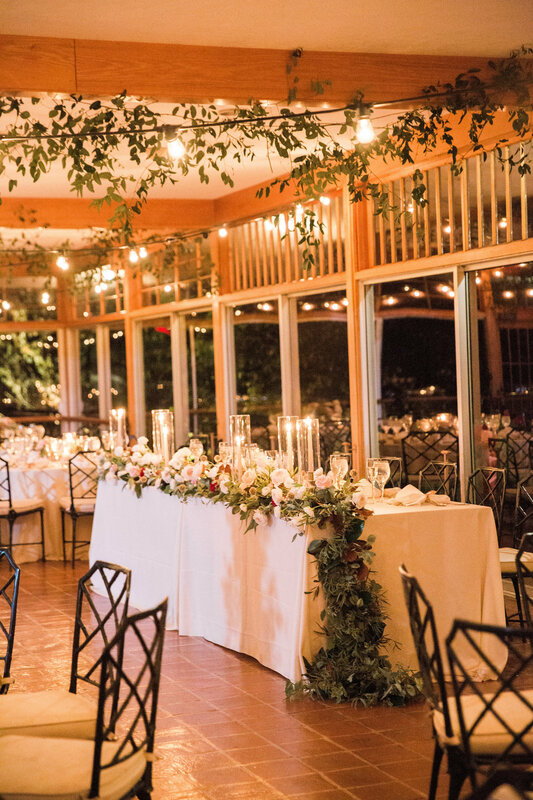 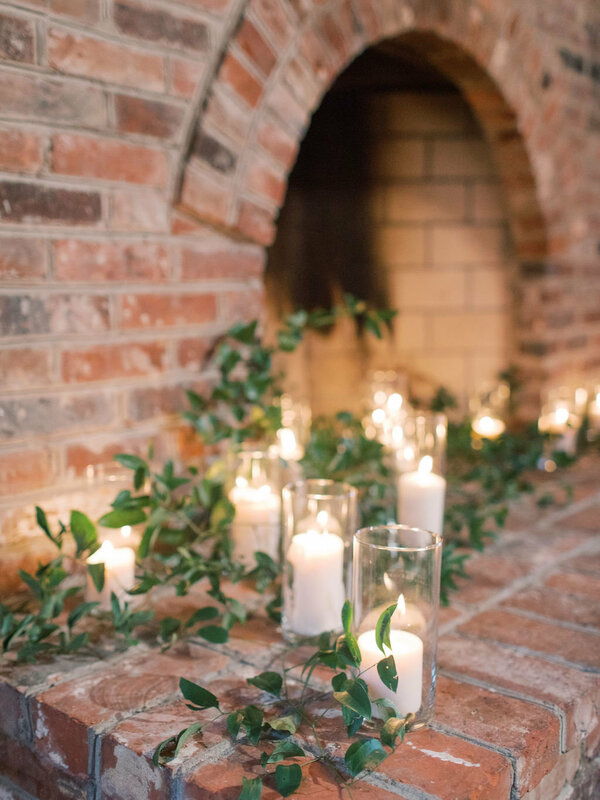 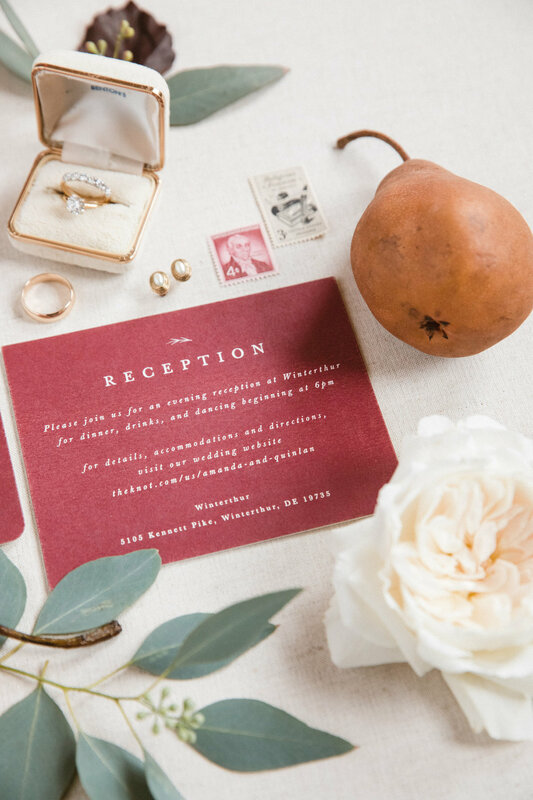 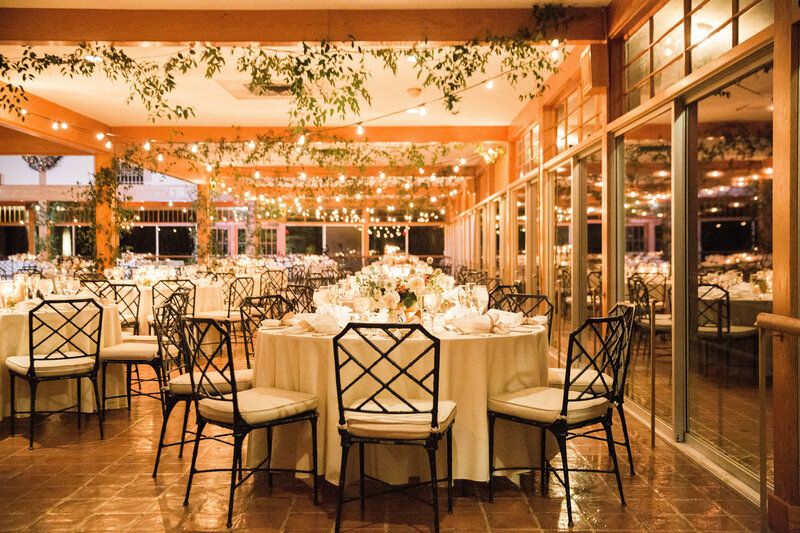 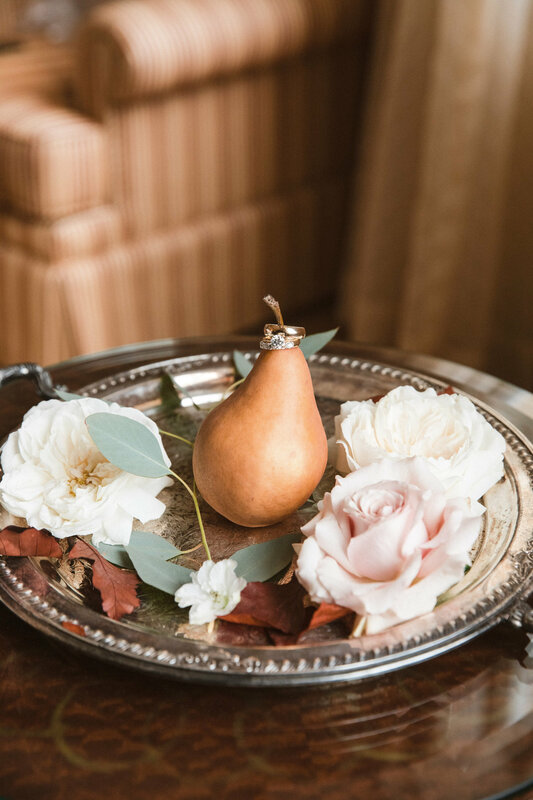 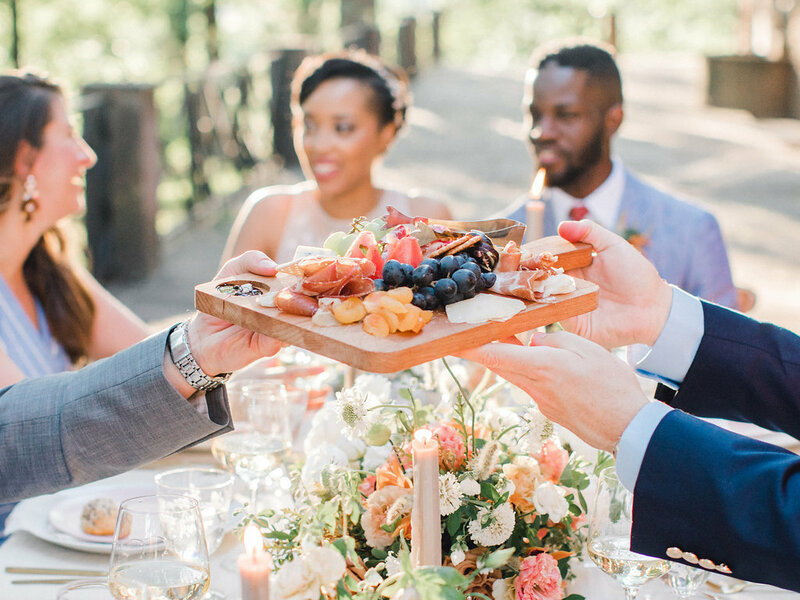 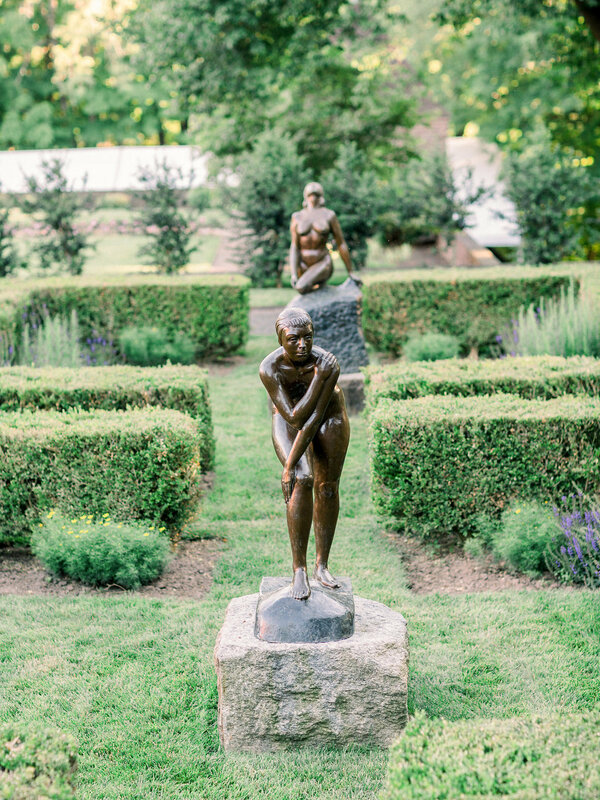 We love getting to know you and your vision from the very start of the design process, our goal is to create a meaningful event that reflects your personality and style. 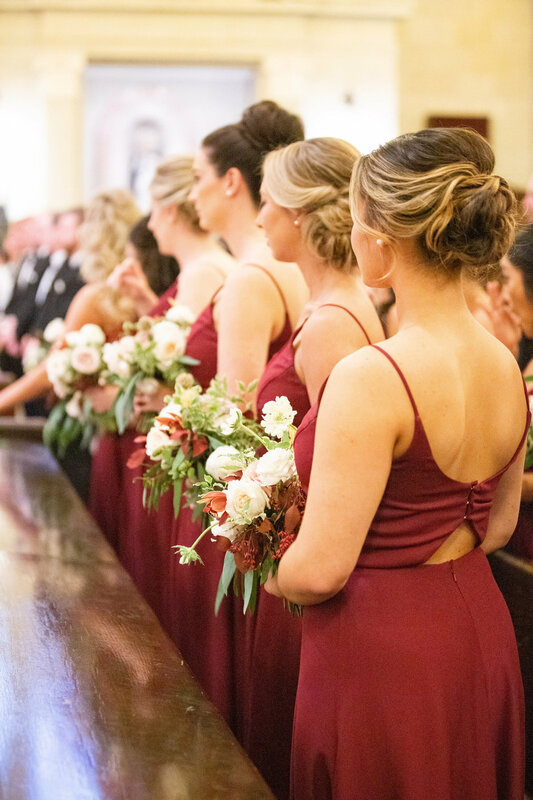 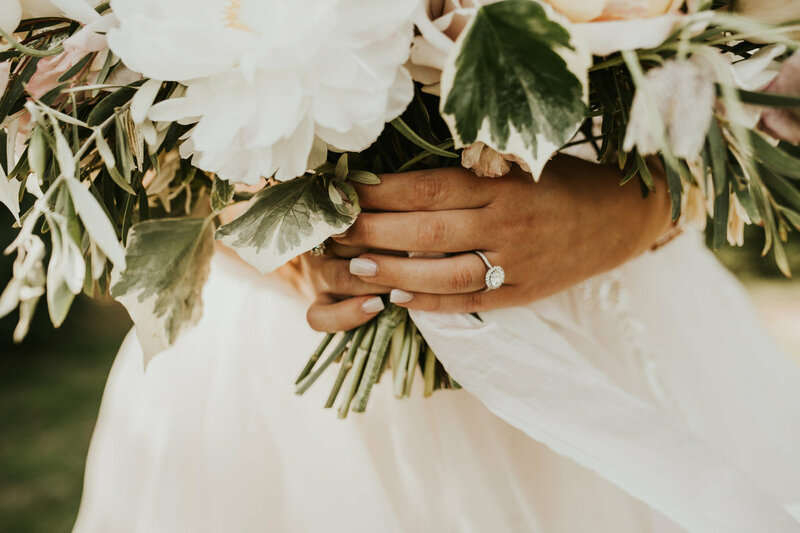 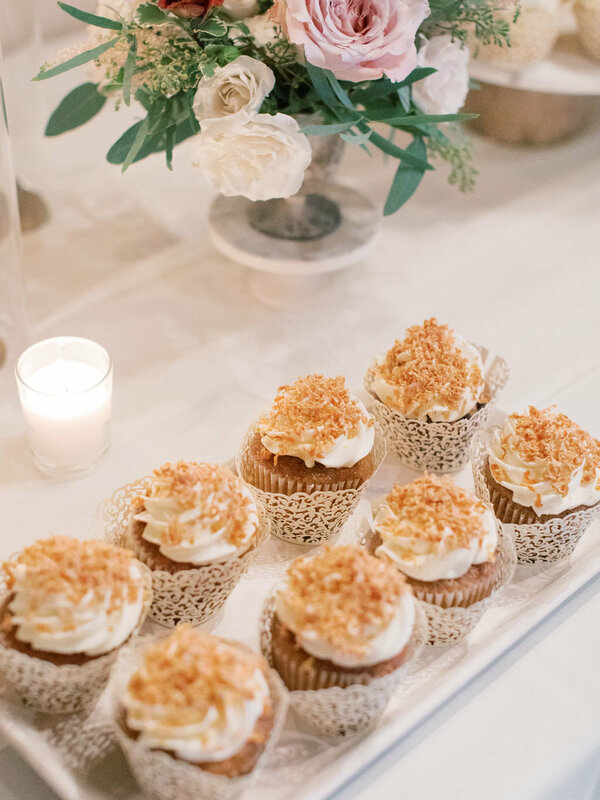 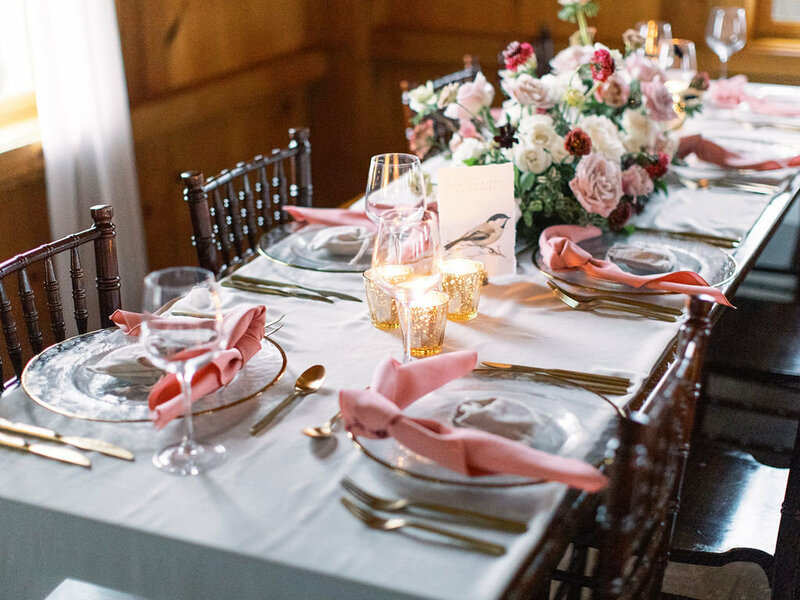 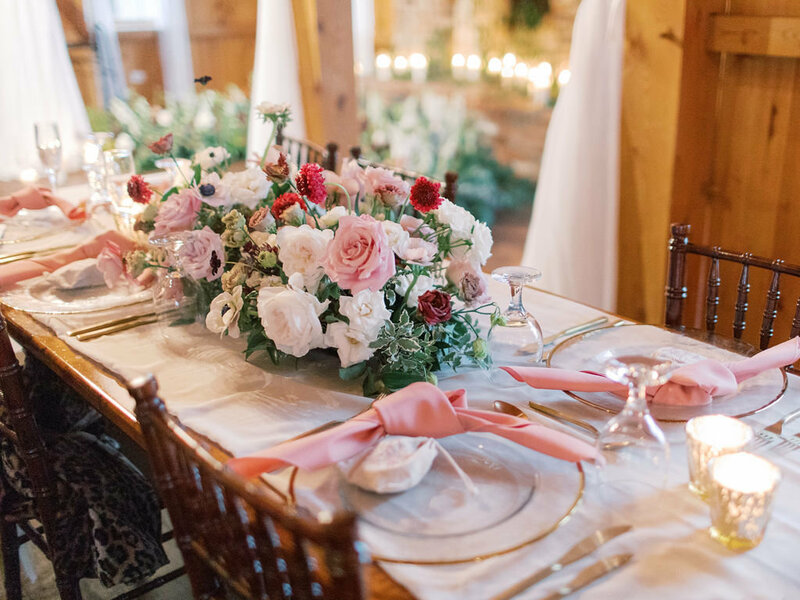 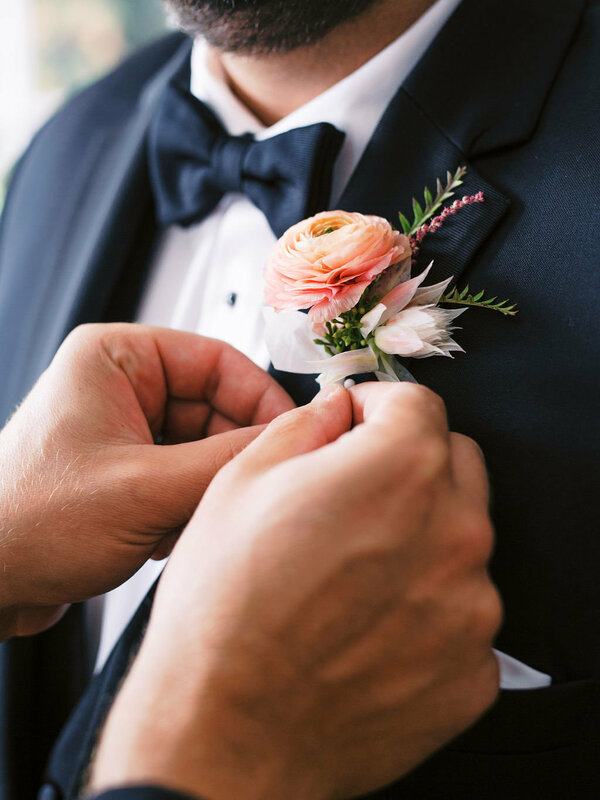 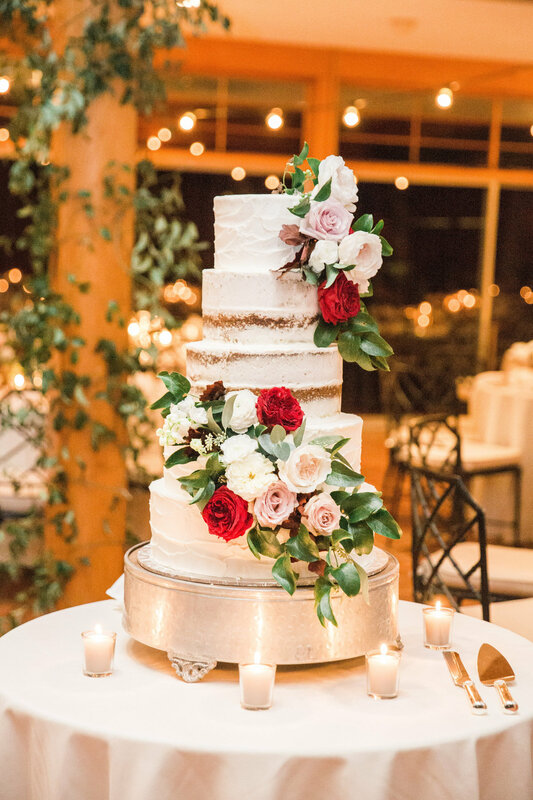 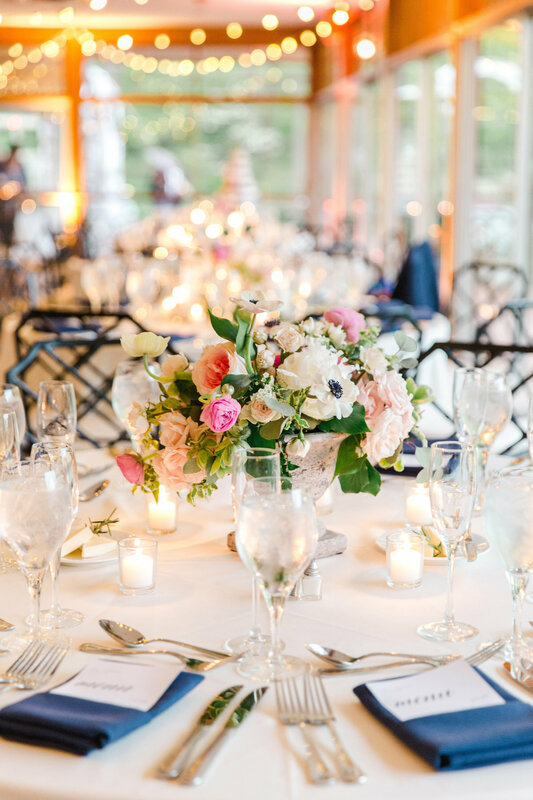 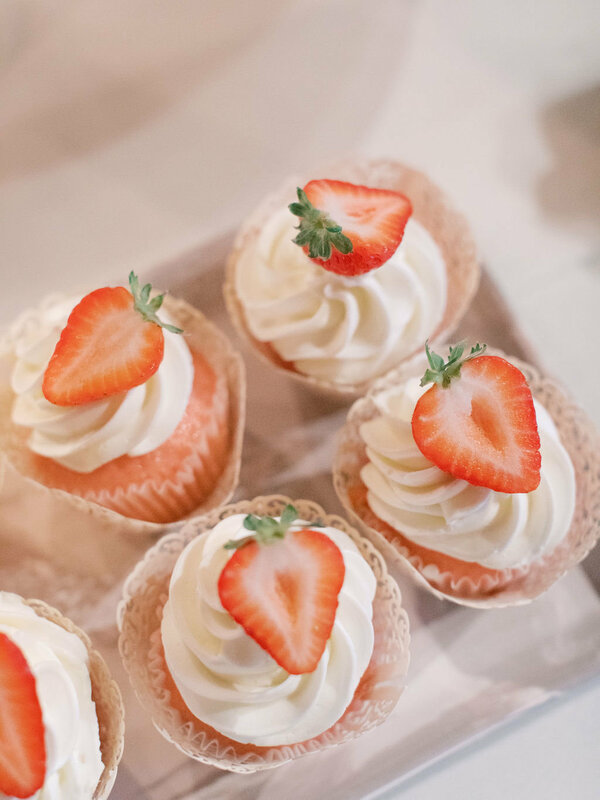 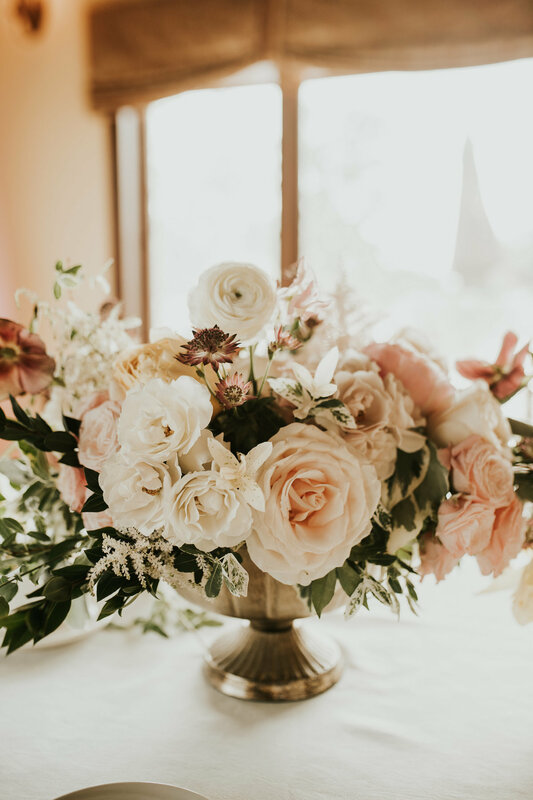 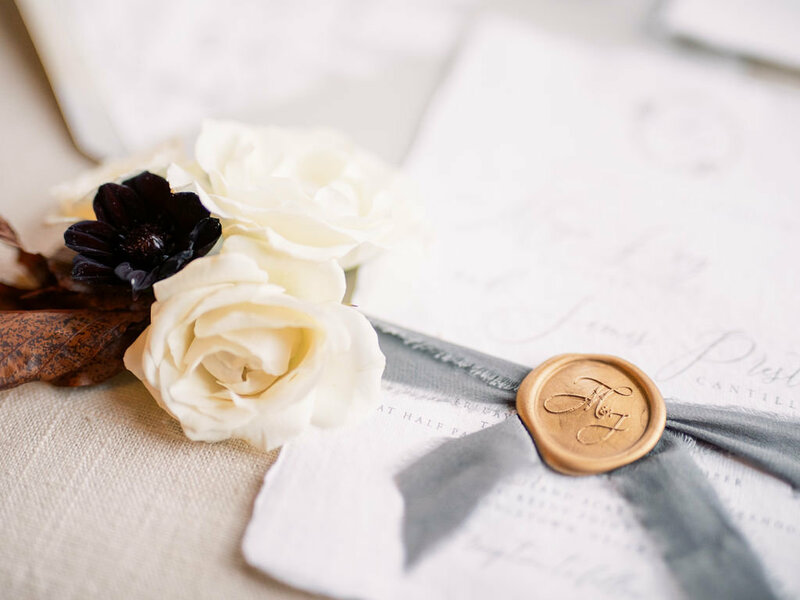 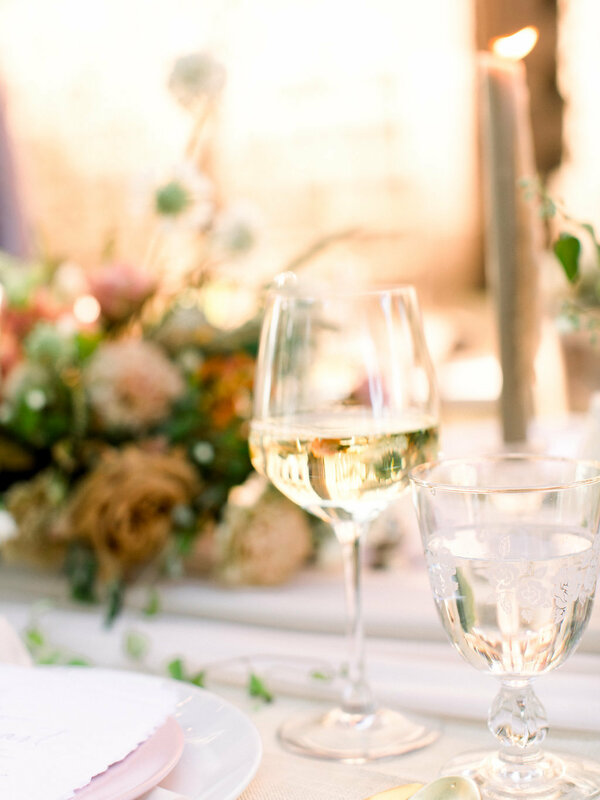 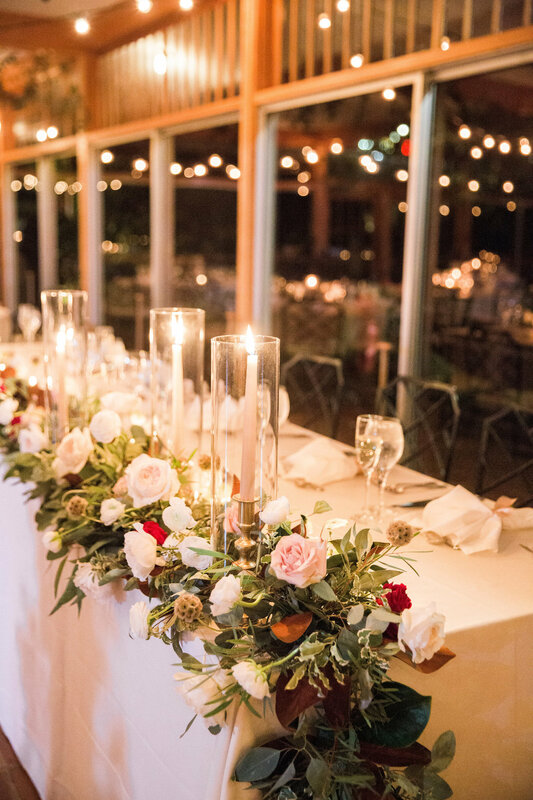 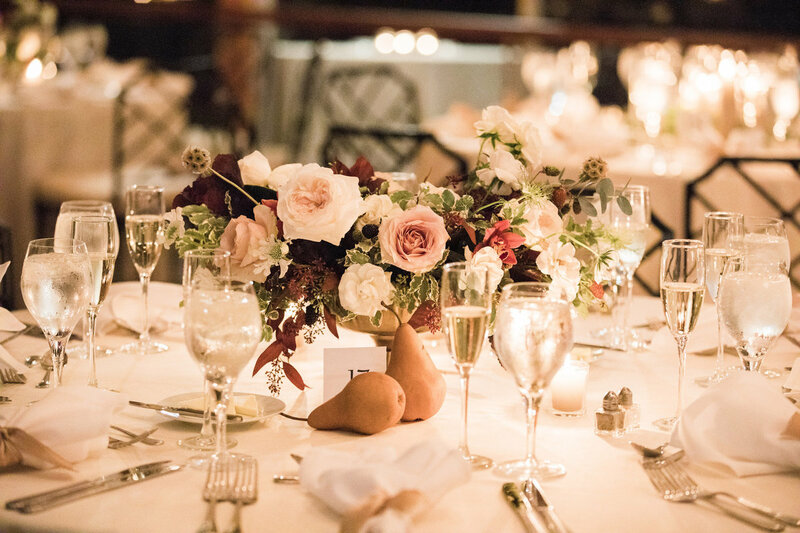 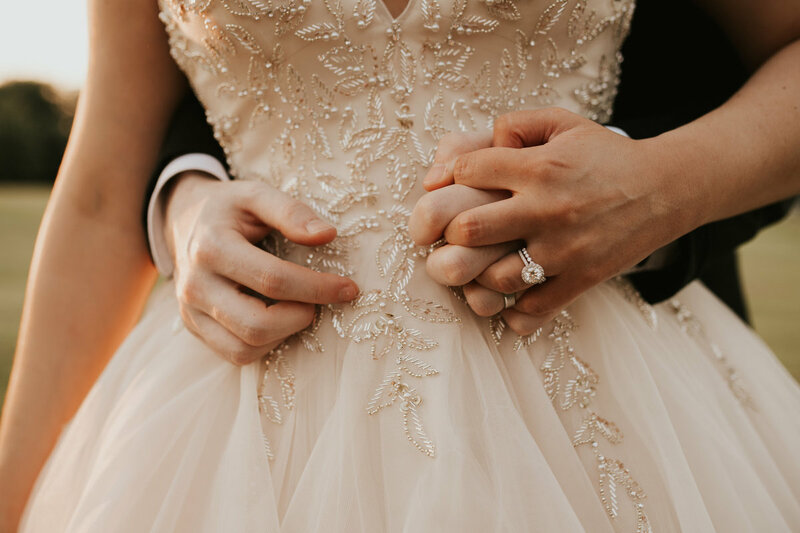 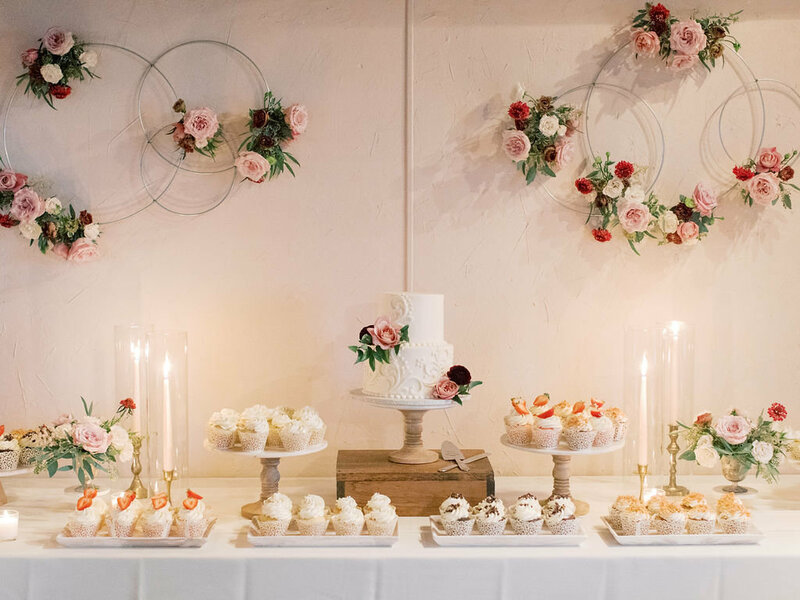 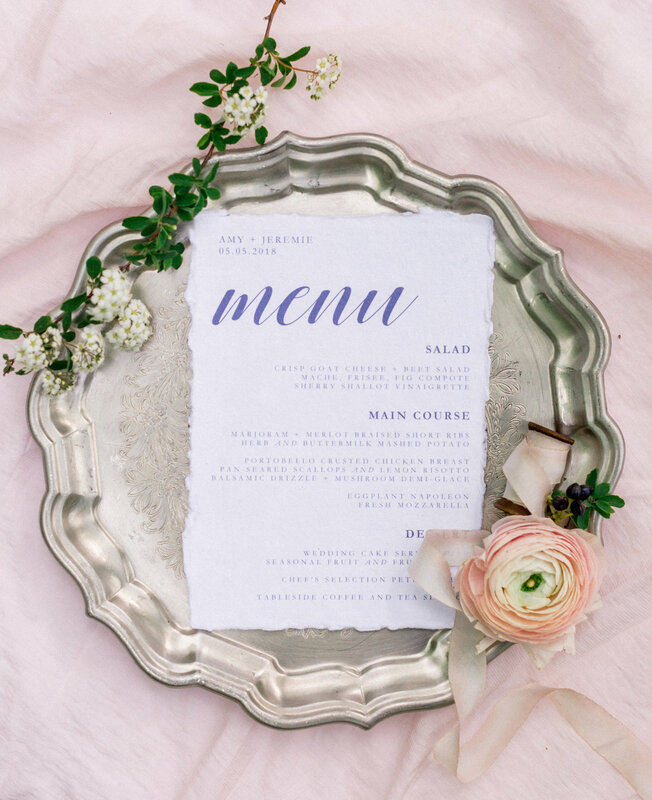 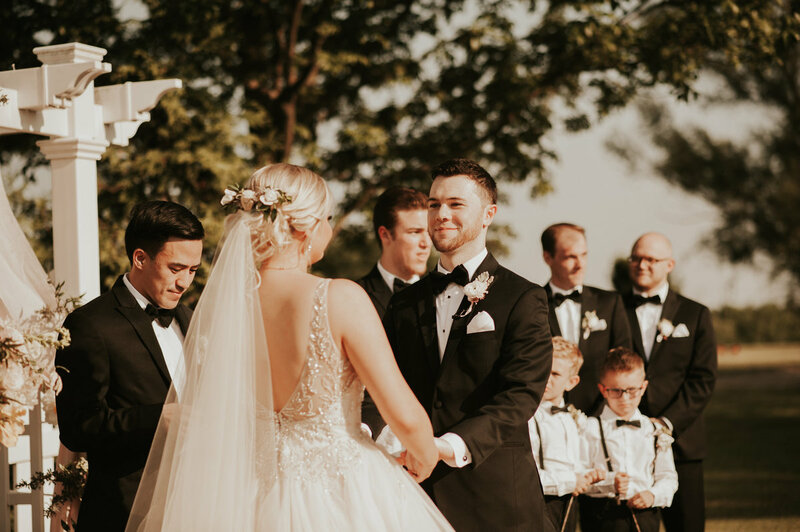 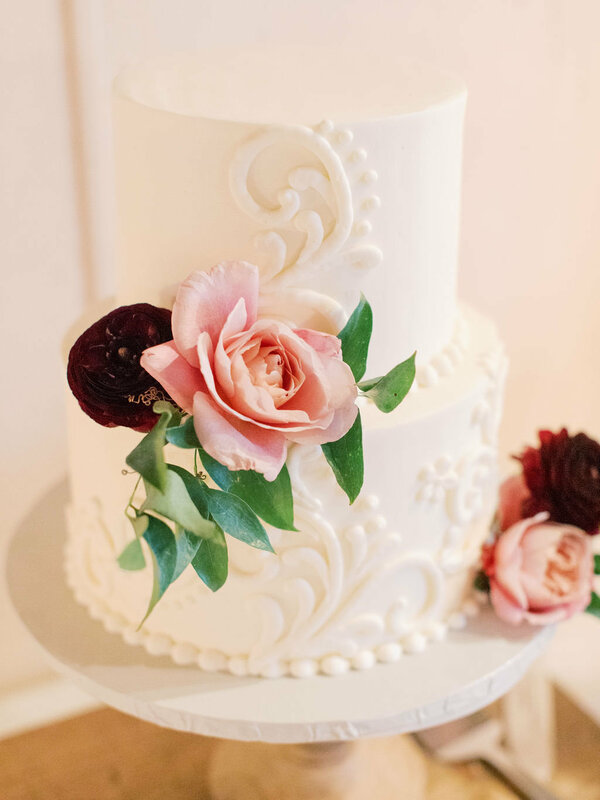 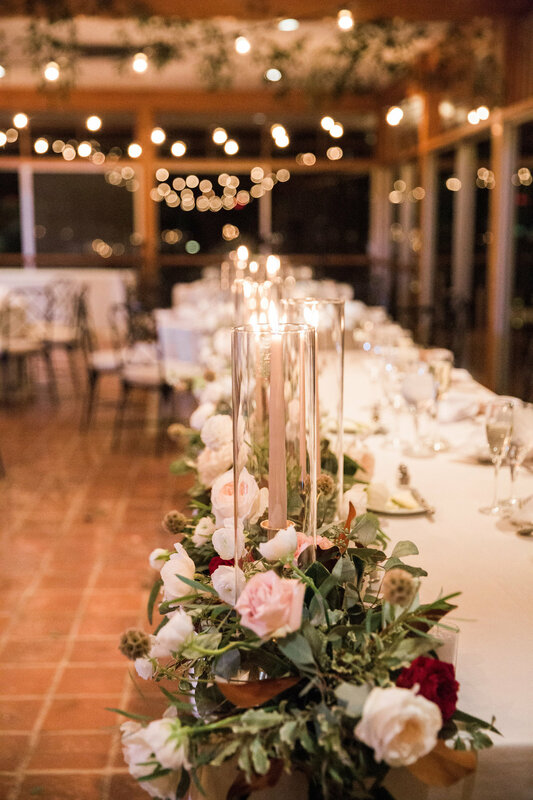 We are pleased to offer two different tiers of wedding design services to provide you with a custom experience tailored to your wedding design needs. 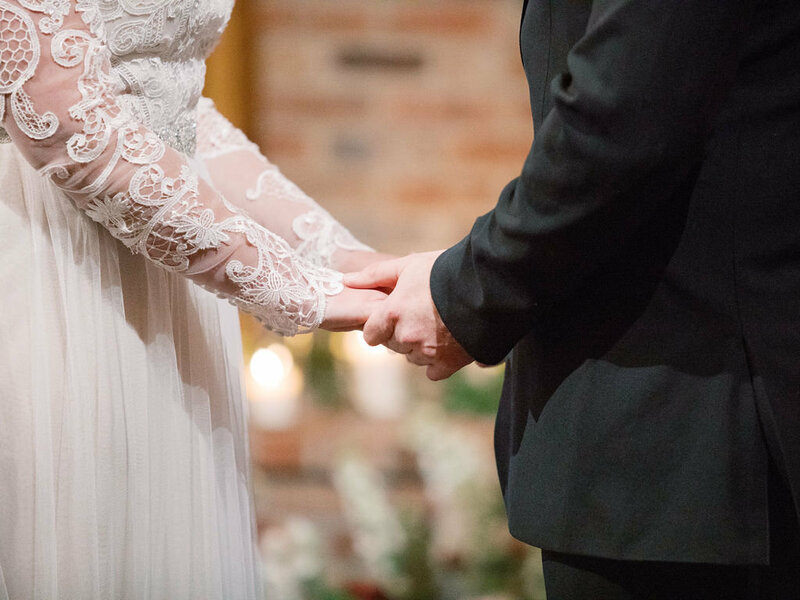 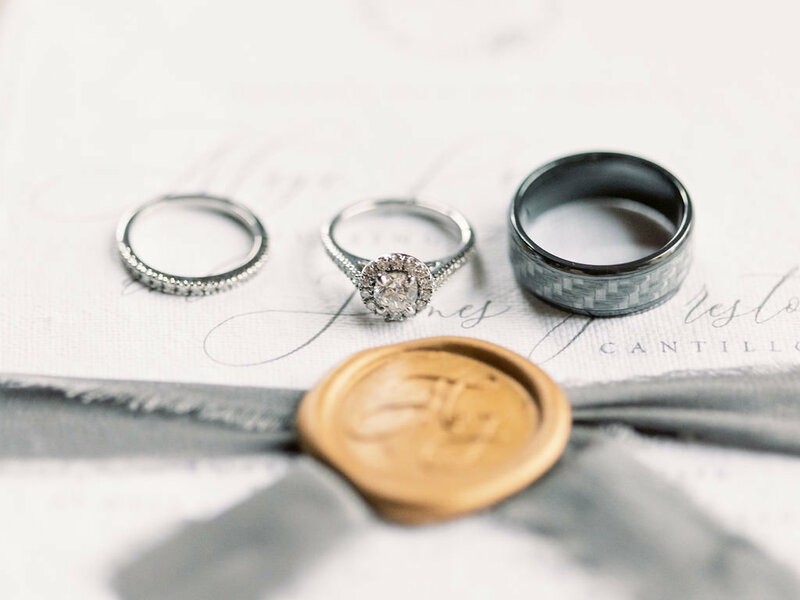 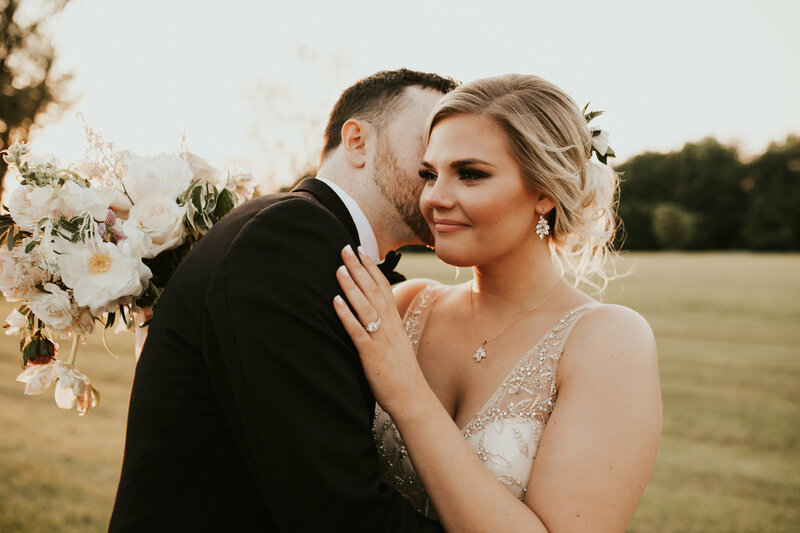 We are proud to partner with Stacy Hart Photography to provide our couples an exclusive offer for those who book both, A Styled Fete and Stacy Hart for their wedding photography coverage. 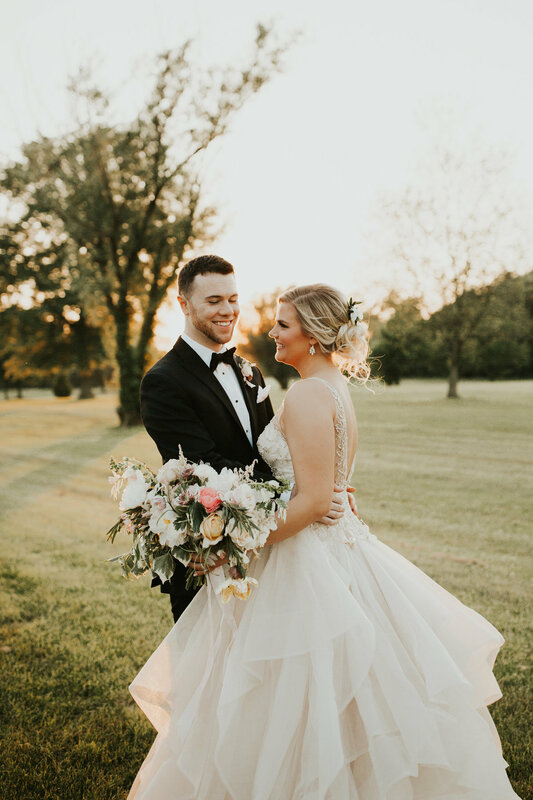 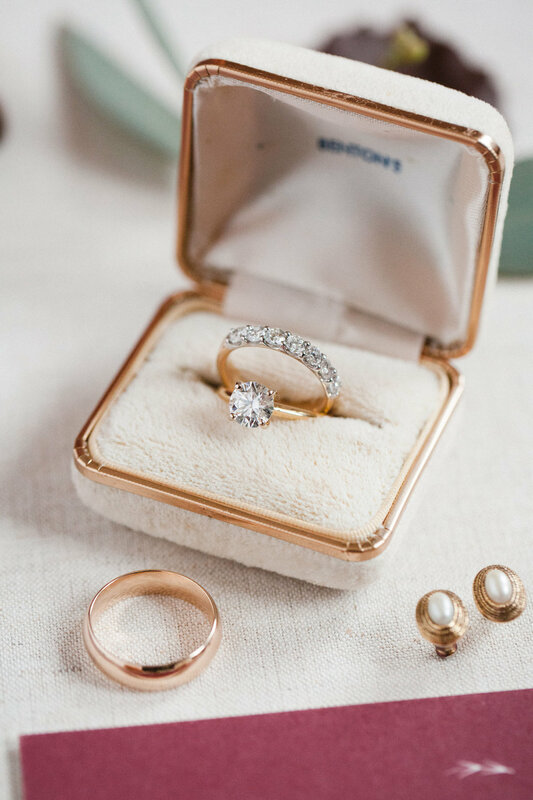 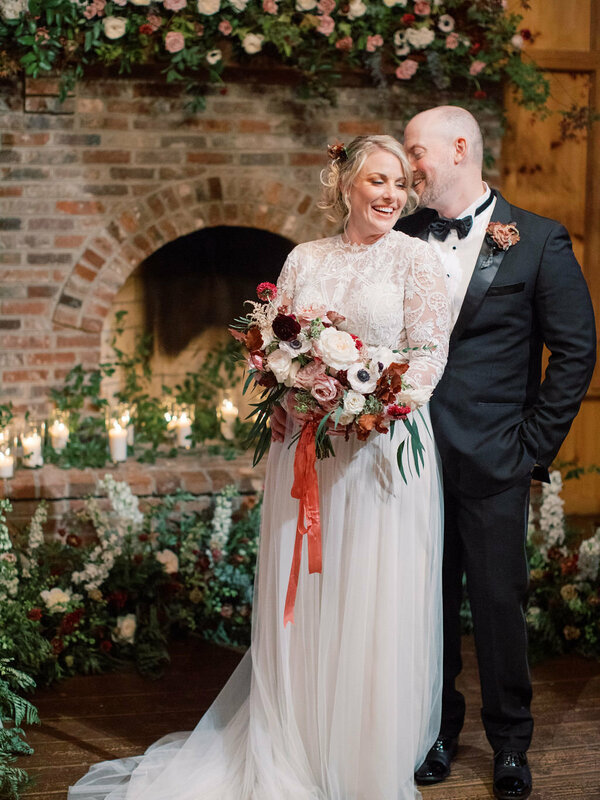 "They totally understood what I wanted and made everything even MORE beautiful than my husband and I could have even imagined! 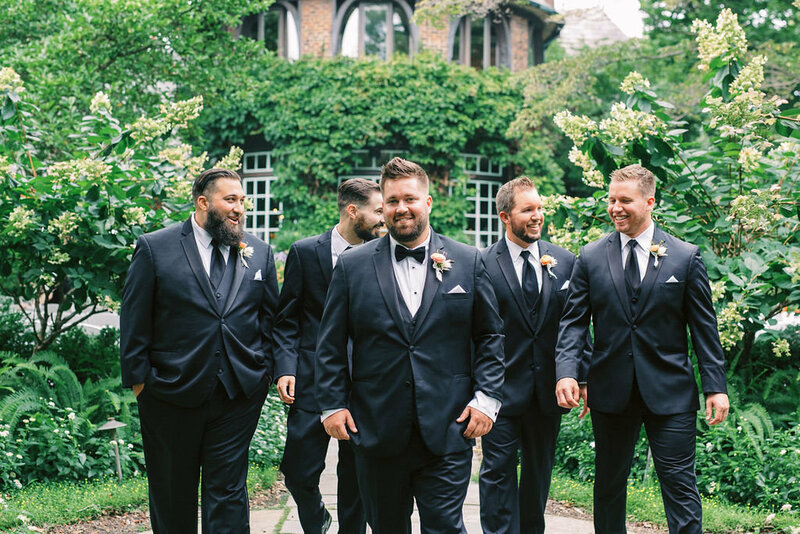 They were always available for any questions or changes I had made and totally understood my vision for the day. 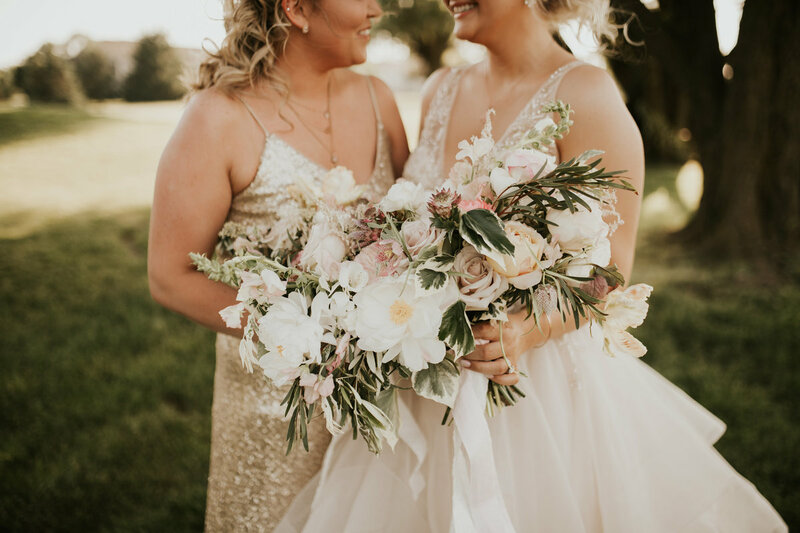 Amanda and Xio completely exceeded my expectations and all of our flowers were just beautiful and stayed beautiful all night long. 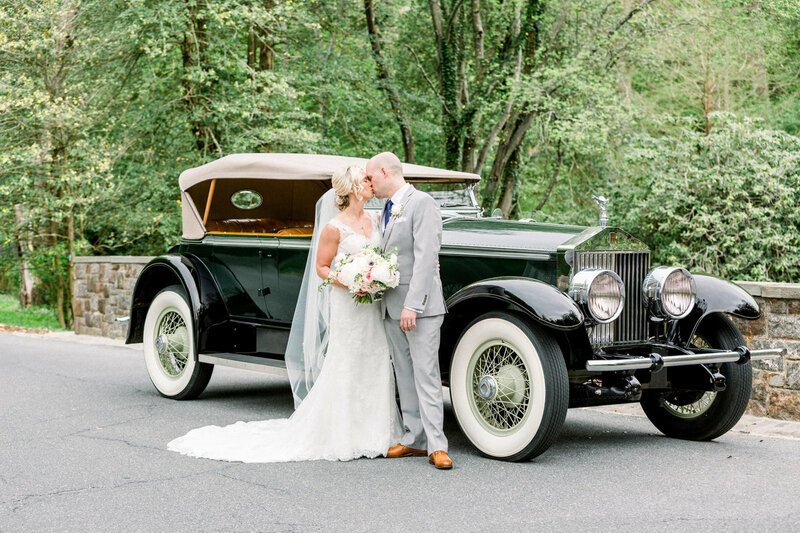 I 100% recommend their service to anyone!" 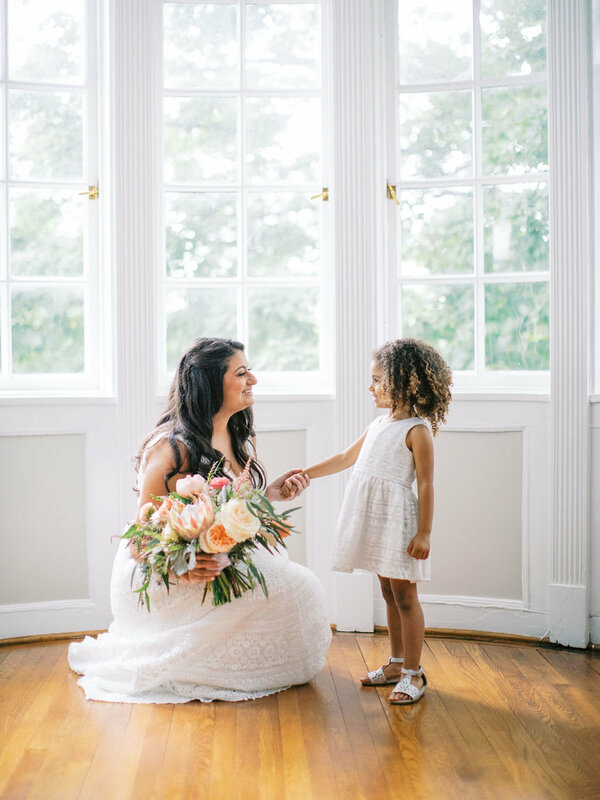 "Saying that Xio and Amanda from A Styled Fete achieved this vision of mine would be a understatement. 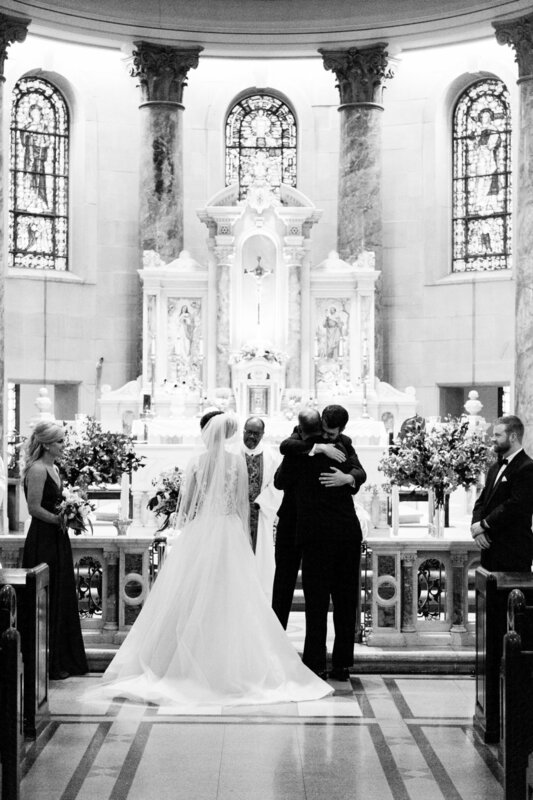 They took this vision and made it a dream come true! 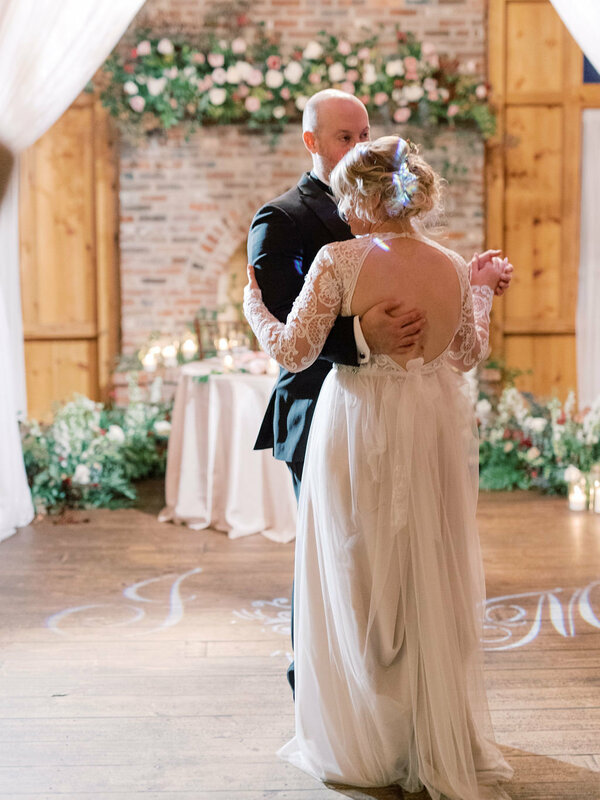 I will never forget walking into the barn before guests arrived and seeing them setting up and just being taken back by how absolutely STUNNING everything was. 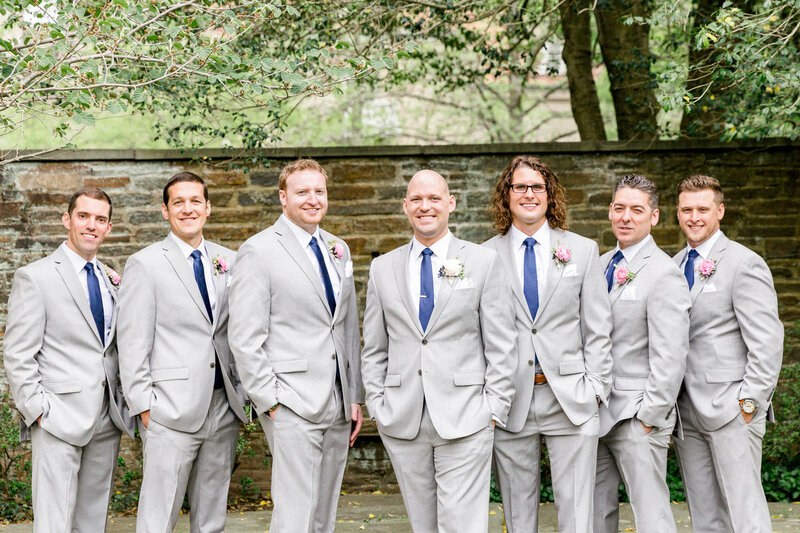 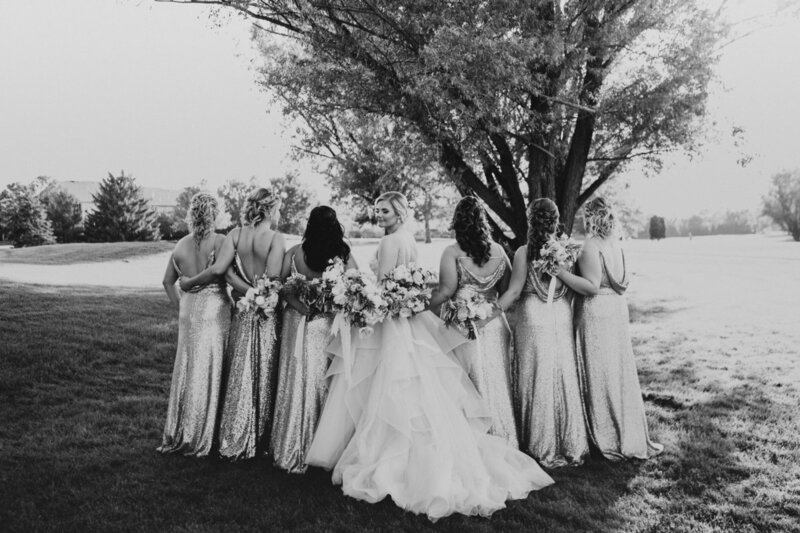 They are an amazing team and I would highly recommend them to anyone planning a wedding or event." 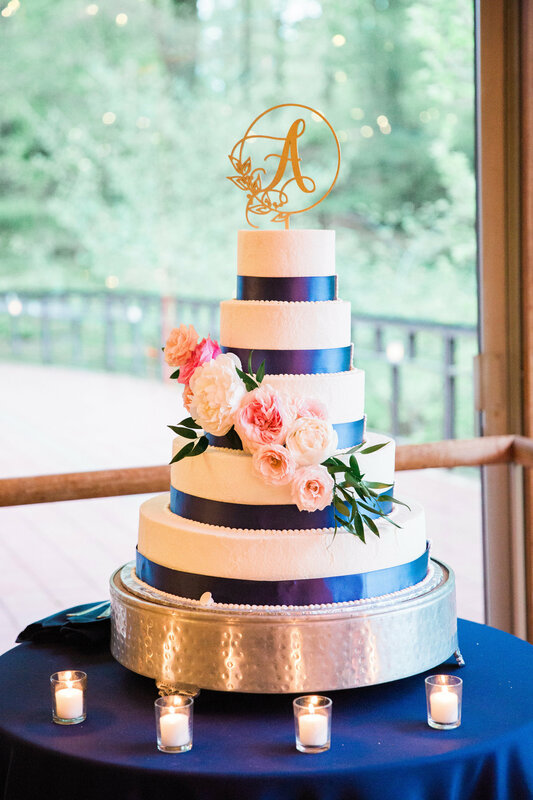 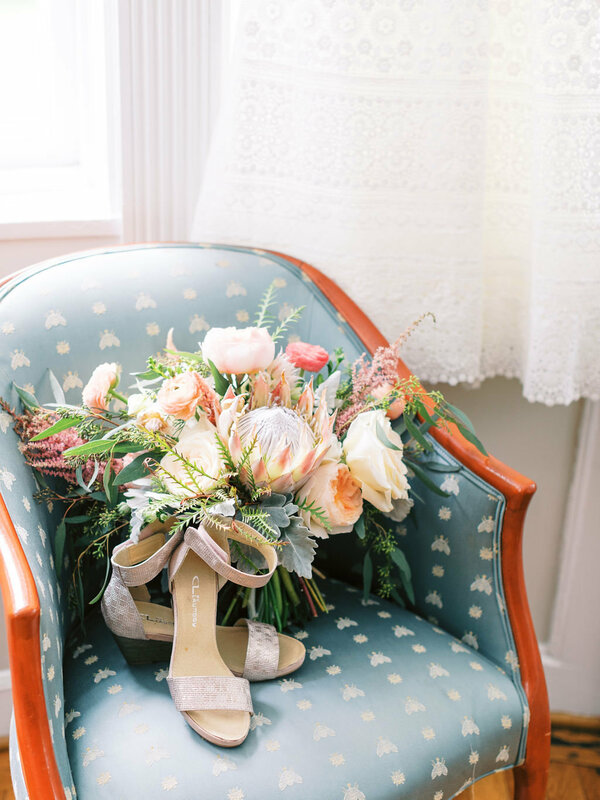 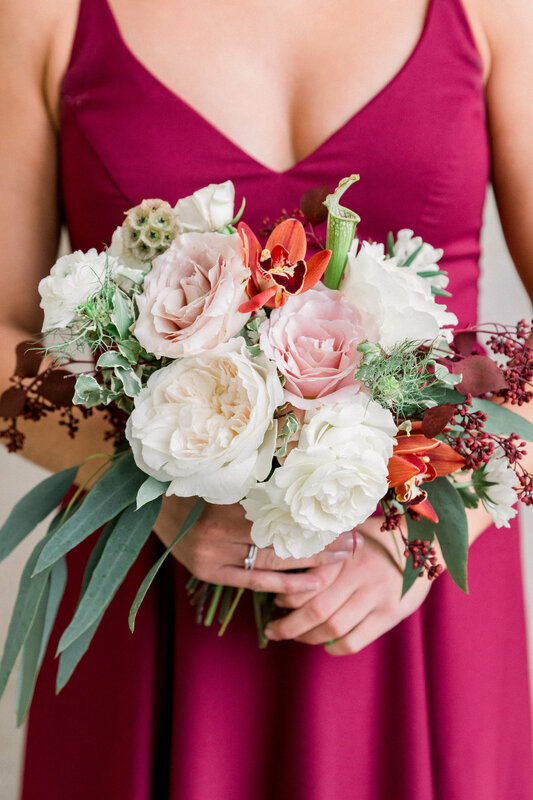 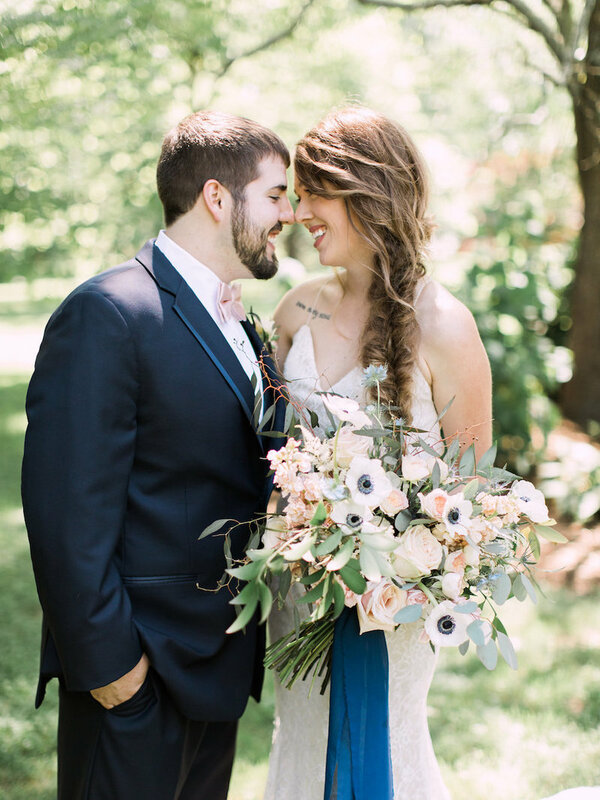 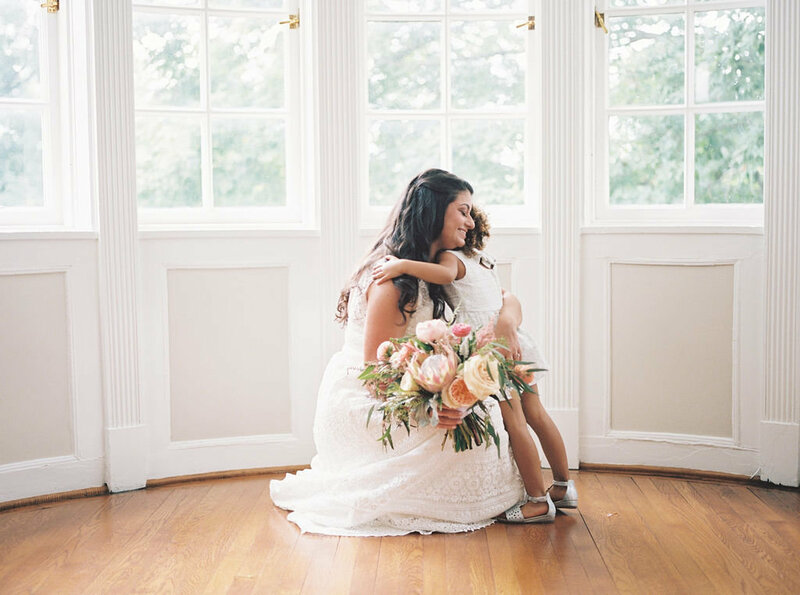 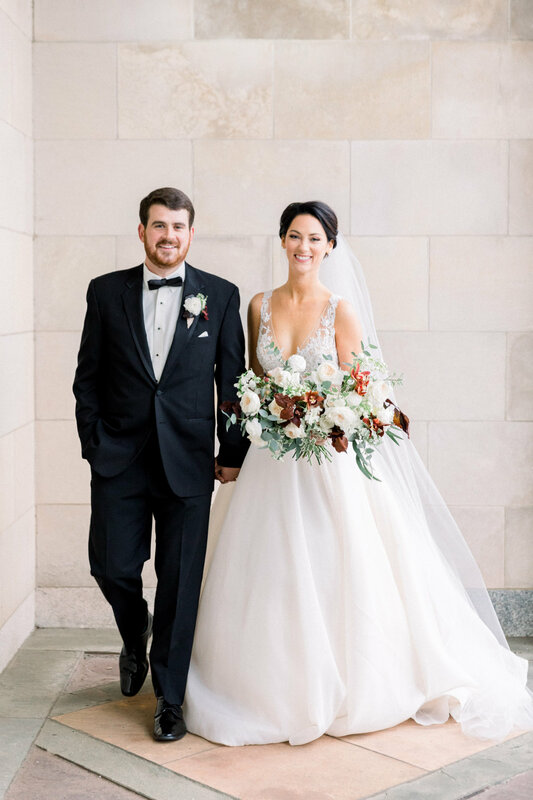 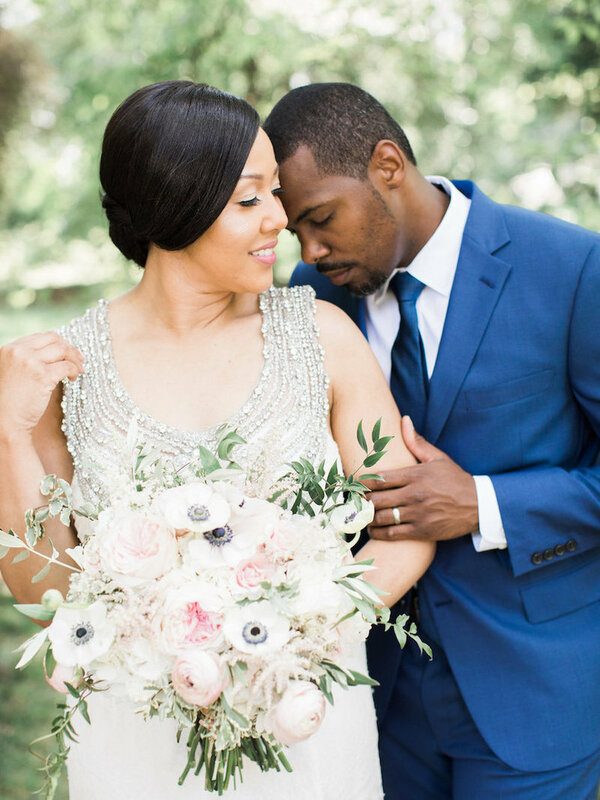 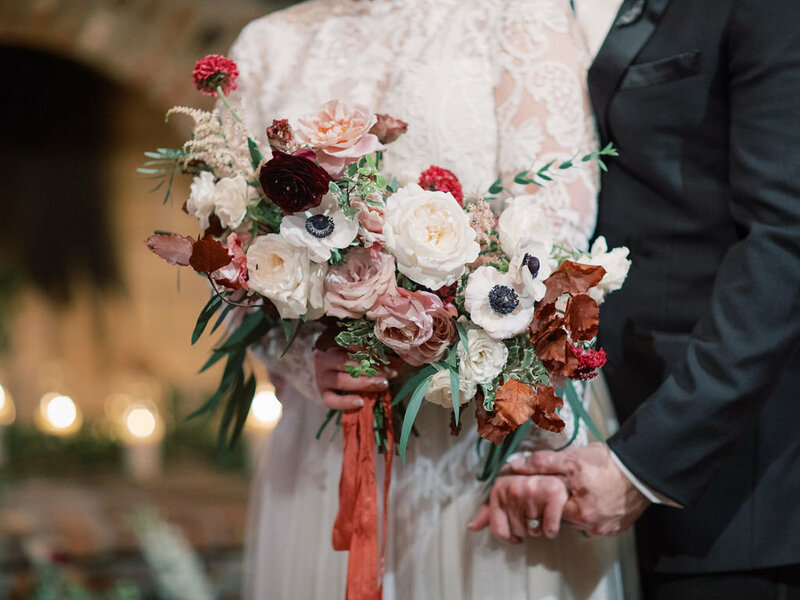 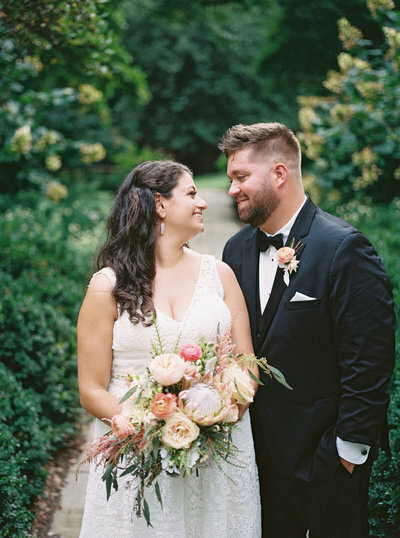 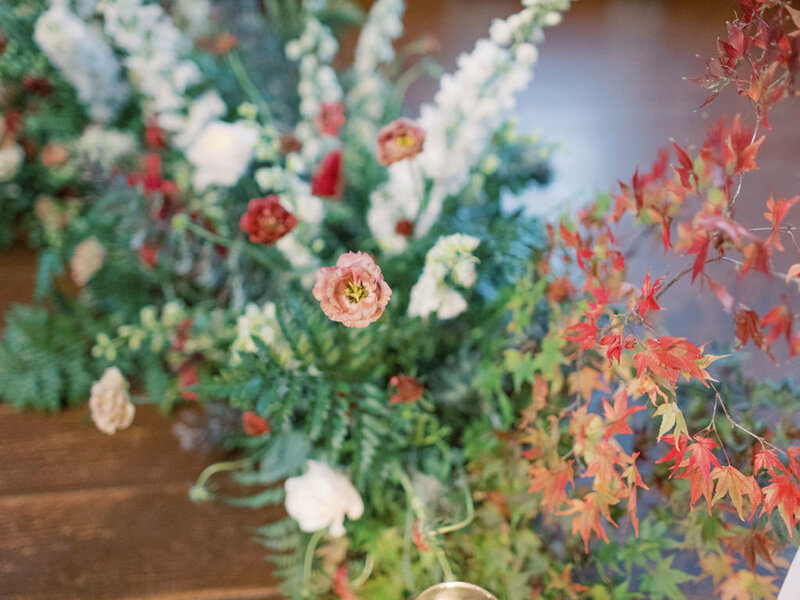 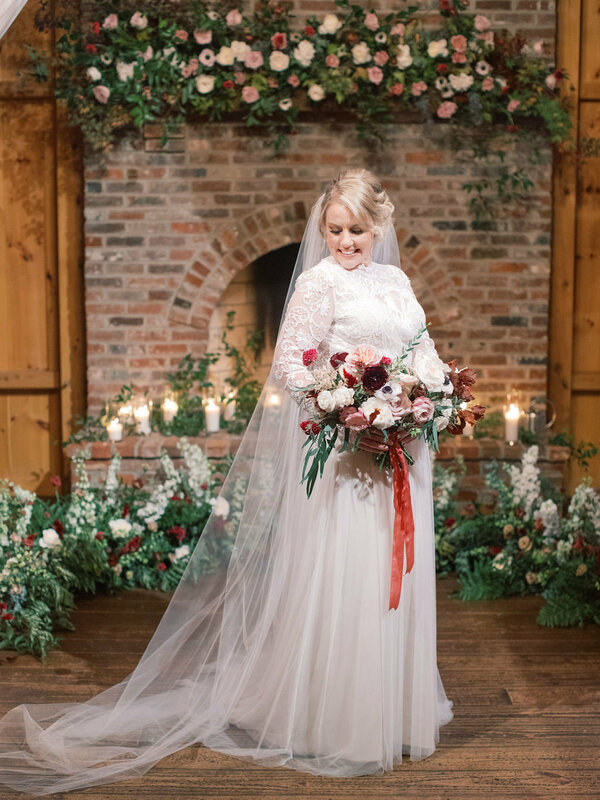 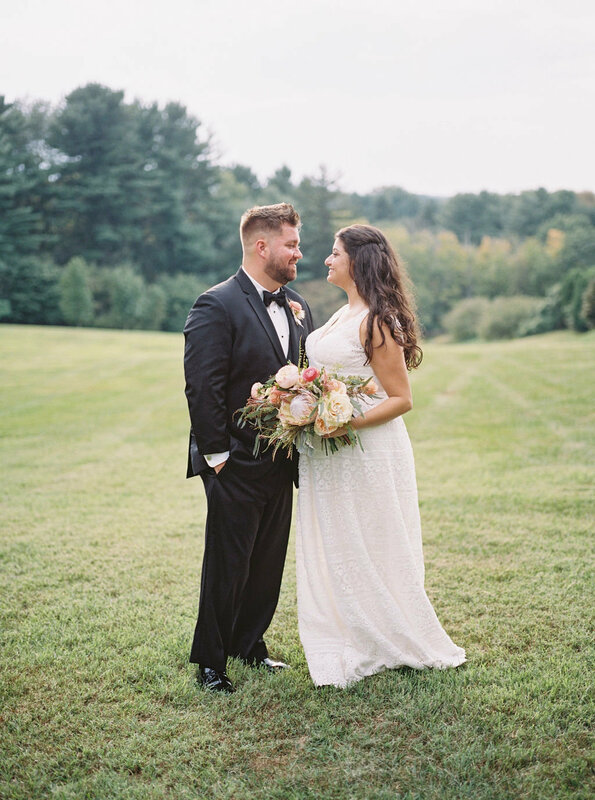 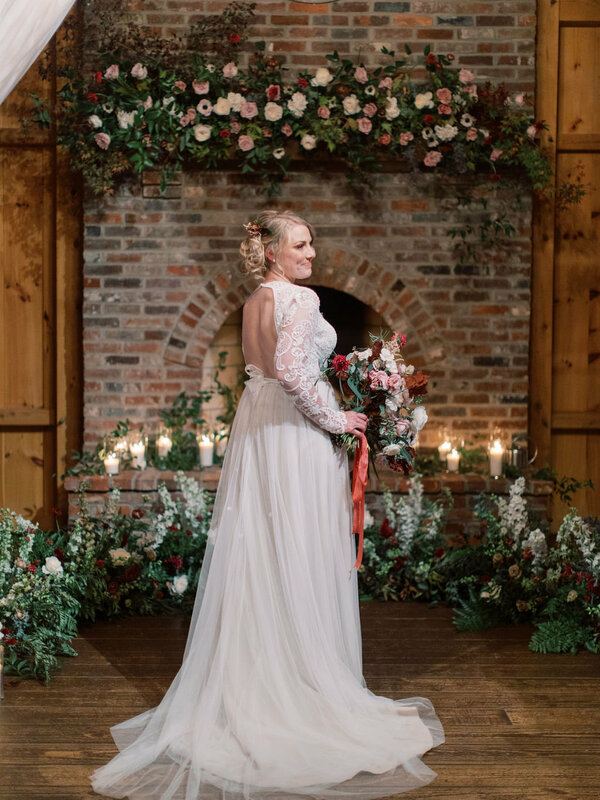 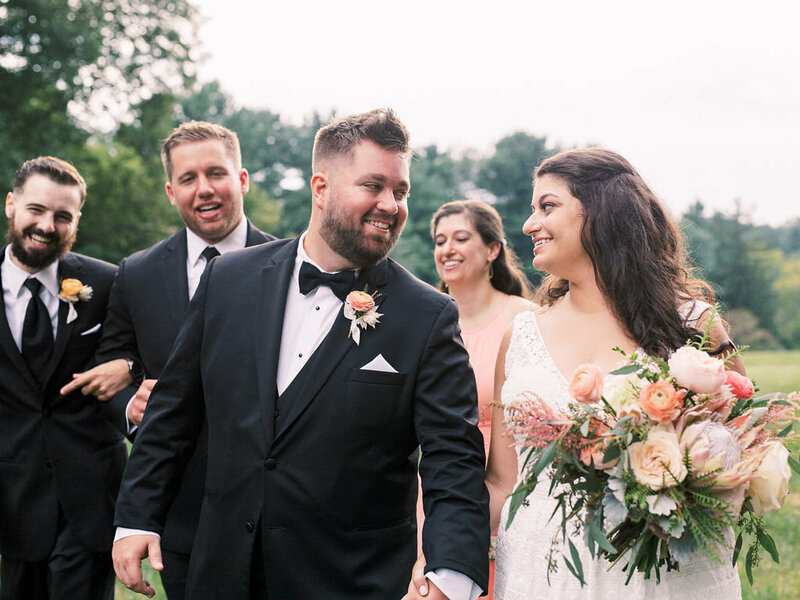 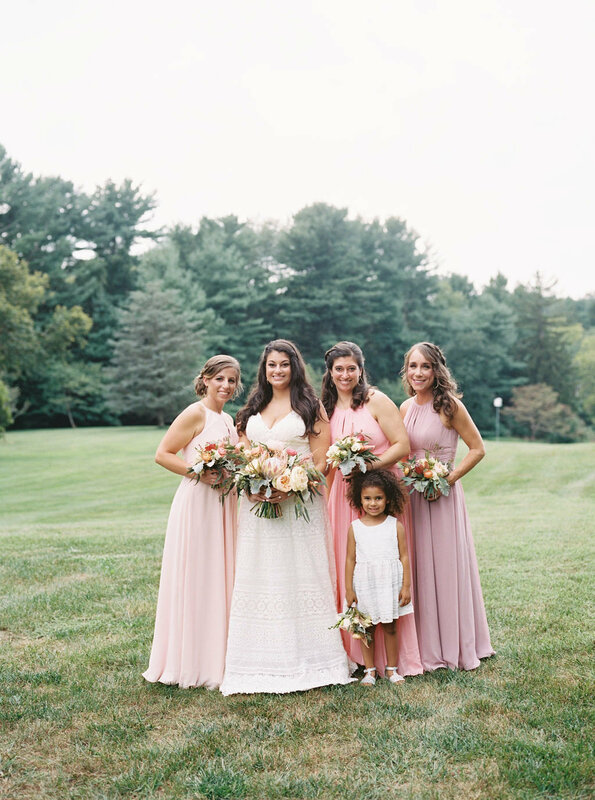 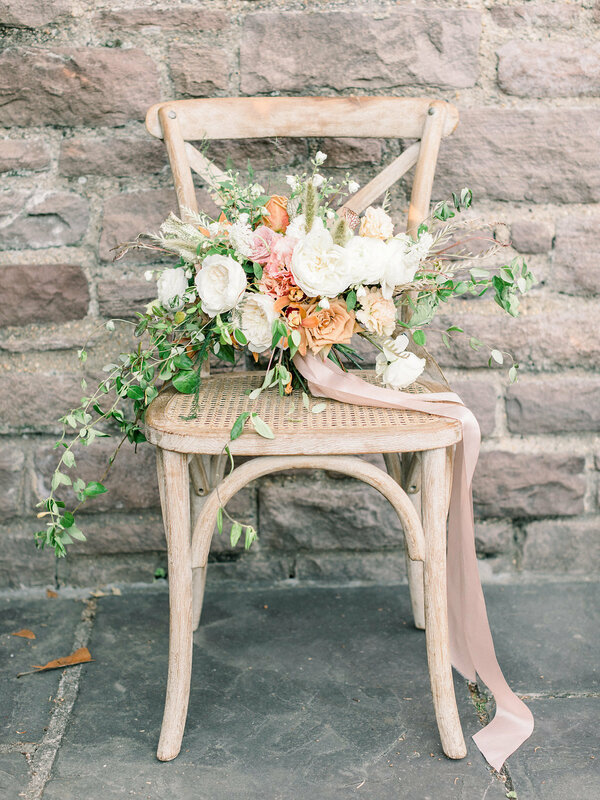 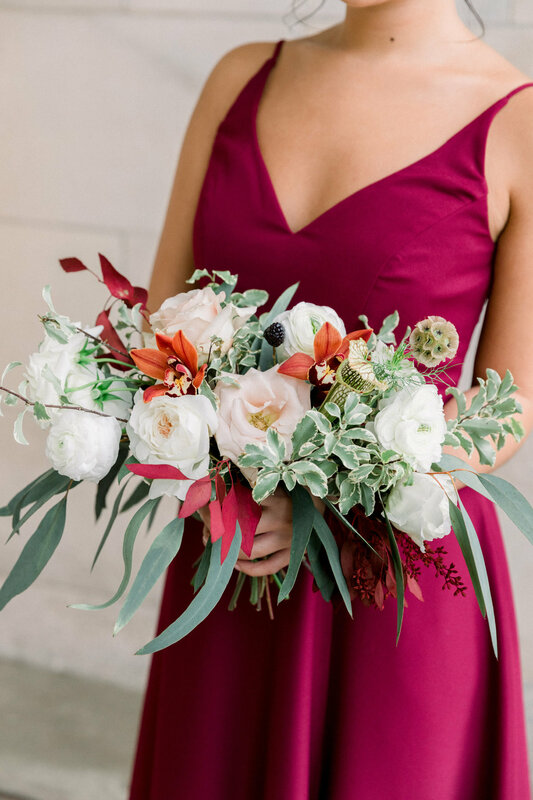 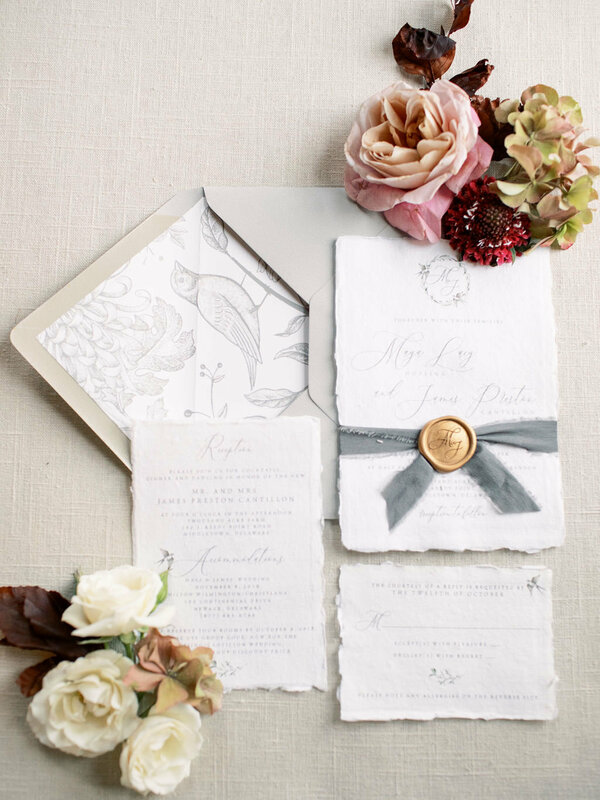 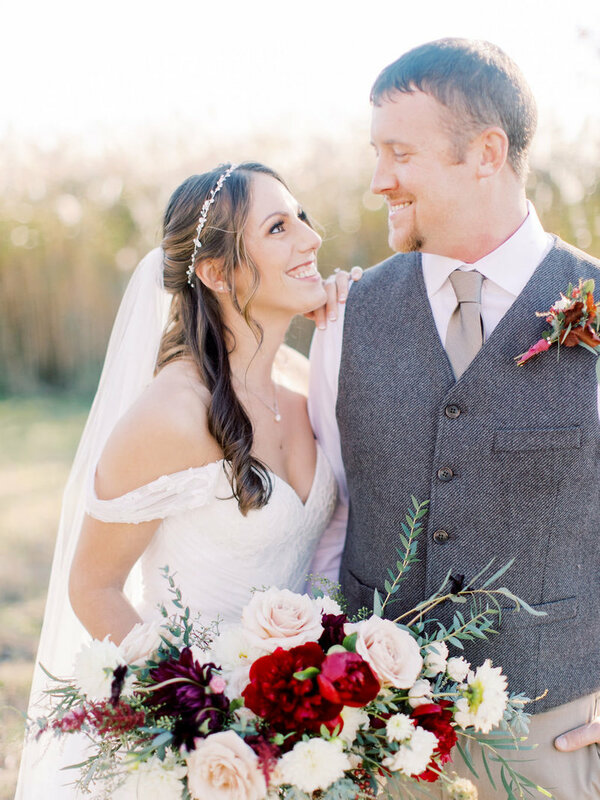 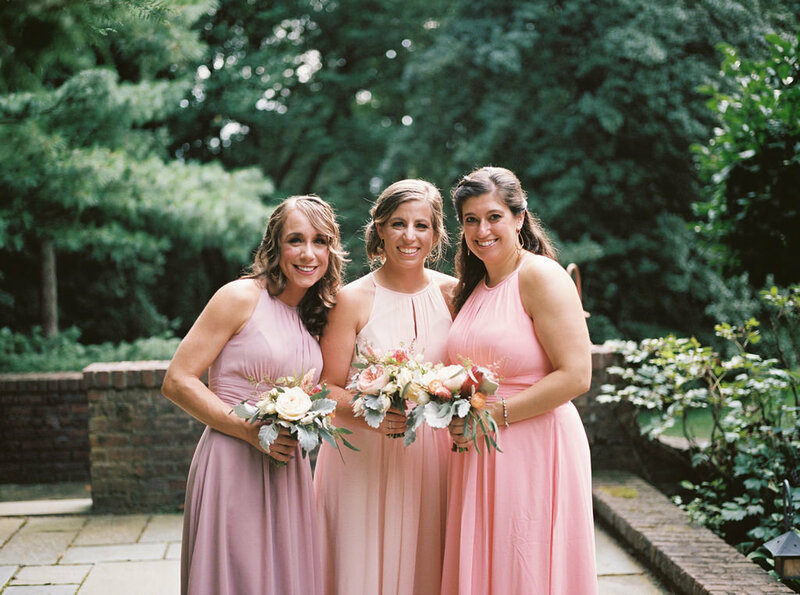 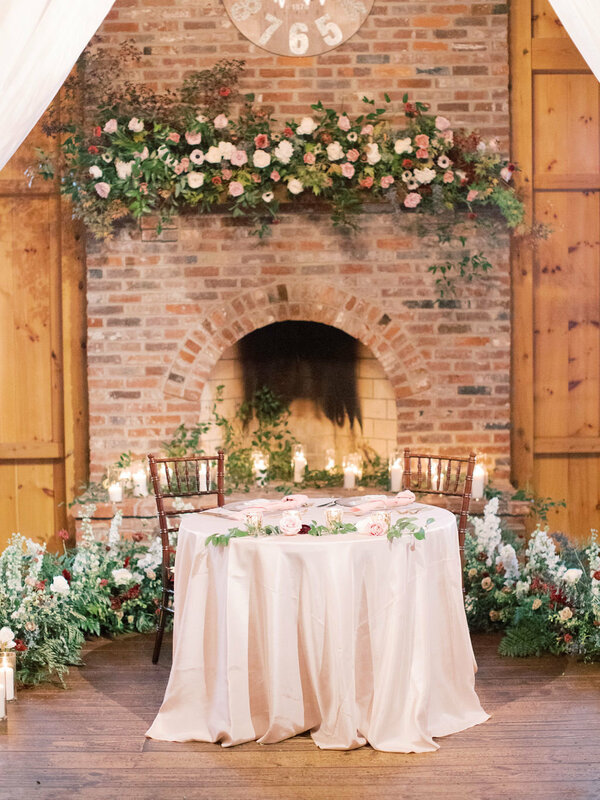 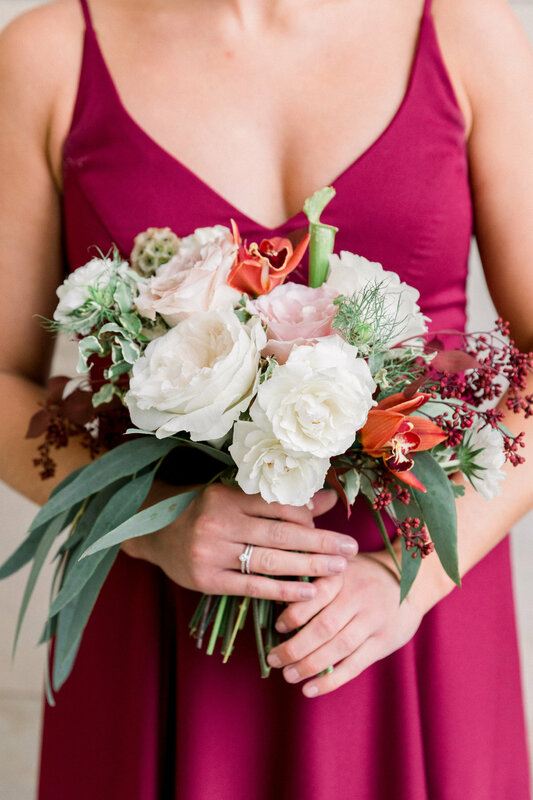 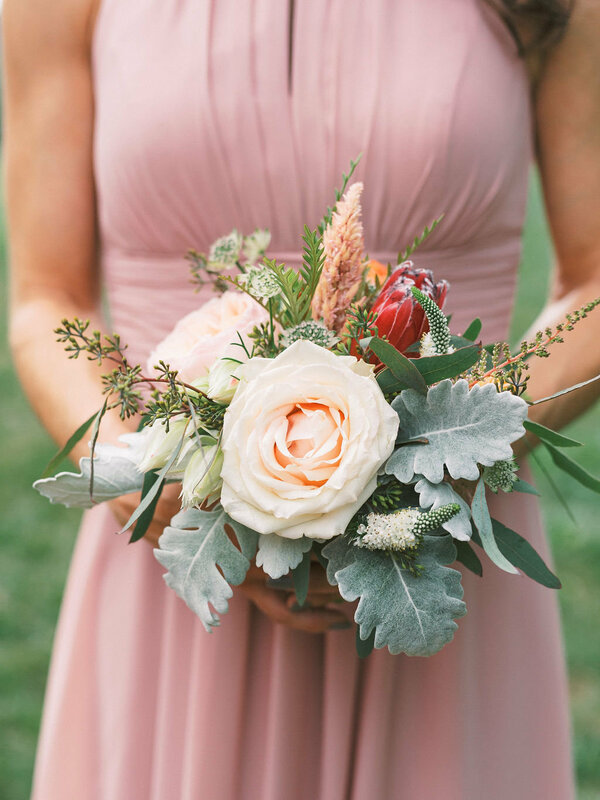 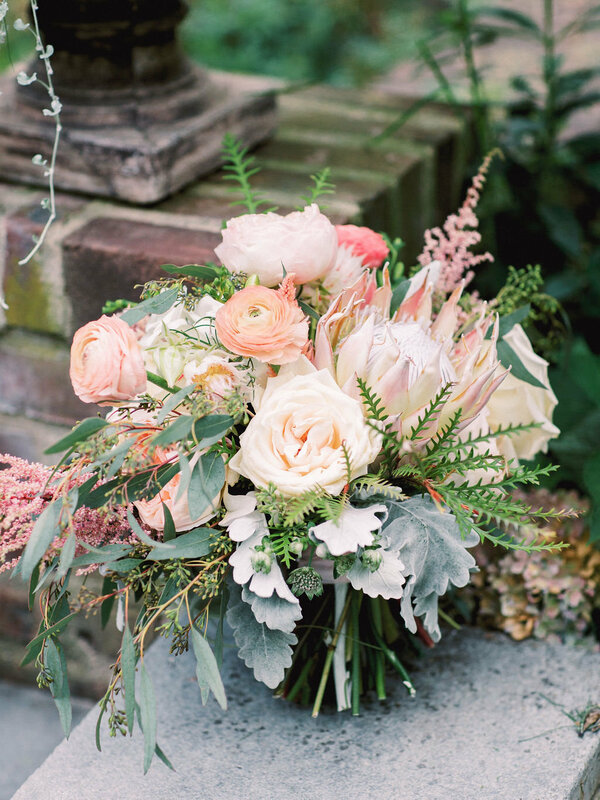 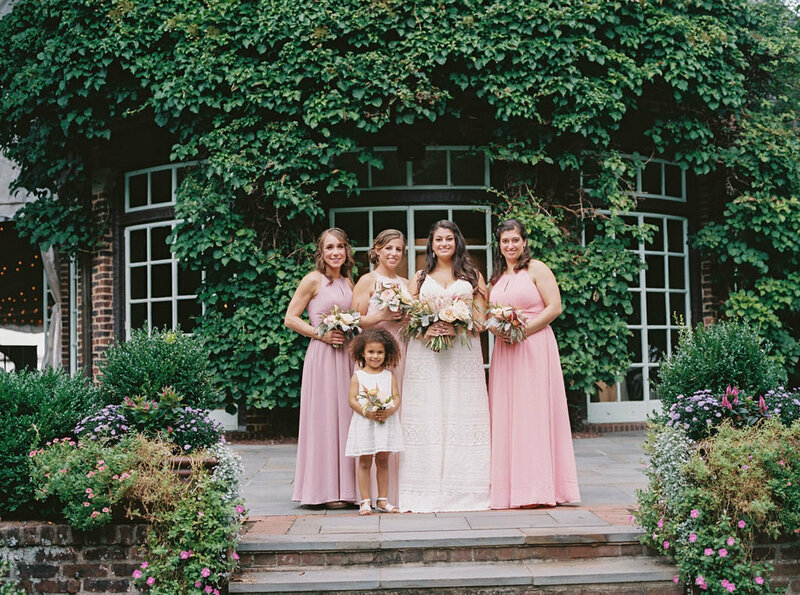 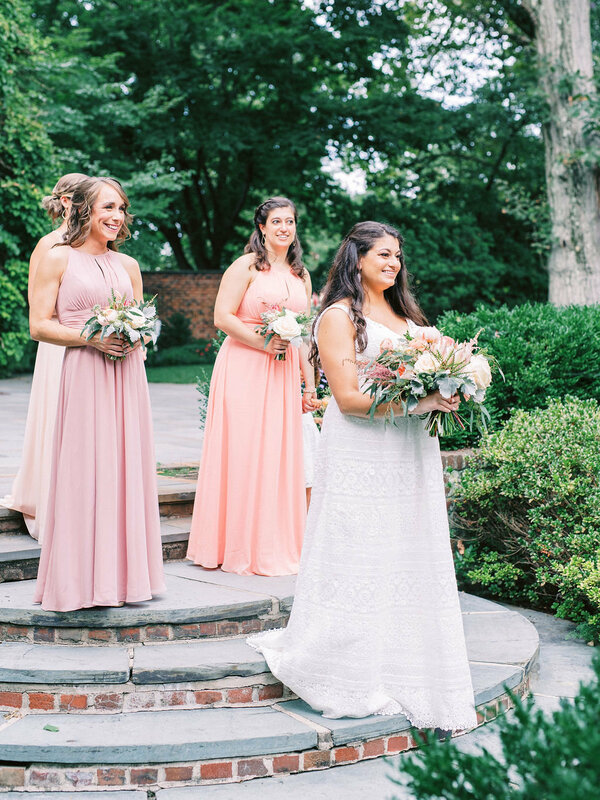 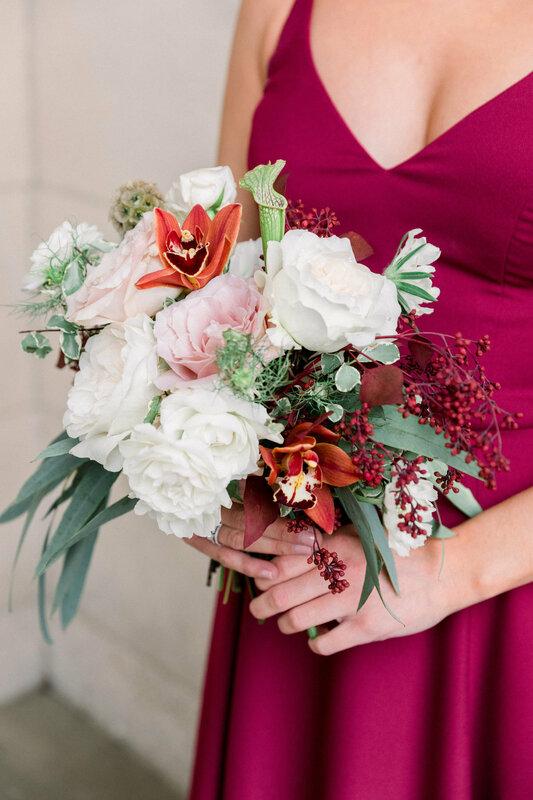 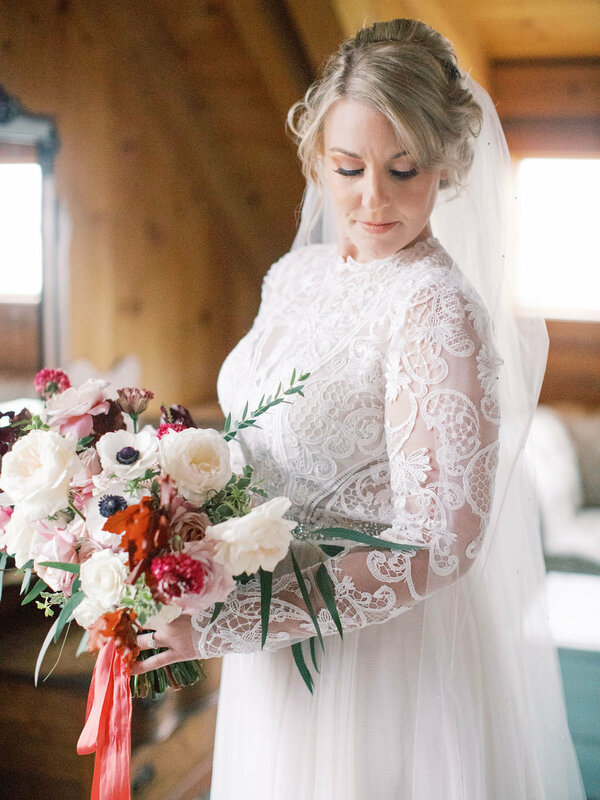 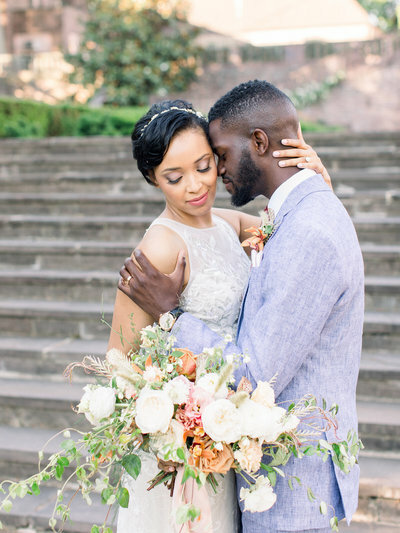 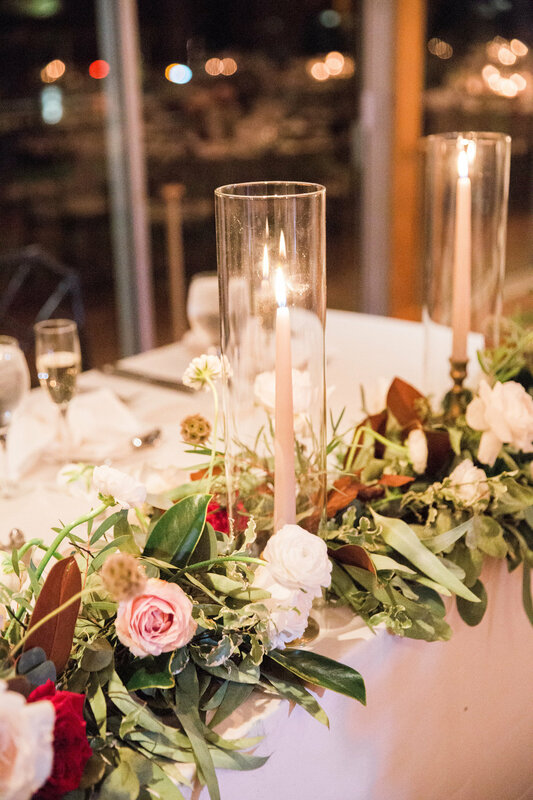 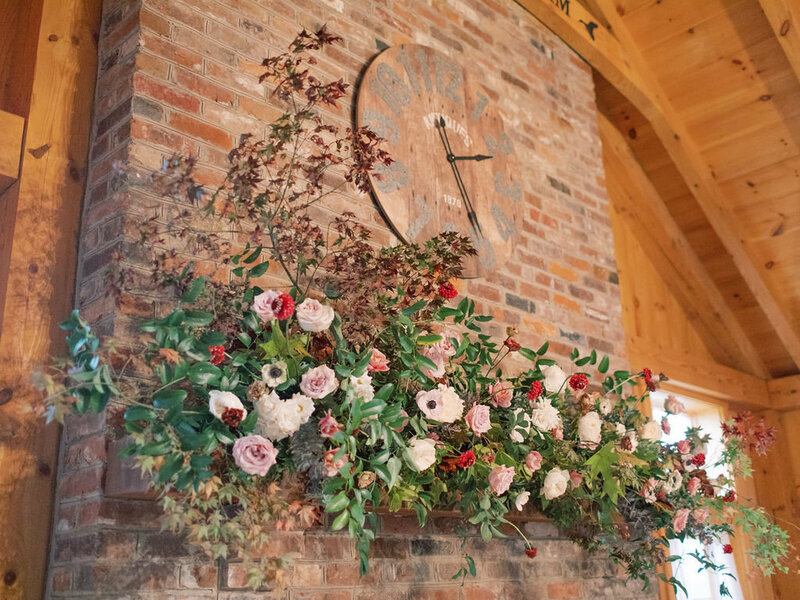 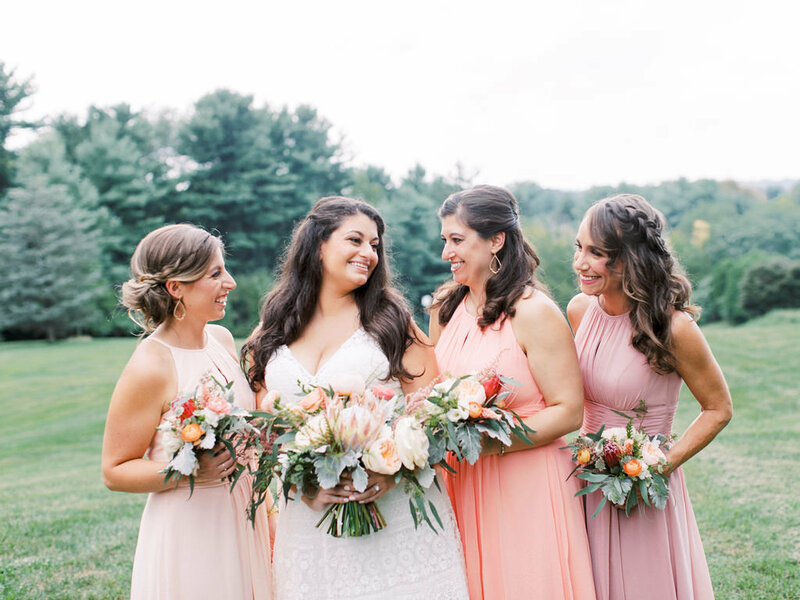 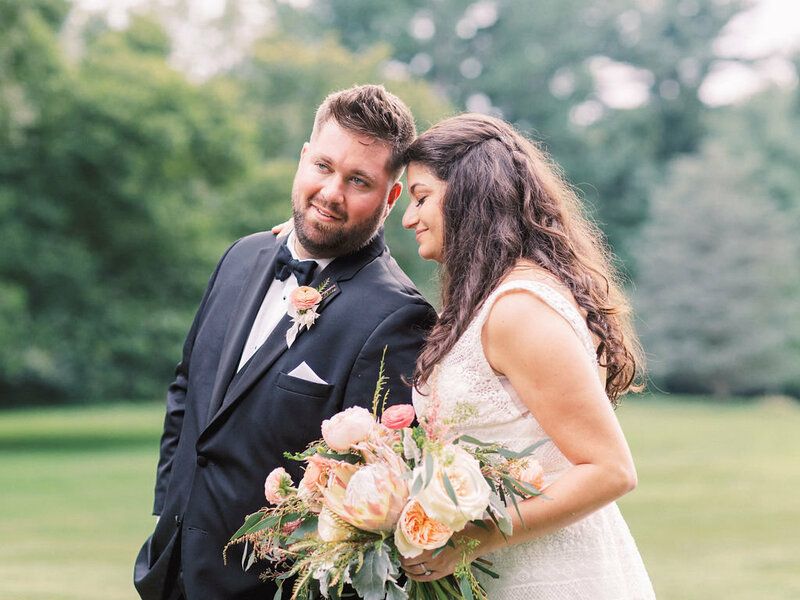 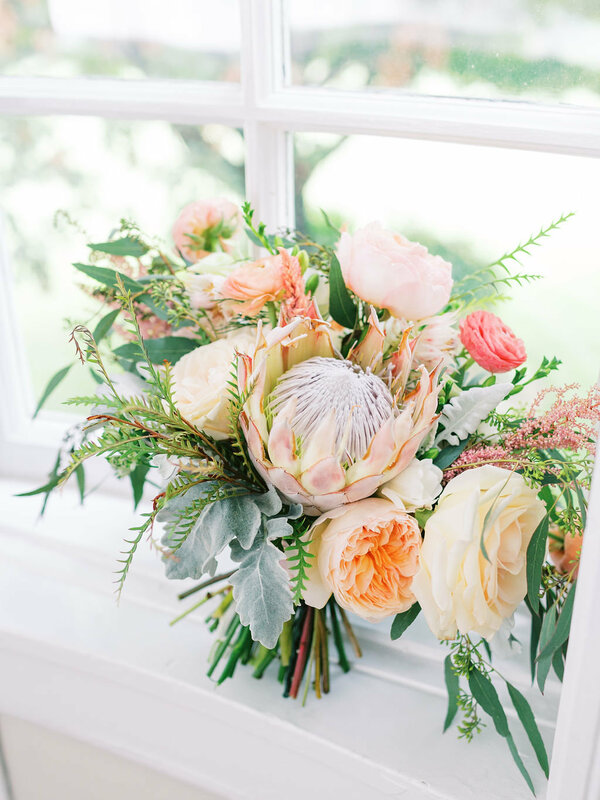 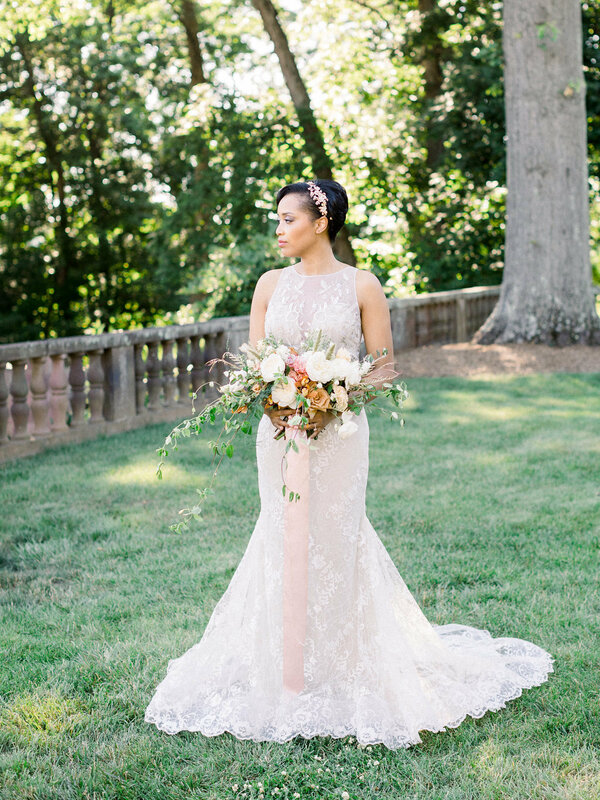 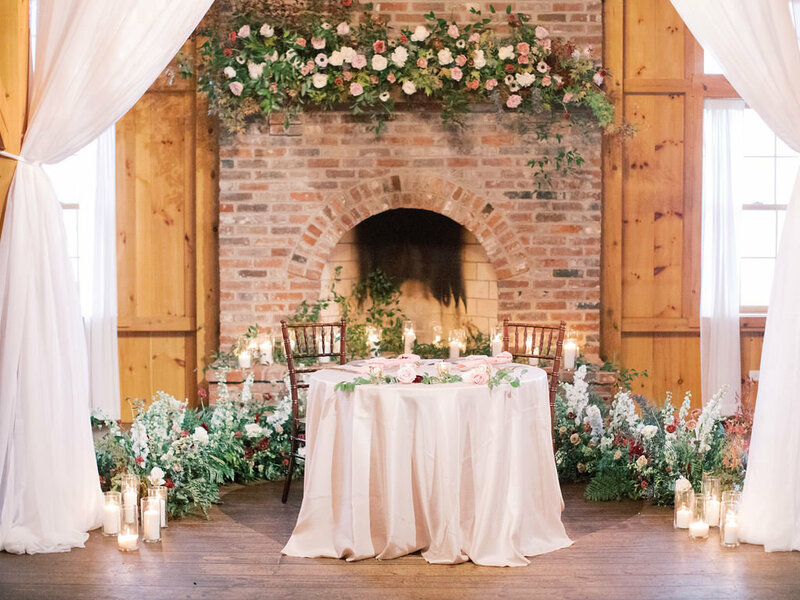 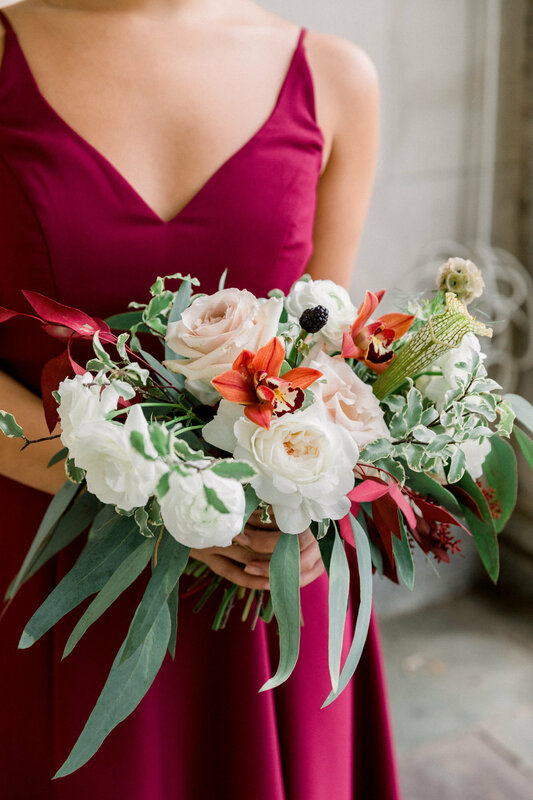 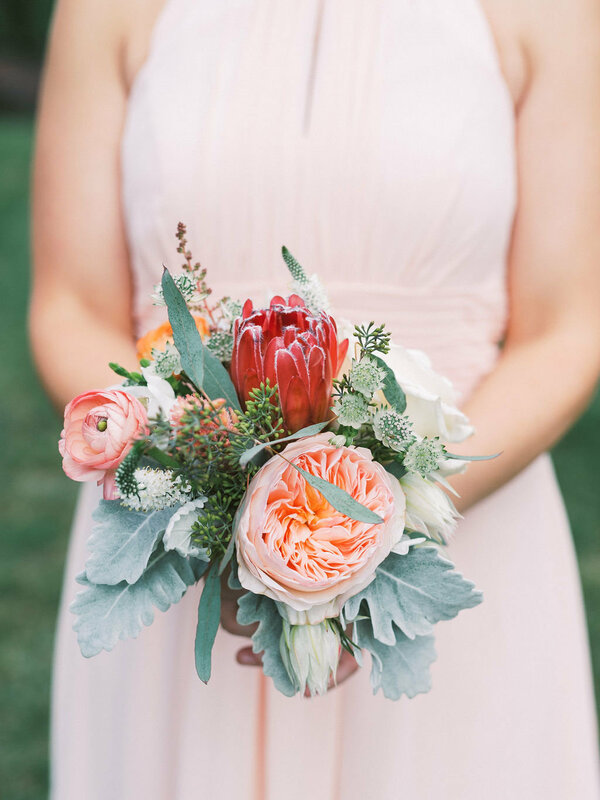 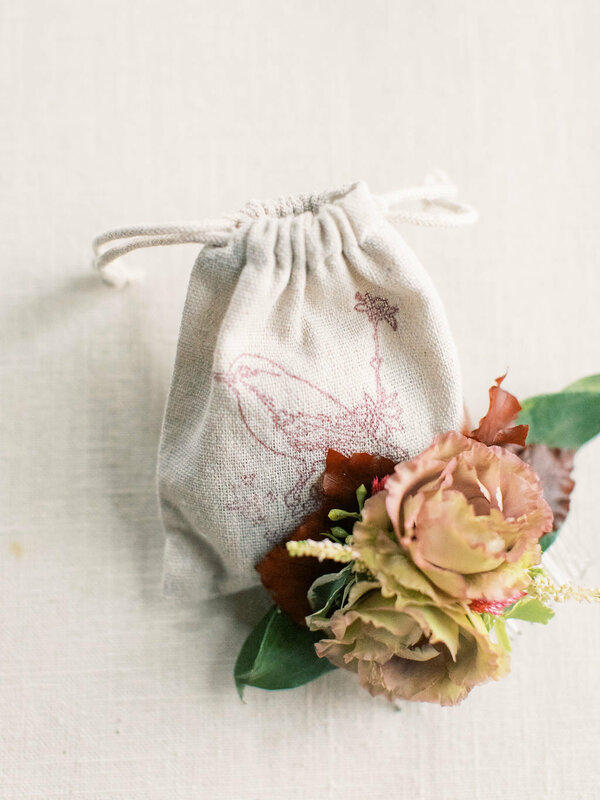 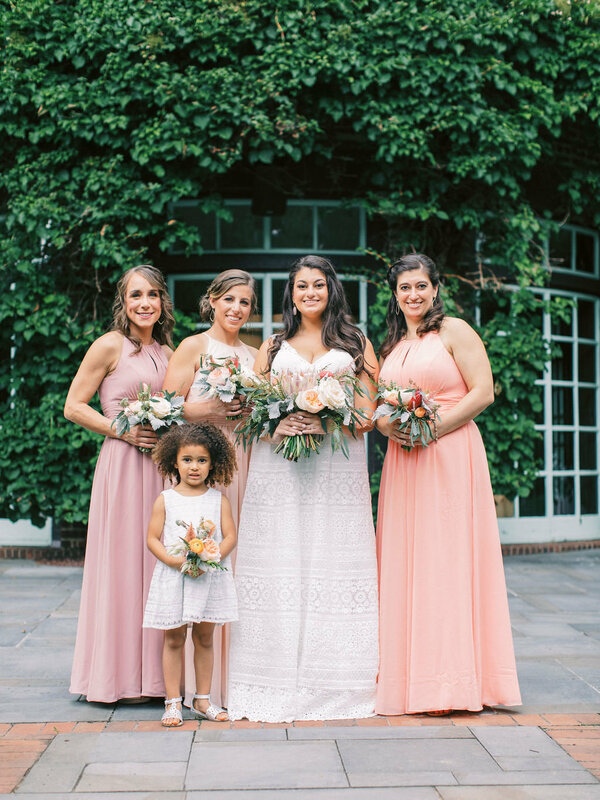 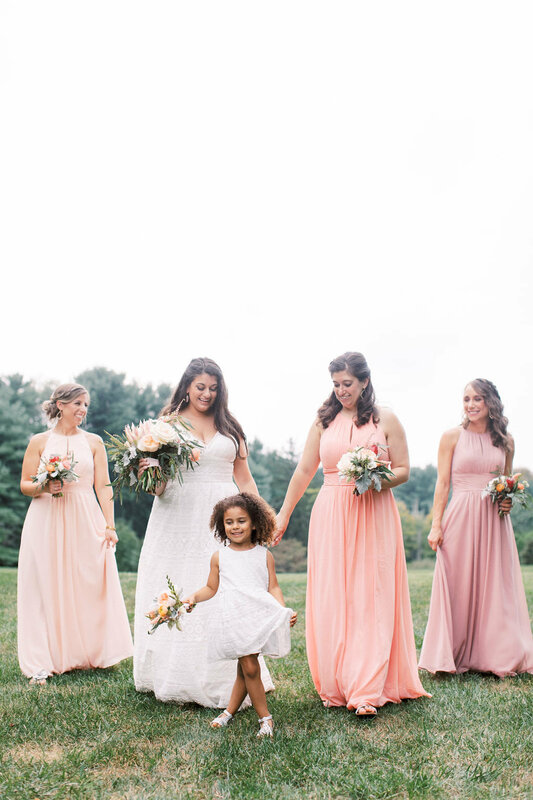 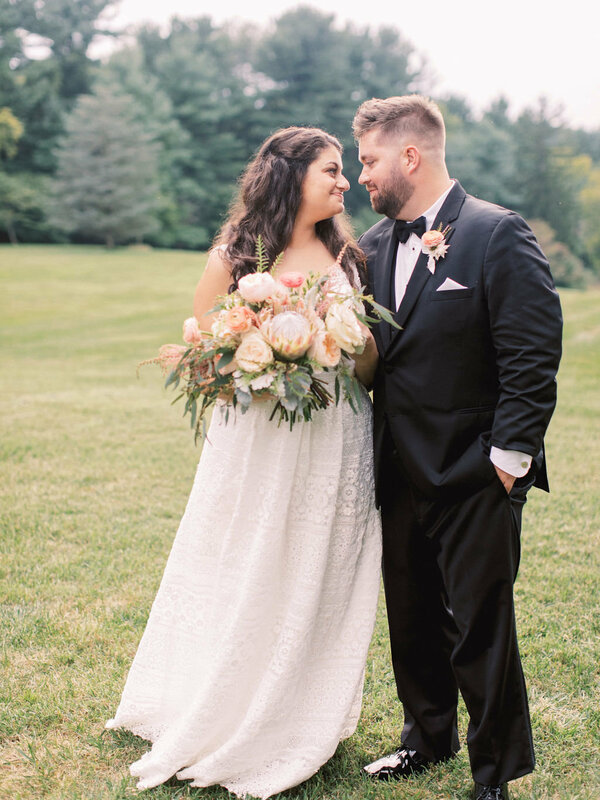 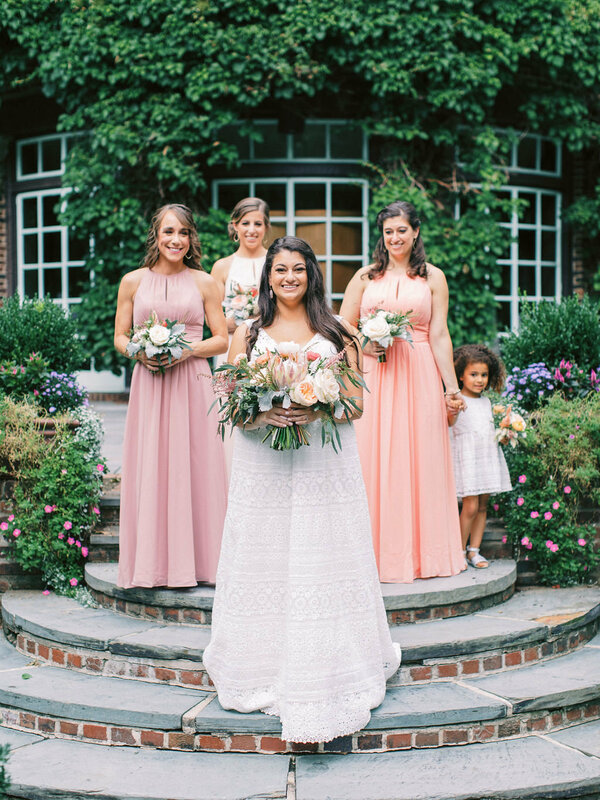 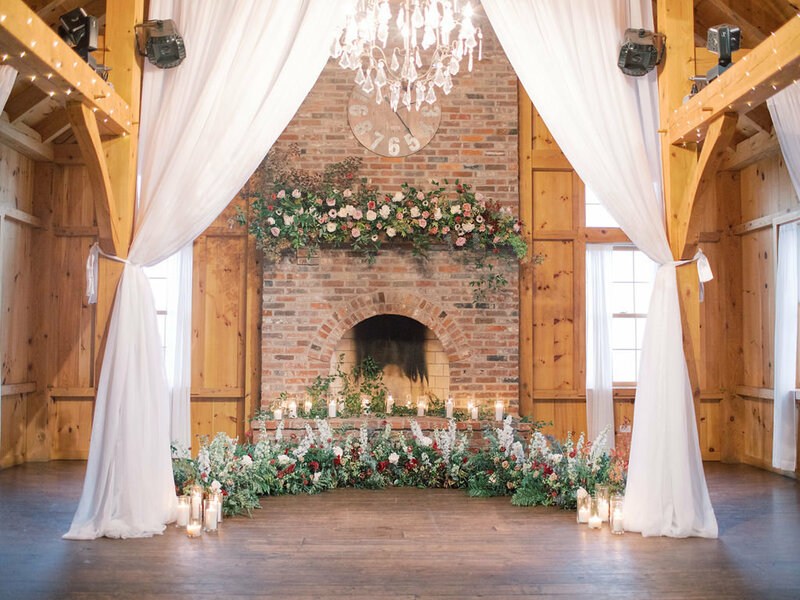 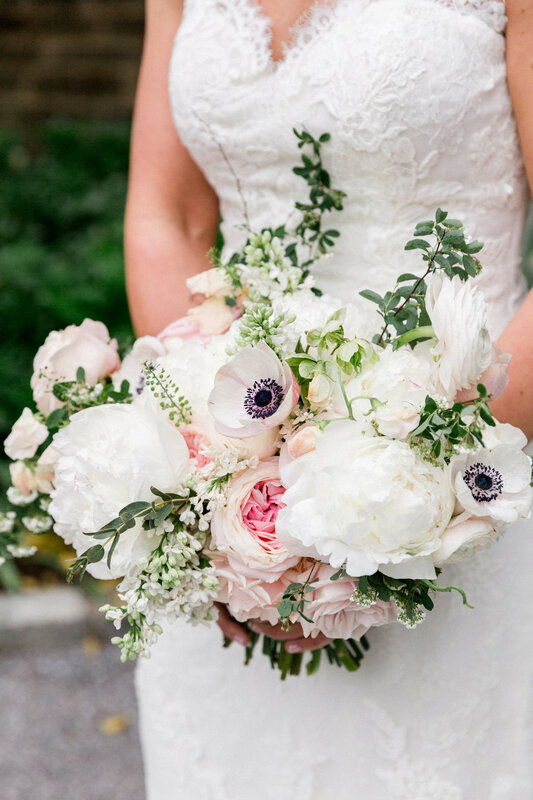 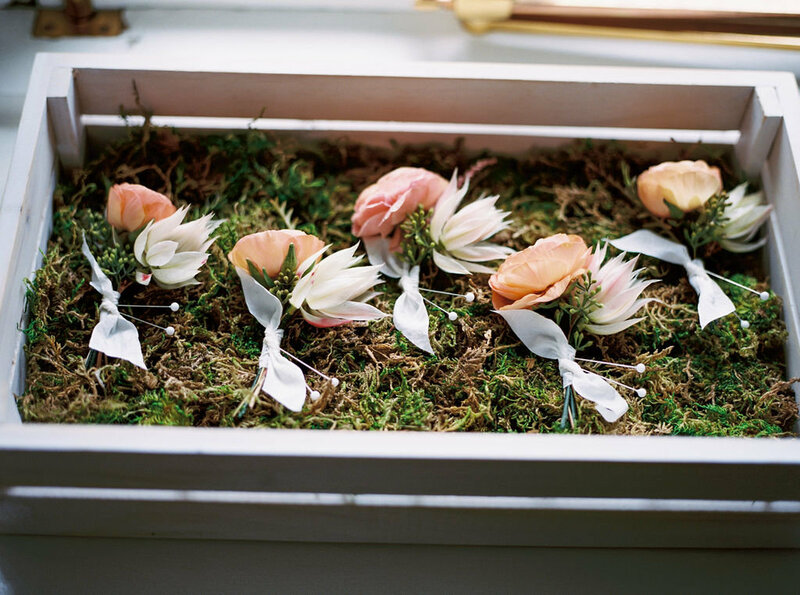 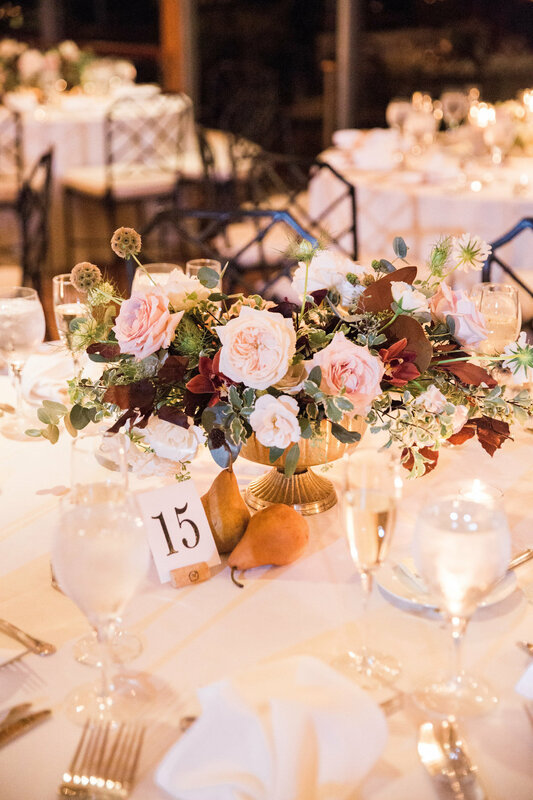 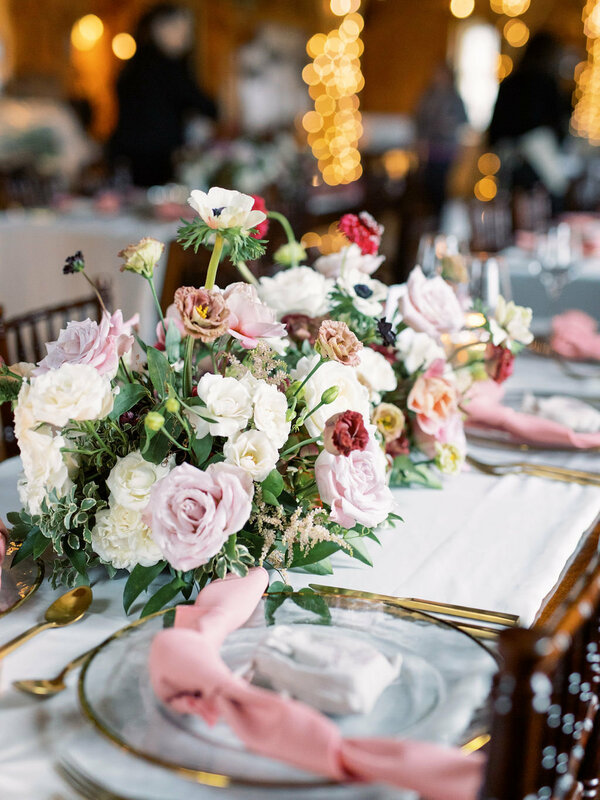 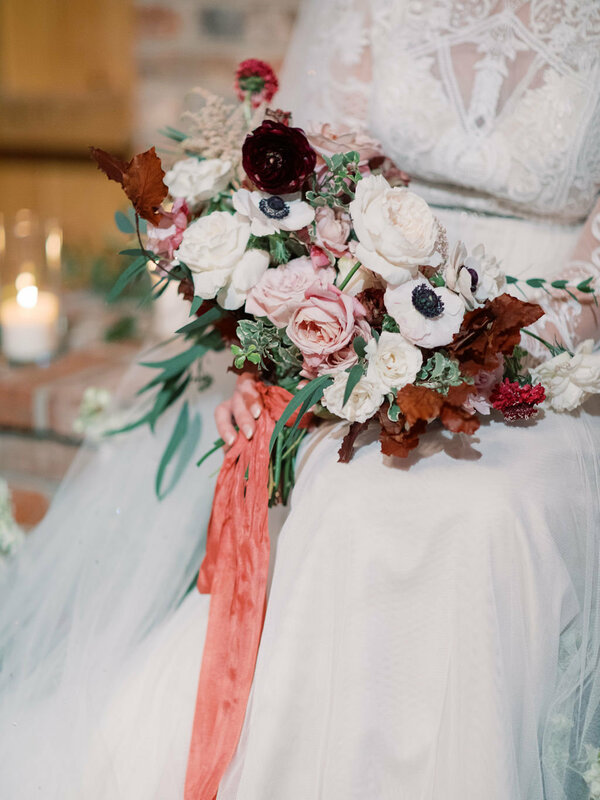 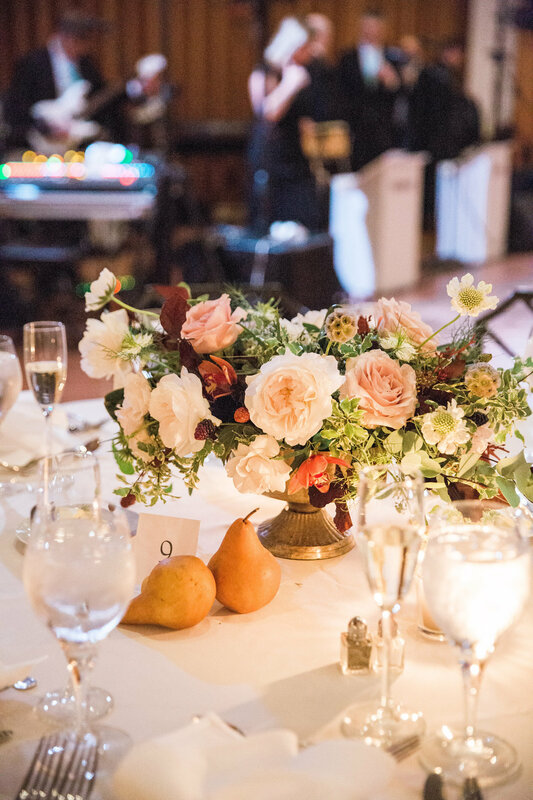 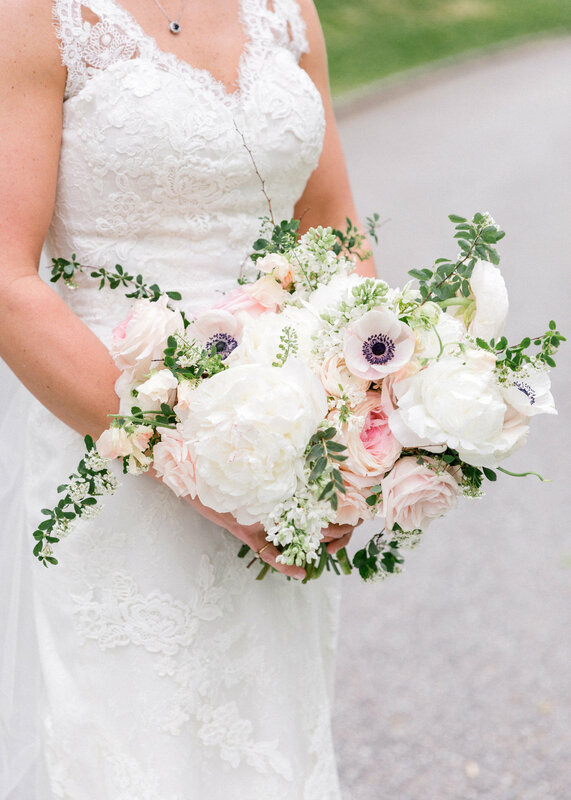 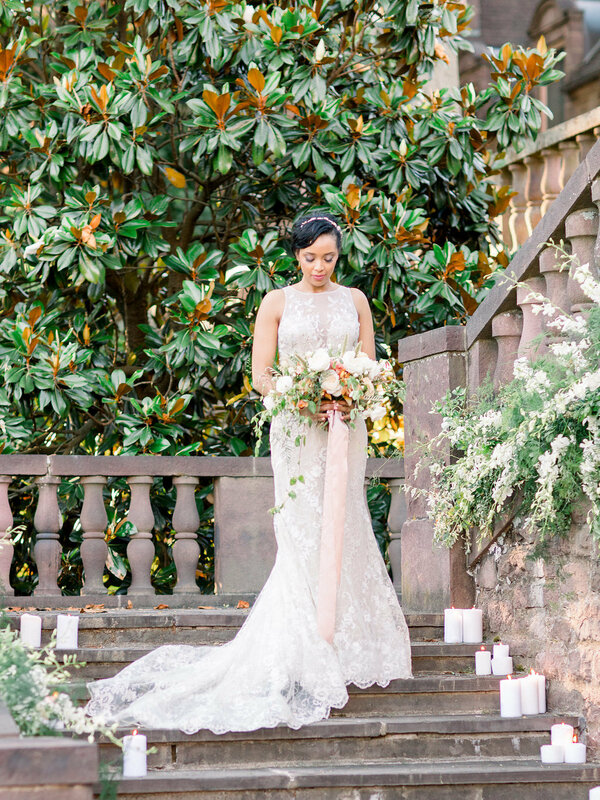 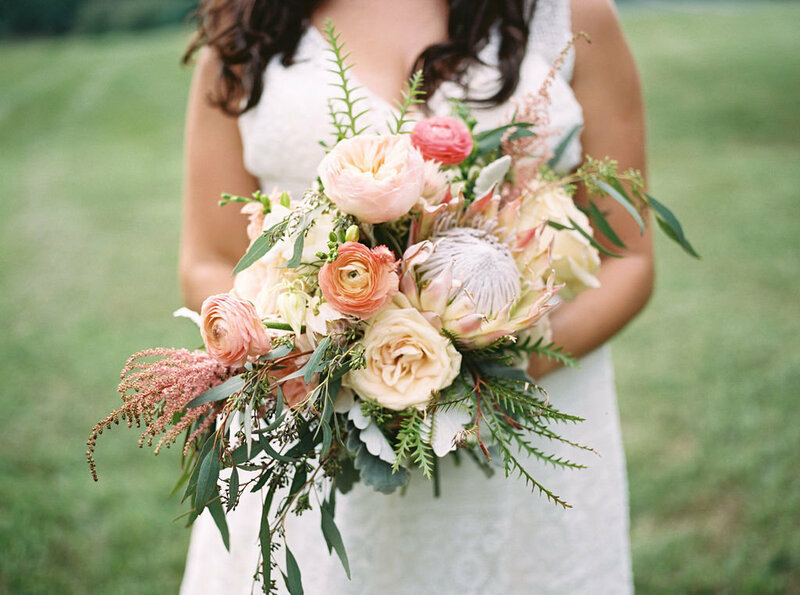 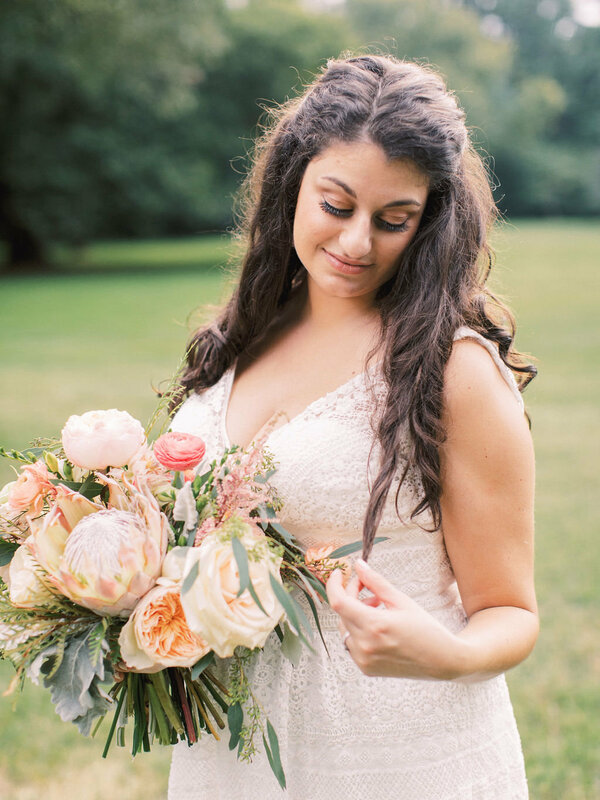 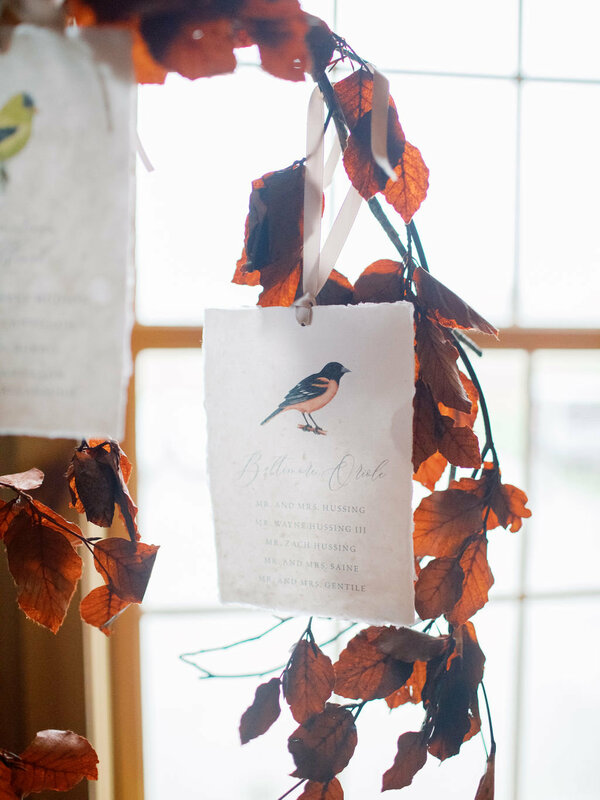 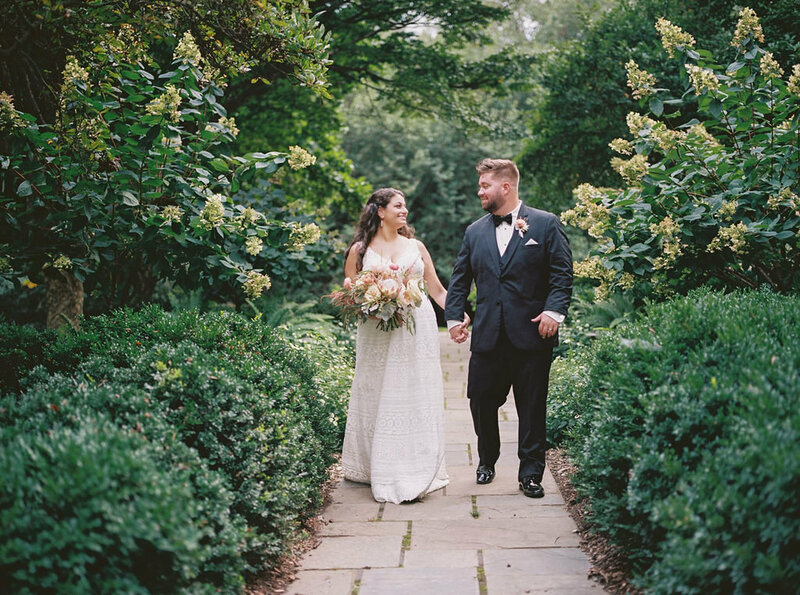 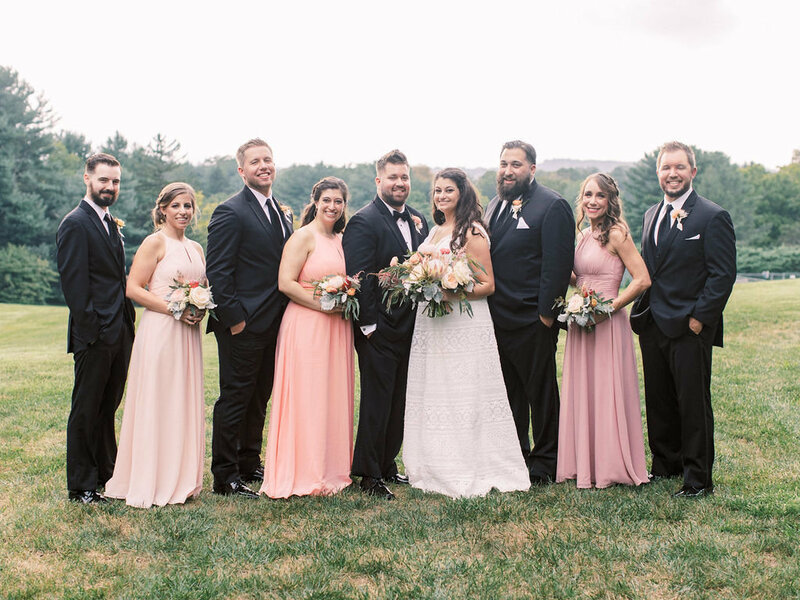 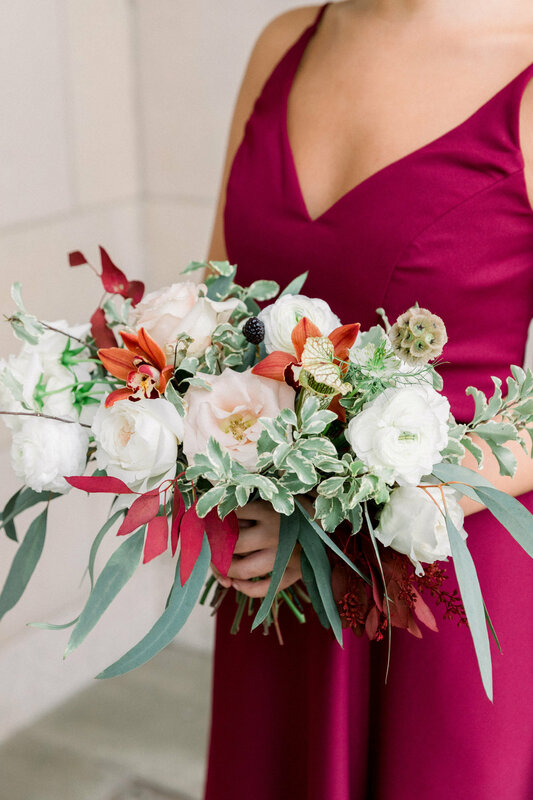 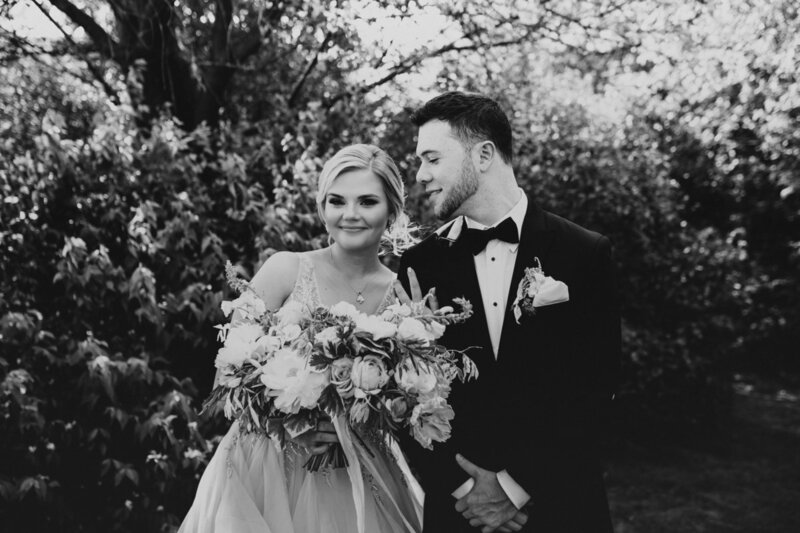 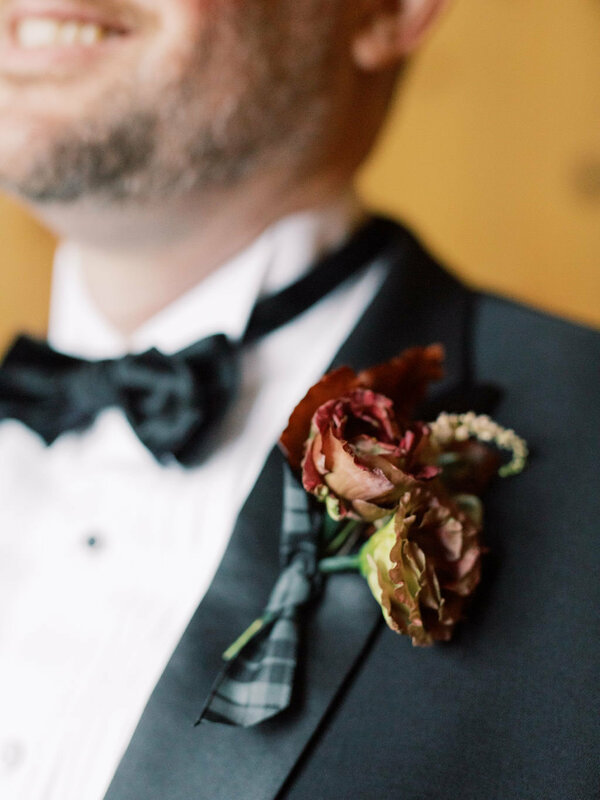 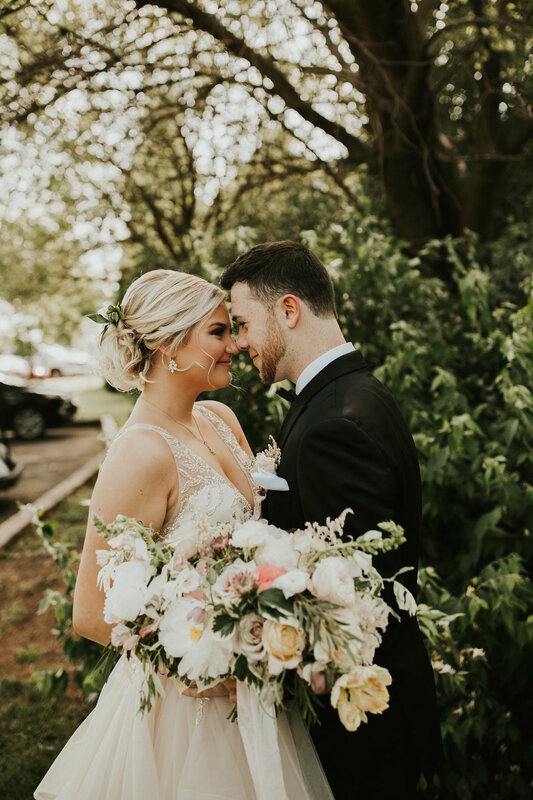 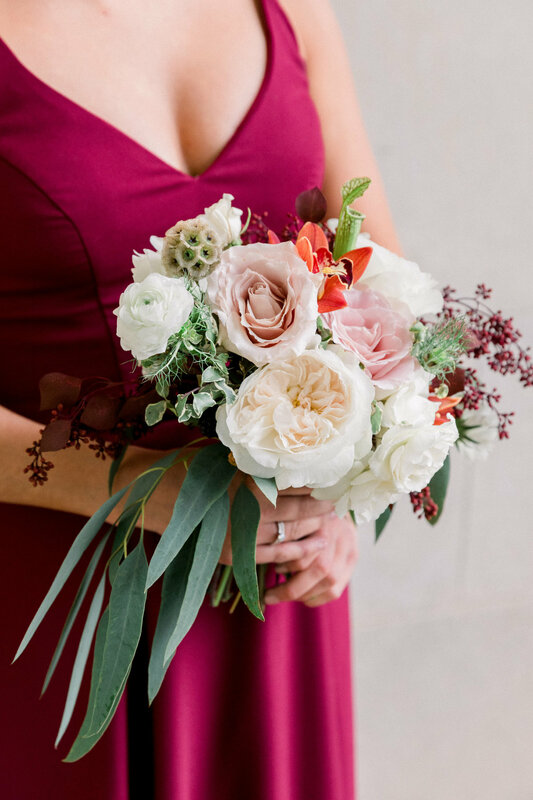 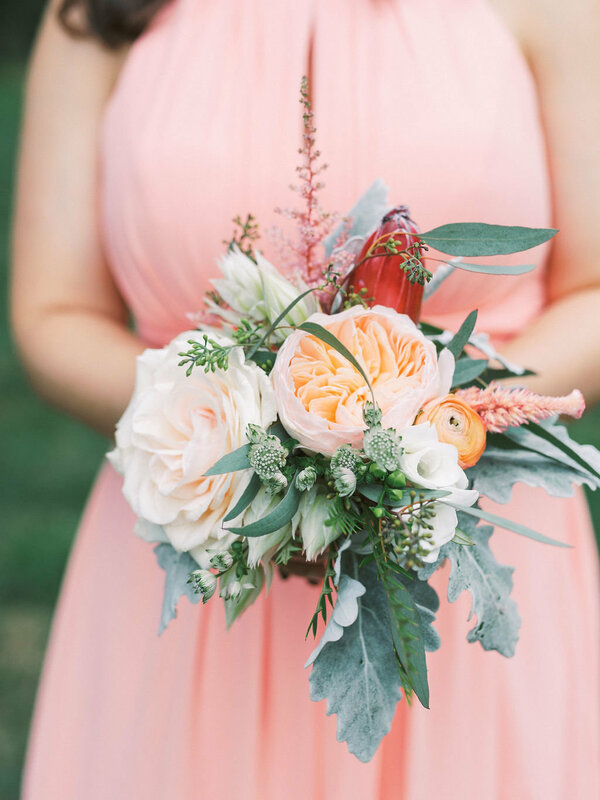 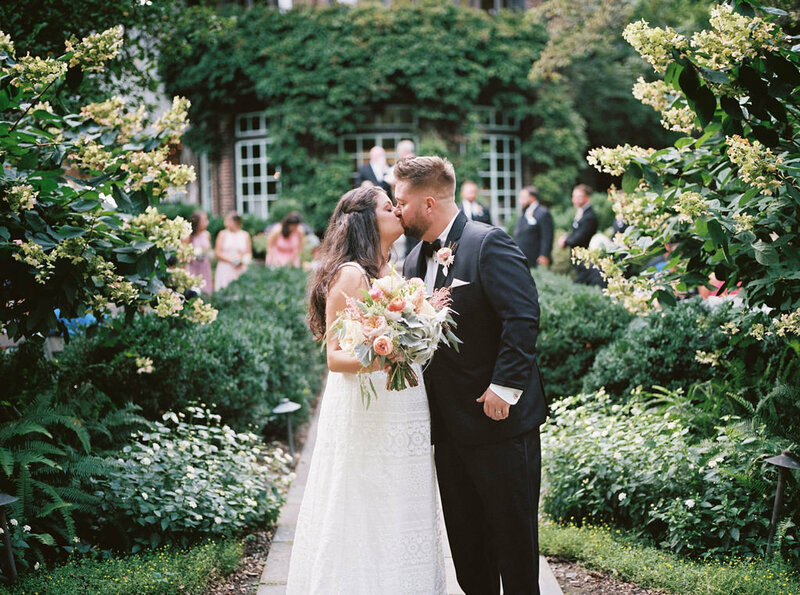 "My fiance and I both loved working with Xio for our wedding day floral designs. 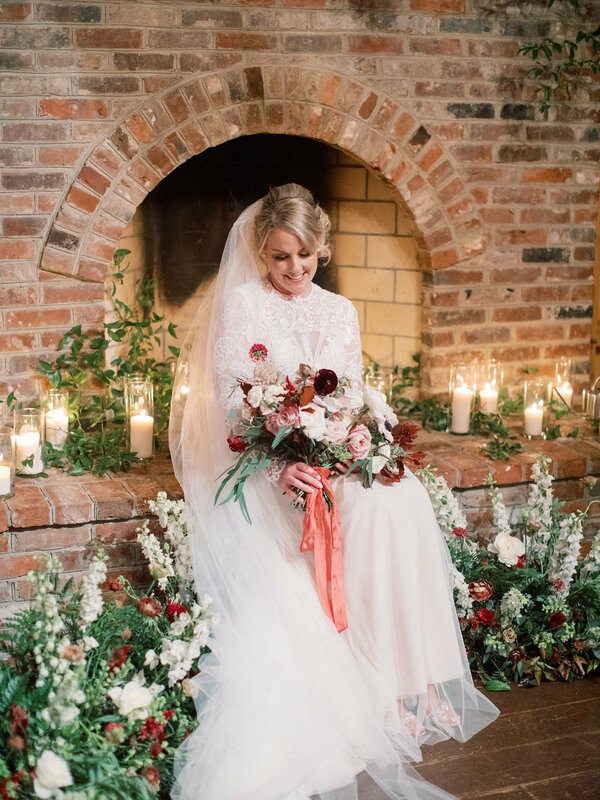 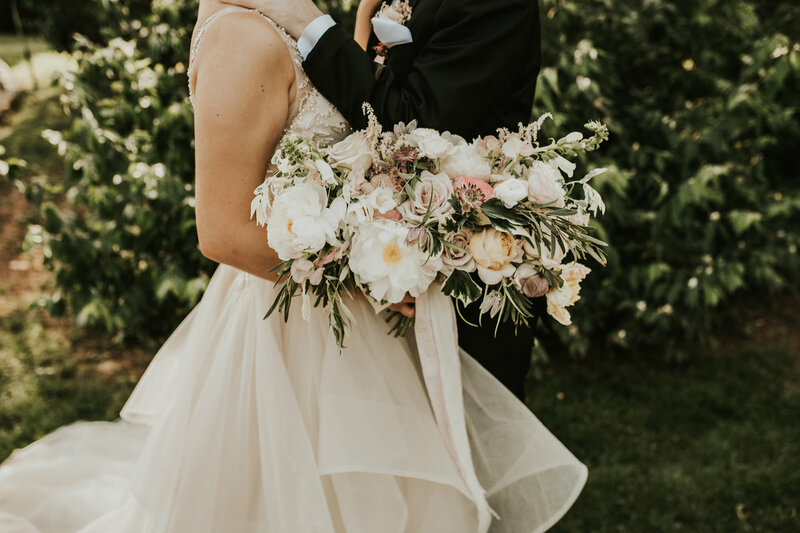 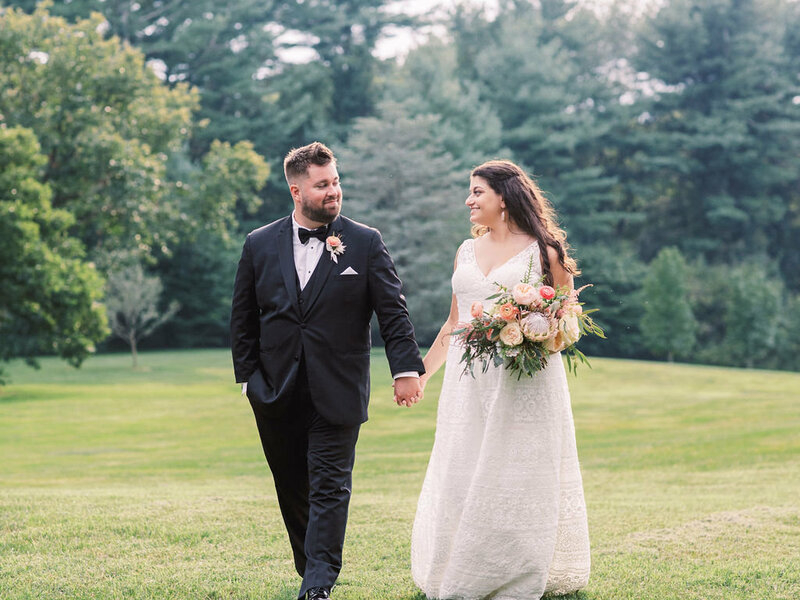 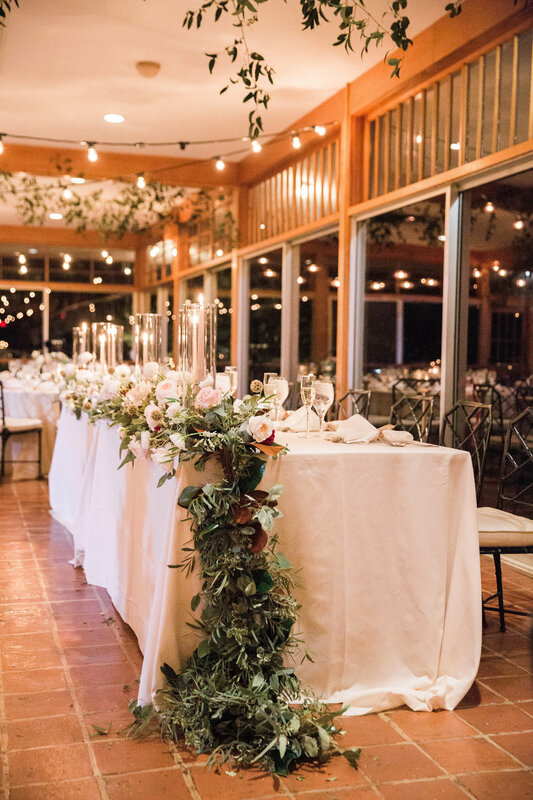 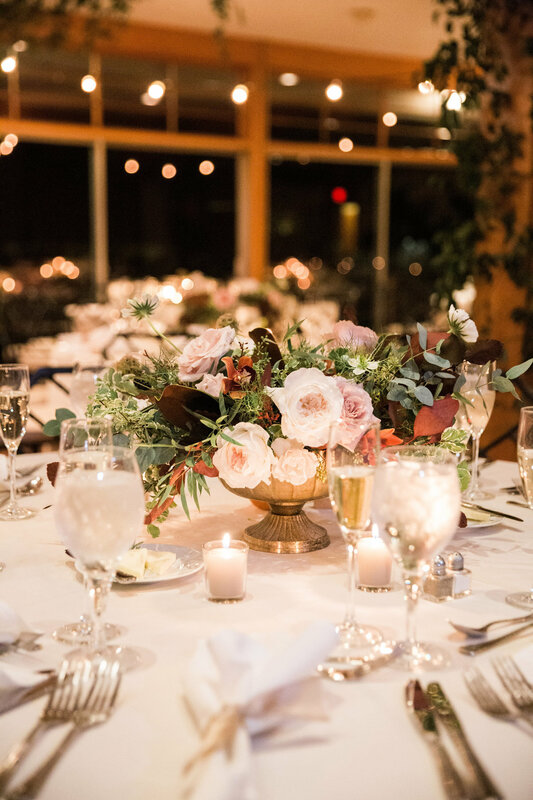 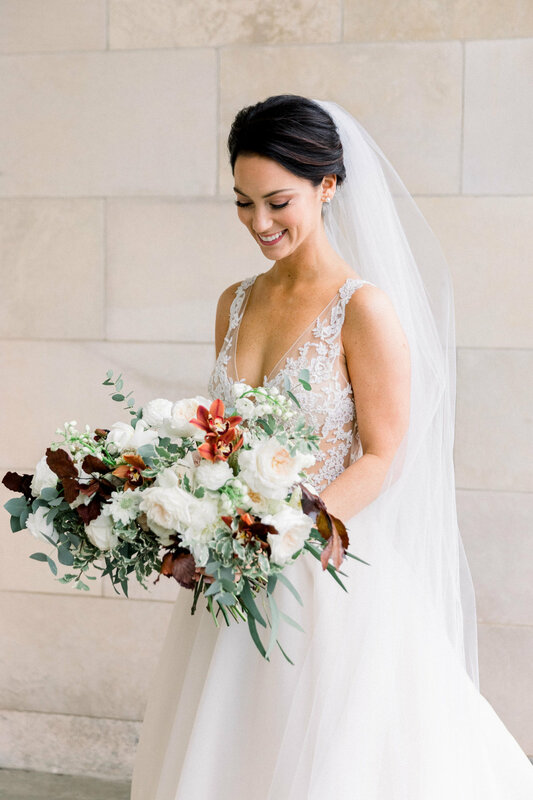 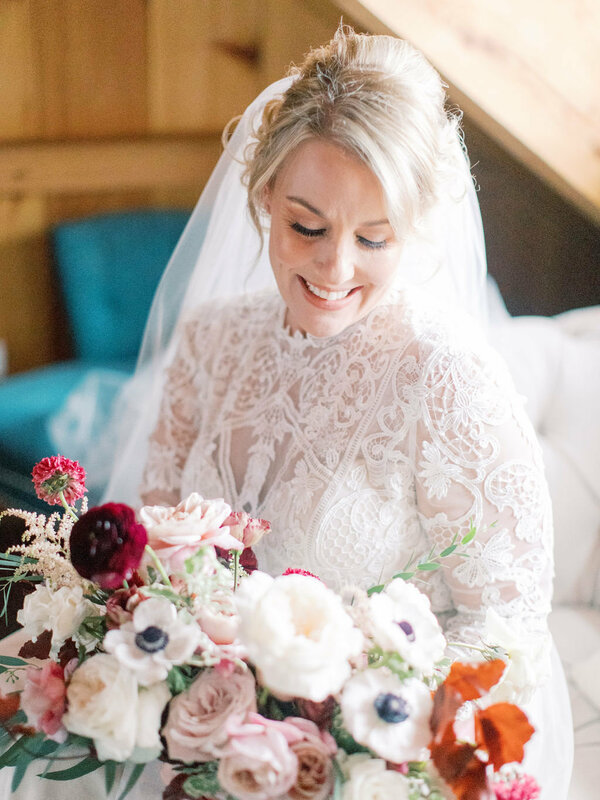 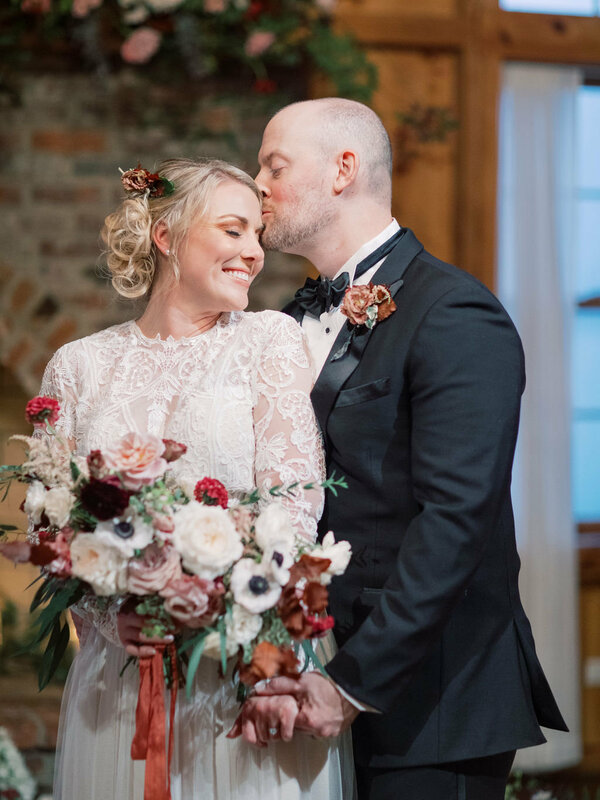 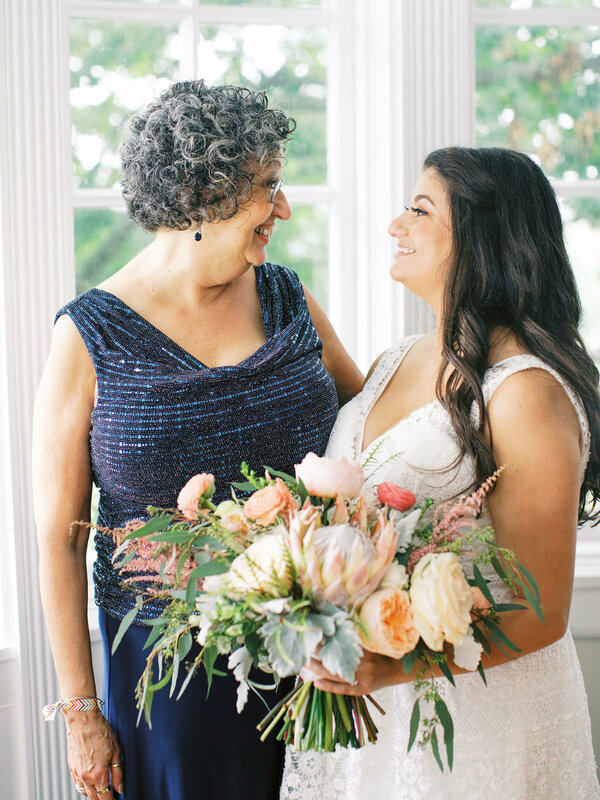 From our first email, to the final hours of set-up she was so sweet, helpful, and created the most perfect floral arrangements for our ceremony and reception spaces. 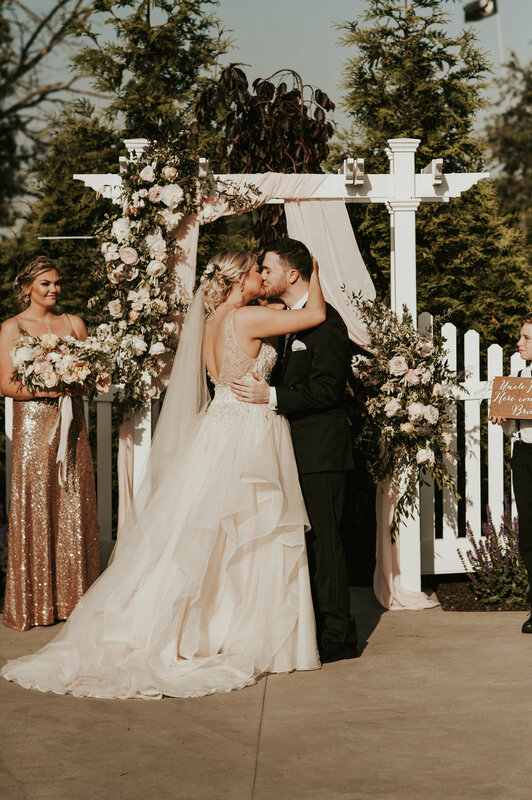 She listened to our vision for the day and made our dreams come true! 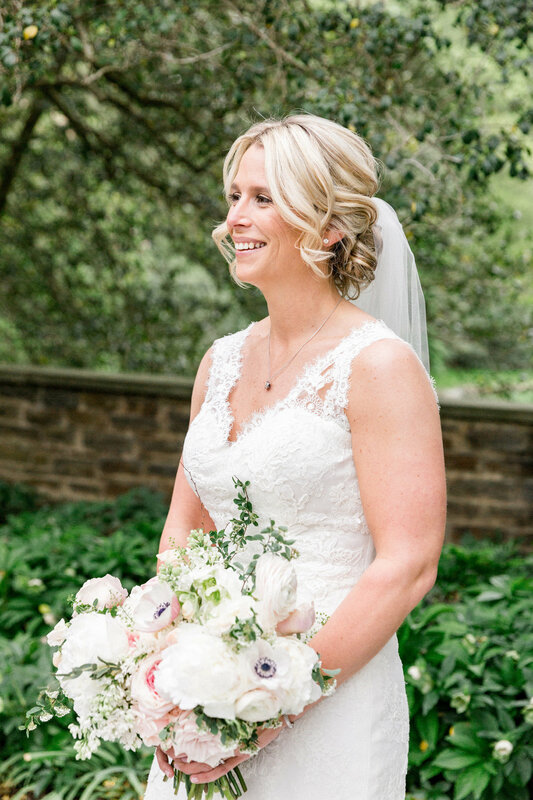 I would recommend her to any bride and groom!" 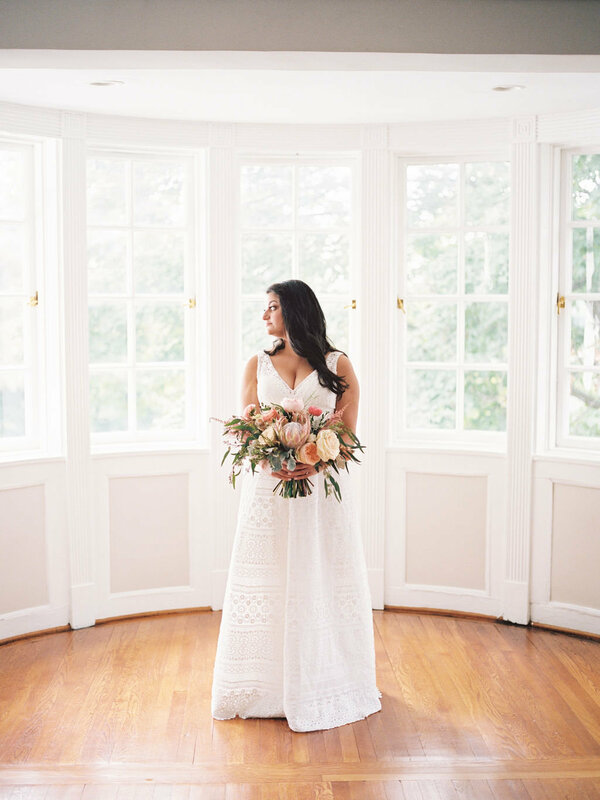 "Xio was absolutely amazing to work with! 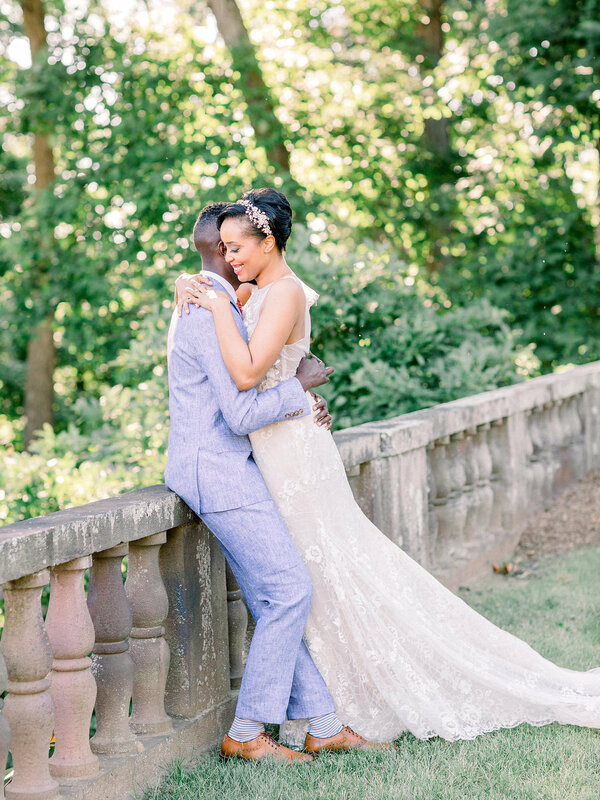 She really listened to what my vision was and brought it to life beautifully. 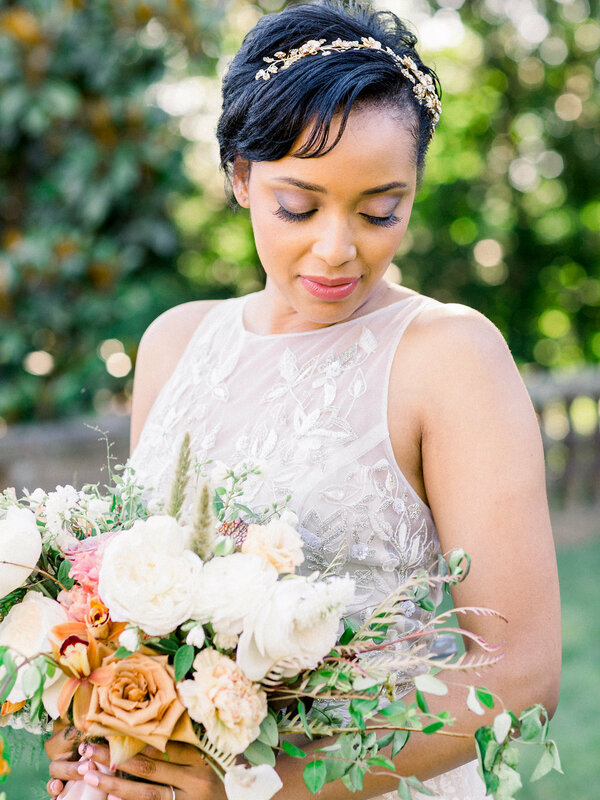 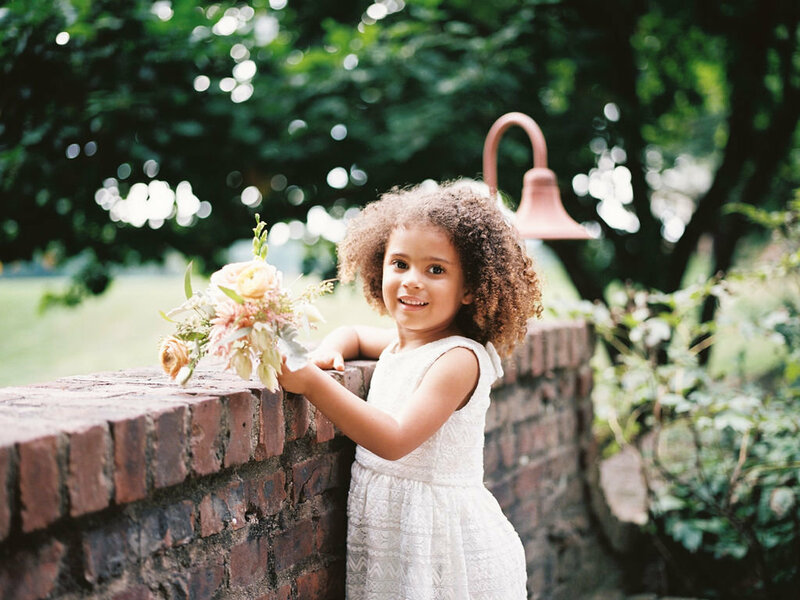 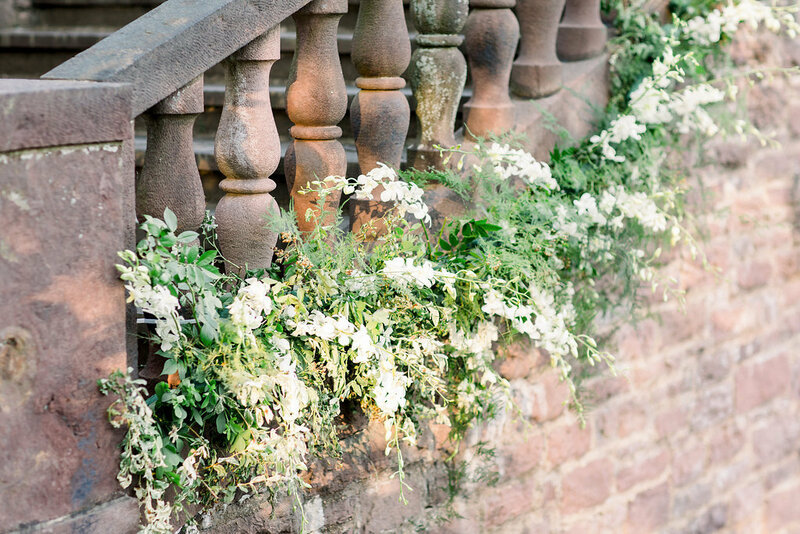 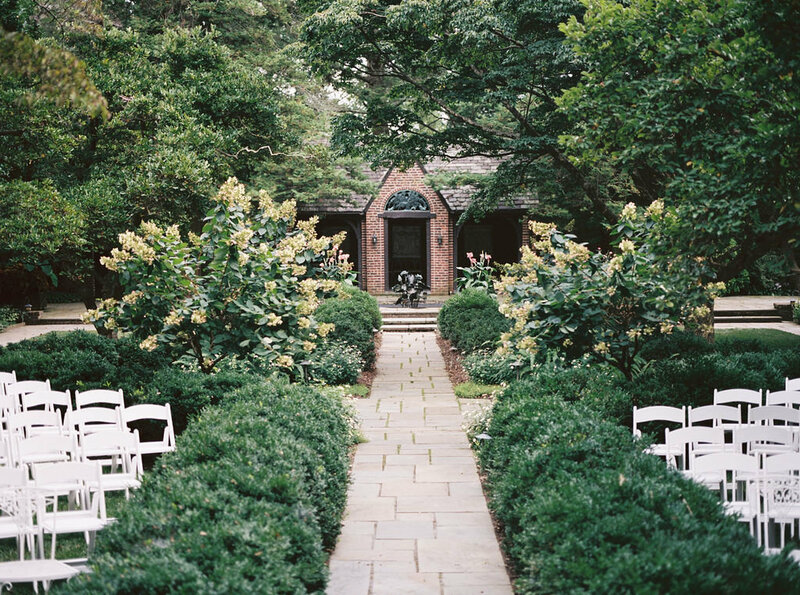 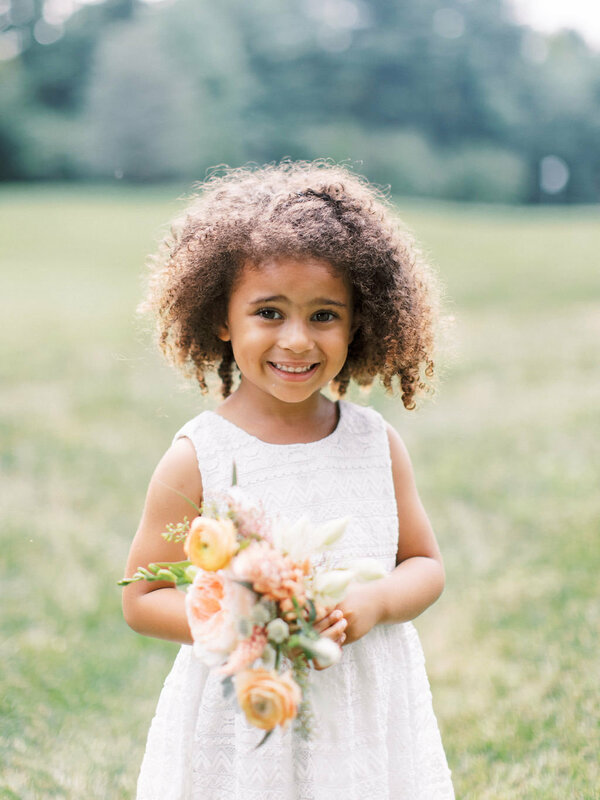 Xio has great suggestions on what flowers and greenery pair well together. 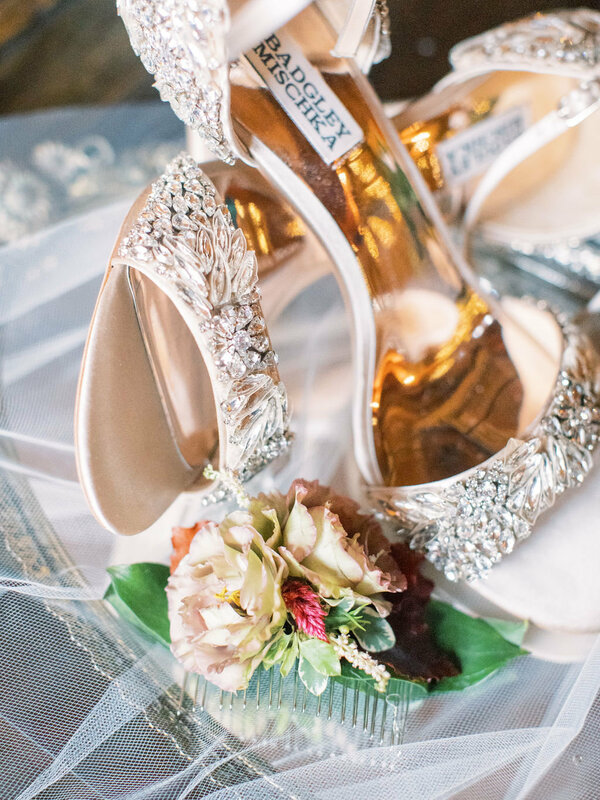 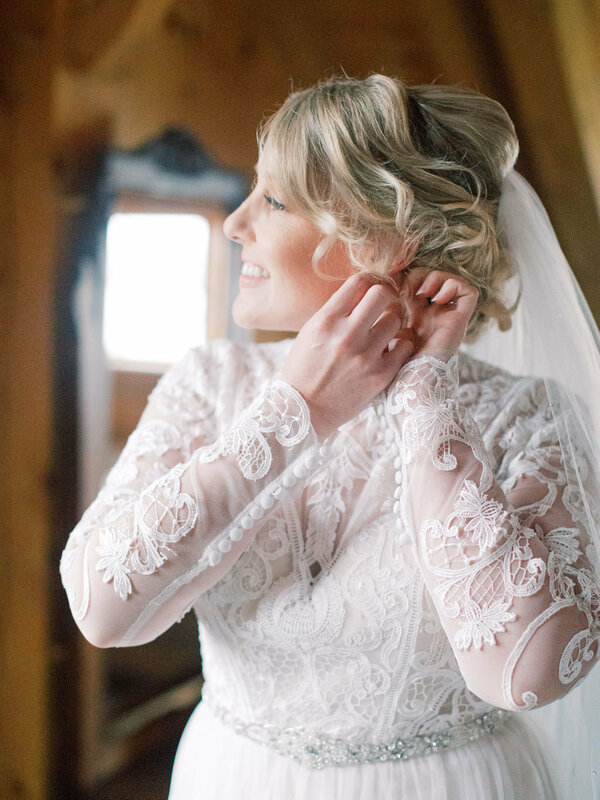 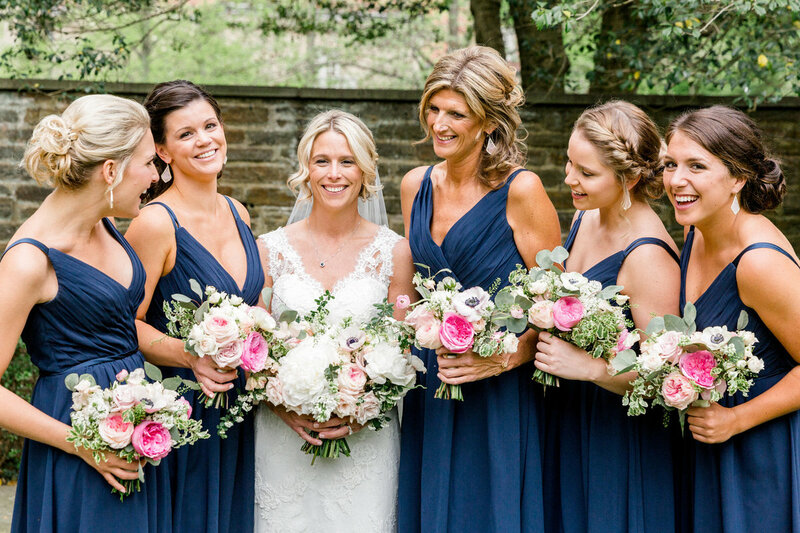 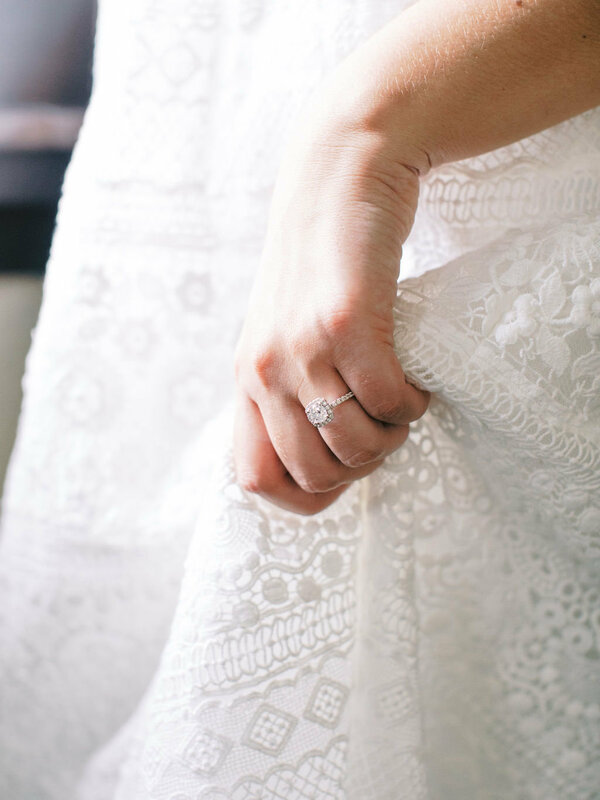 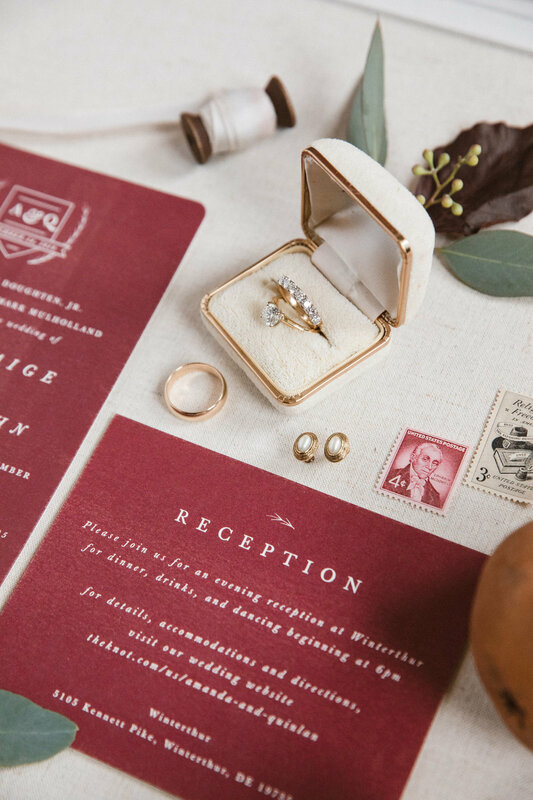 Her lovely personality and attention to detail will make any bride feel at ease. 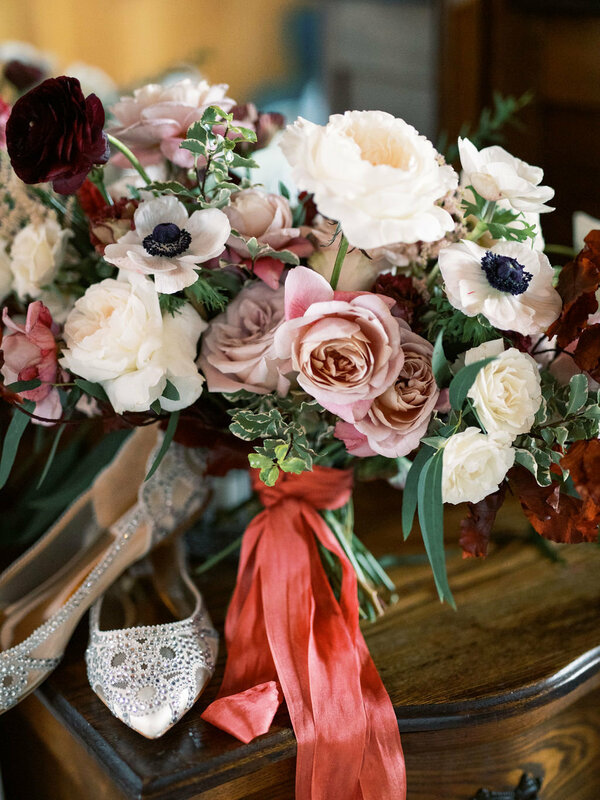 The guests at my wedding were blown away with how pretty the flowers were and they looked great in all the pictures. 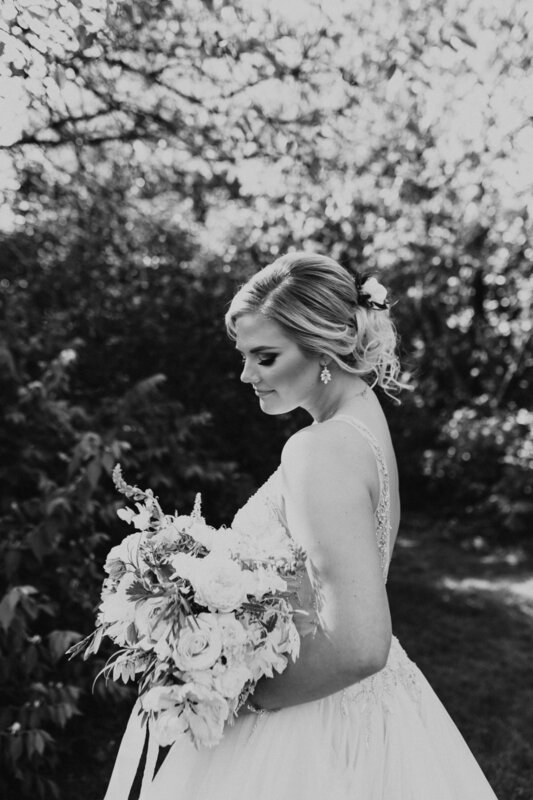 I'm so happy with my decision to work with Xio. 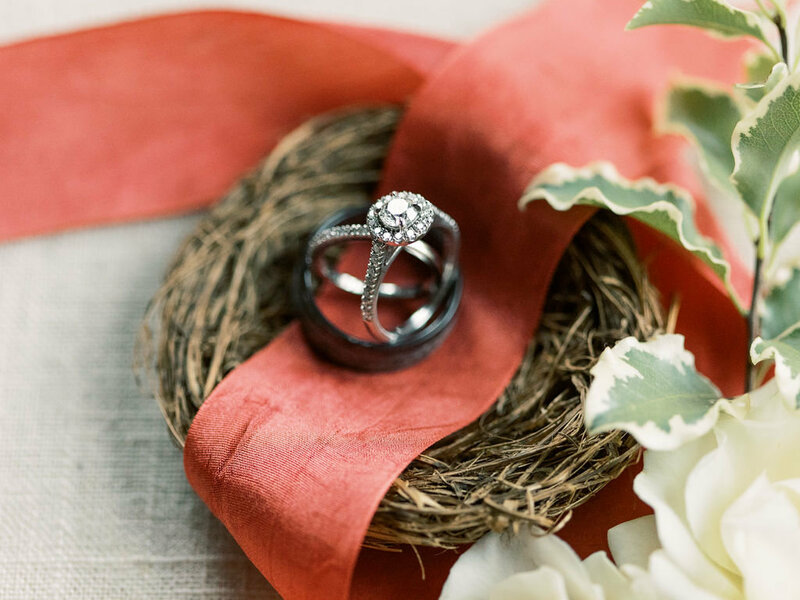 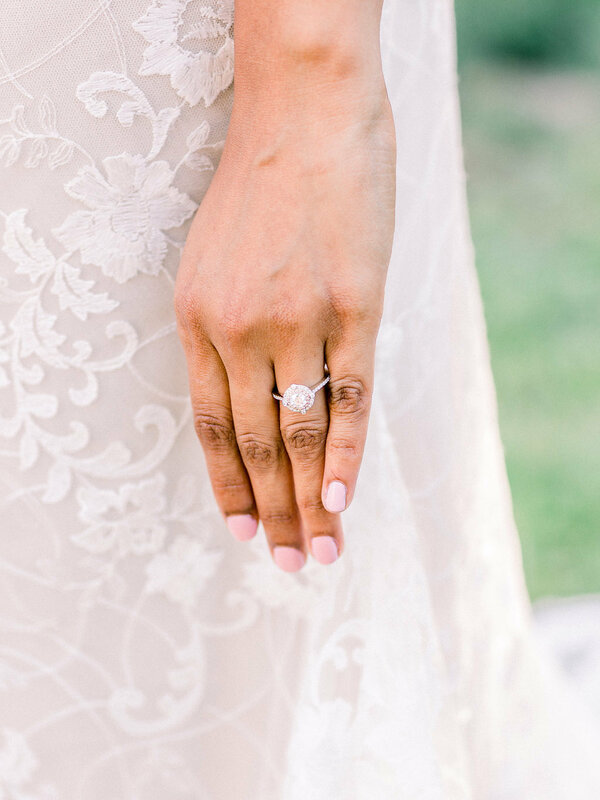 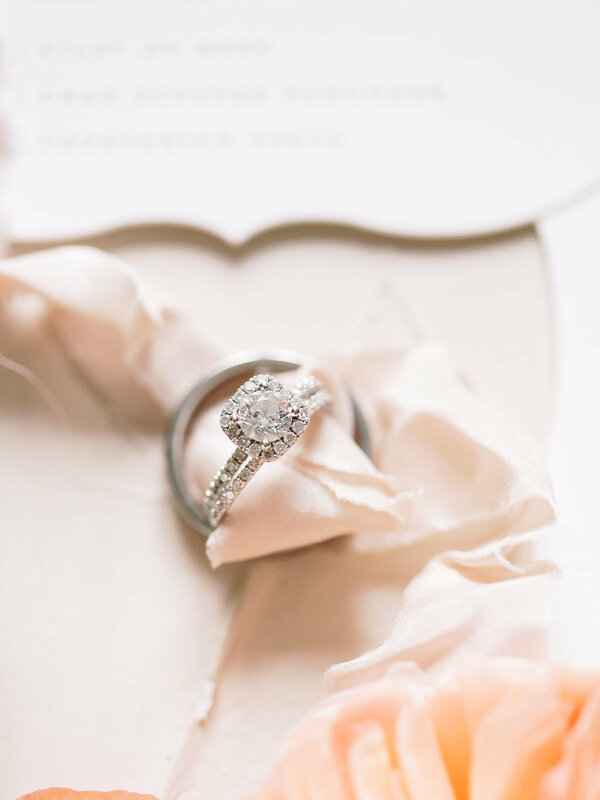 I will definitely be recommending her to all my engaged friends!" 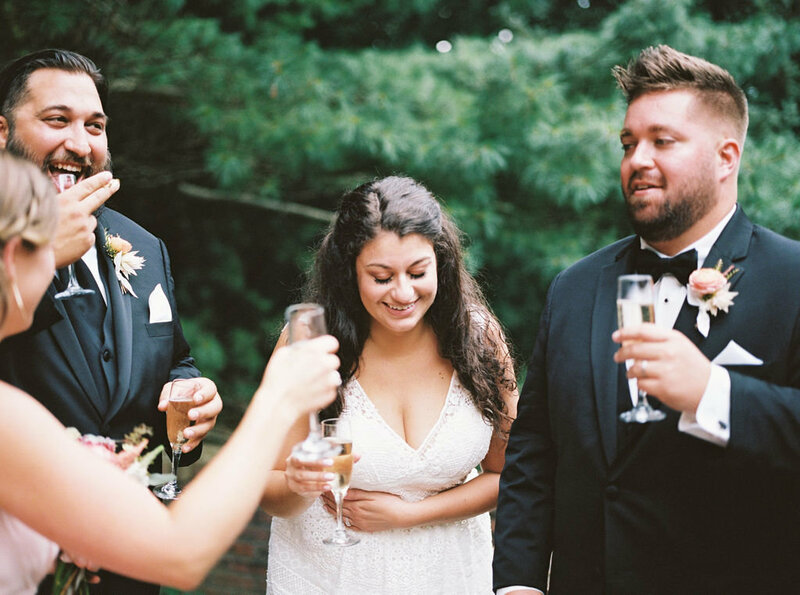 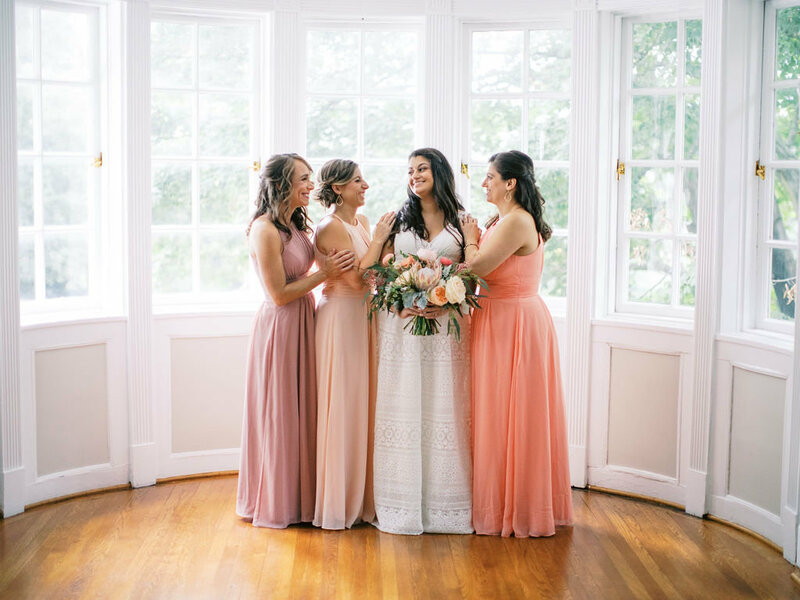 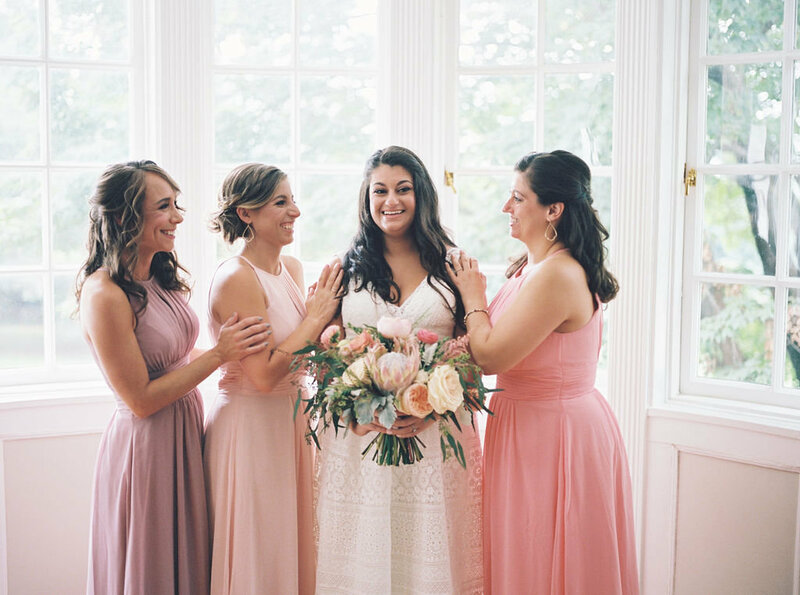 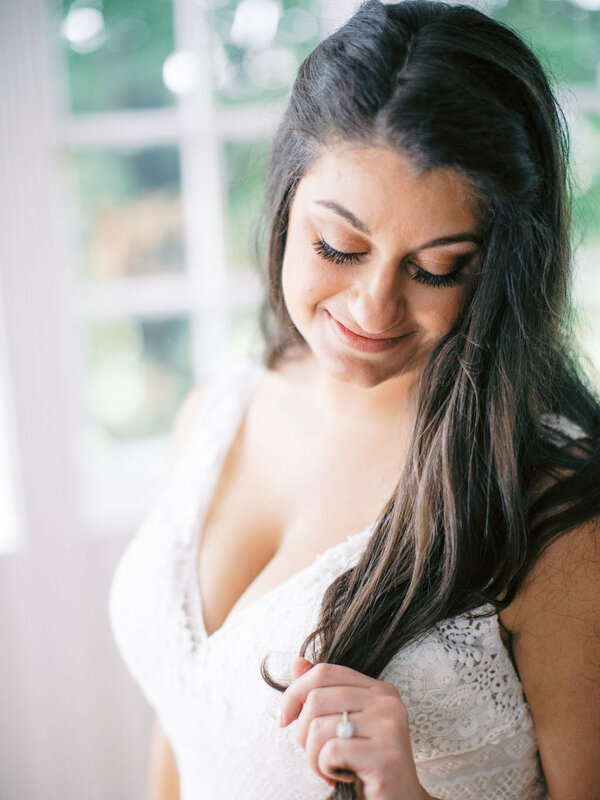 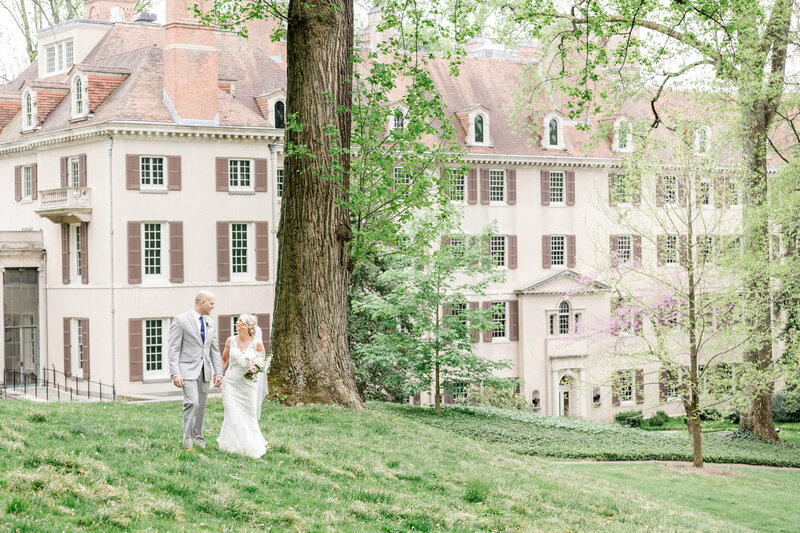 "I first met Xio in January of 2016 after learning of her work through an online blog that had featured our wedding venue and photographer. 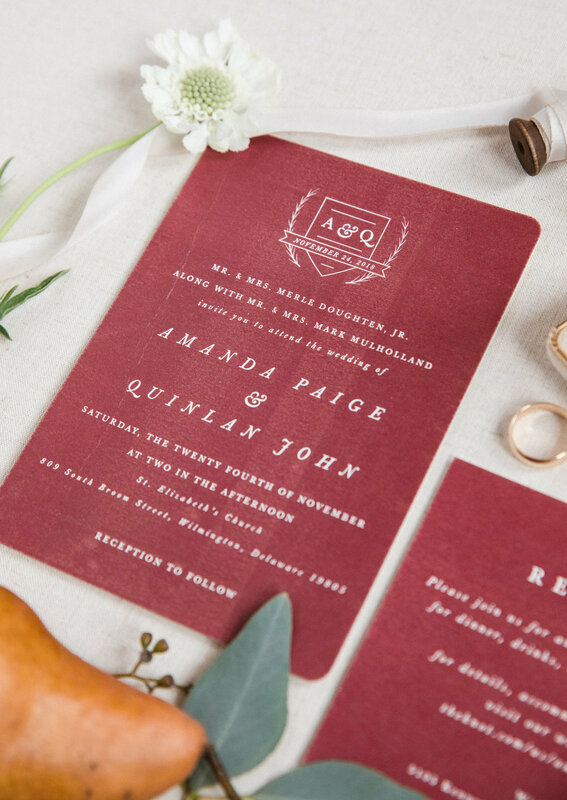 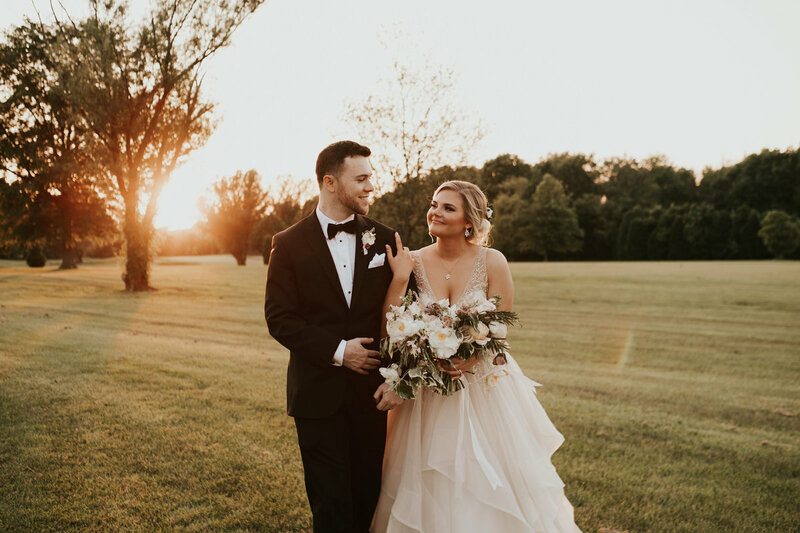 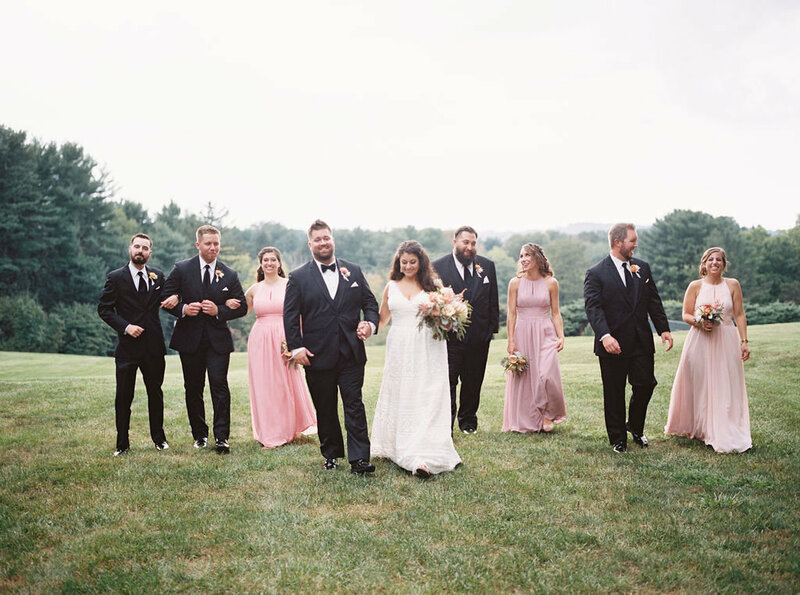 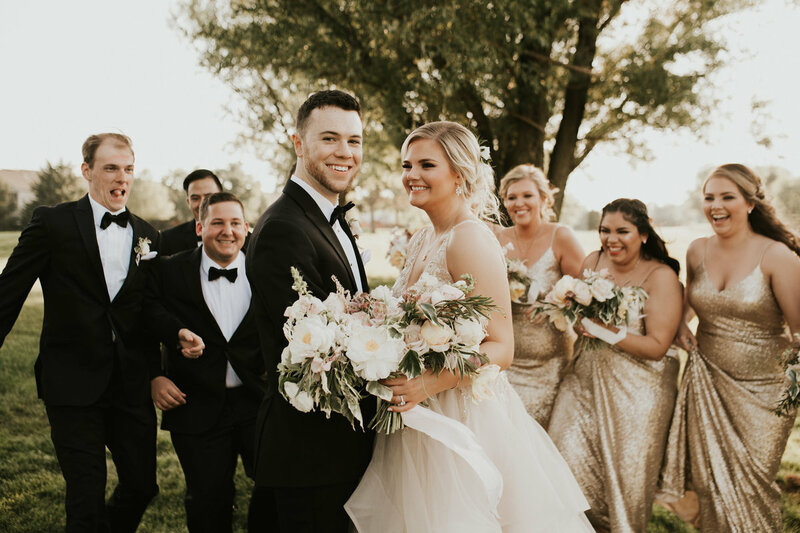 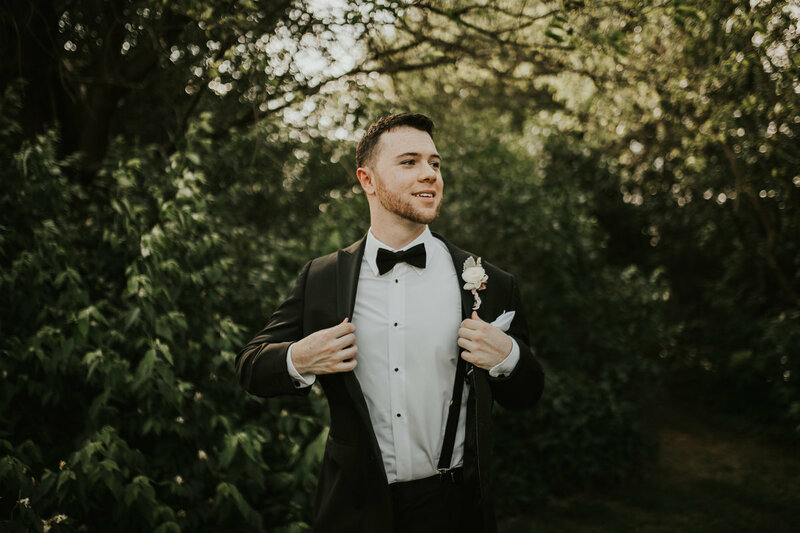 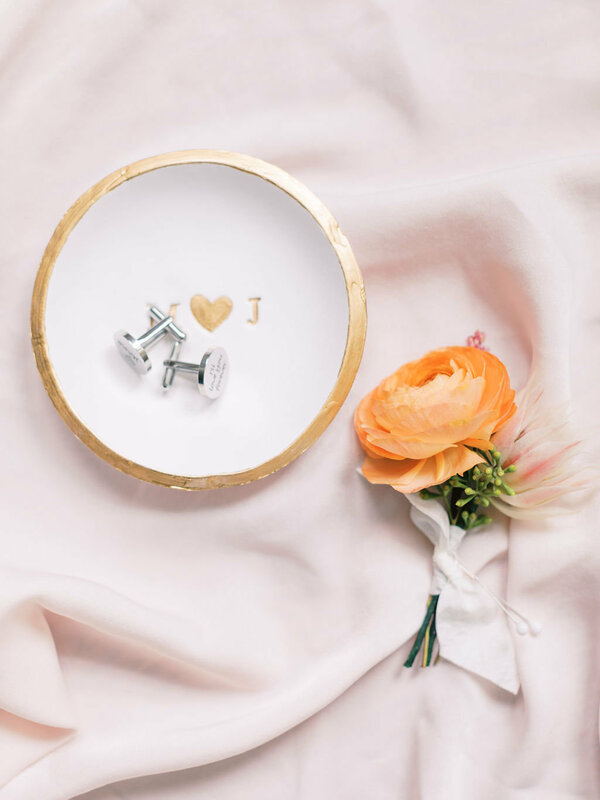 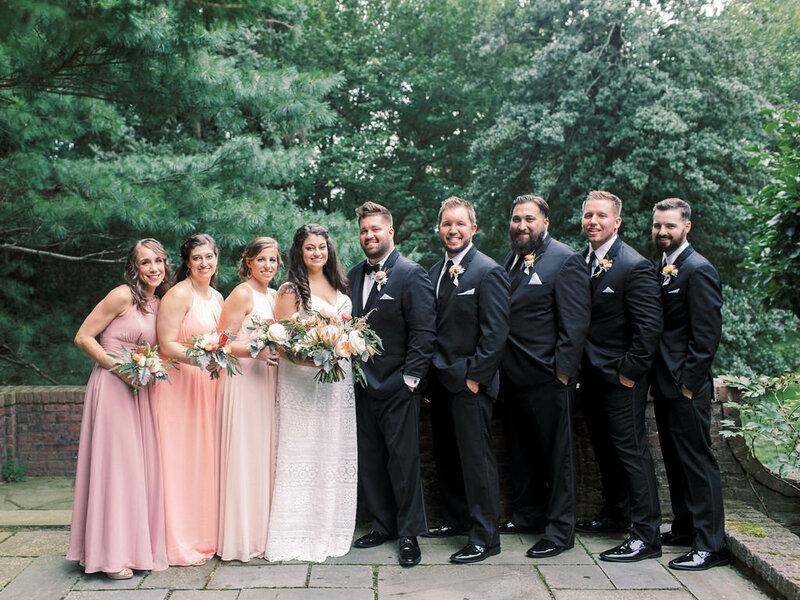 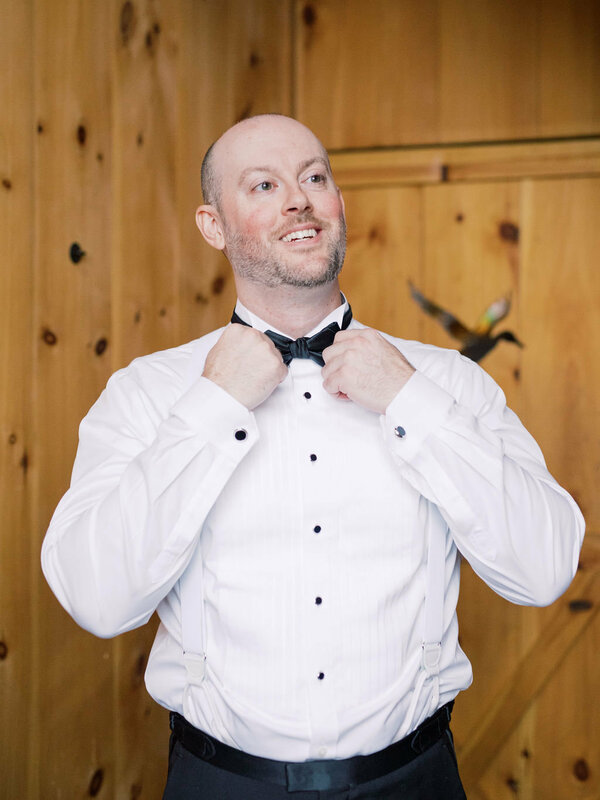 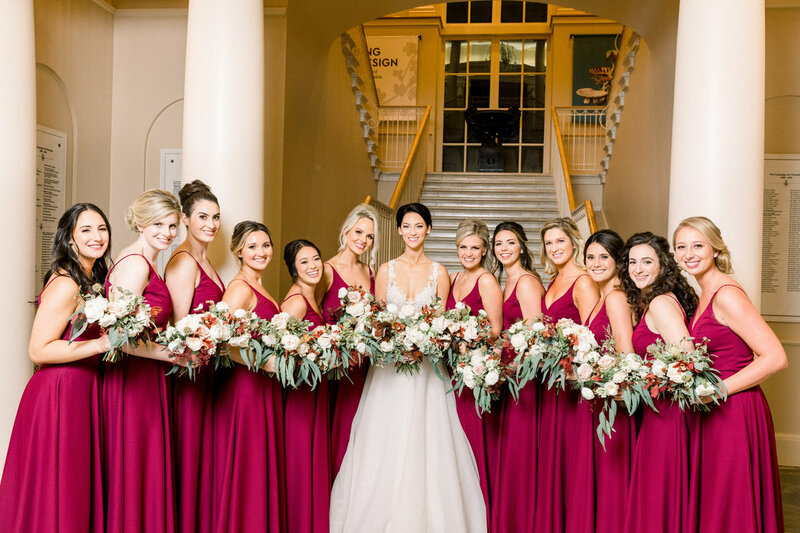 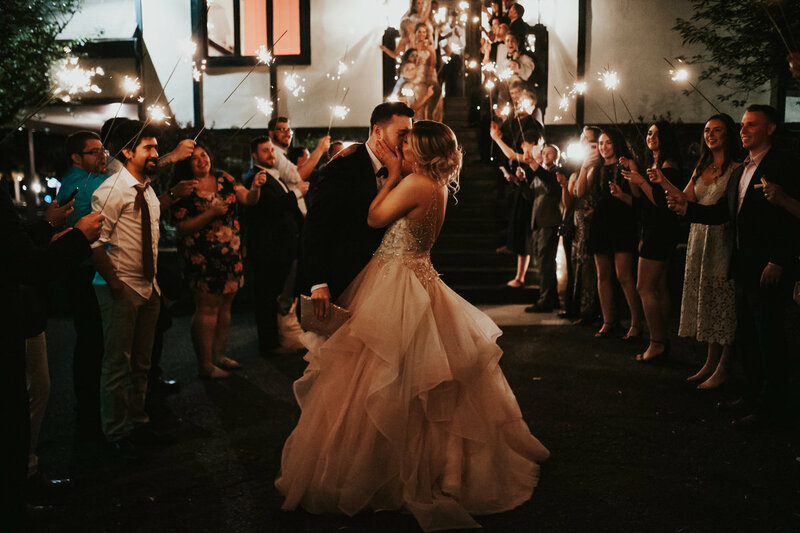 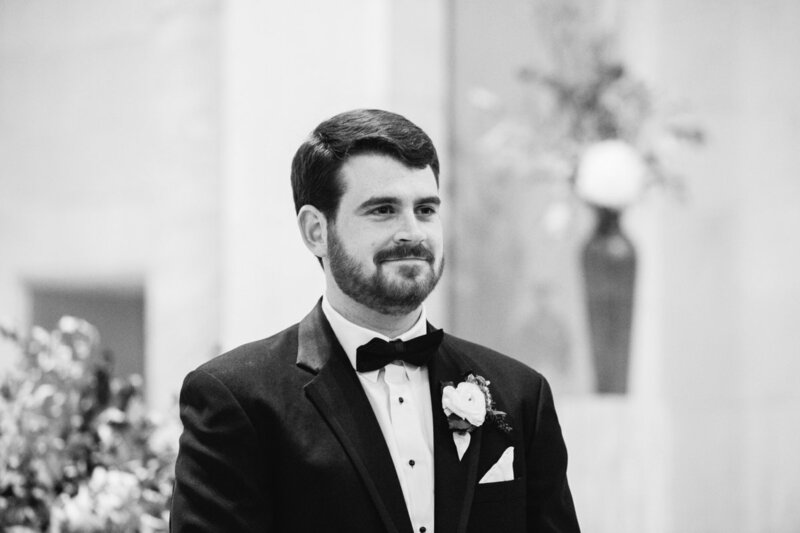 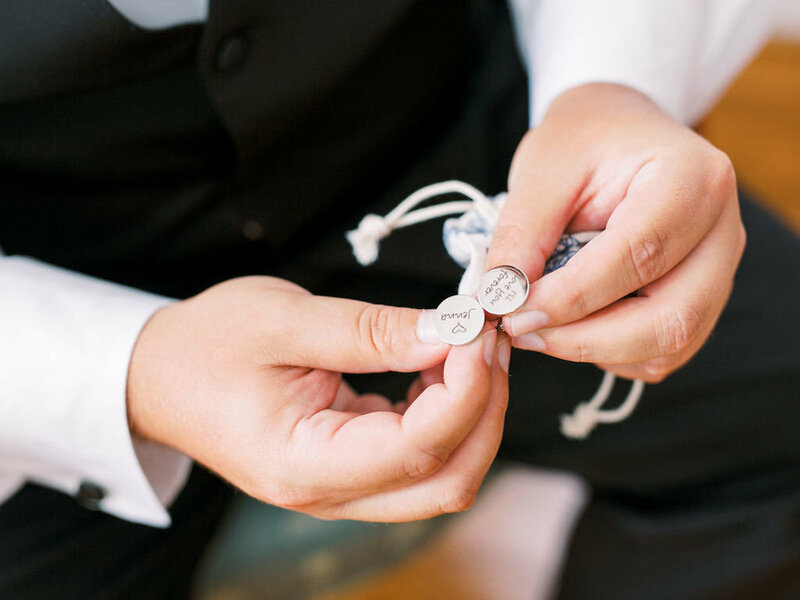 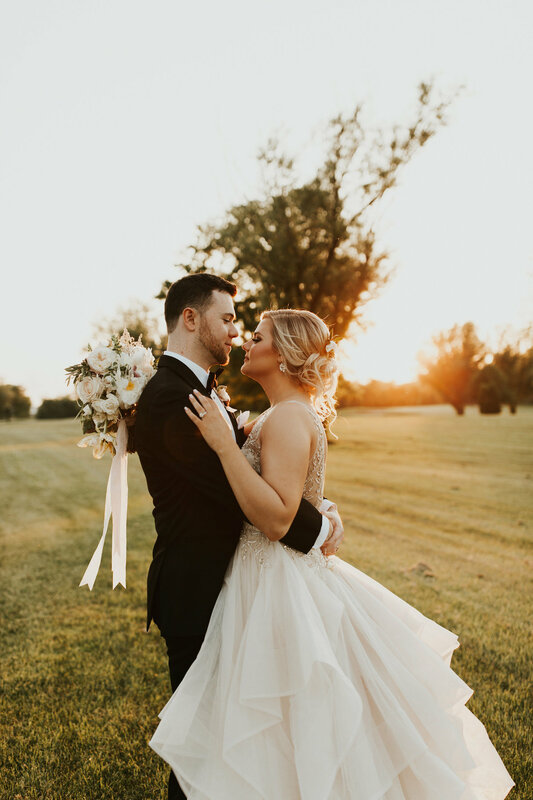 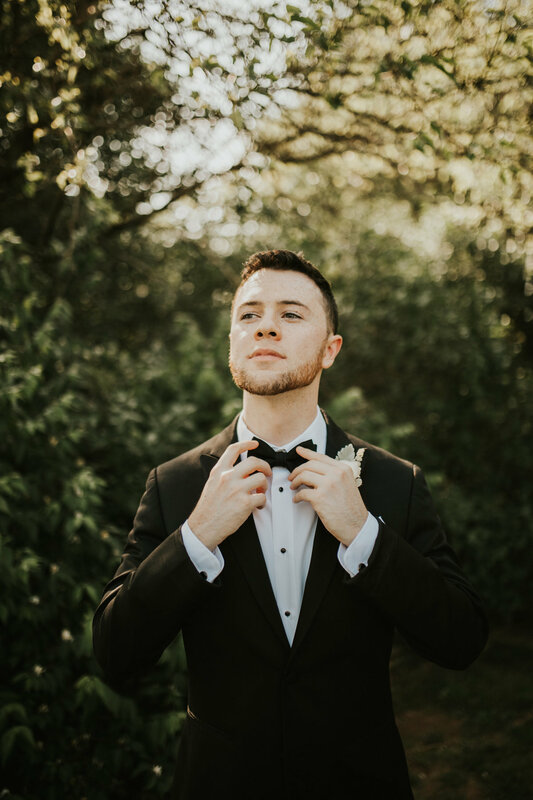 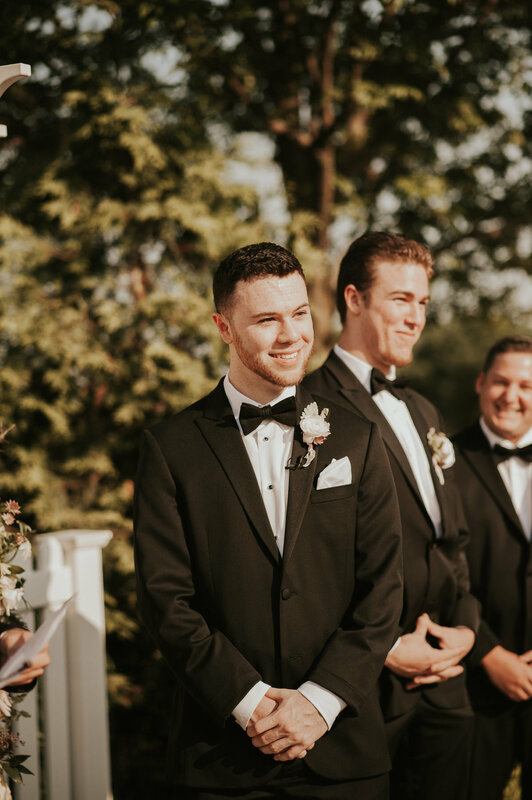 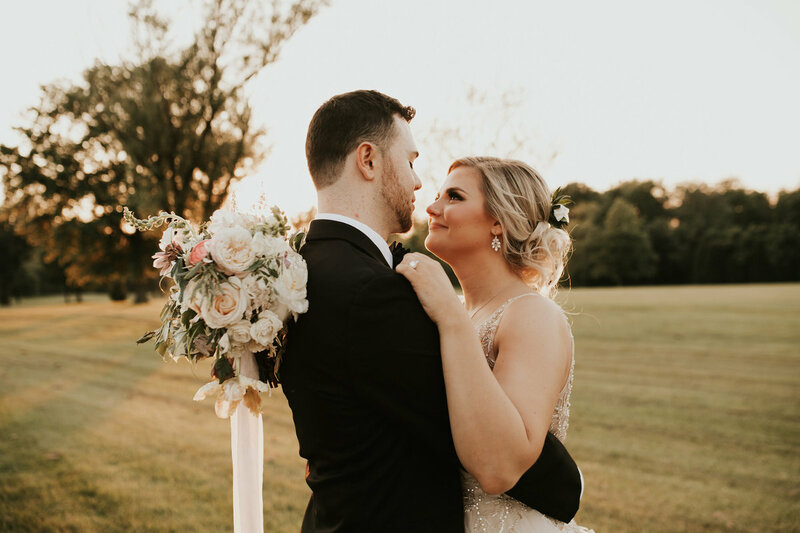 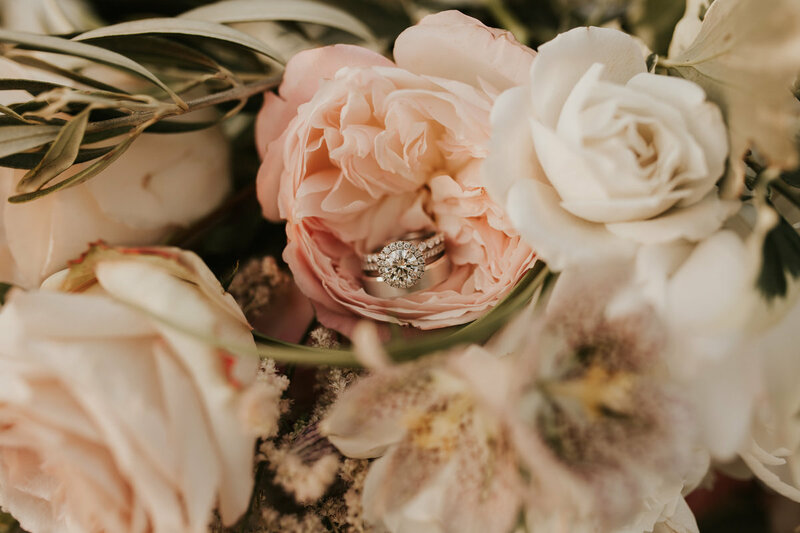 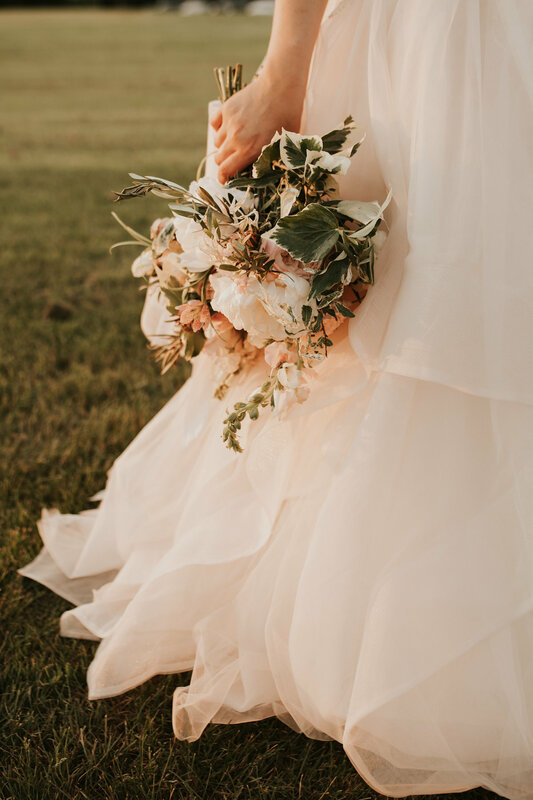 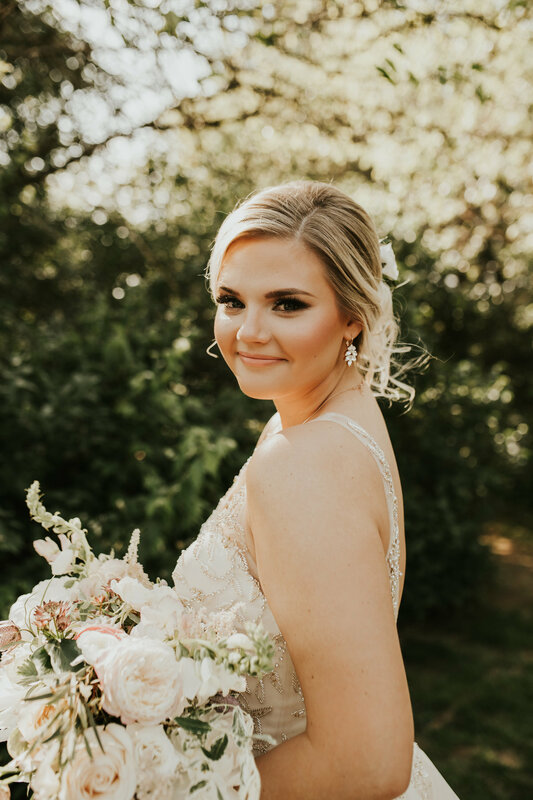 I was initially considering hiring a designer because my work schedule is often very hectic, and I was afraid I would not be able to complete all of the tasks involved in putting together a wedding. 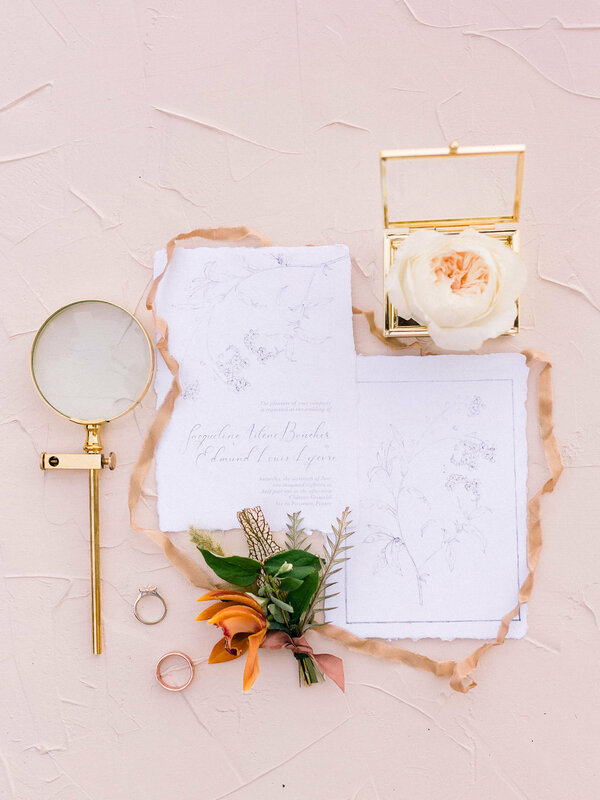 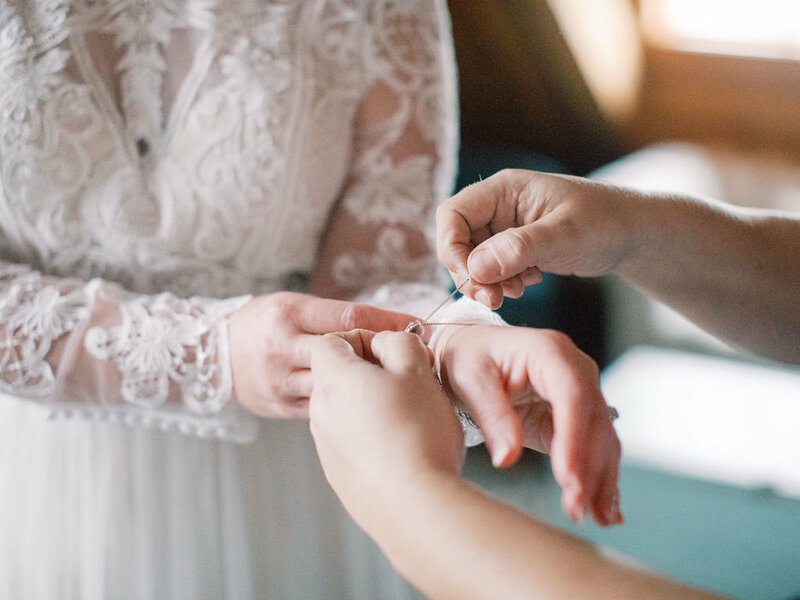 Xio is so passionate about what she does, and I felt more than comfortable trusting her with the design details of our big day. 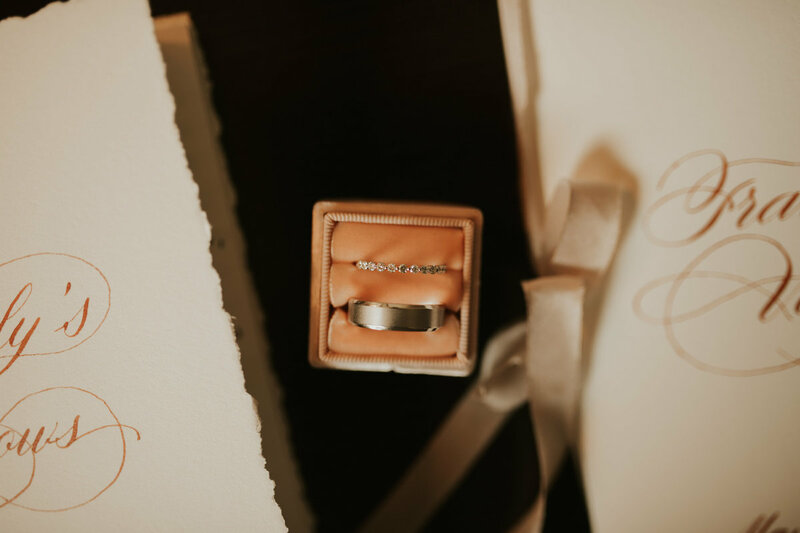 The initial design proposal was exactly what we were looking for, and somehow the final day was still even better!" 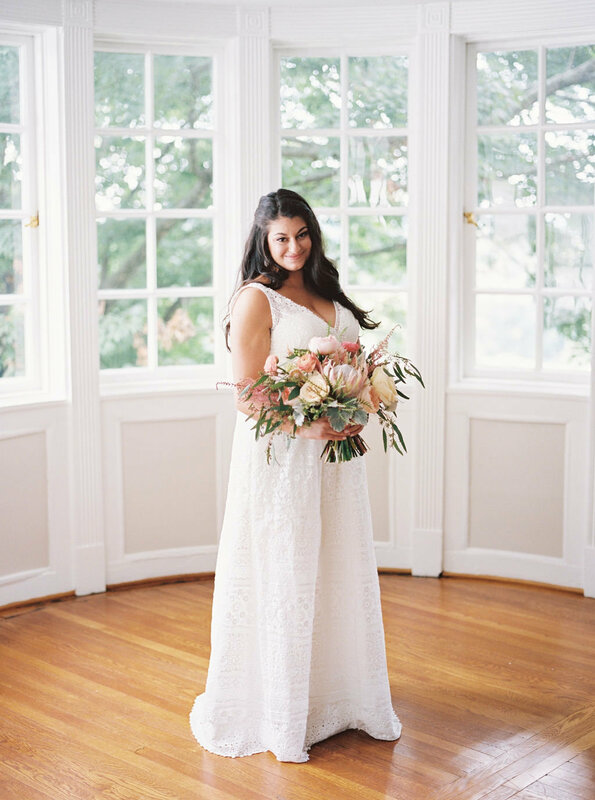 "Xio is so wonderful to work with. 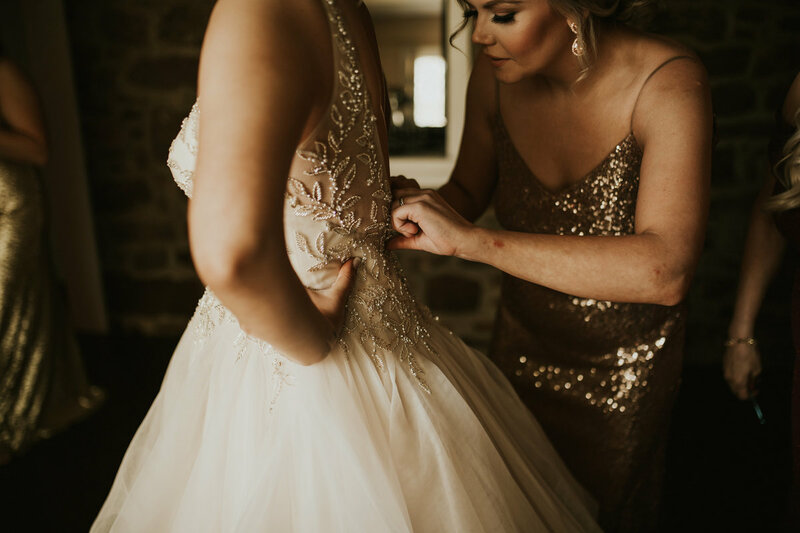 Her dedication to go the extra mile and her exceptional attention to detail is what made my 10 year vow renewal a total success. 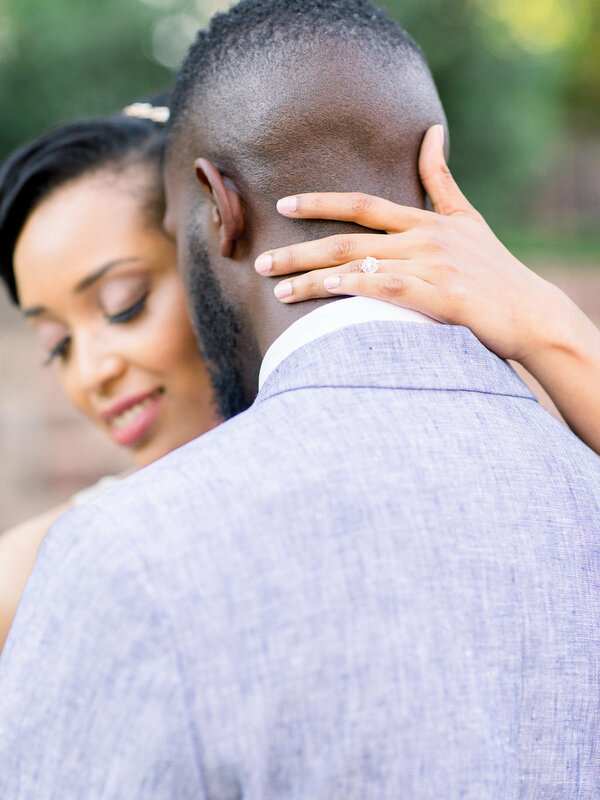 I am so happy that my photographer referred her and look forward to working with her for another event!" 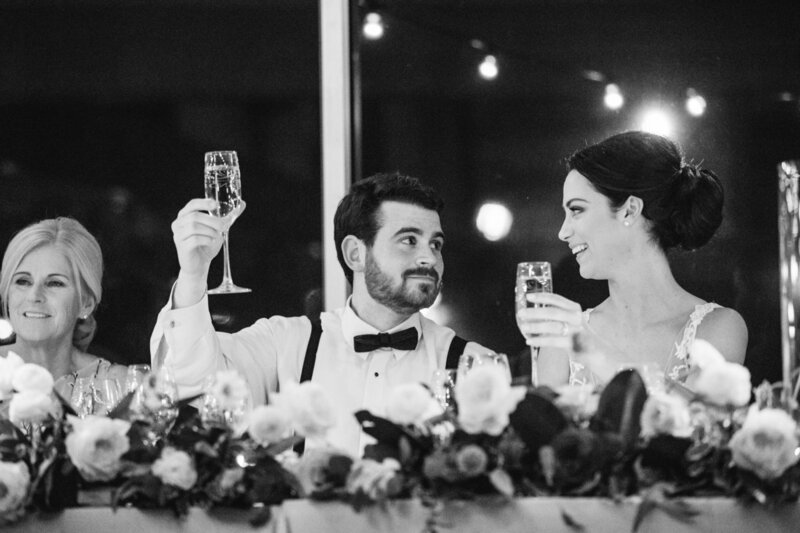 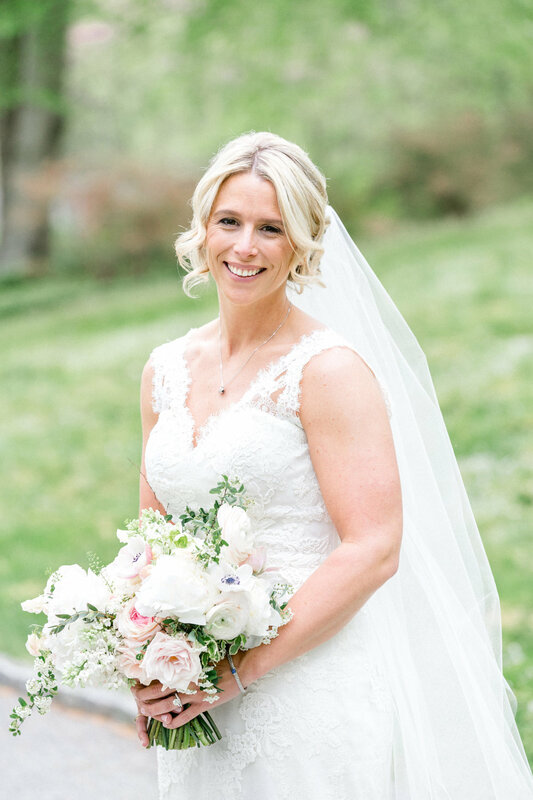 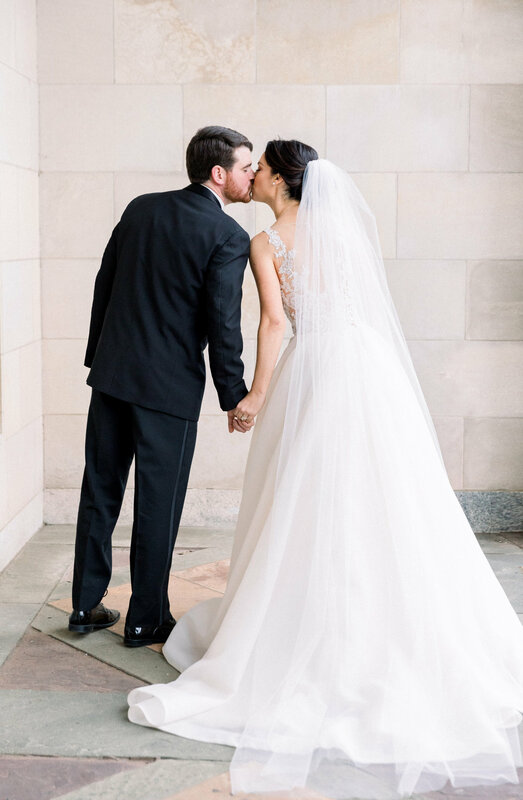 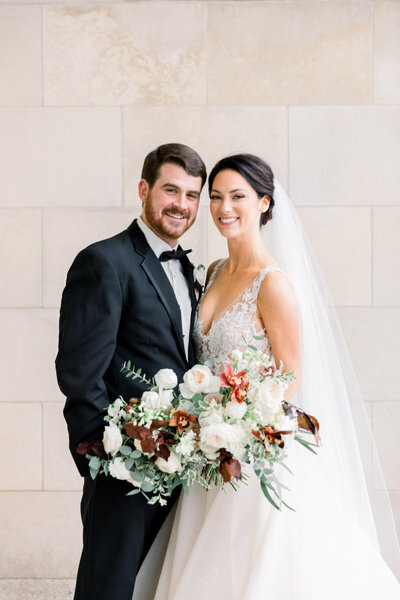 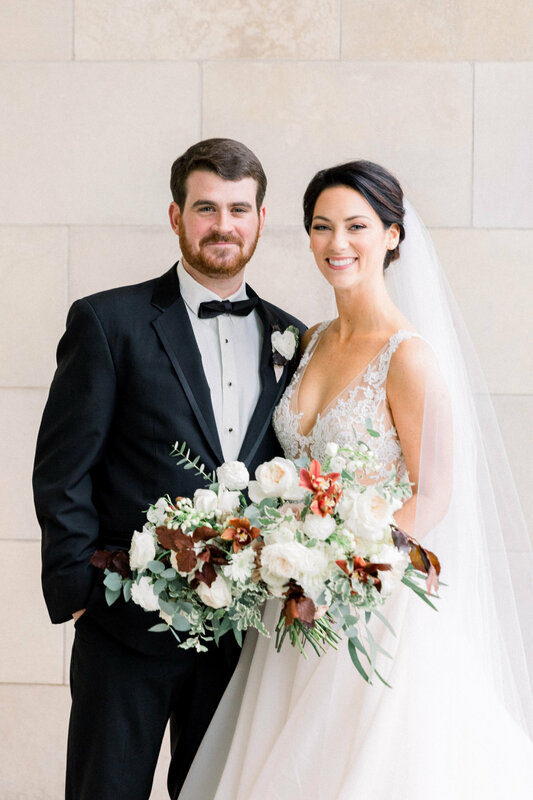 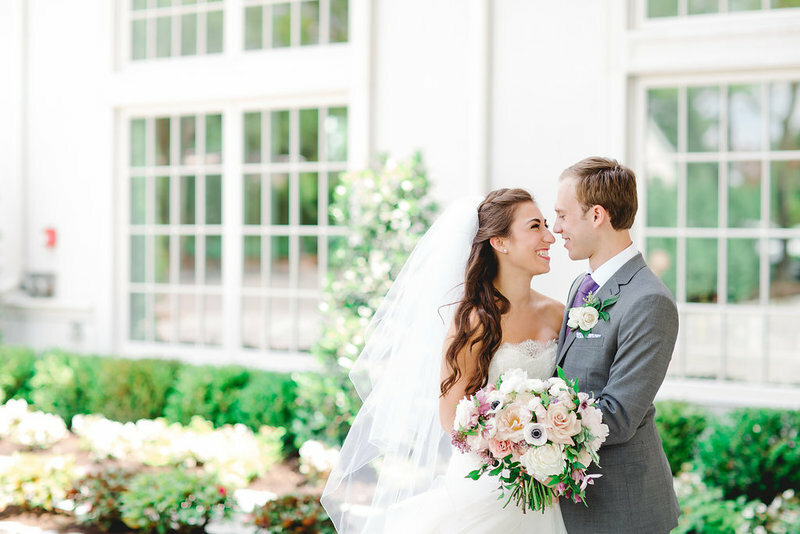 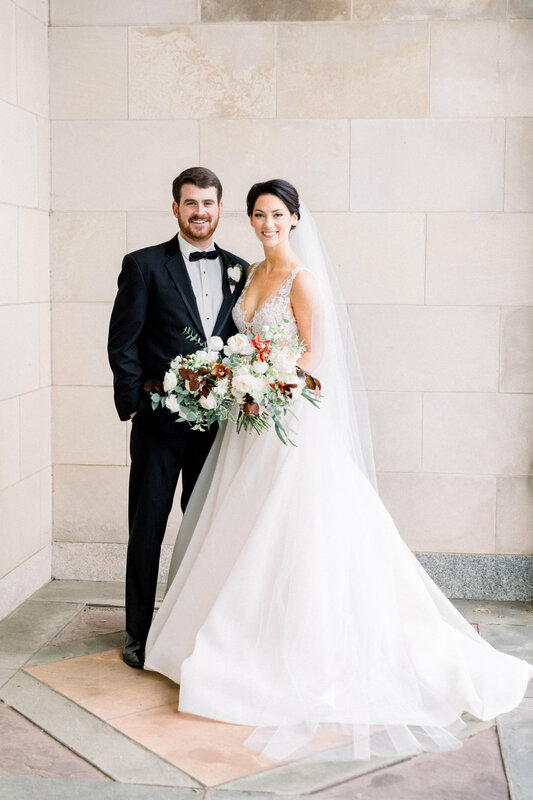 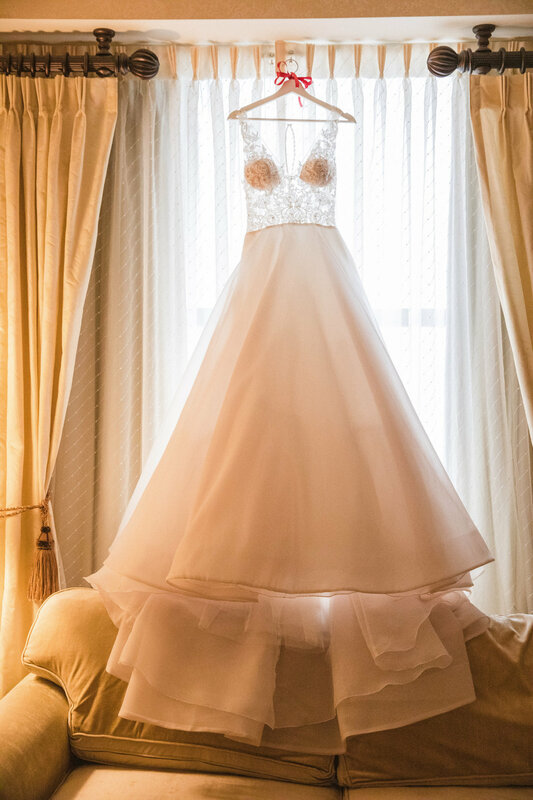 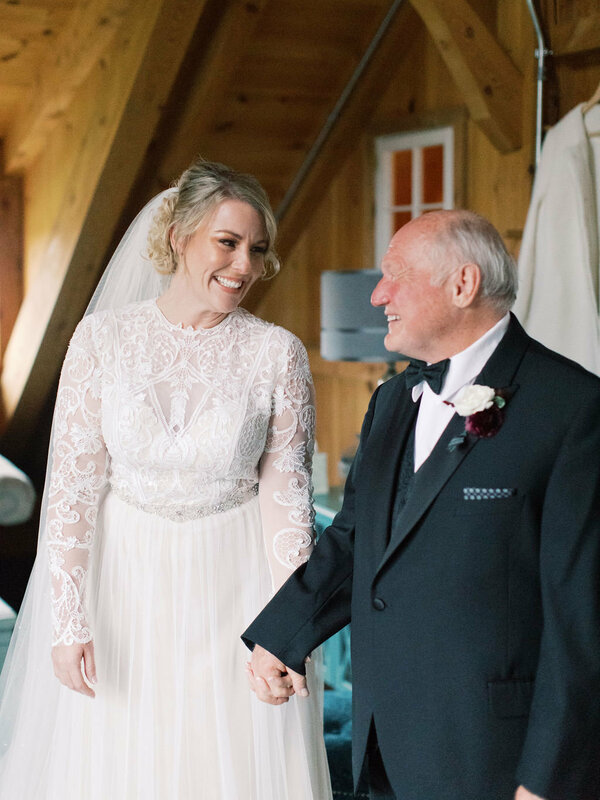 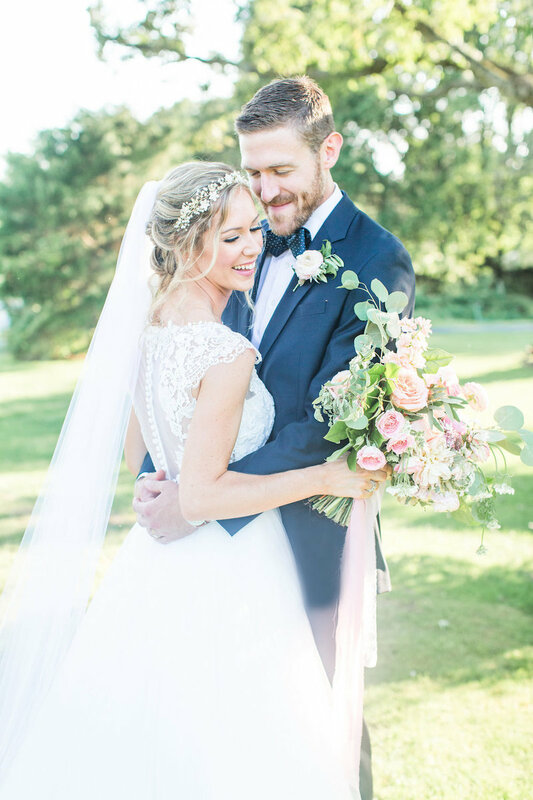 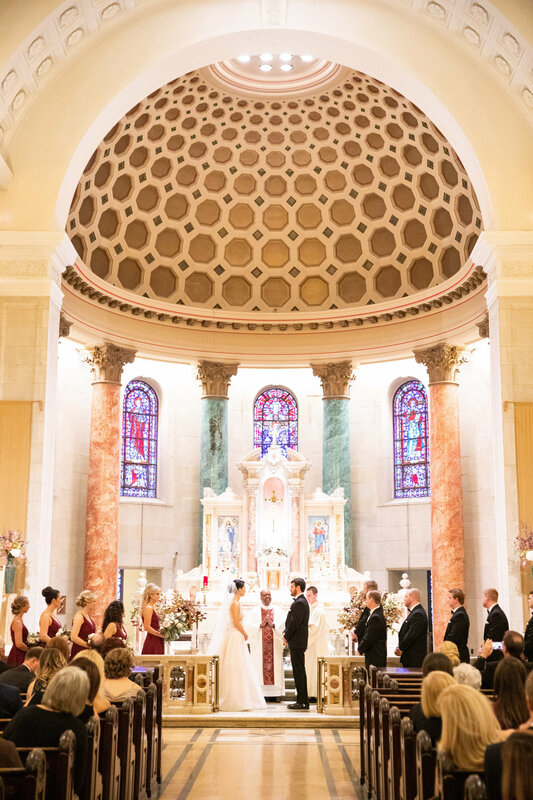 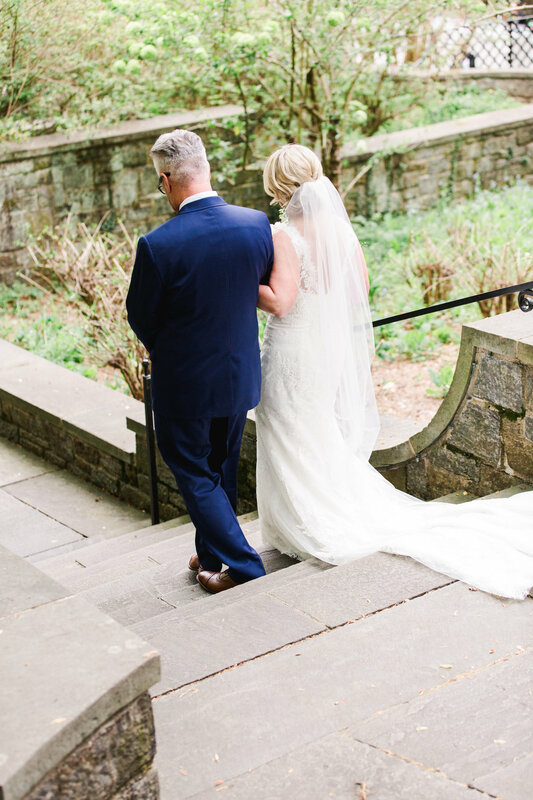 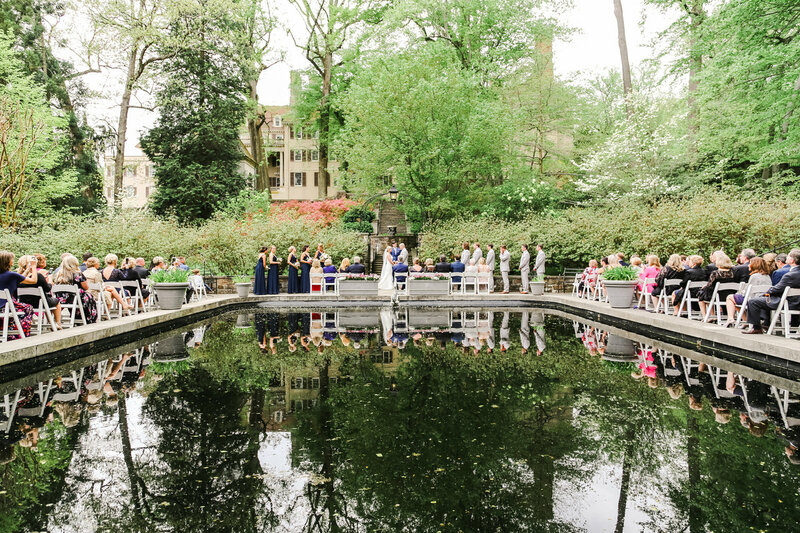 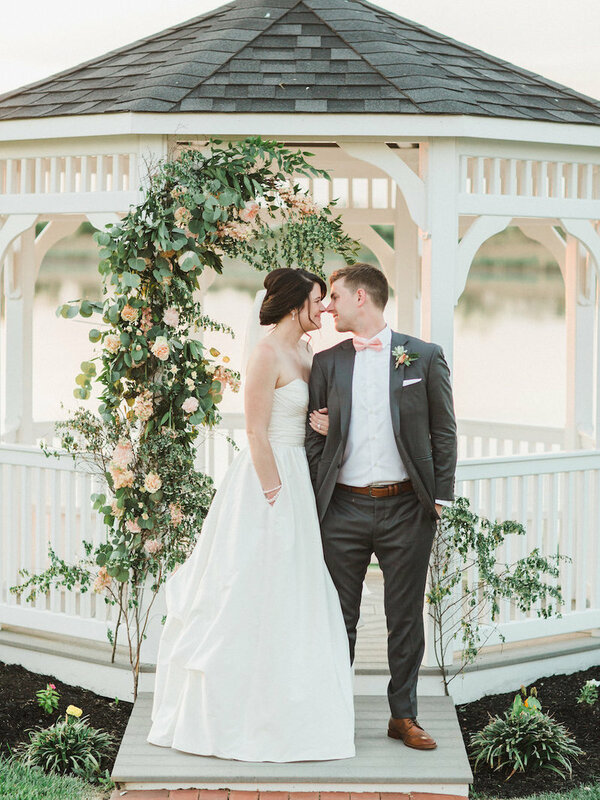 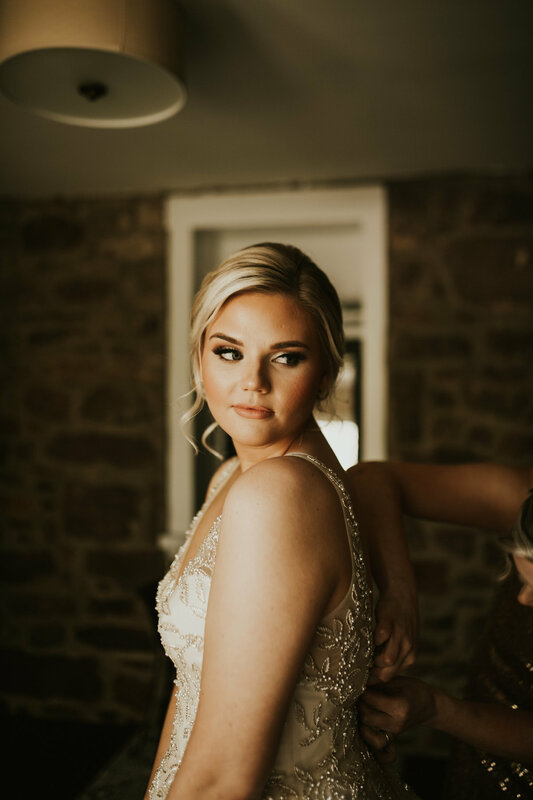 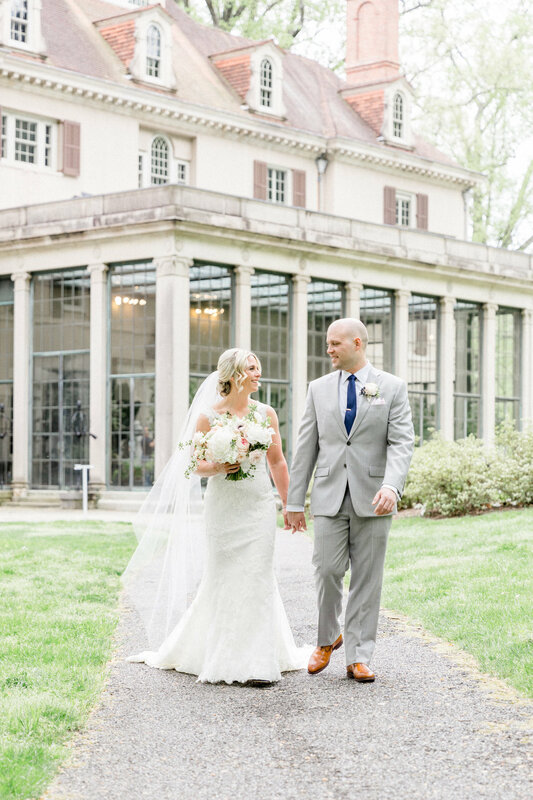 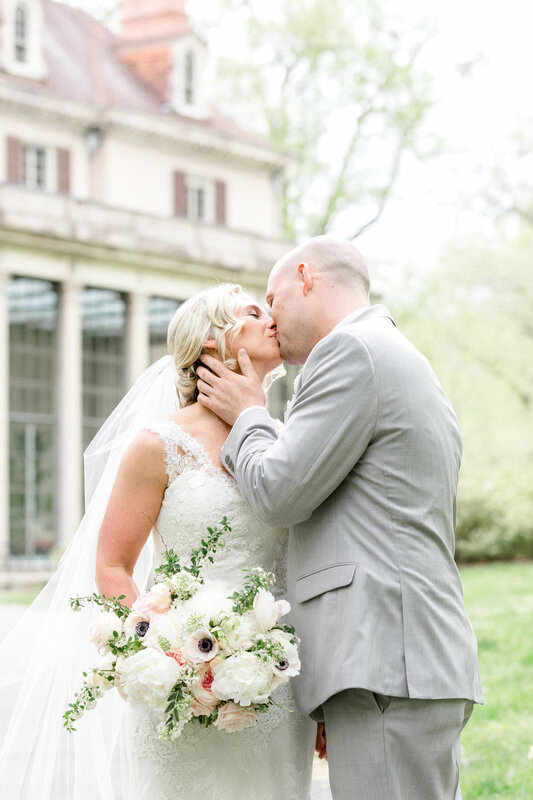 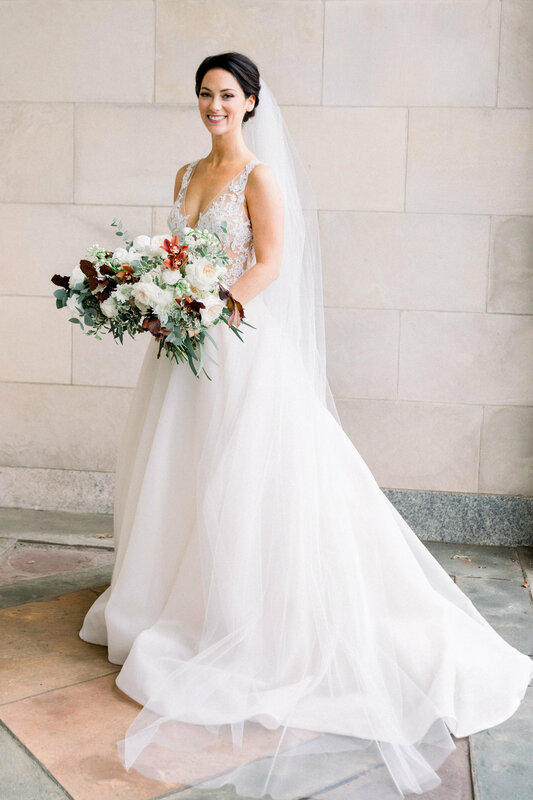 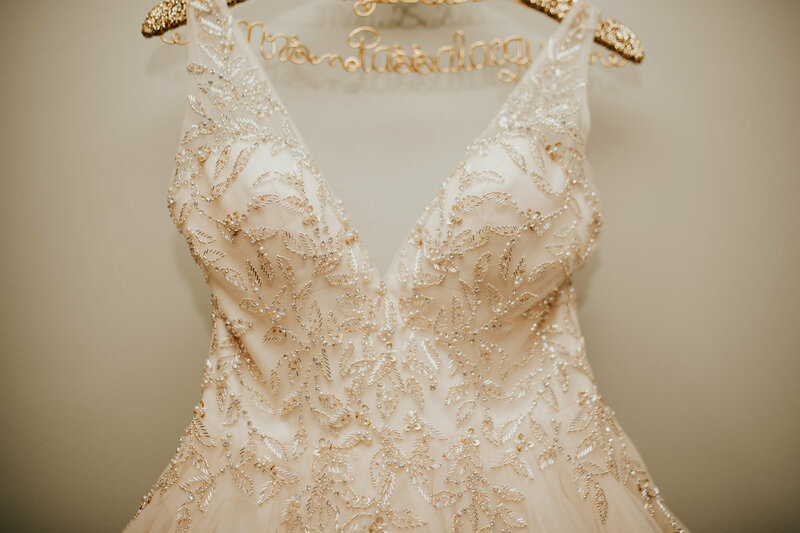 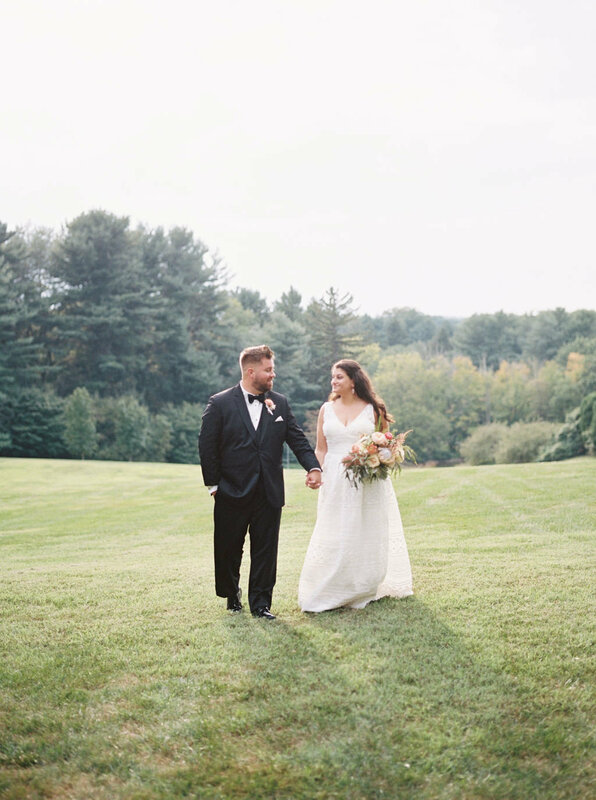 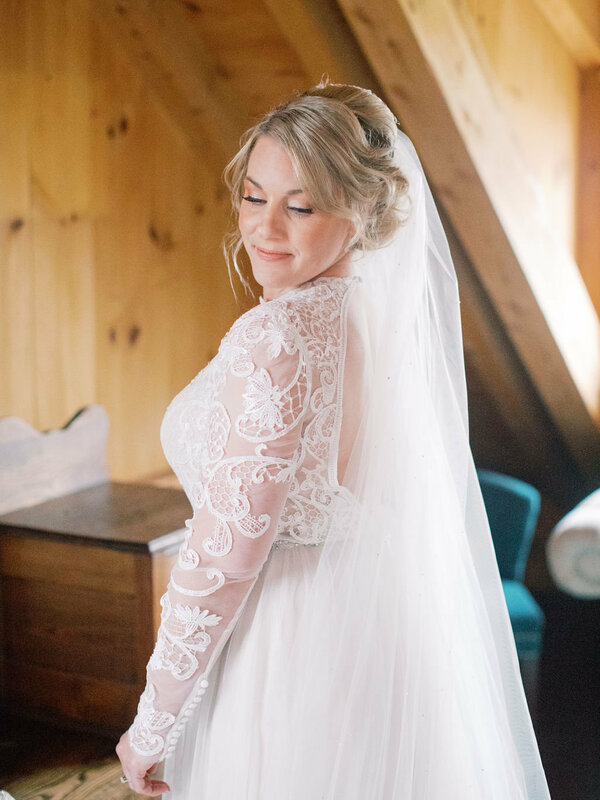 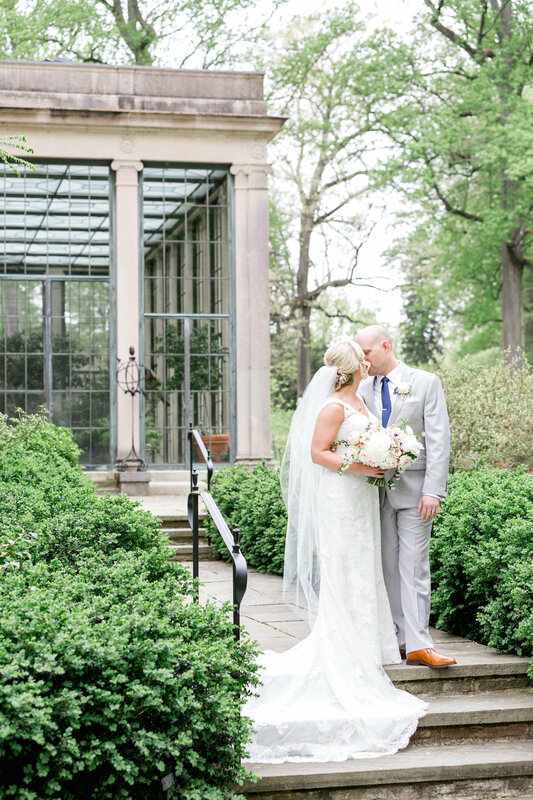 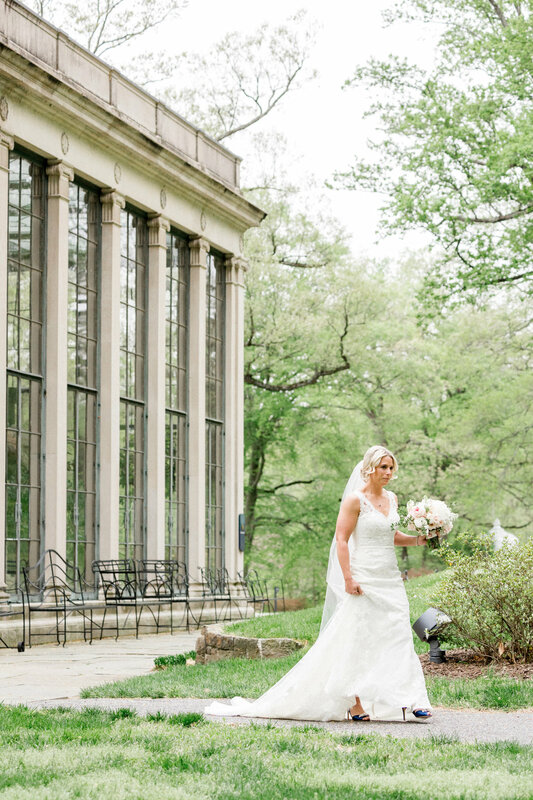 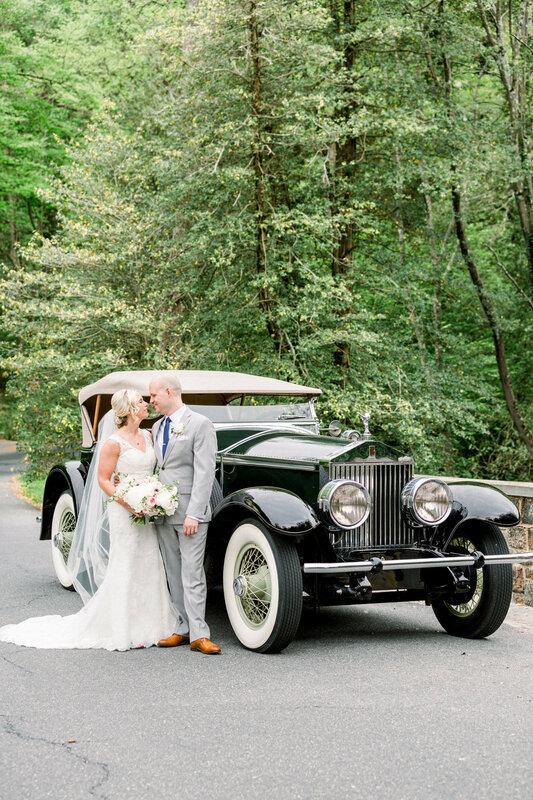 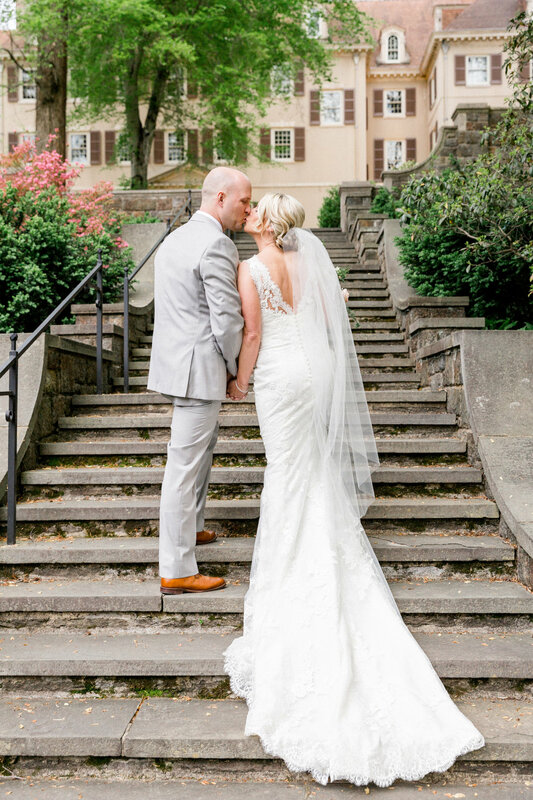 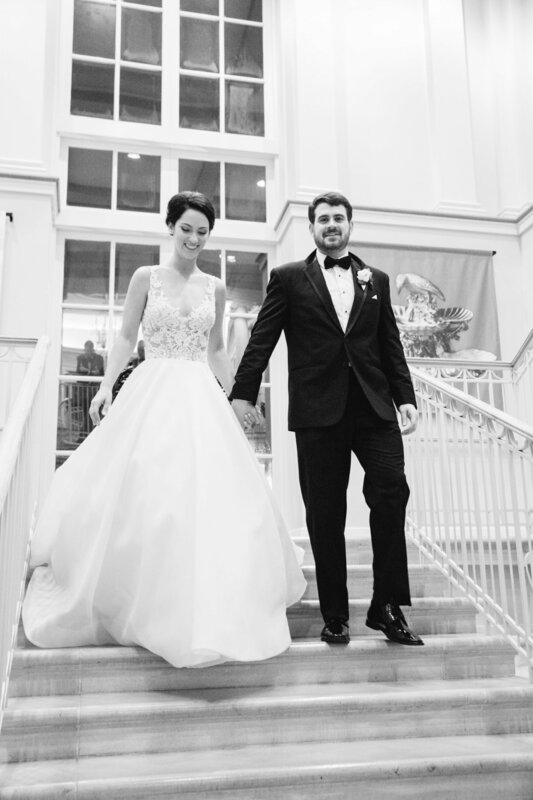 "[Amanda] handled every wrinkle with poise, and helped me to stay calm and collected and live my fantasy all day. 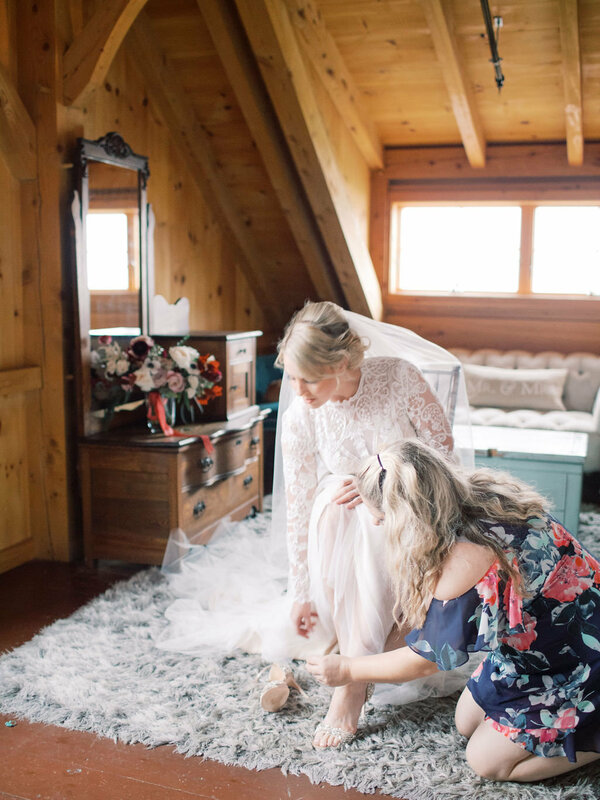 Everyone worked together to make every detail special. 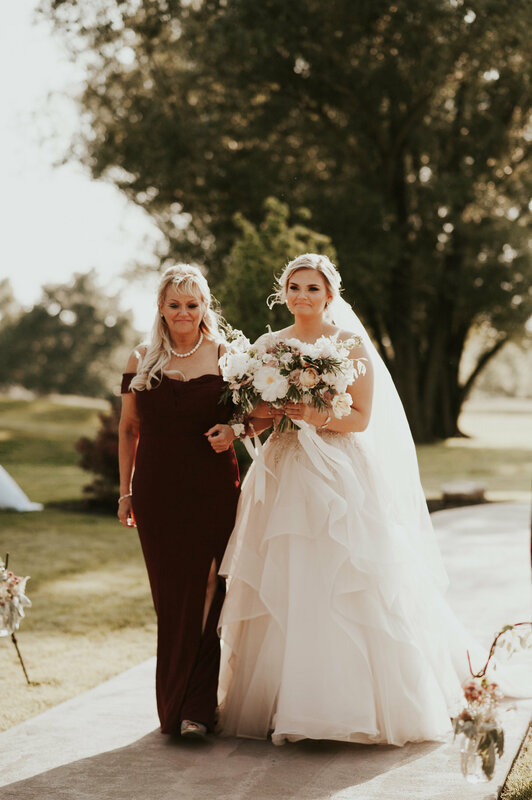 I cannot thank you enough for everything you did and helping me make decisions. 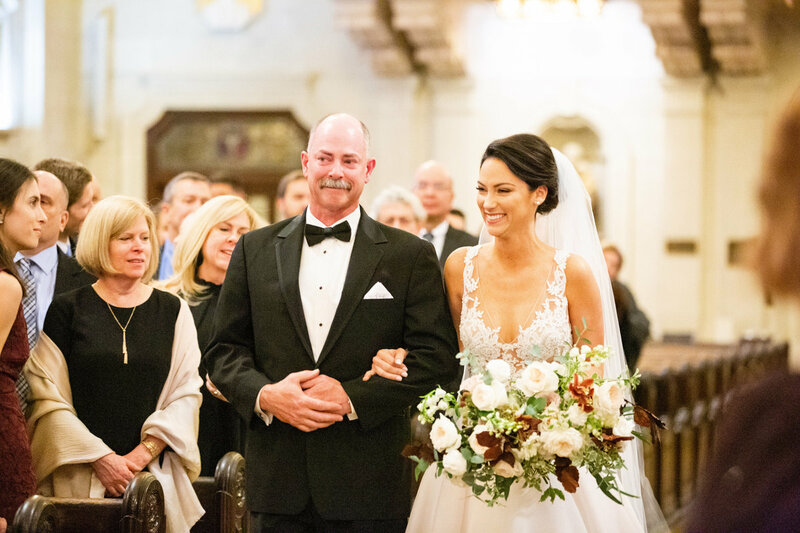 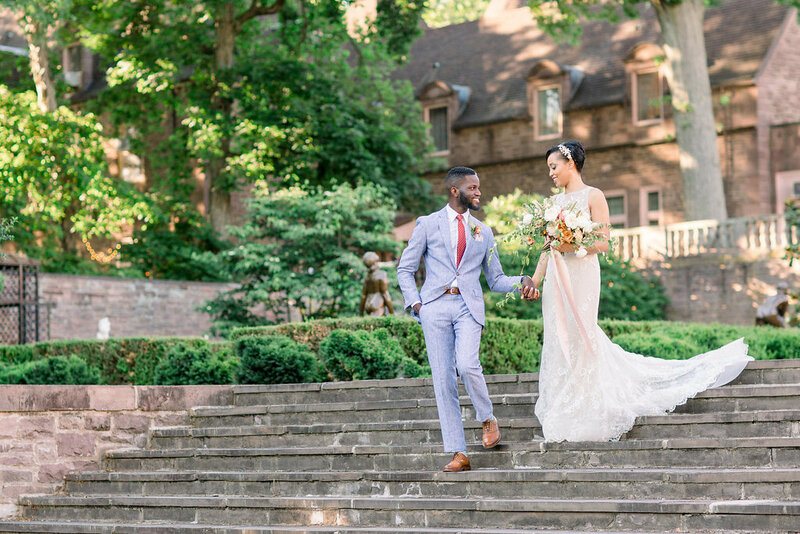 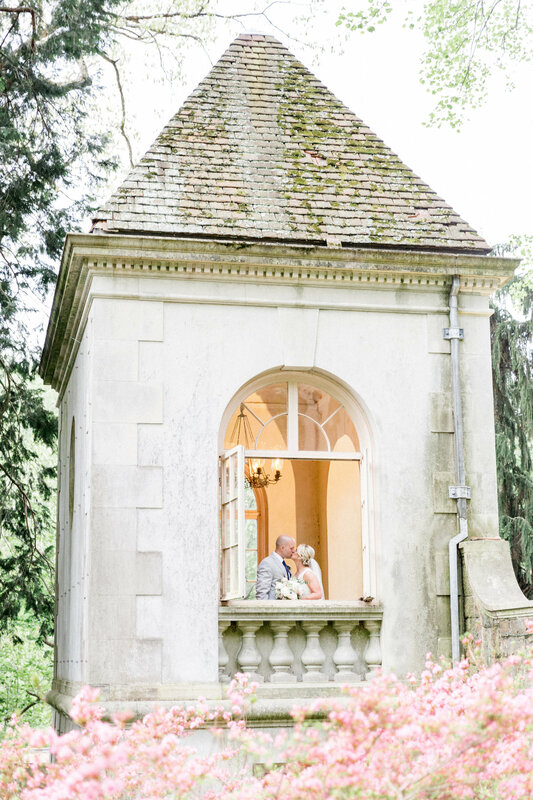 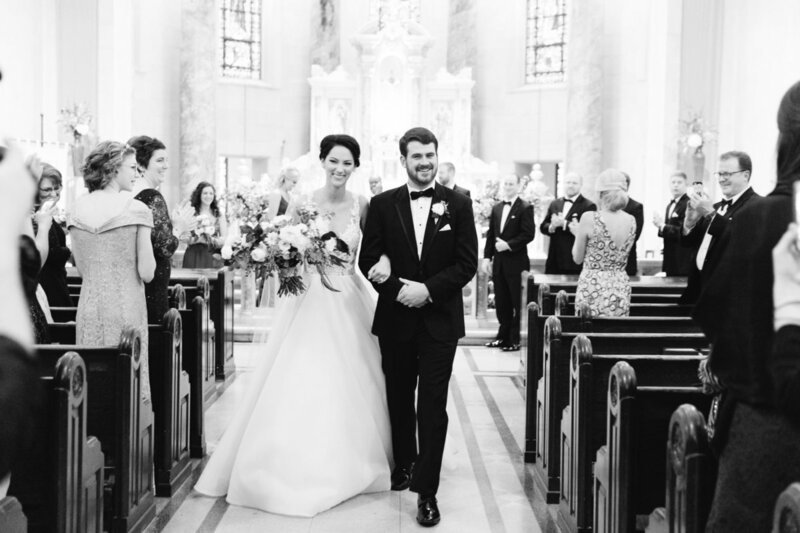 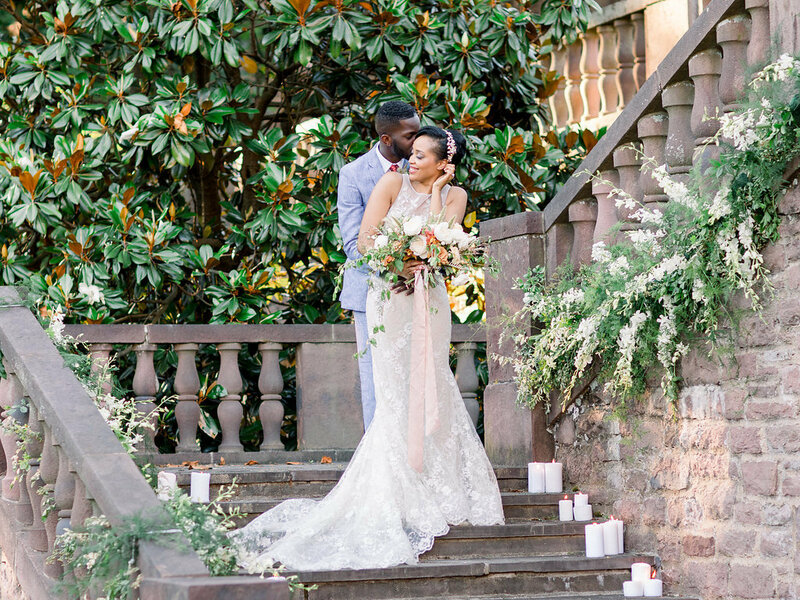 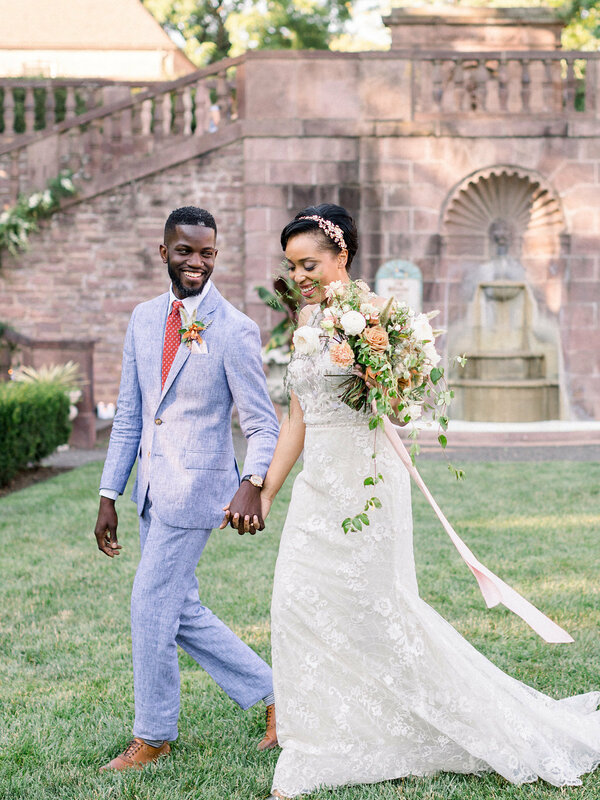 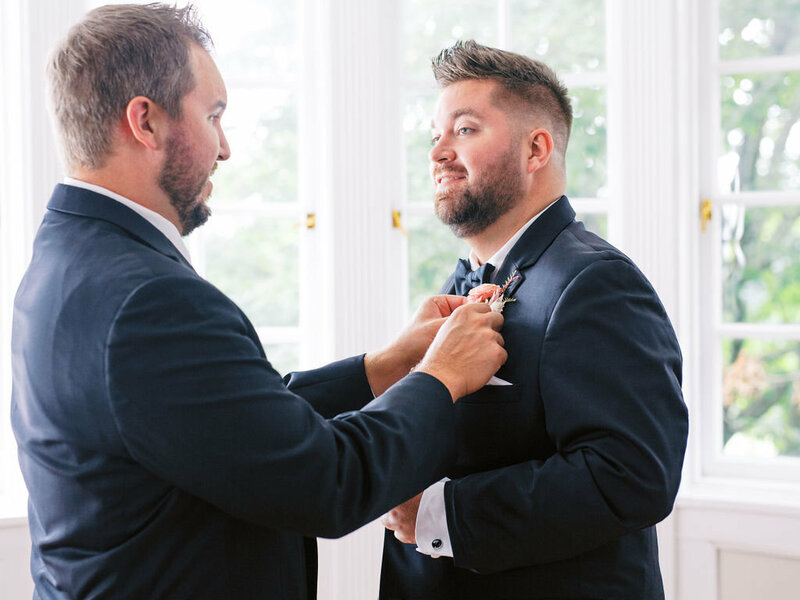 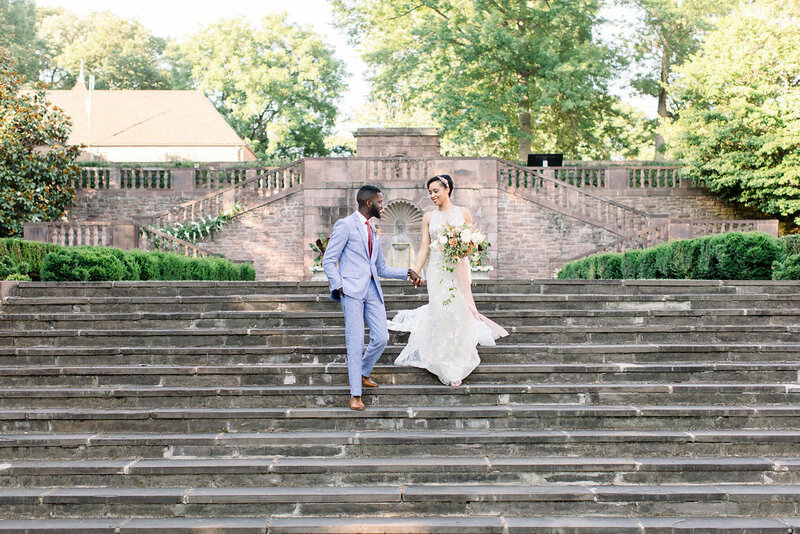 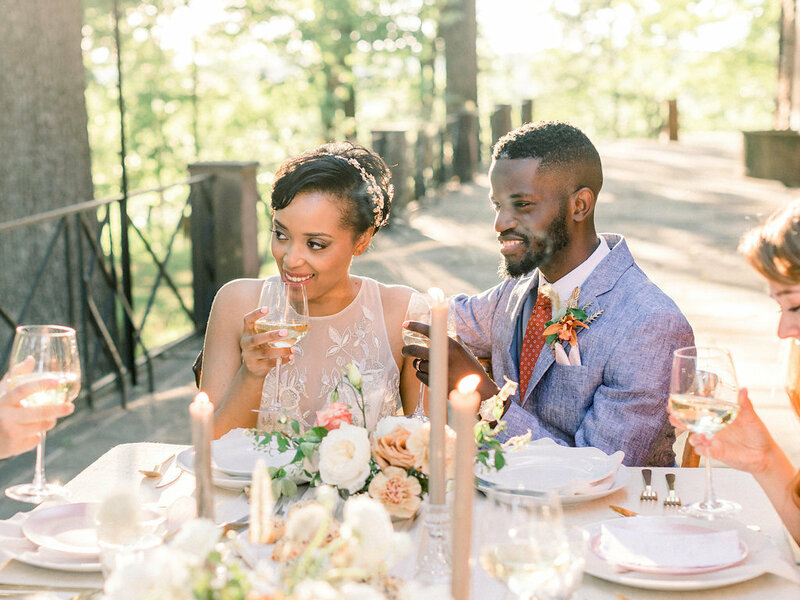 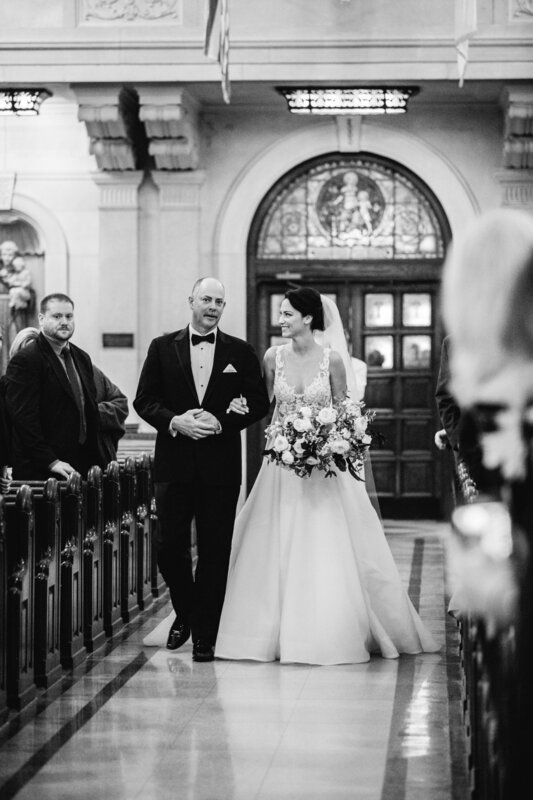 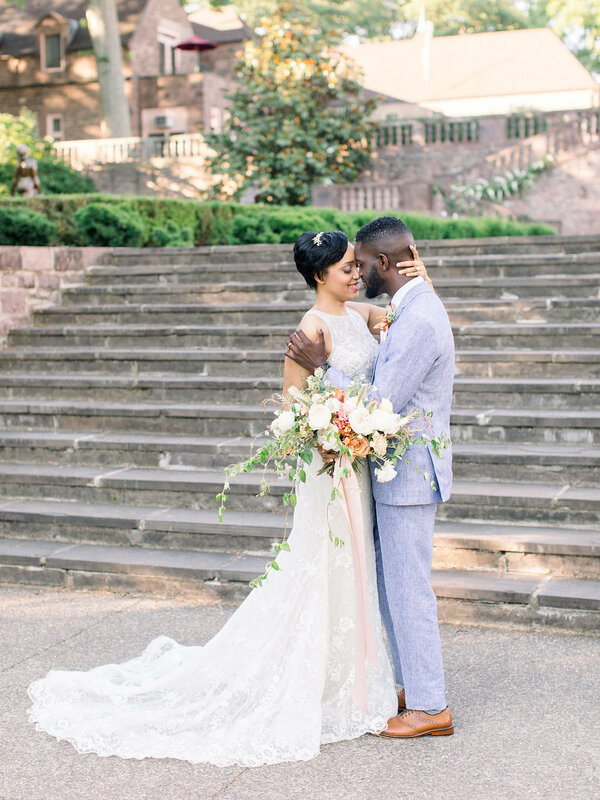 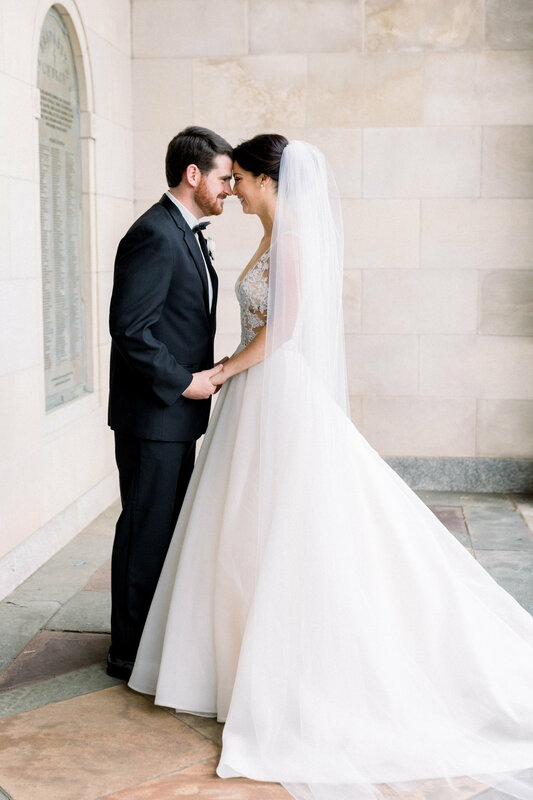 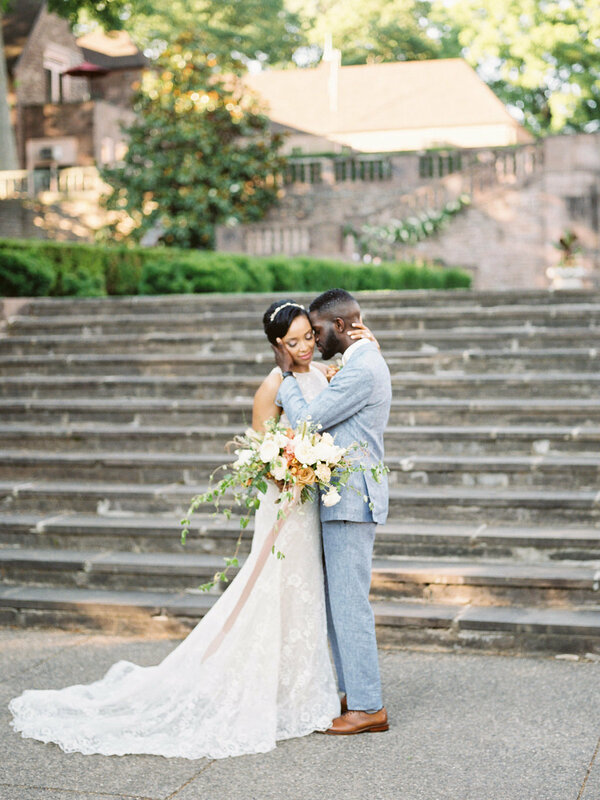 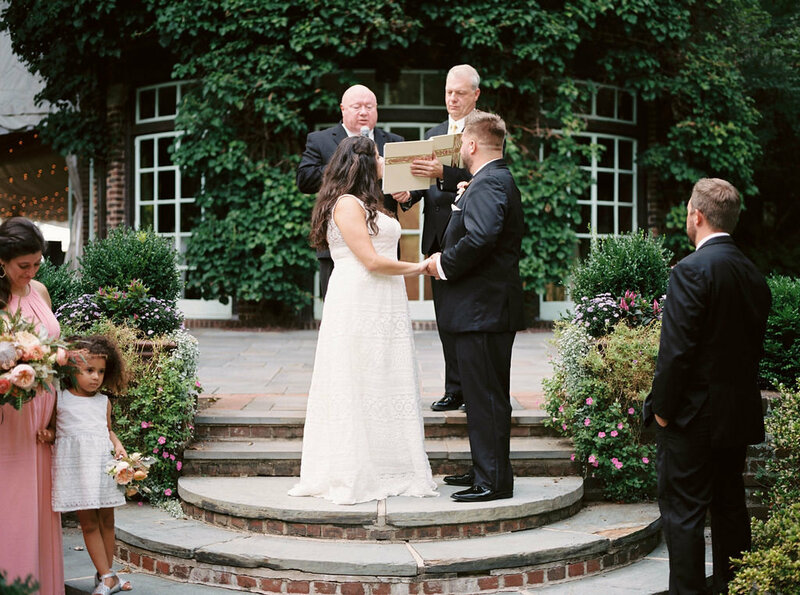 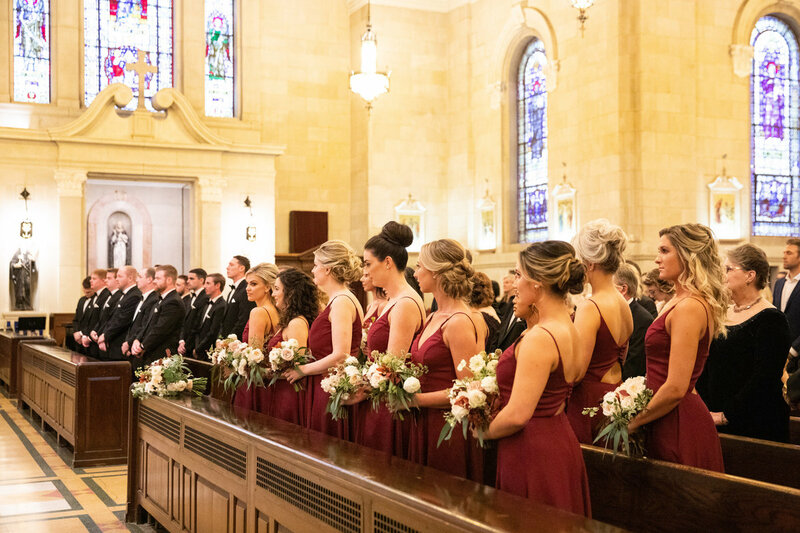 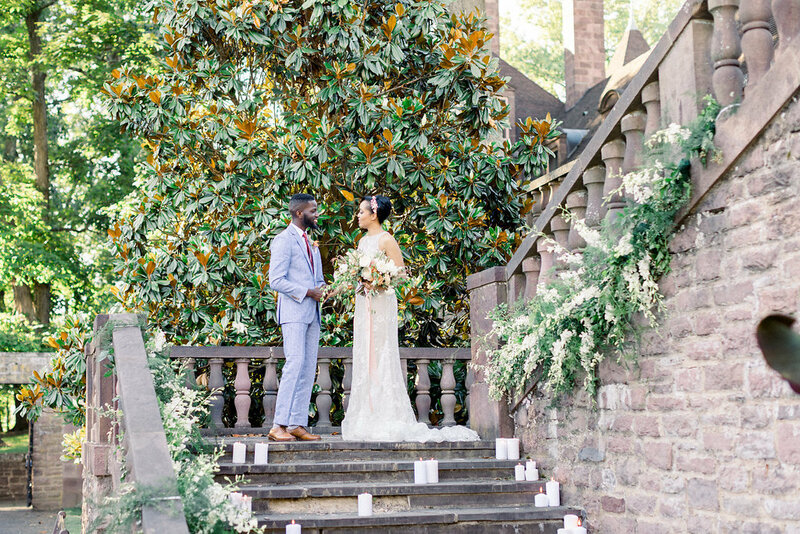 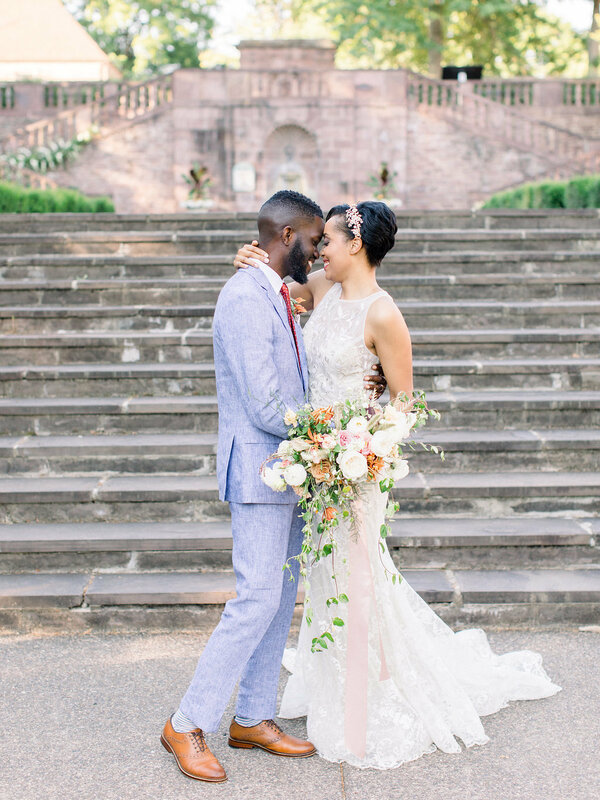 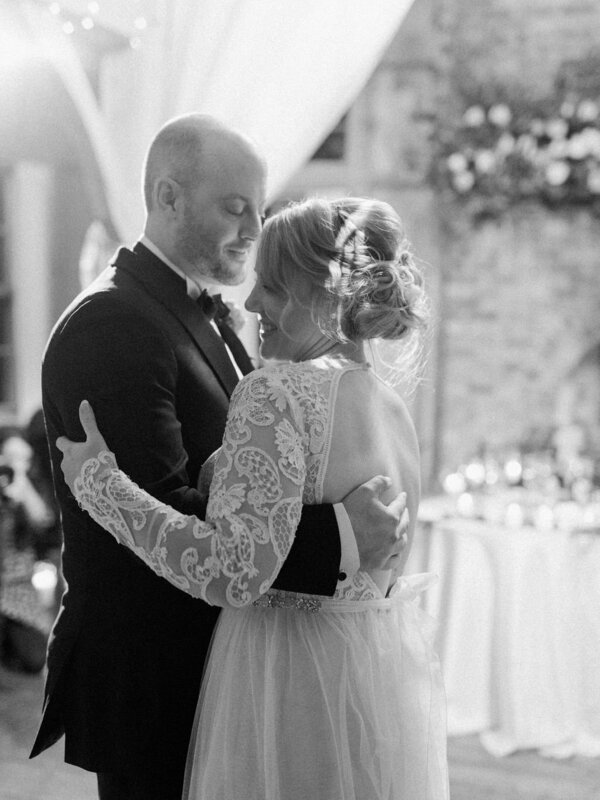 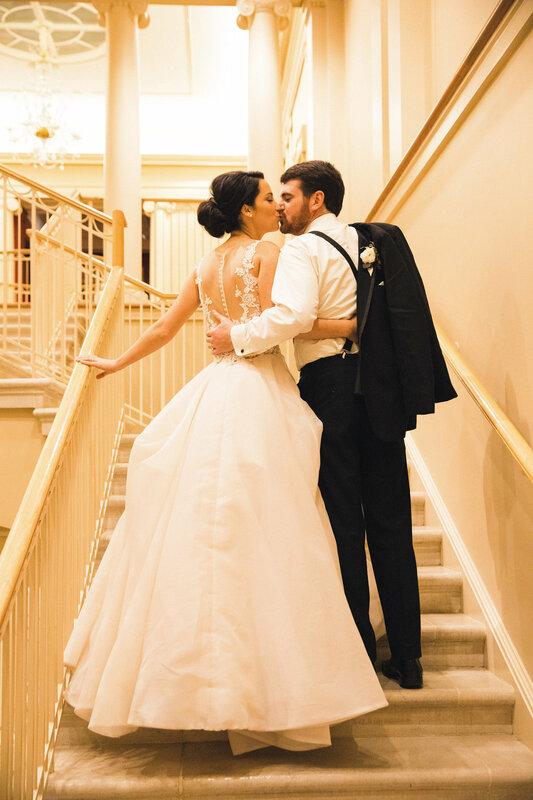 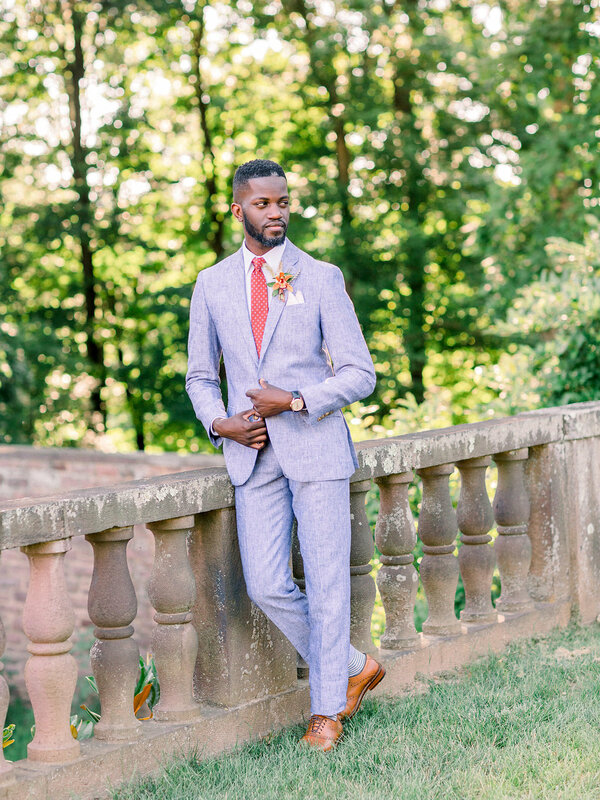 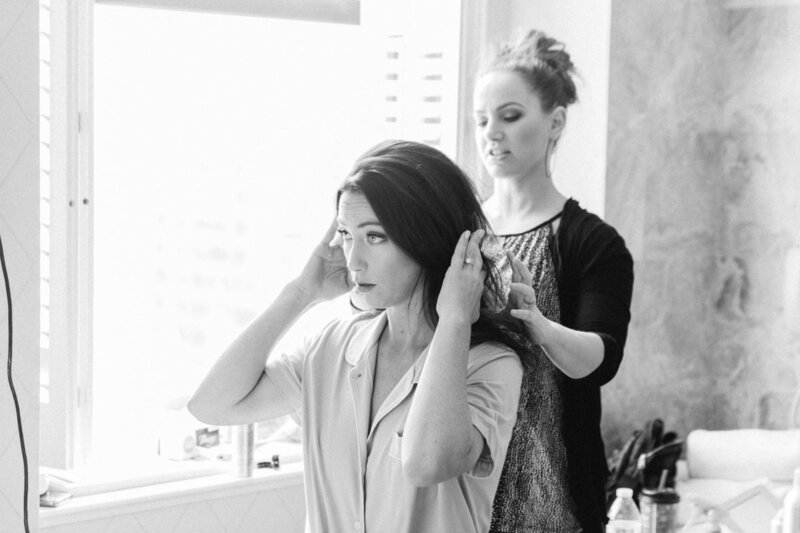 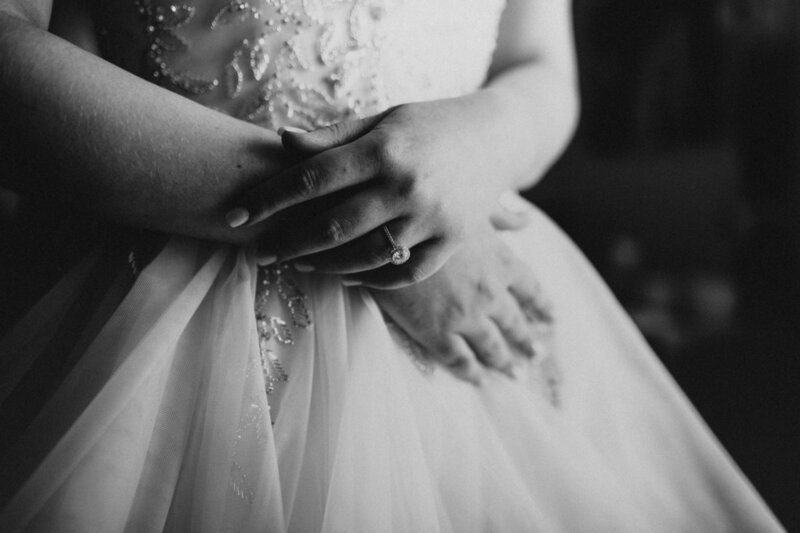 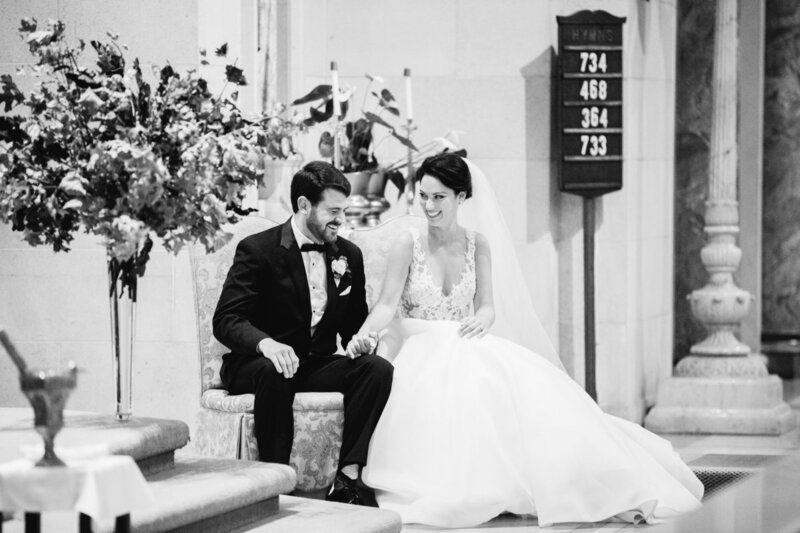 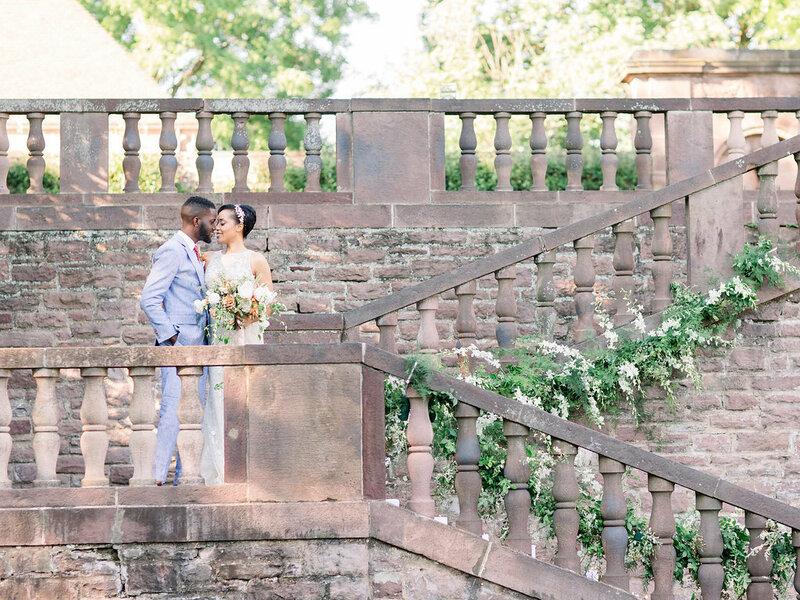 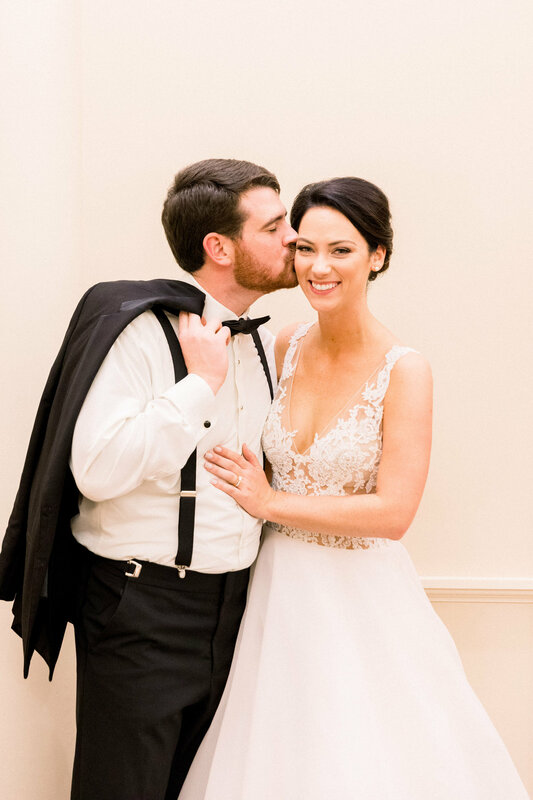 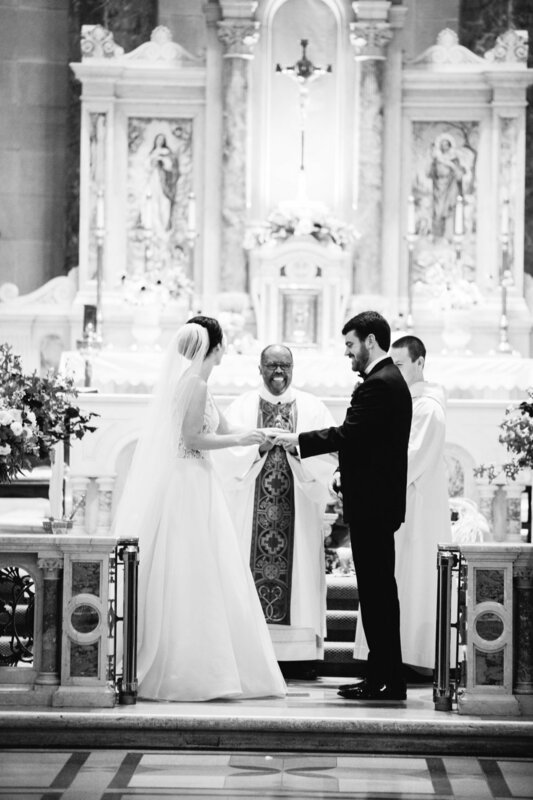 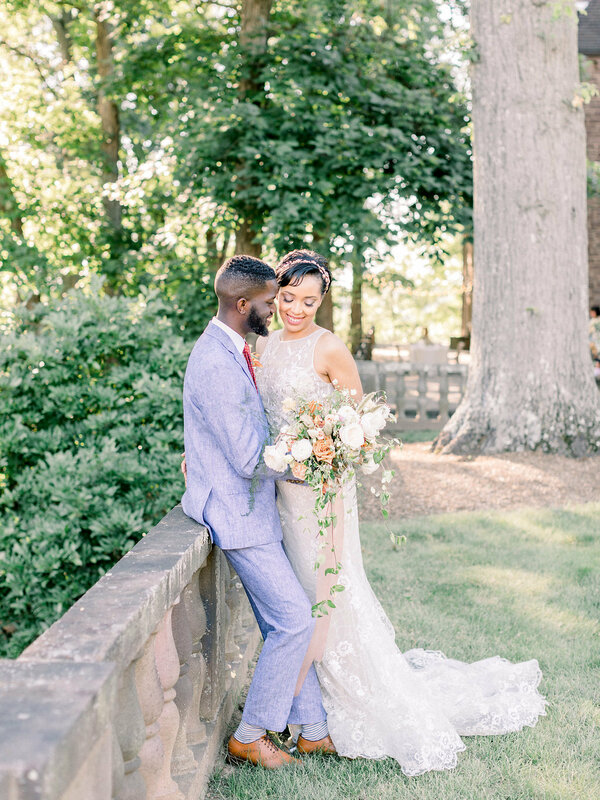 I felt like an absolute queen on our wedding day, everything was absolutely perfect." 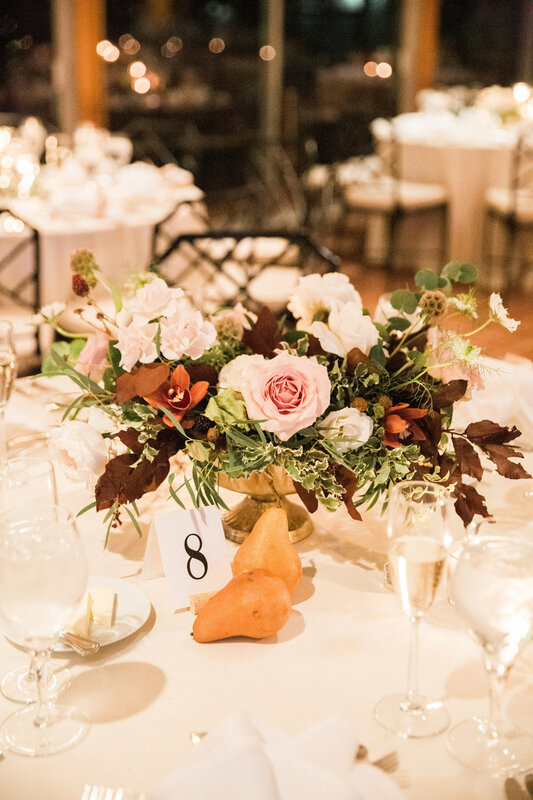 Between bouquets, centerpieces, and those wow moment floral installations every single wedding is unique. 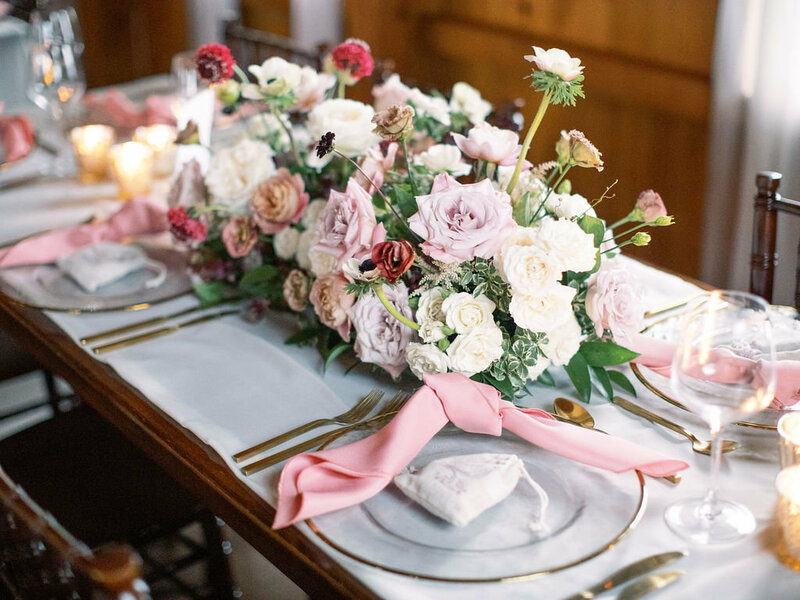 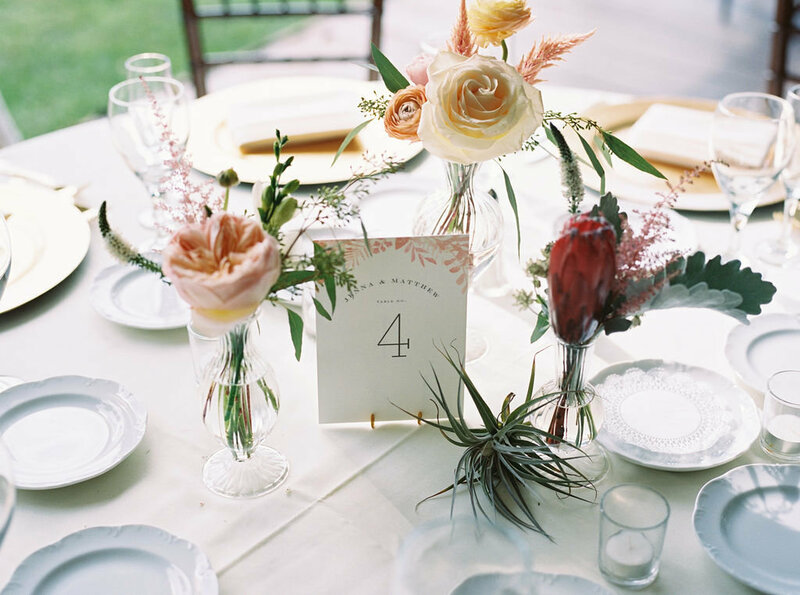 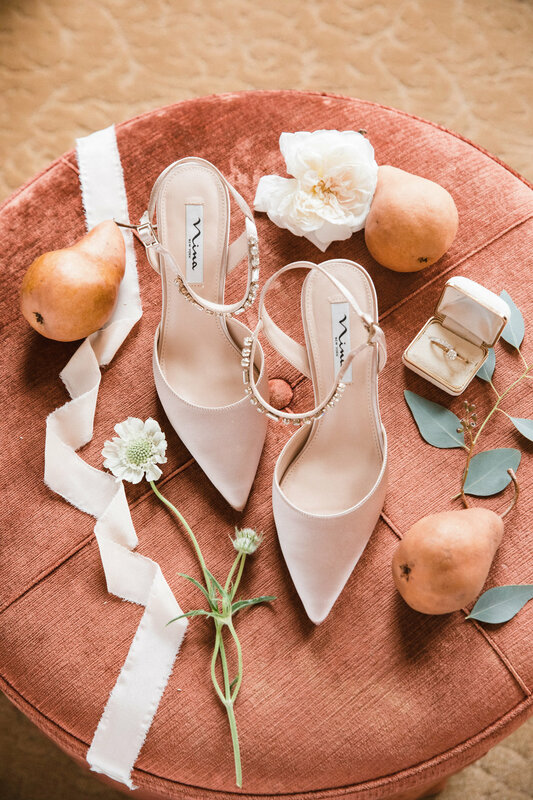 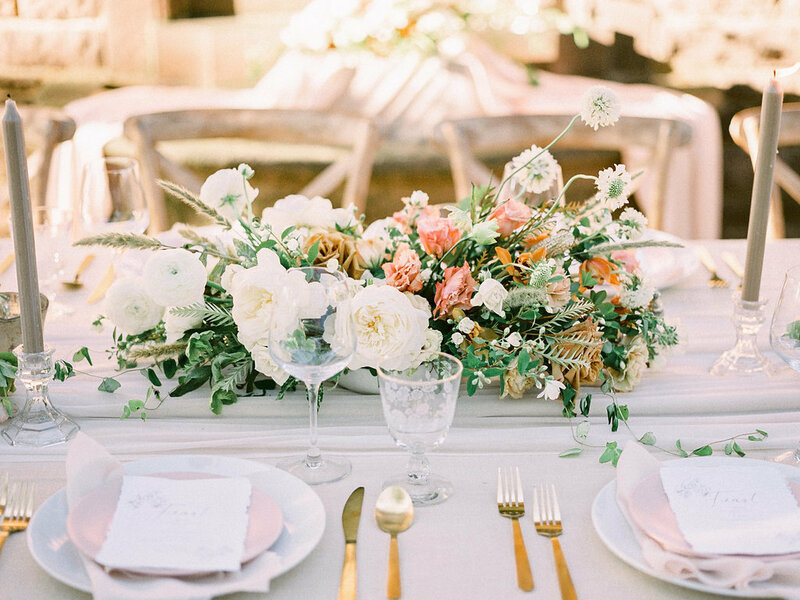 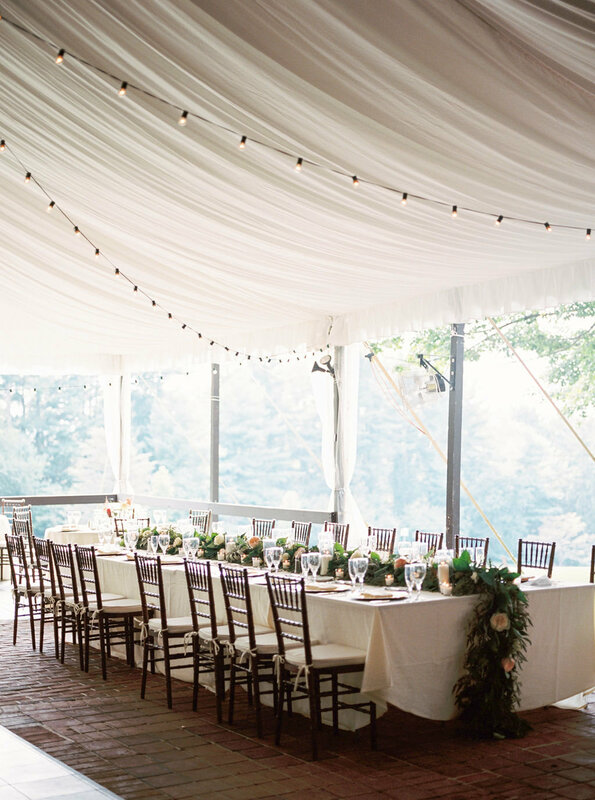 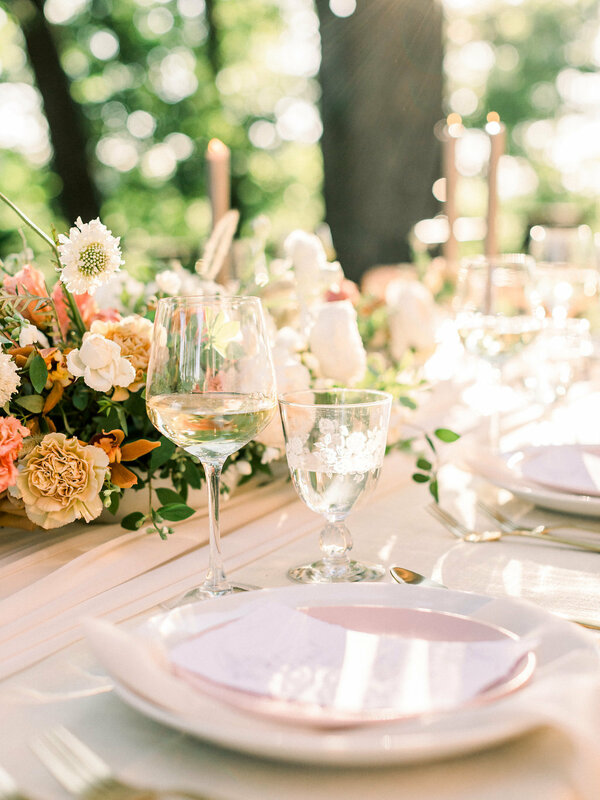 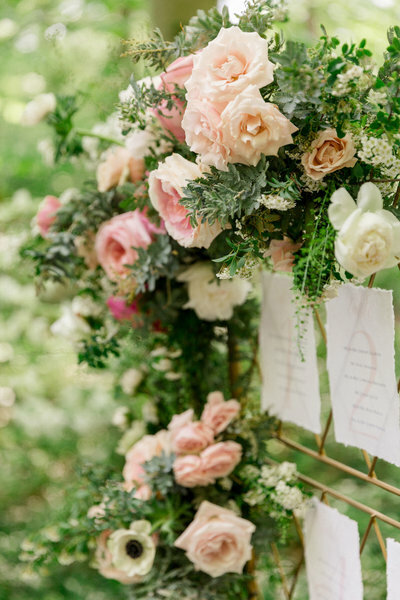 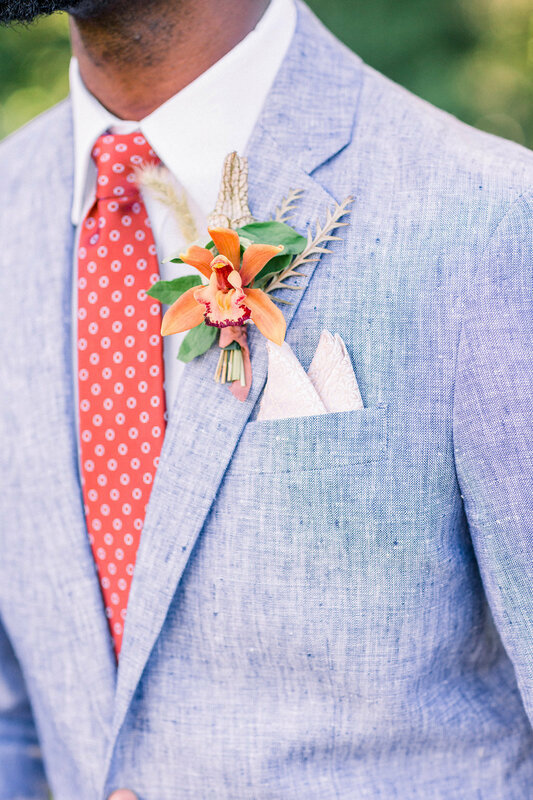 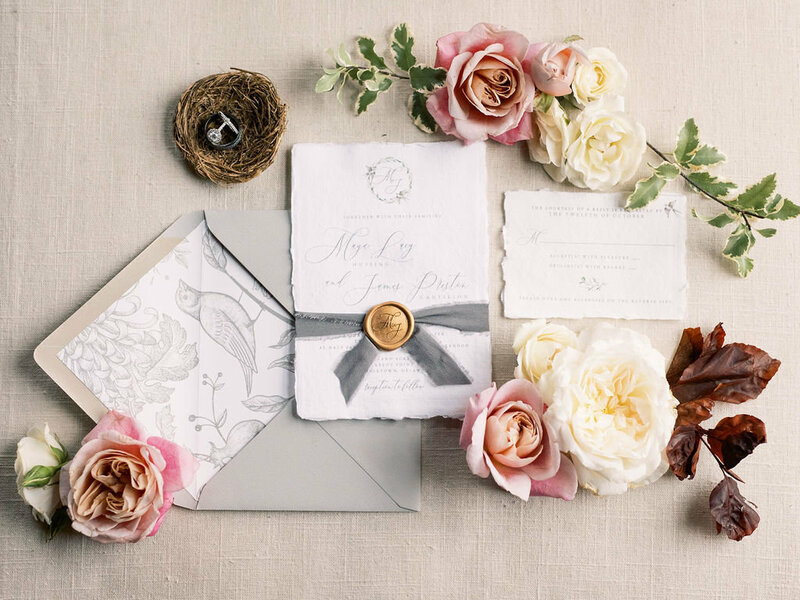 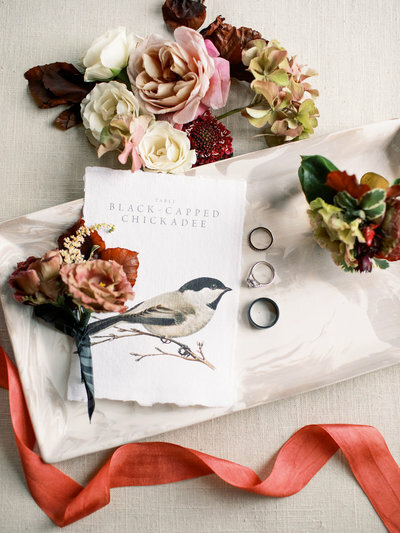 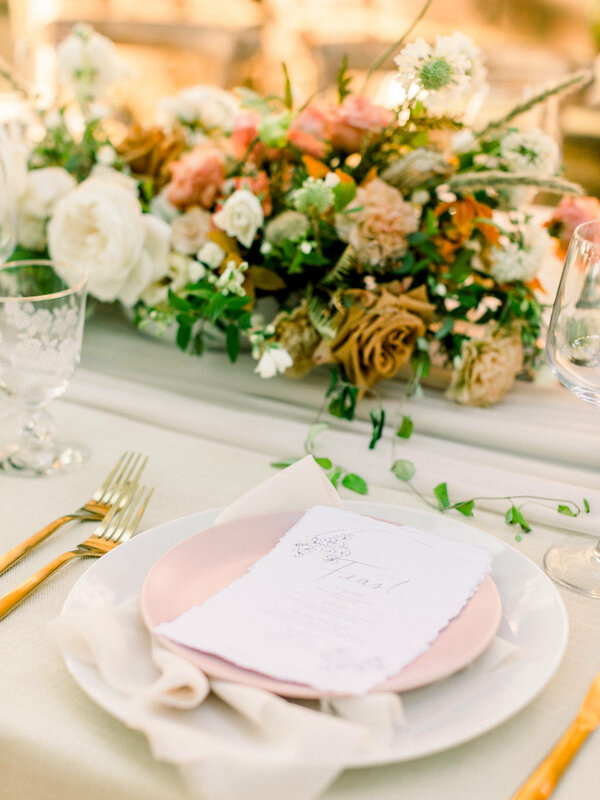 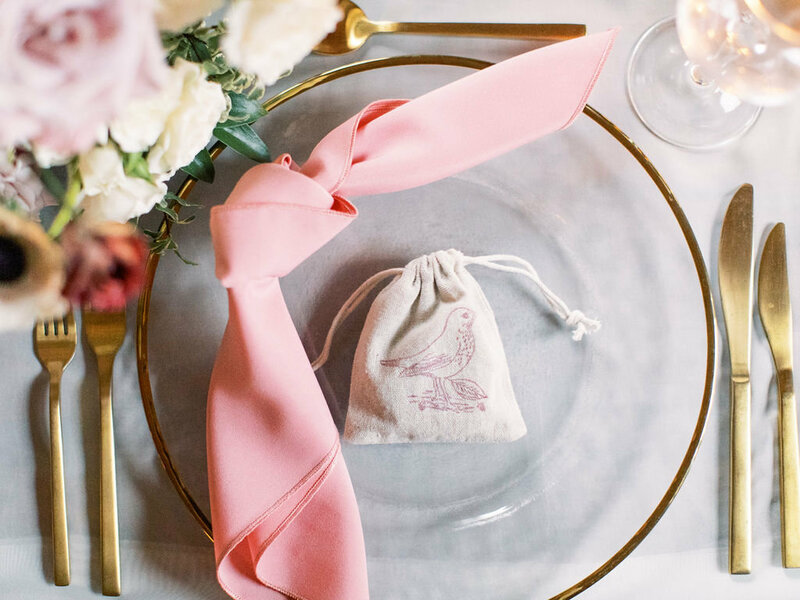 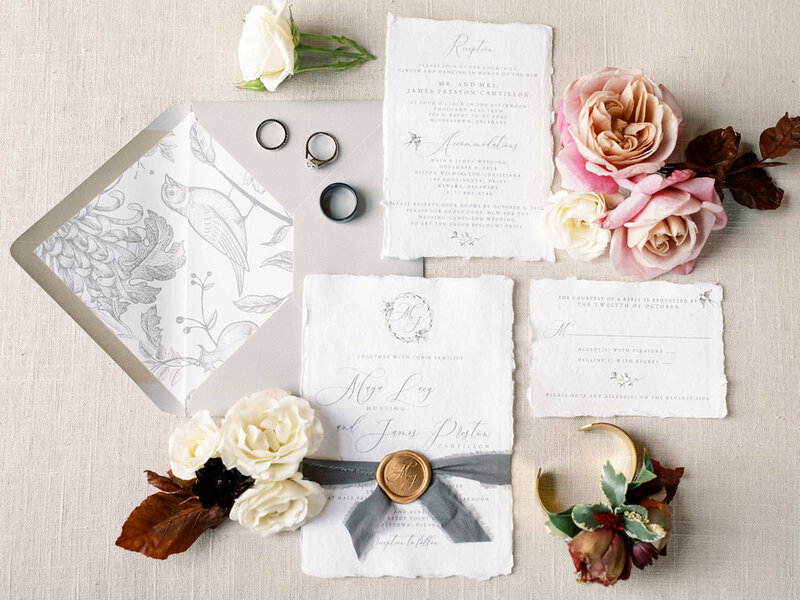 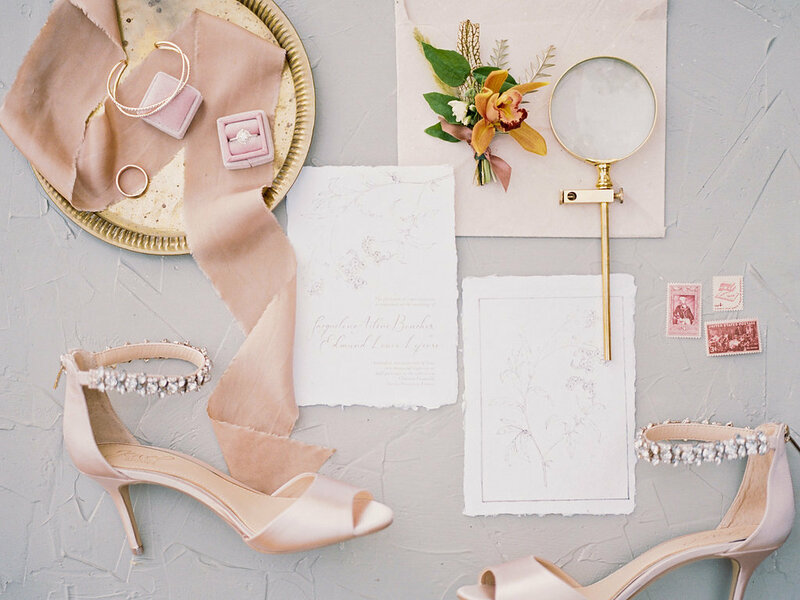 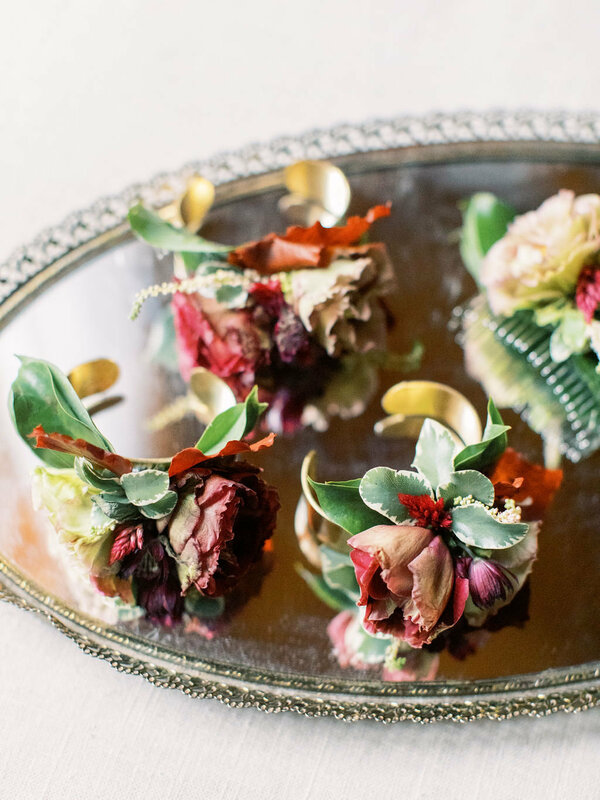 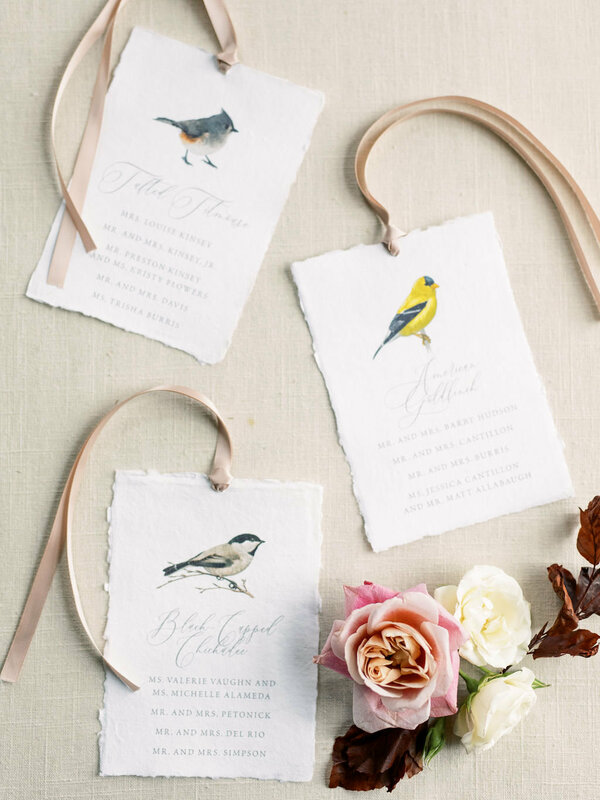 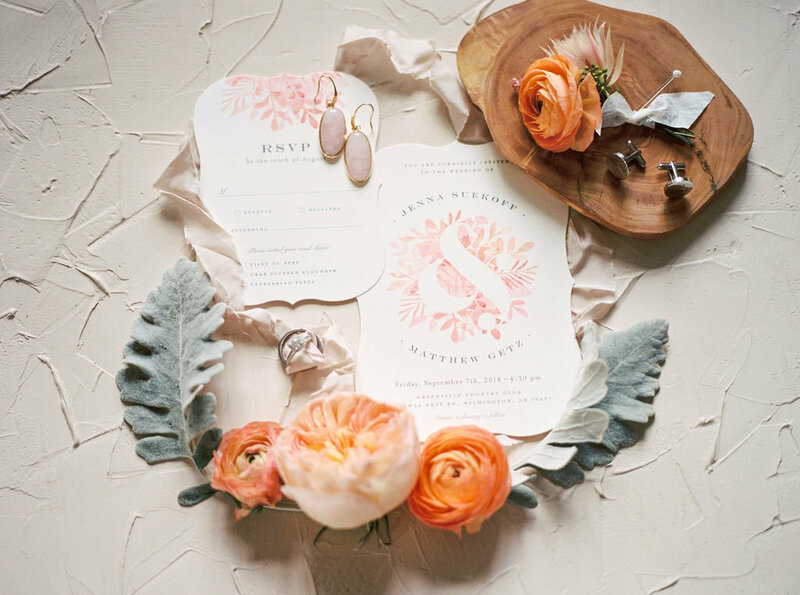 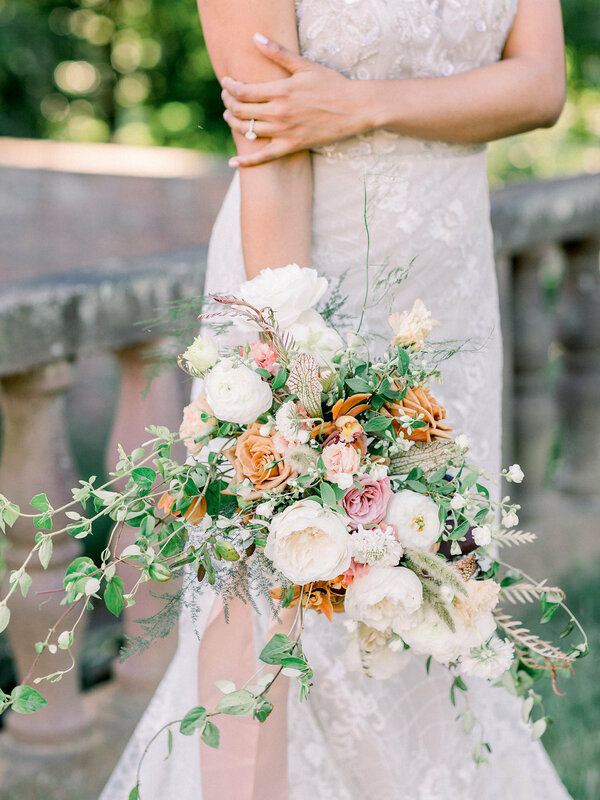 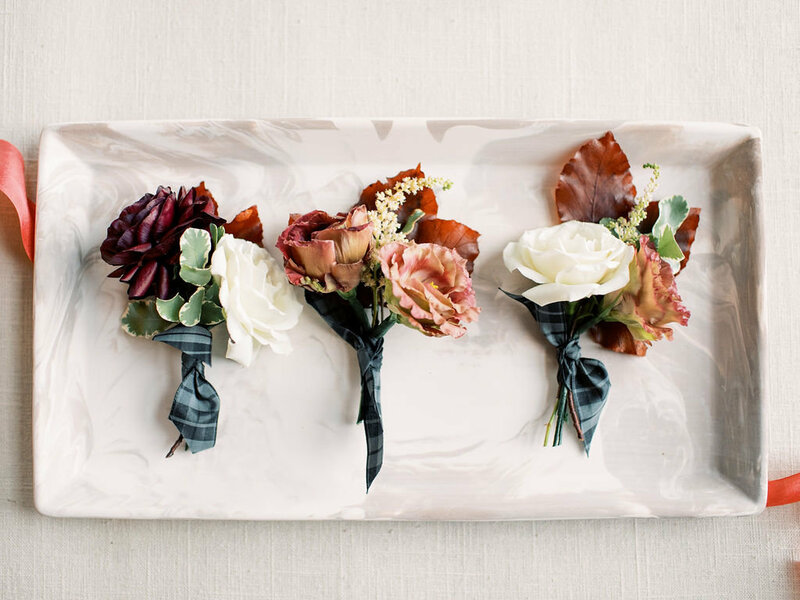 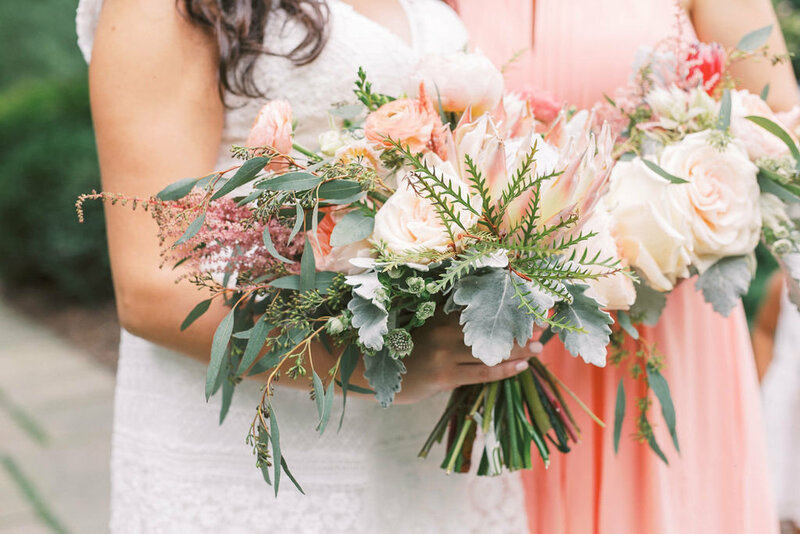 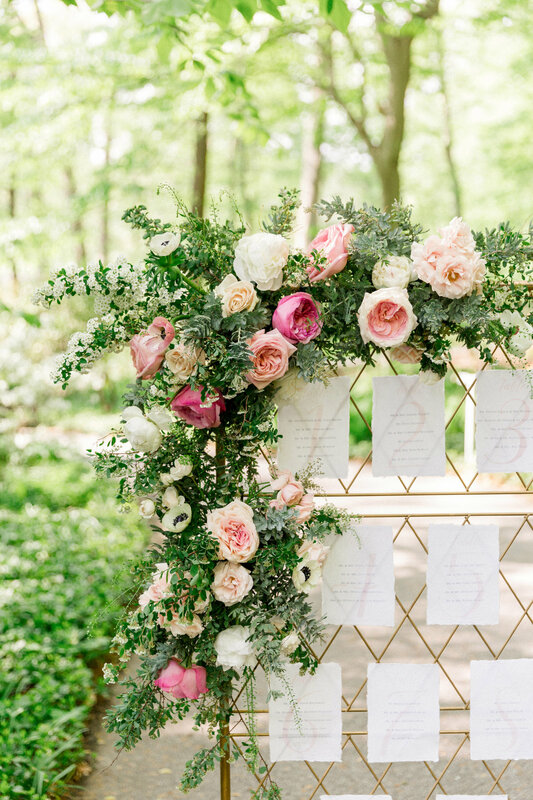 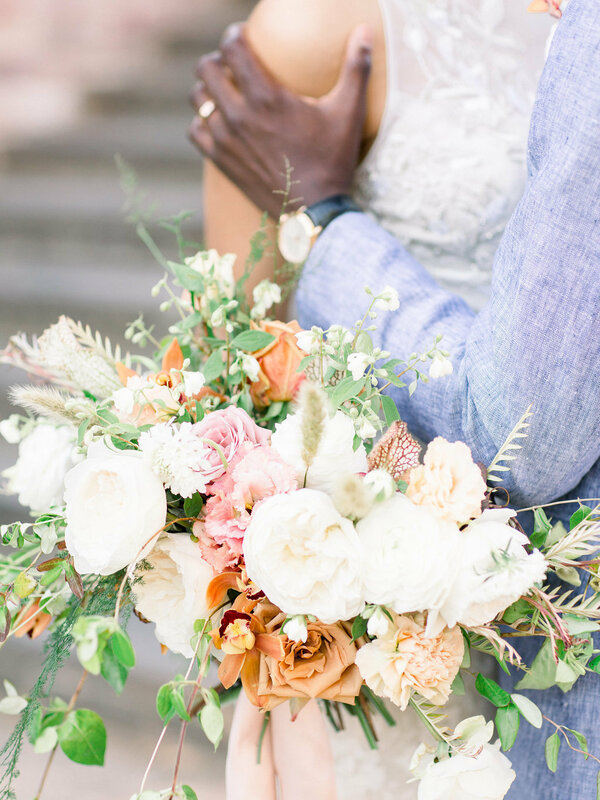 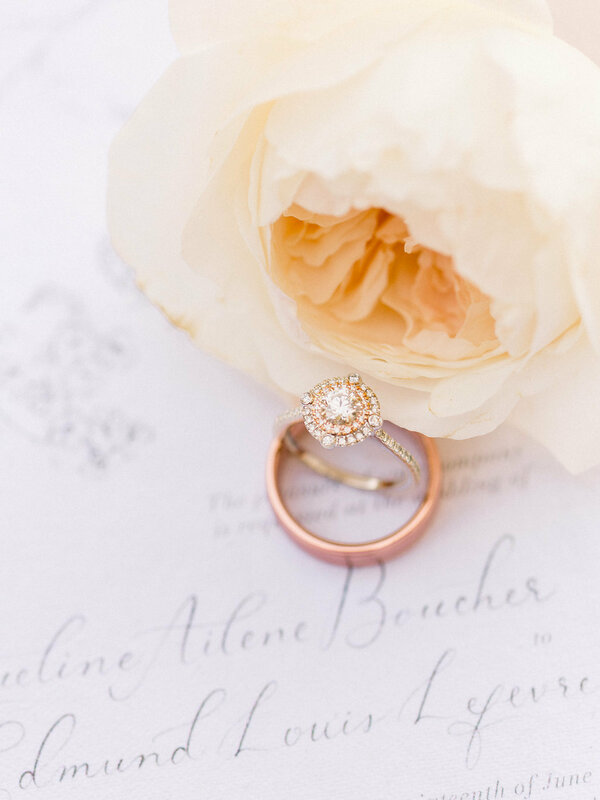 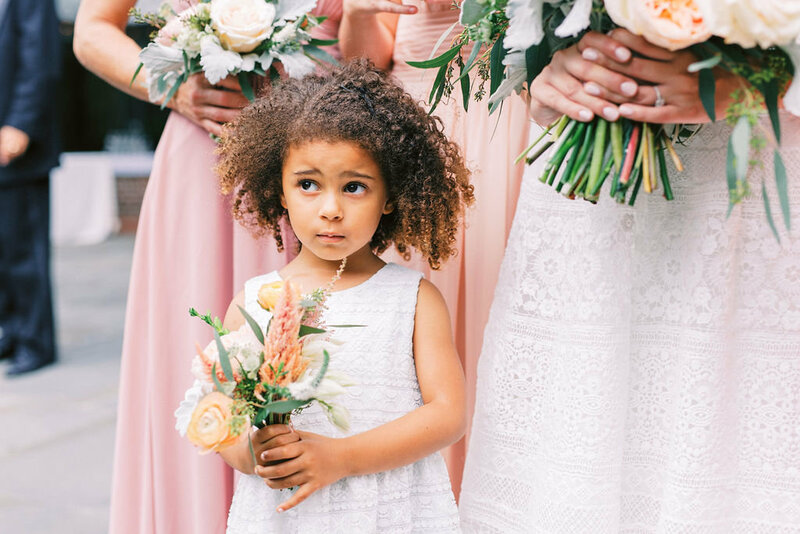 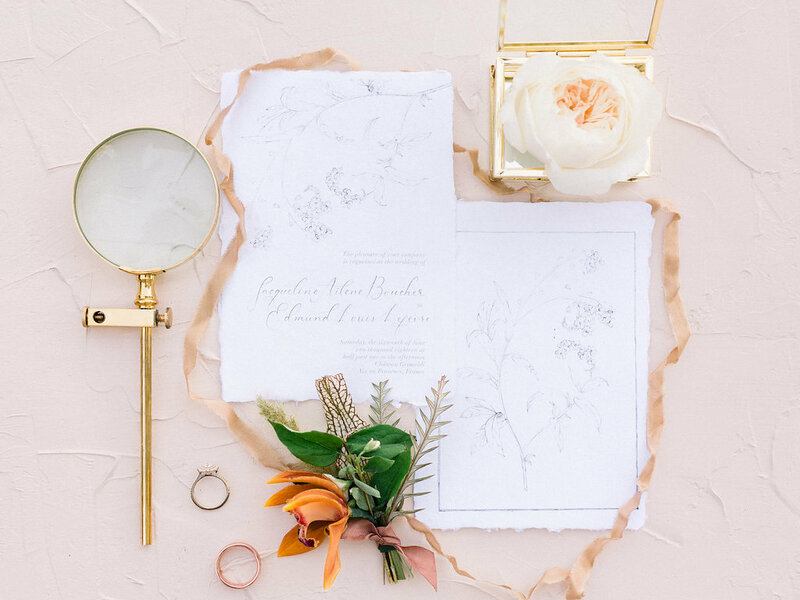 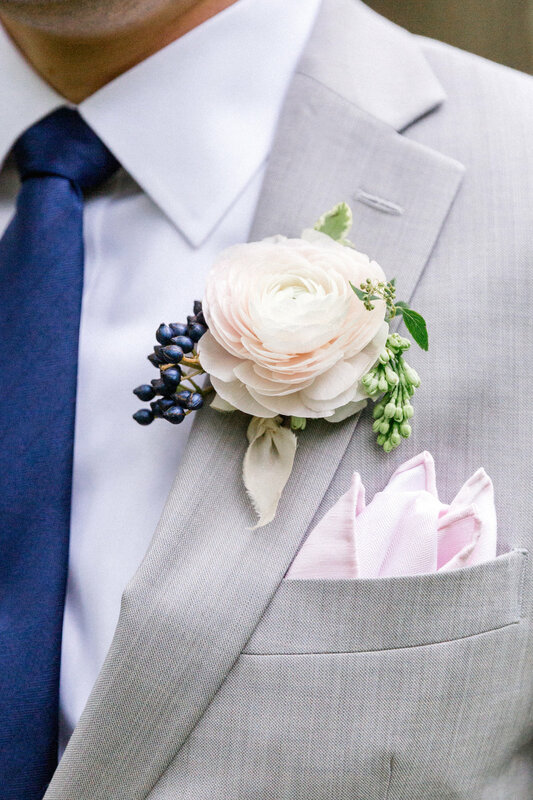 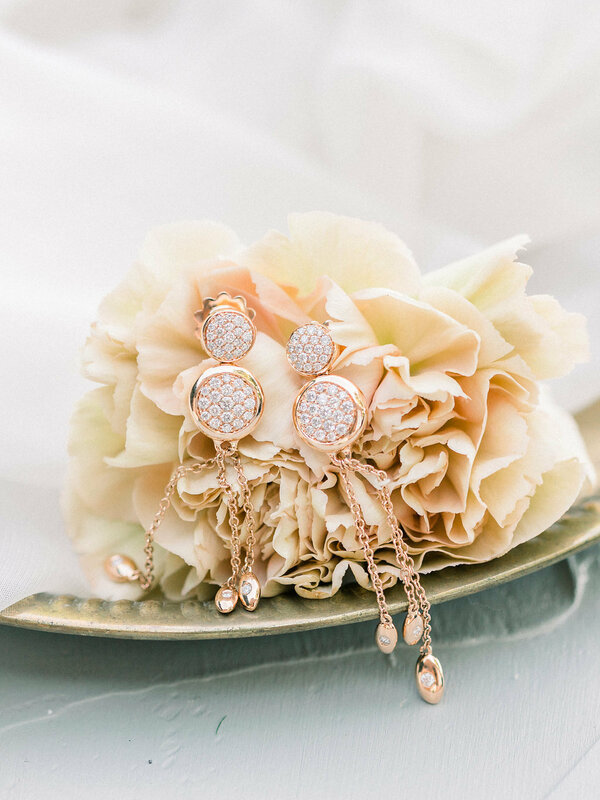 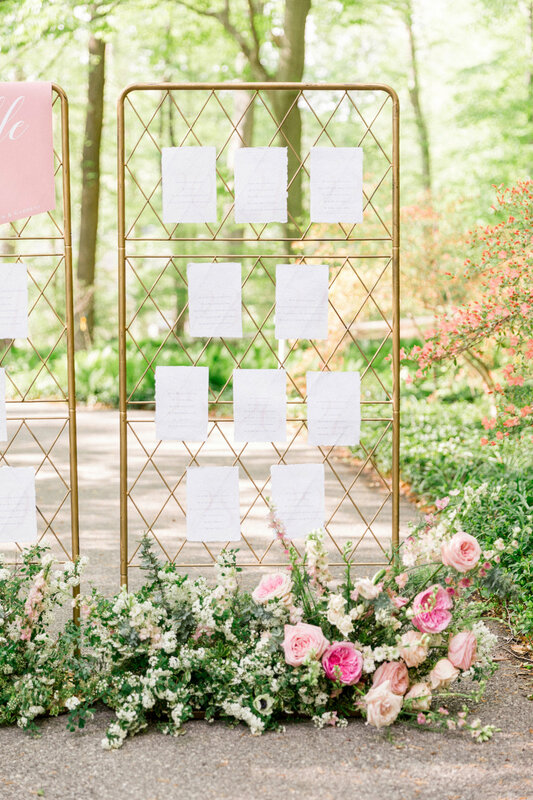 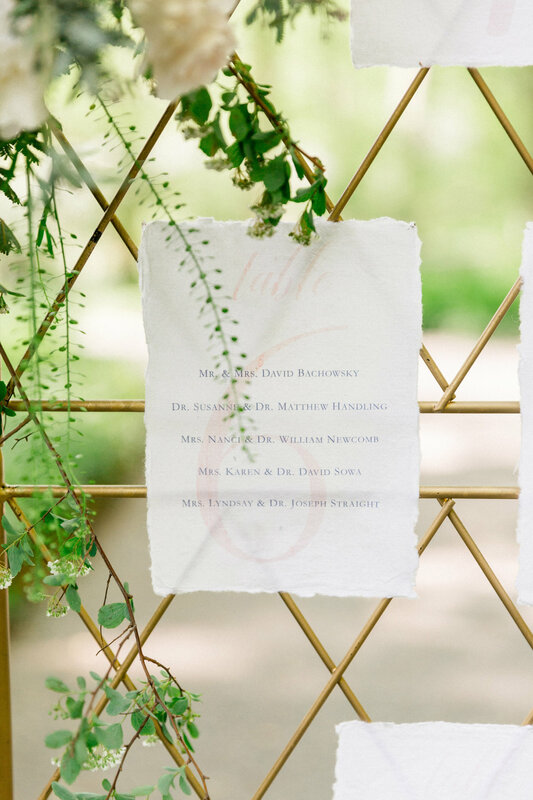 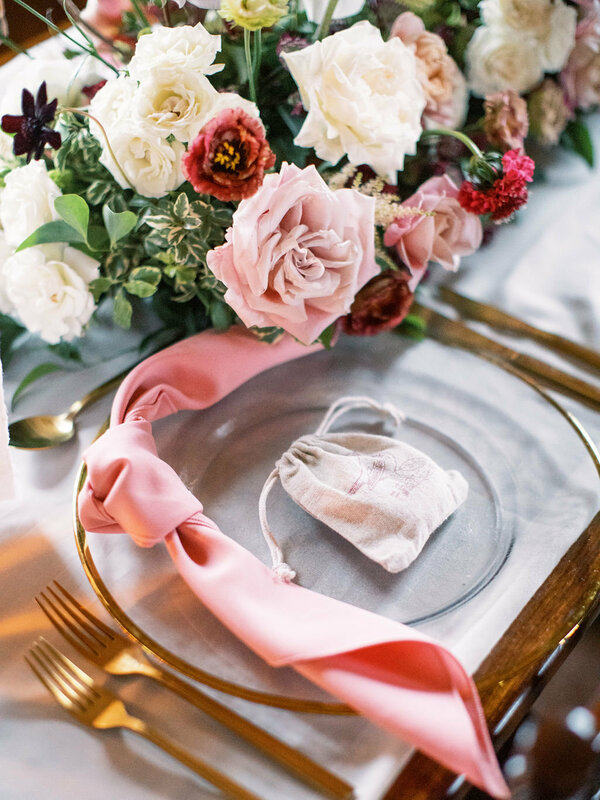 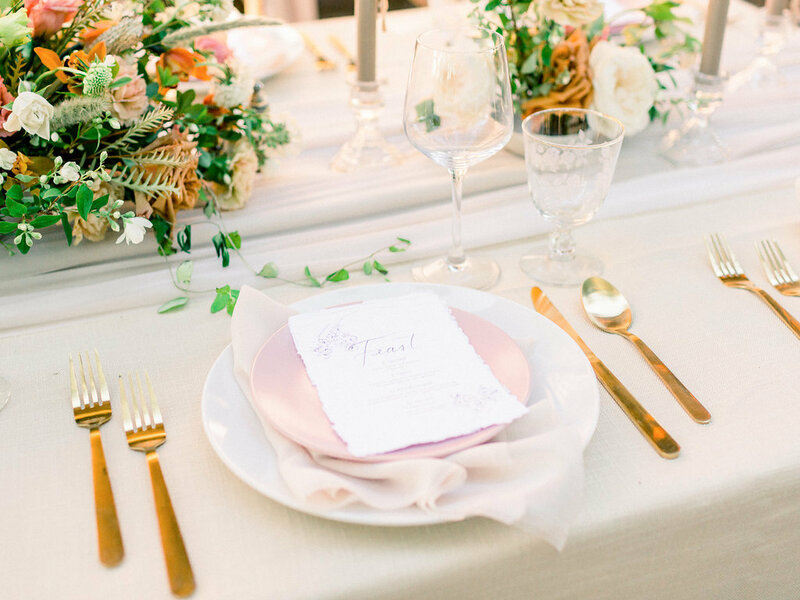 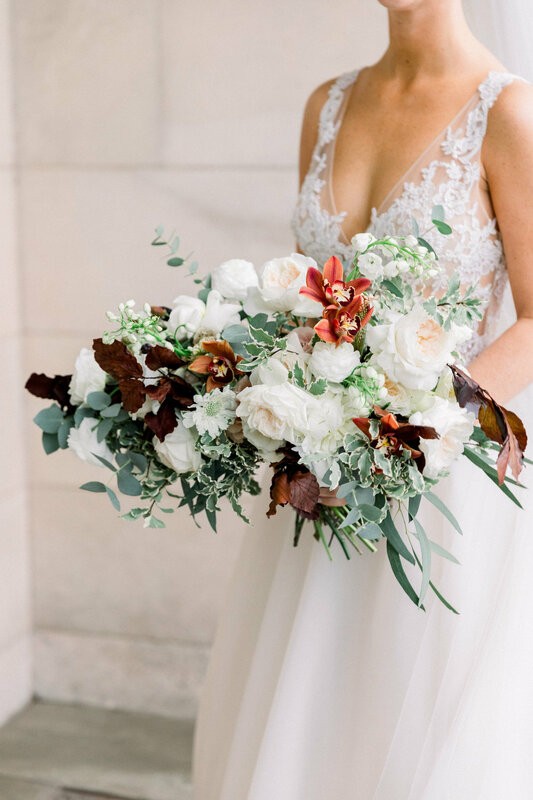 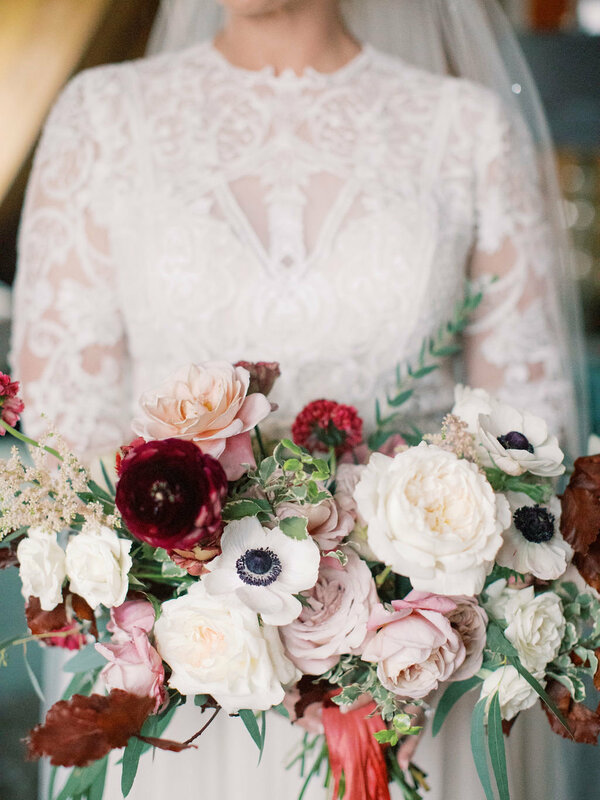 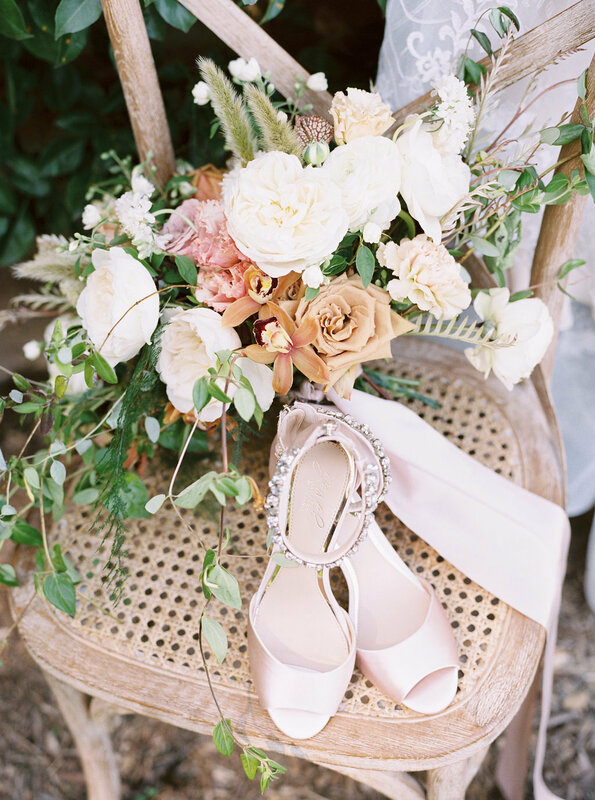 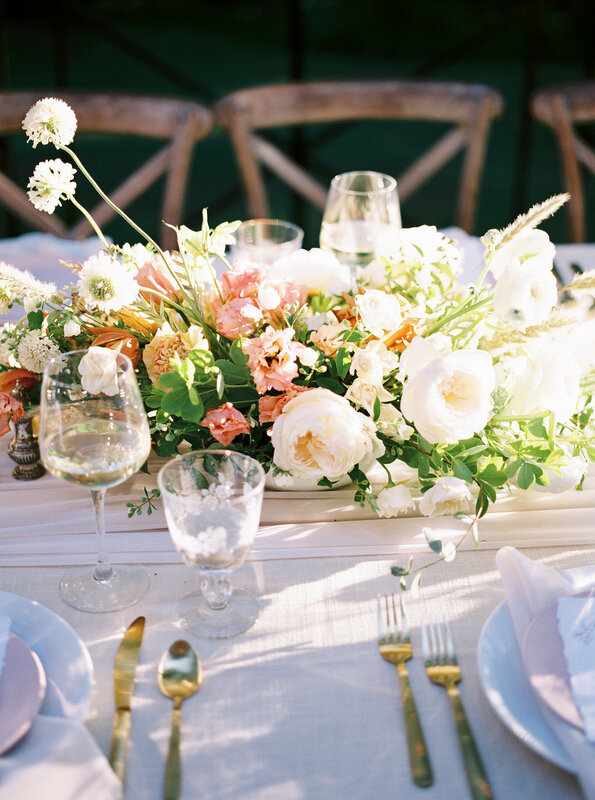 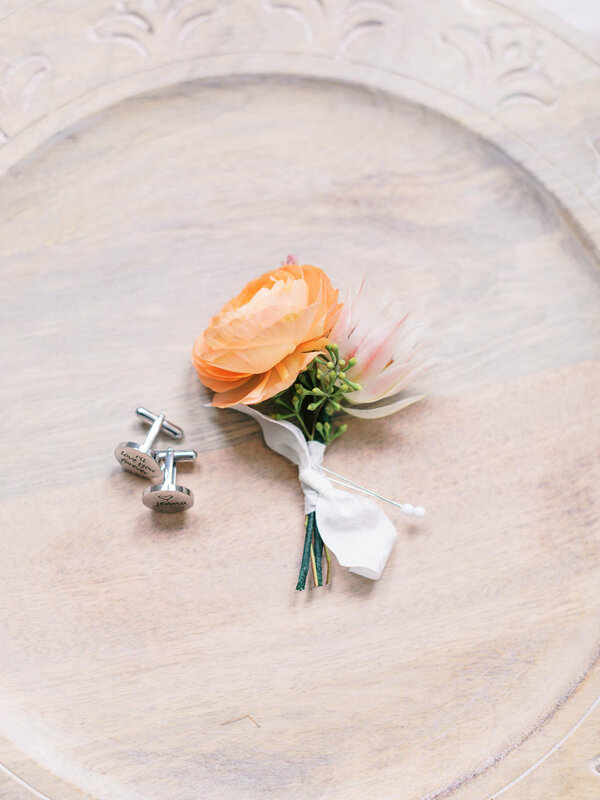 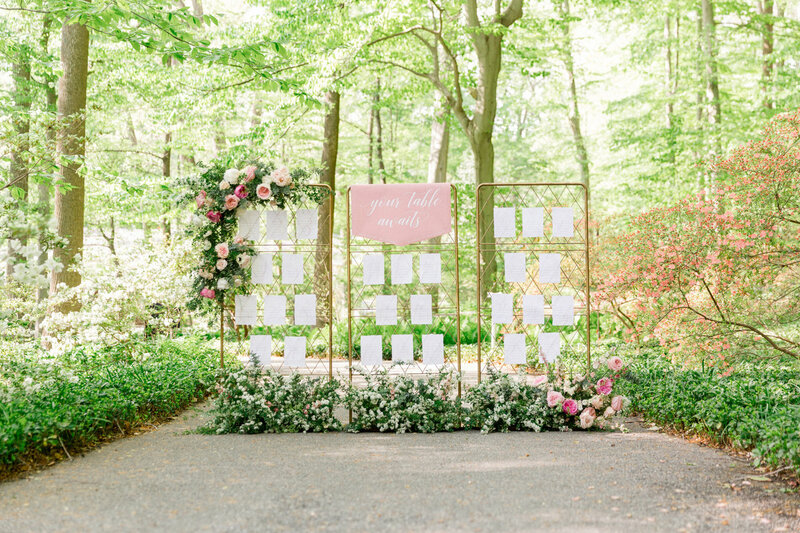 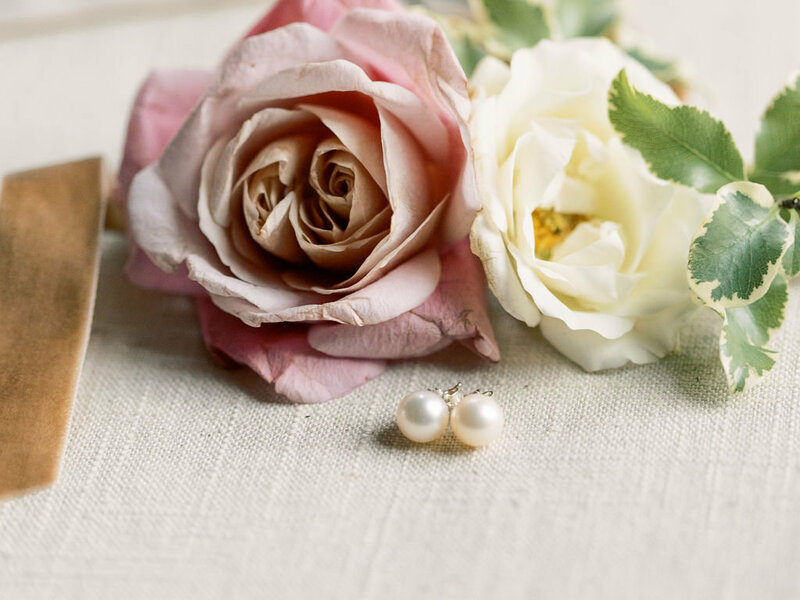 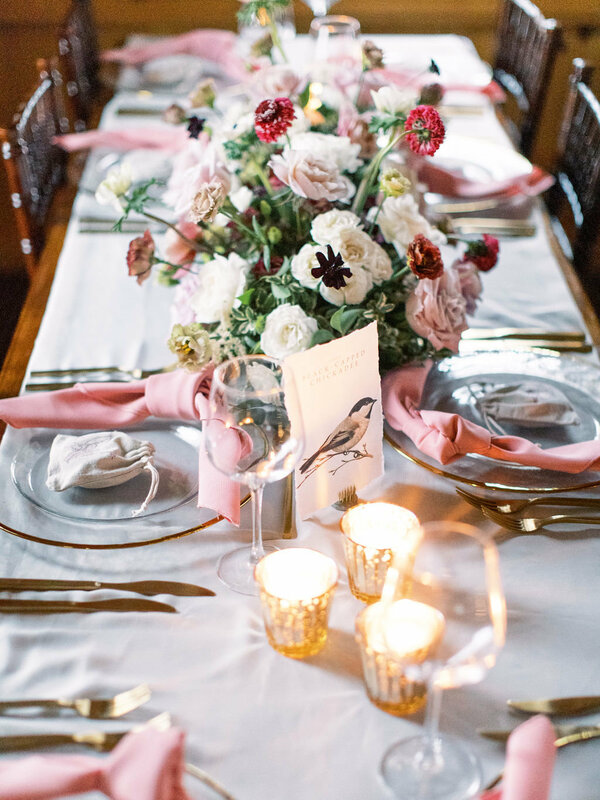 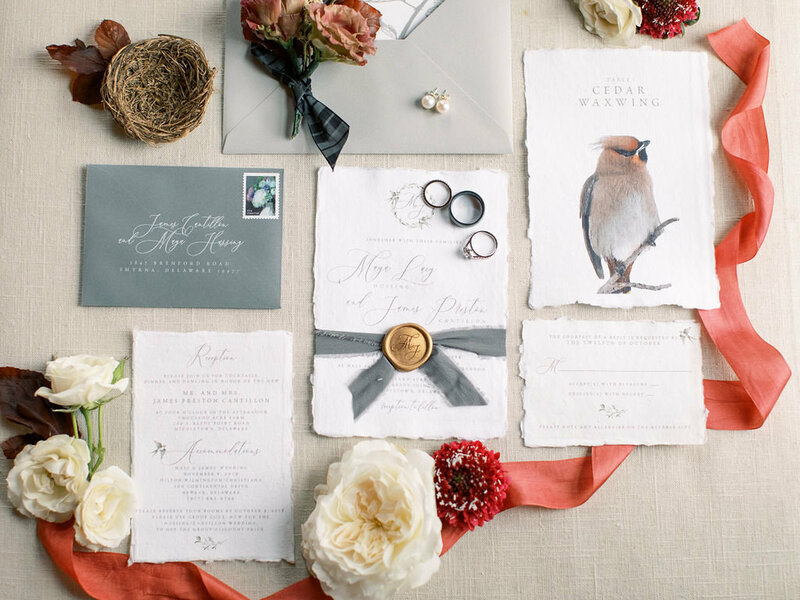 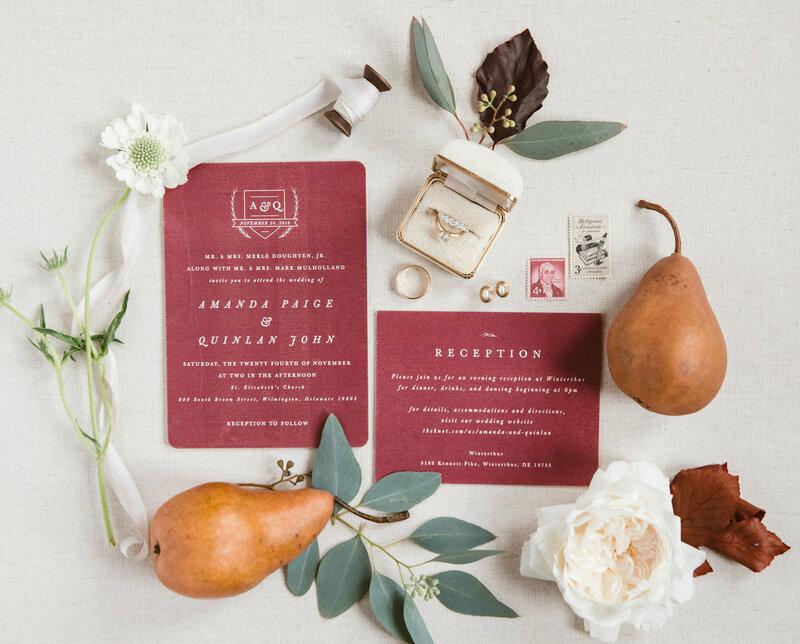 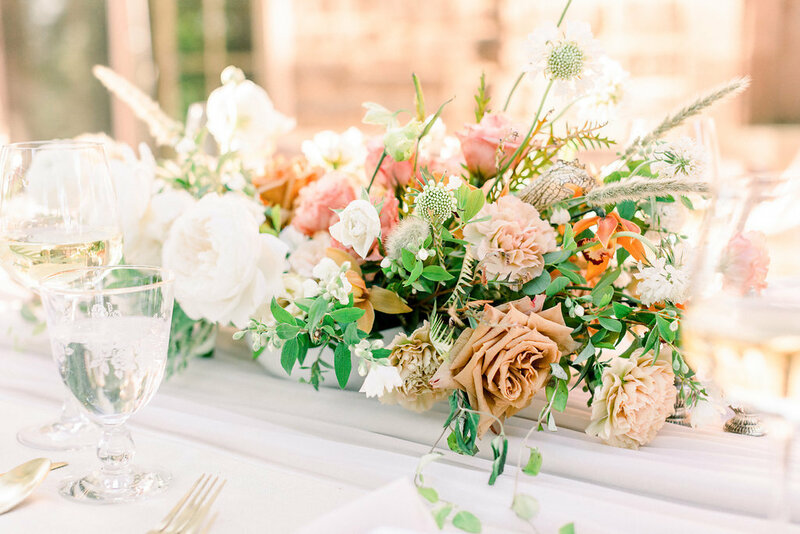 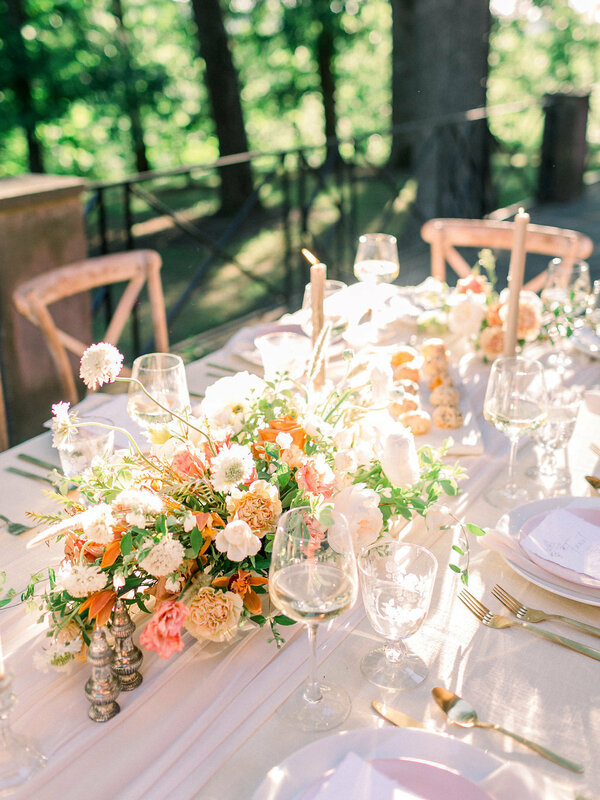 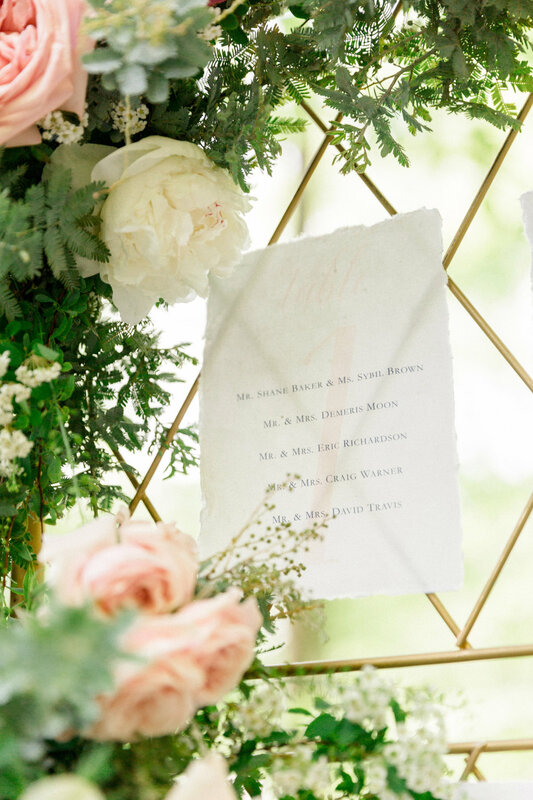 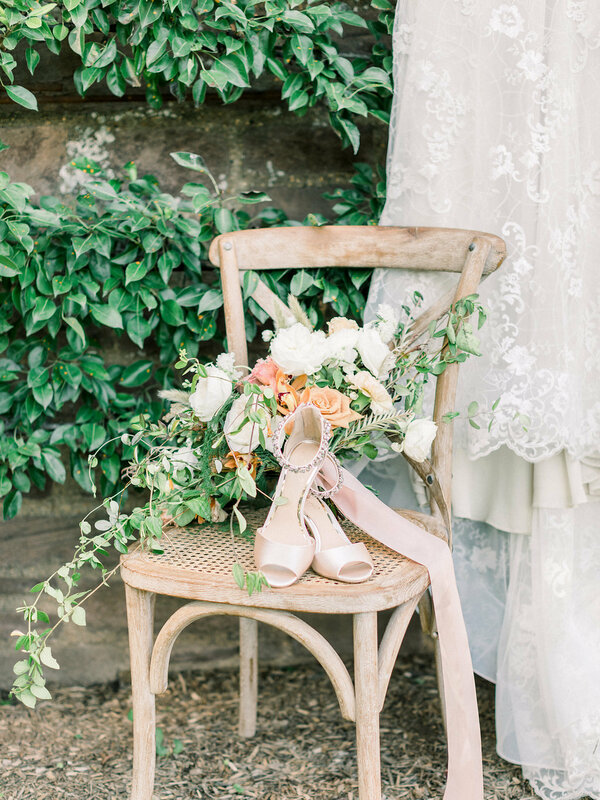 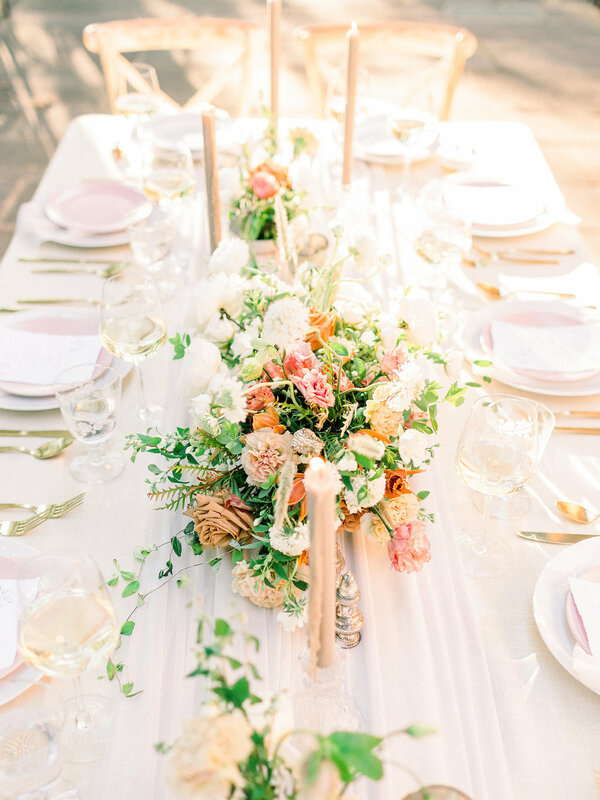 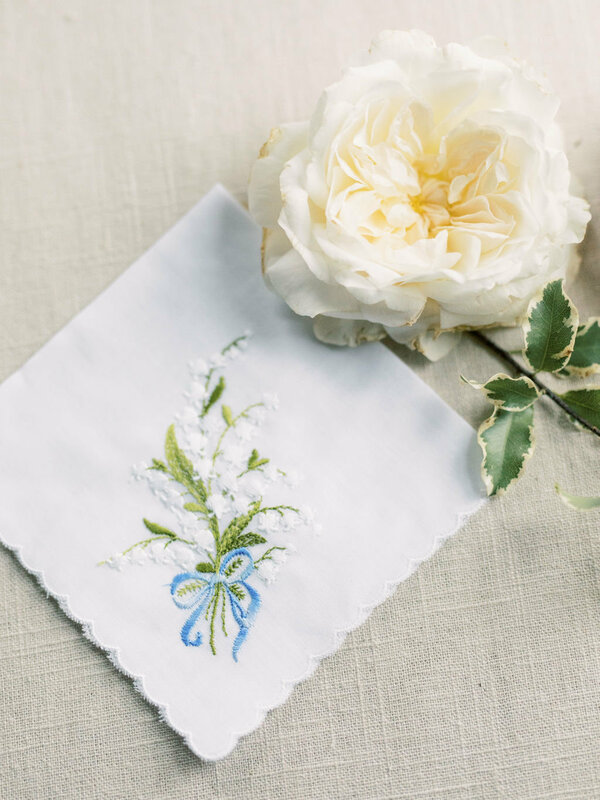 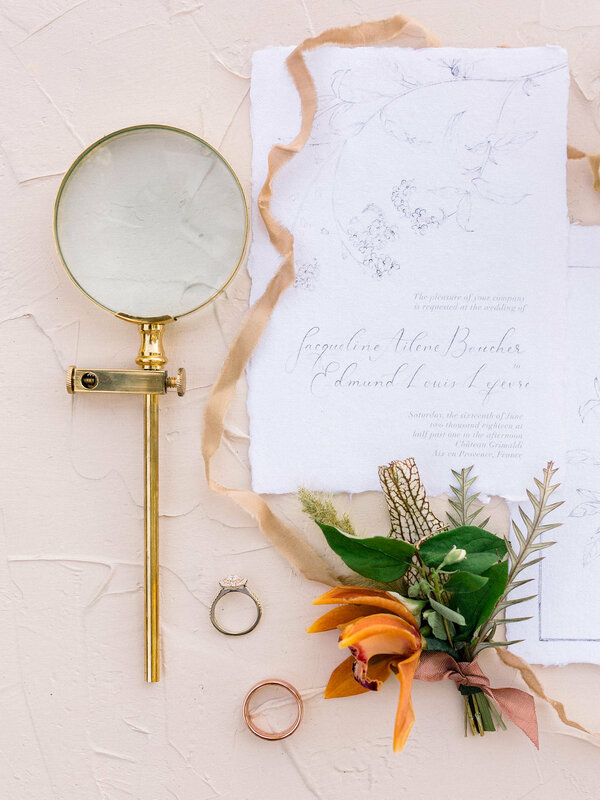 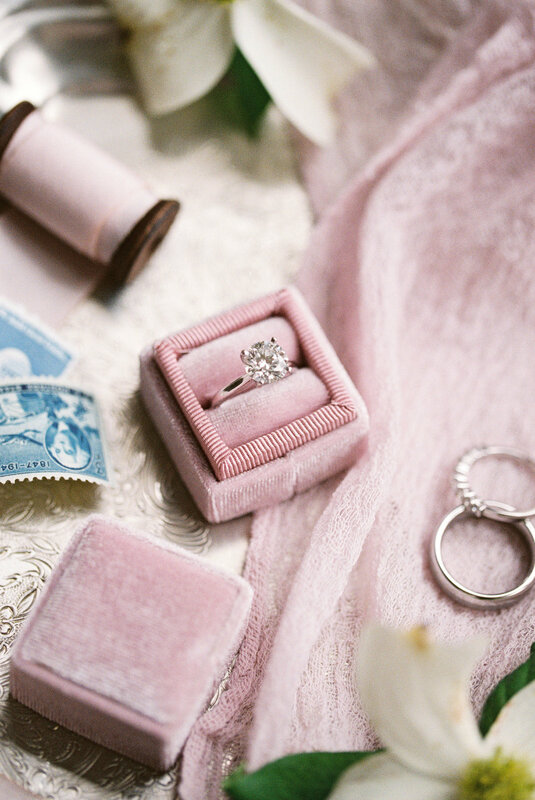 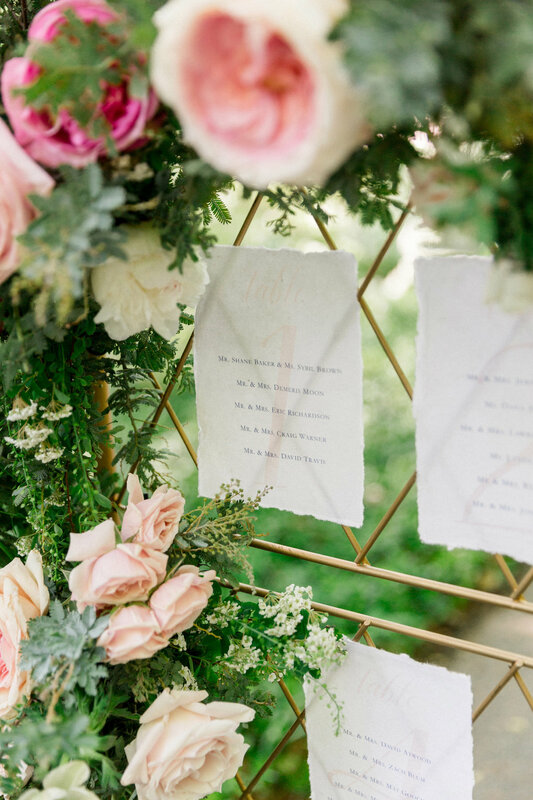 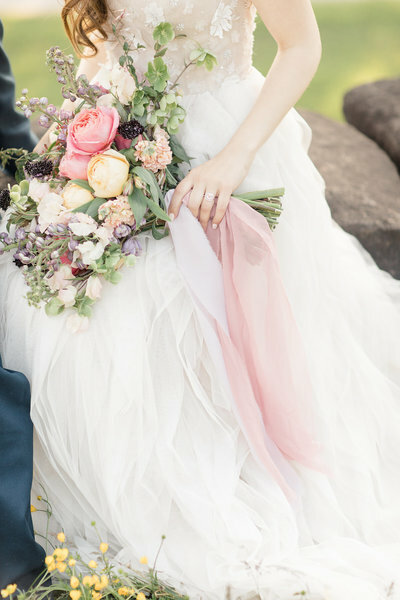 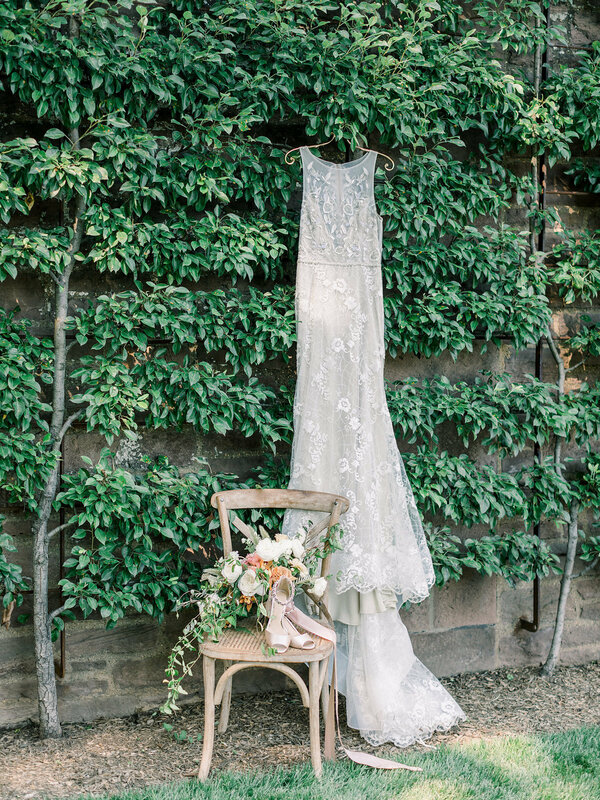 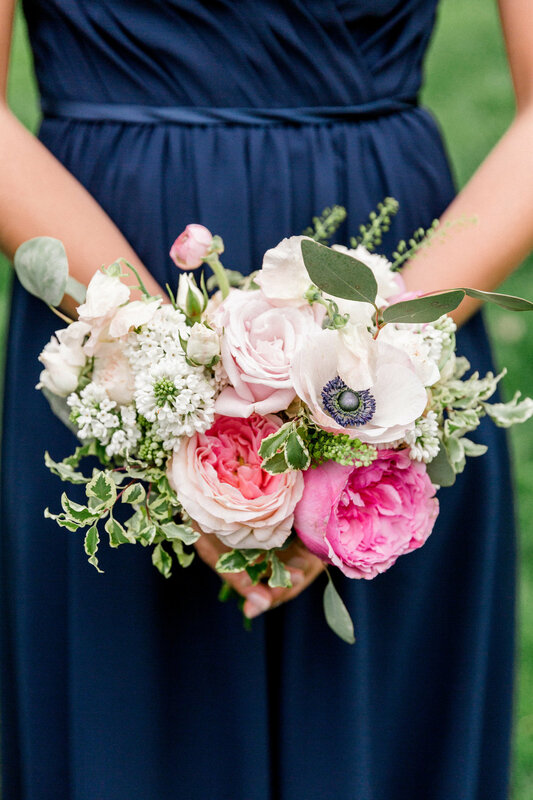 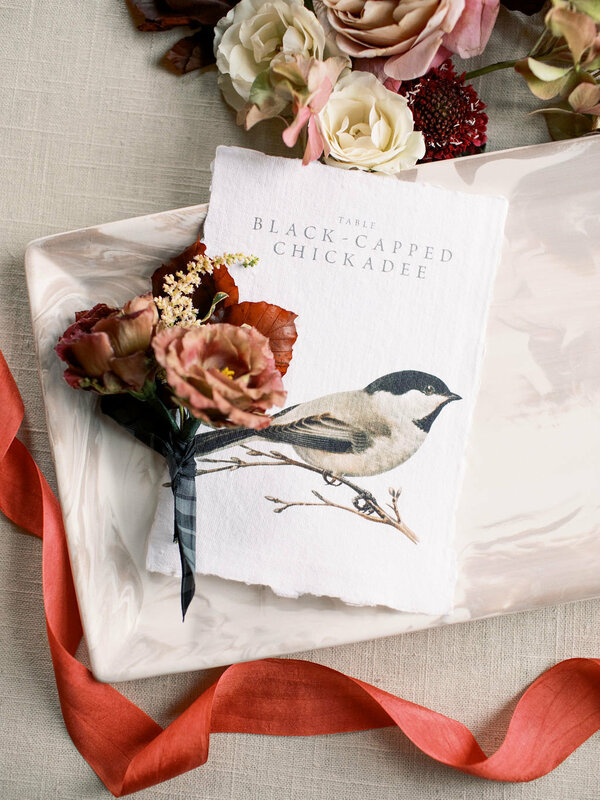 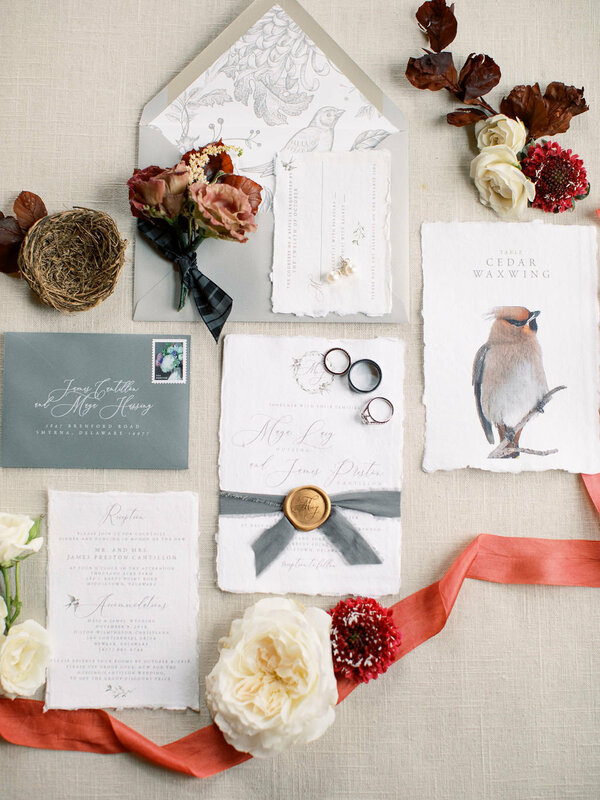 Most Styled Fete brides spend between $6,000-$12,000 on their wedding day florals.